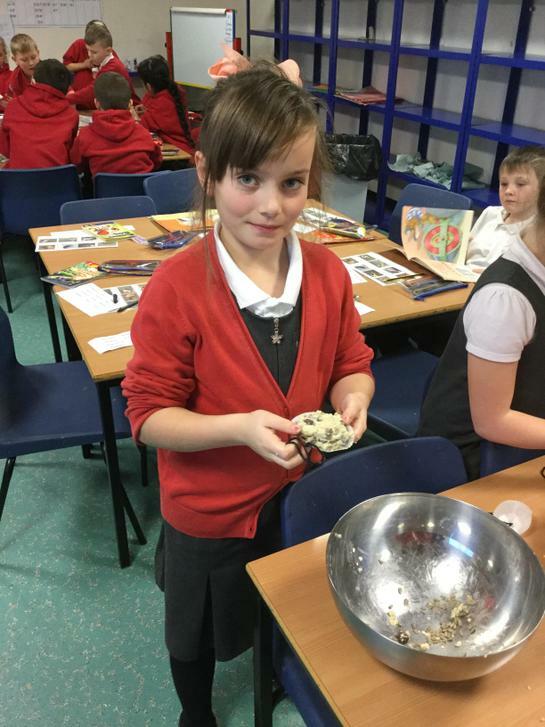 This half term the children will become historians once more and ask and answer questions about the civilization of Anglo Saxons and Vikings. 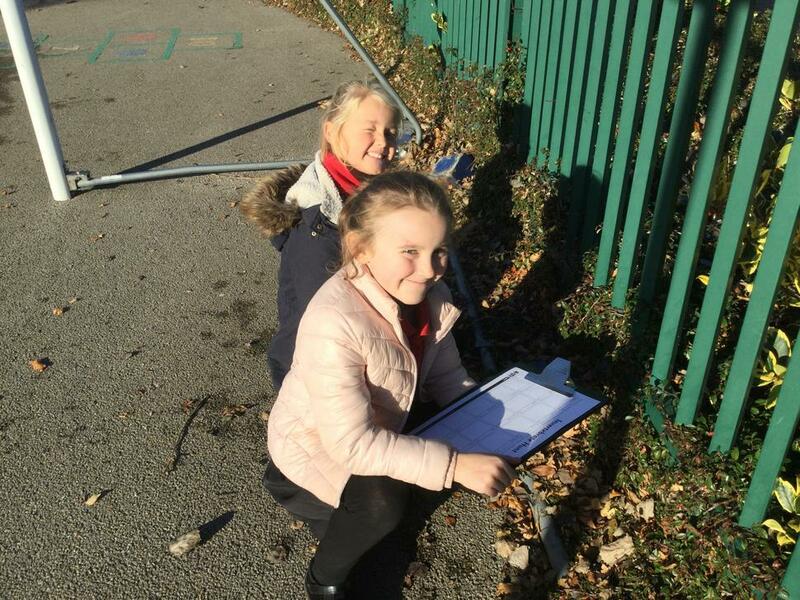 They will research what life was like for people living in the past; where they came from, how they lived, how their society was ruled. 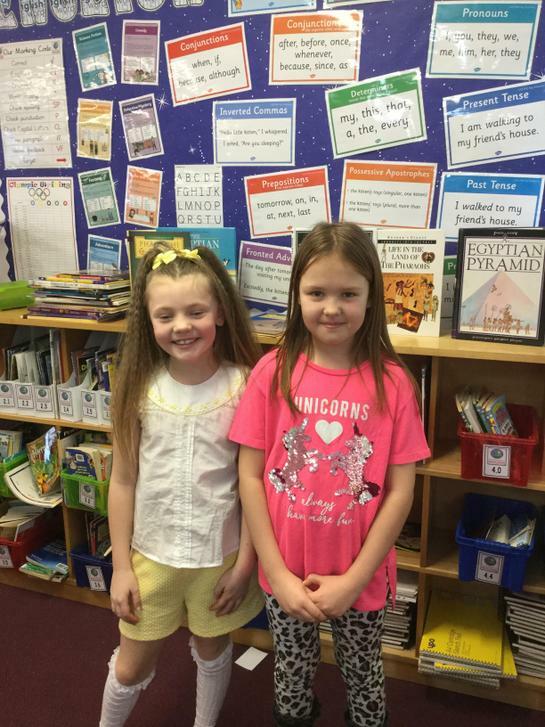 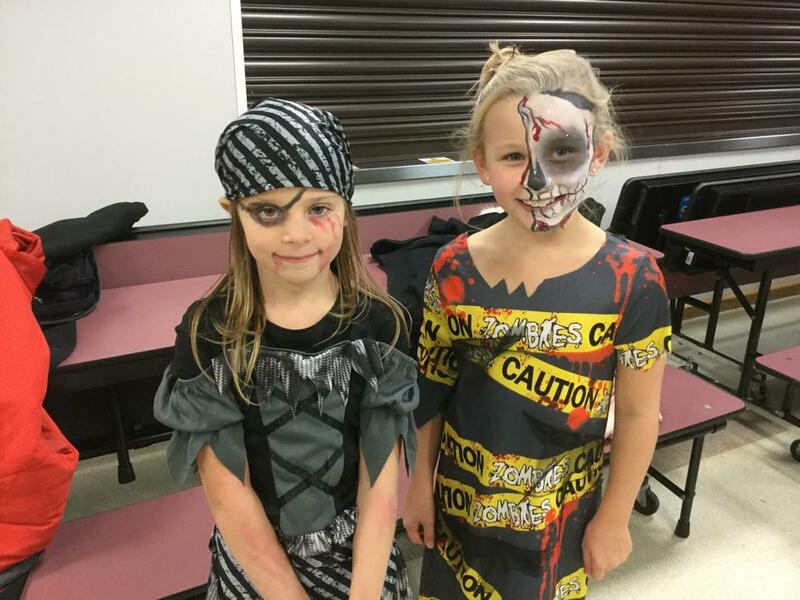 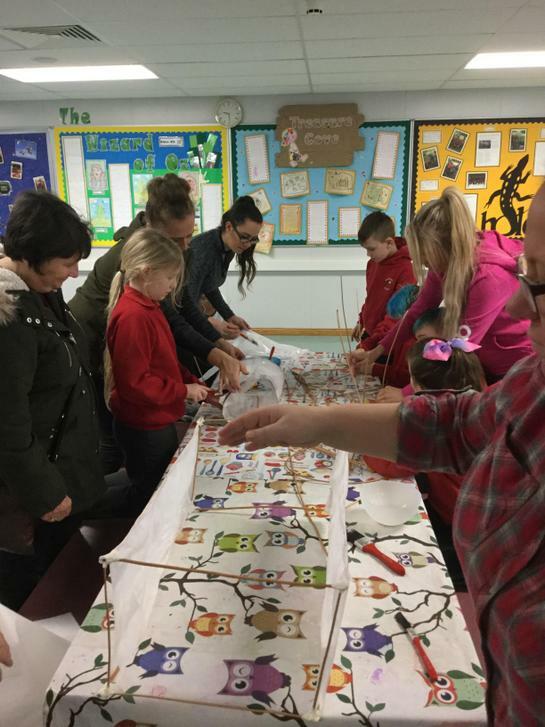 They will also have the opportunity to learn about the various Gods and Goddesses worshipped by the Vikings and Anglo Saxons. 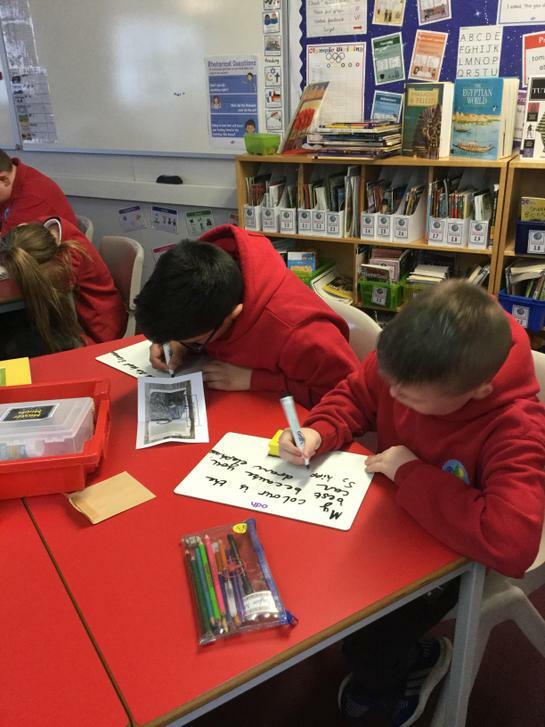 This will be linked in with their English writing allowing the children to write non-chronological reports about the past. 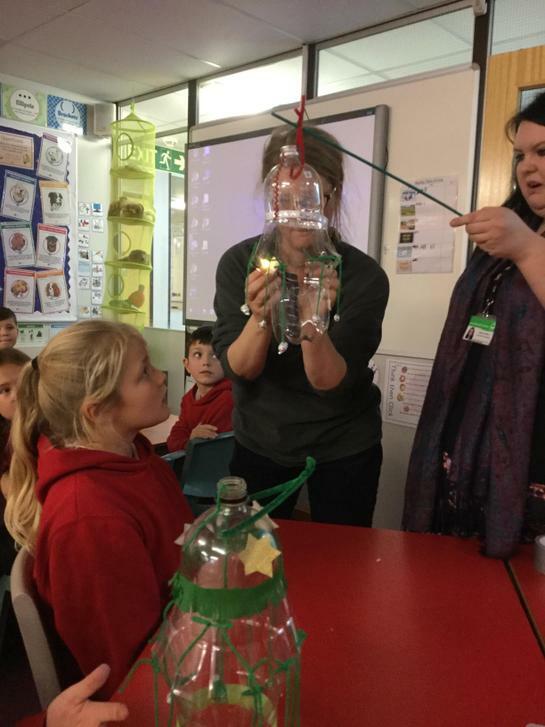 The science for this half term will be based around animals which will also include humans. 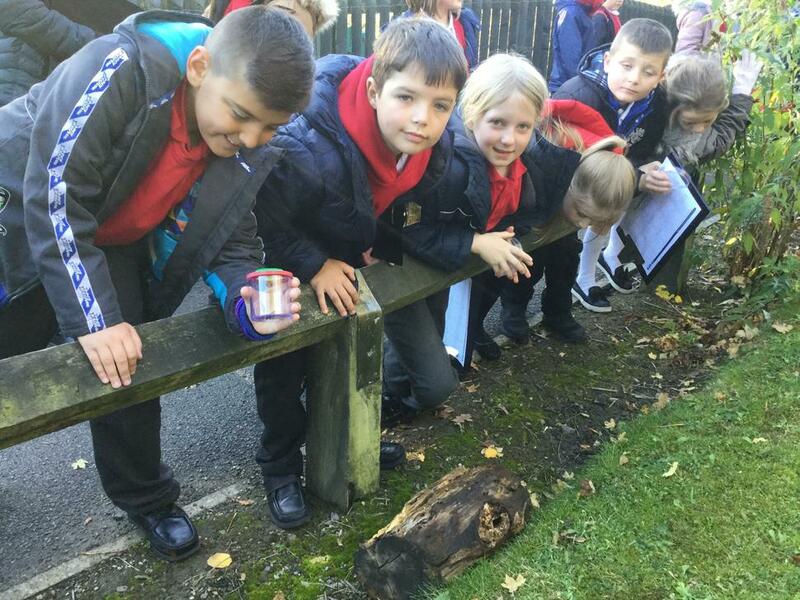 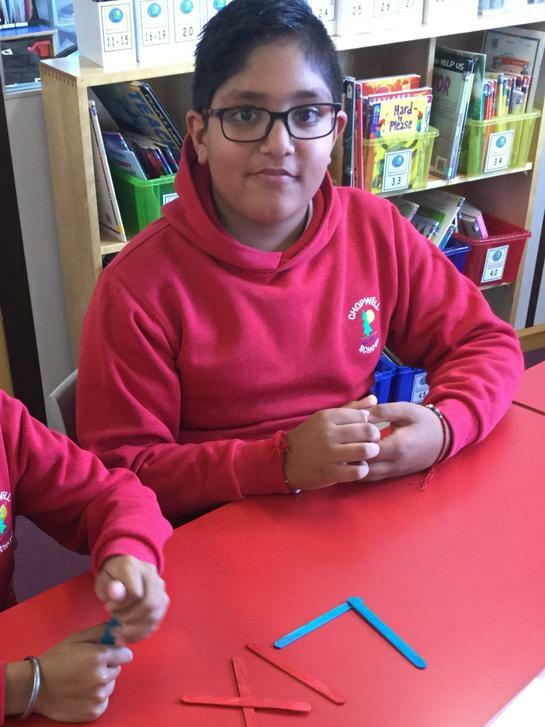 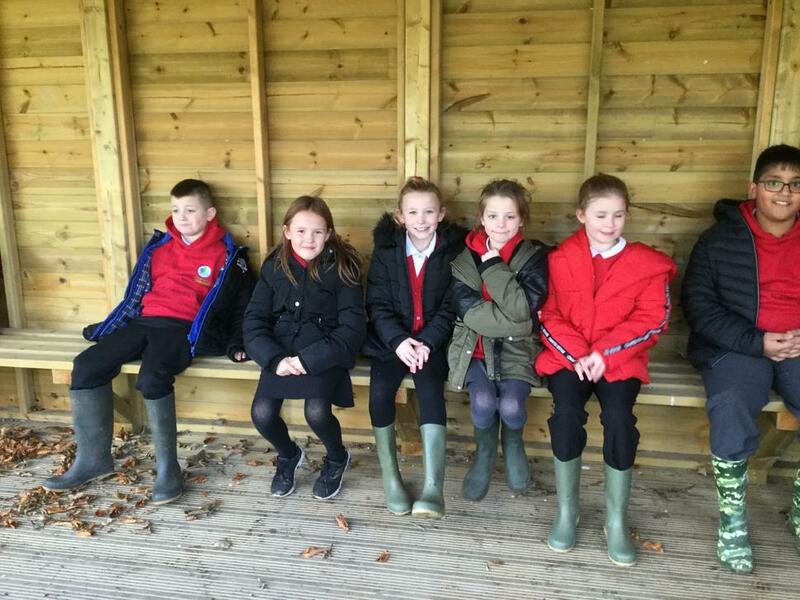 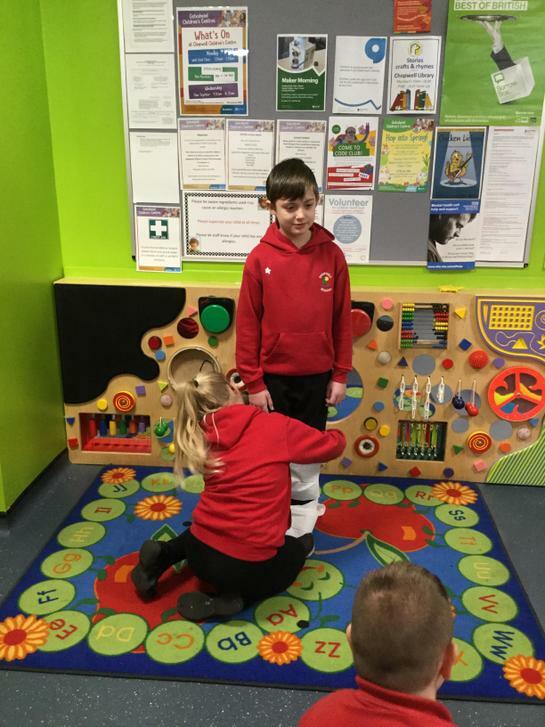 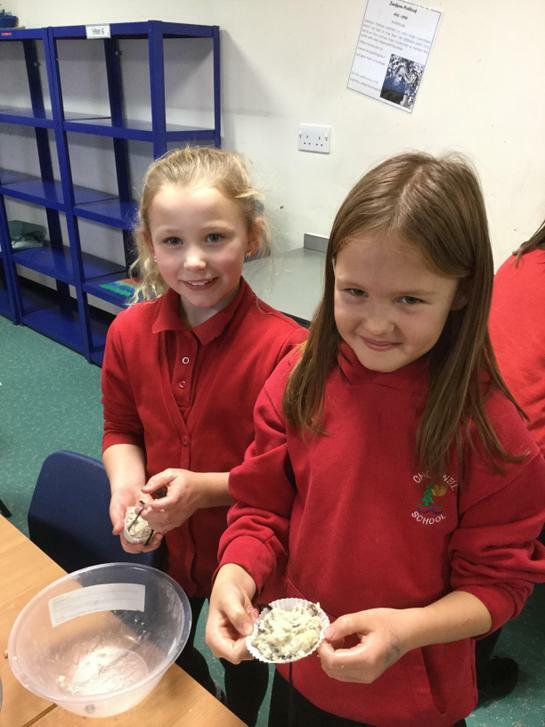 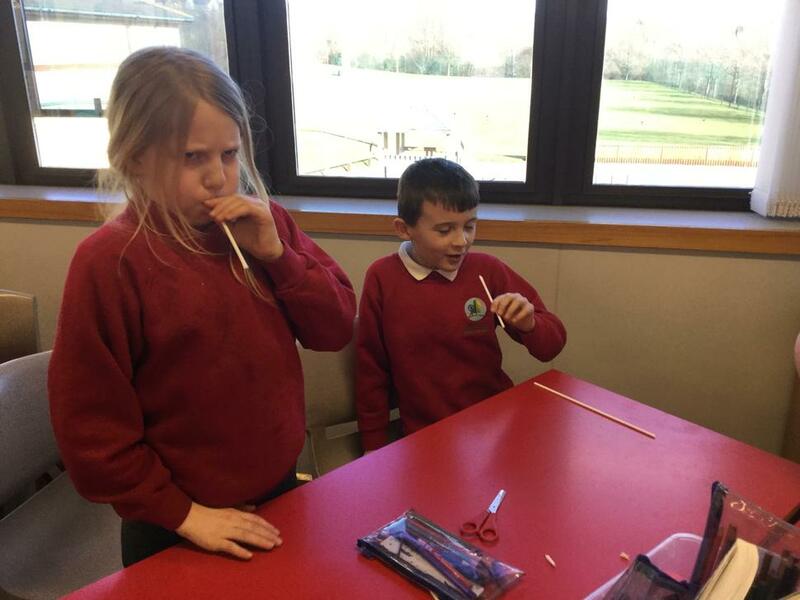 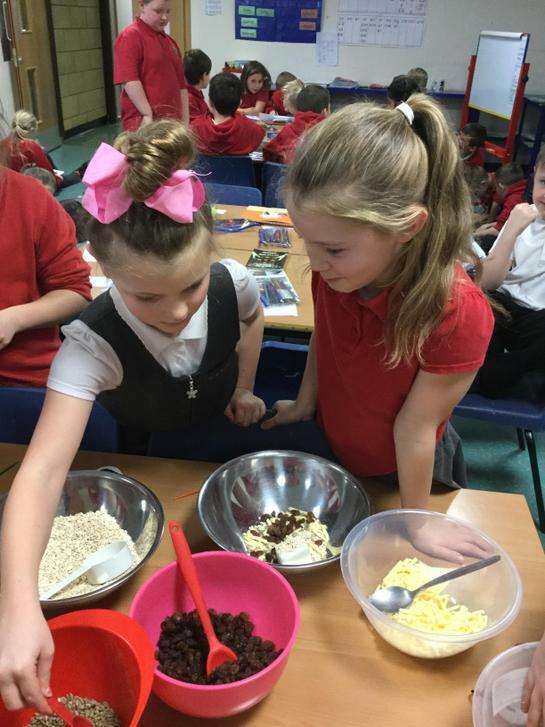 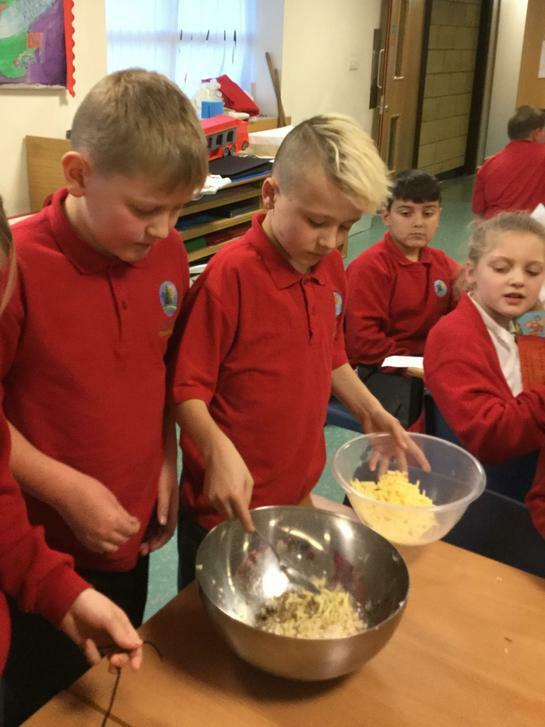 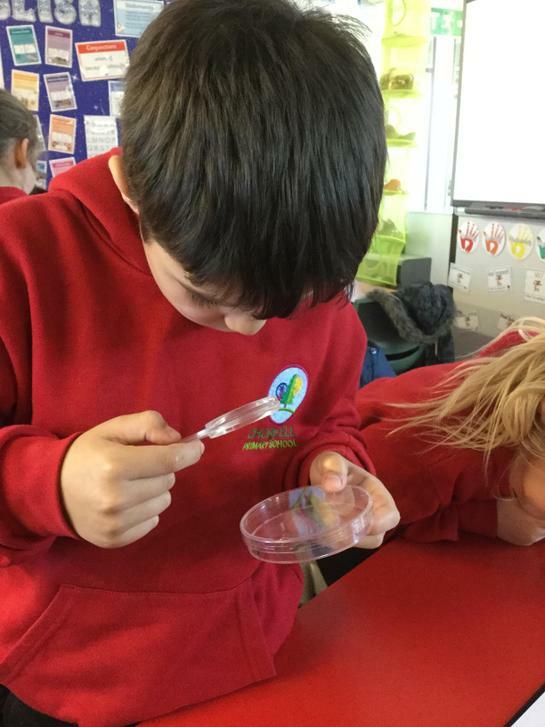 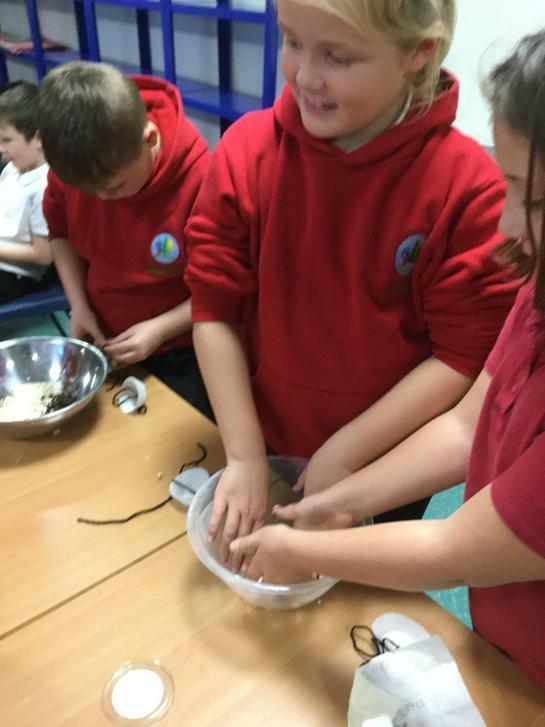 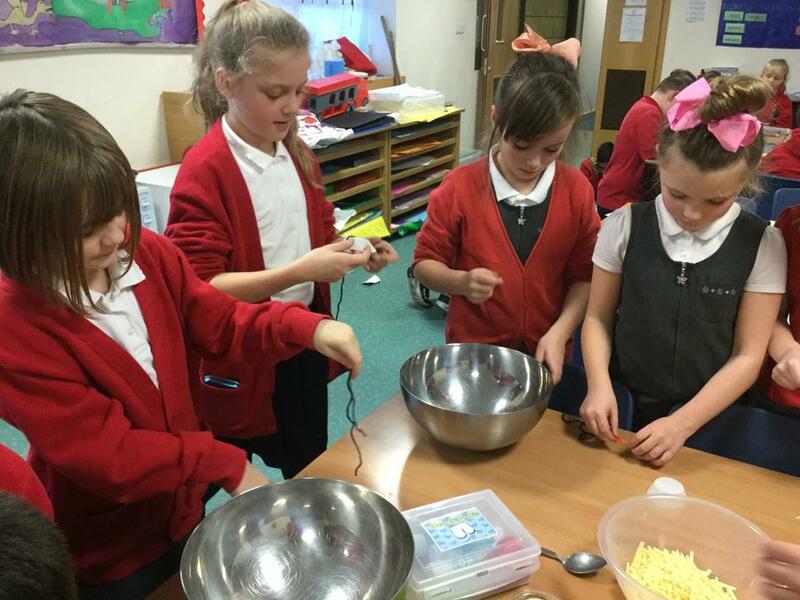 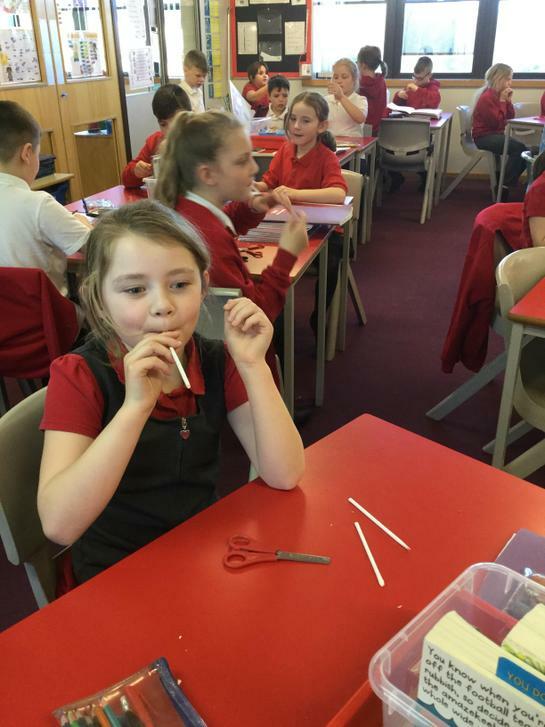 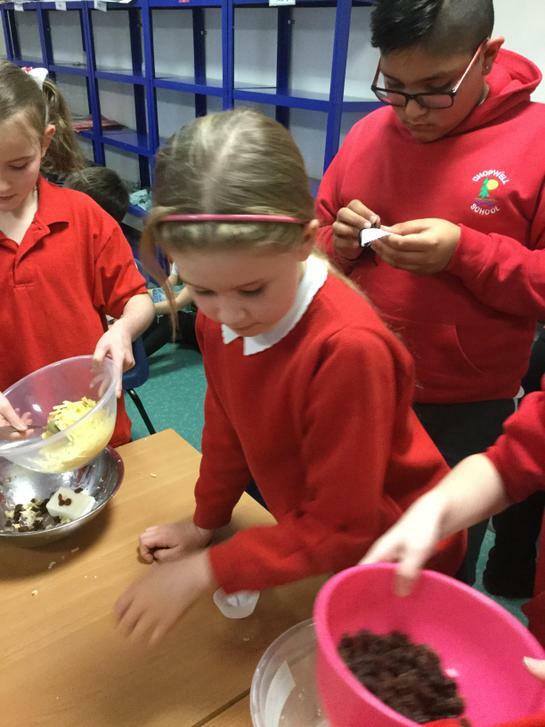 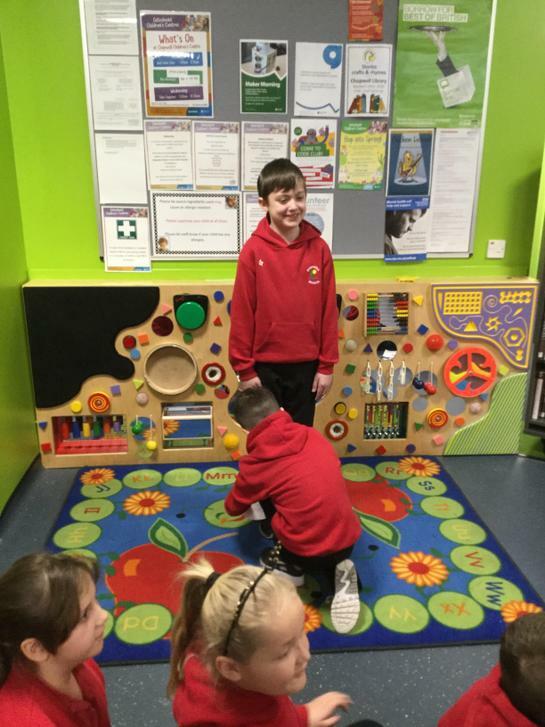 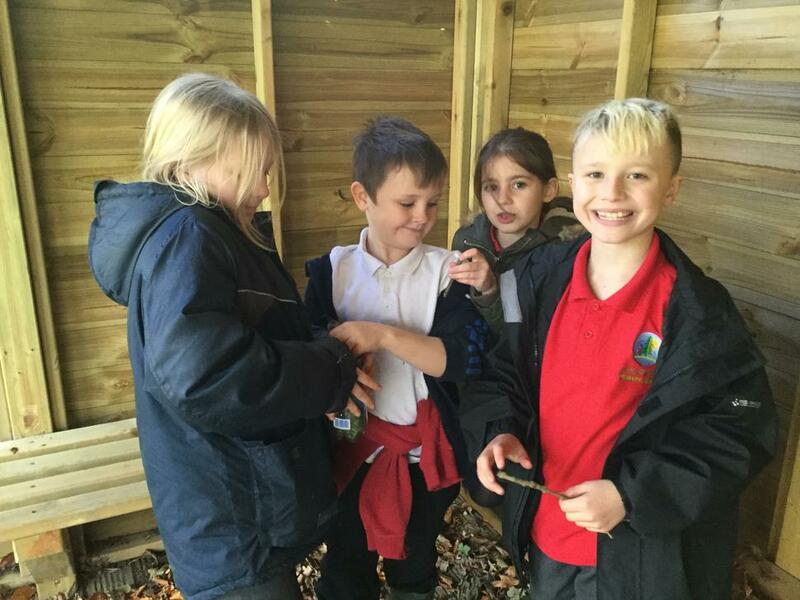 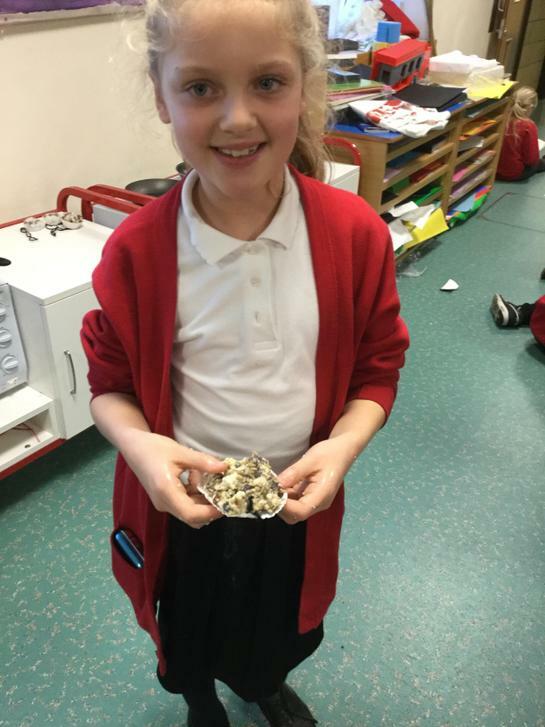 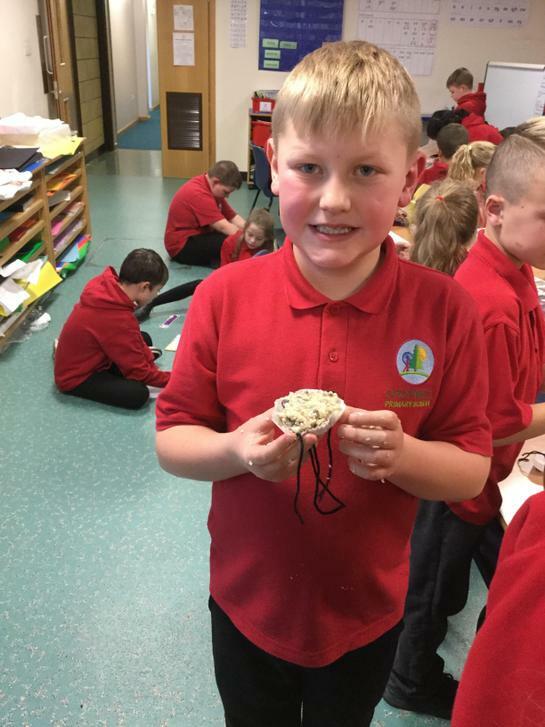 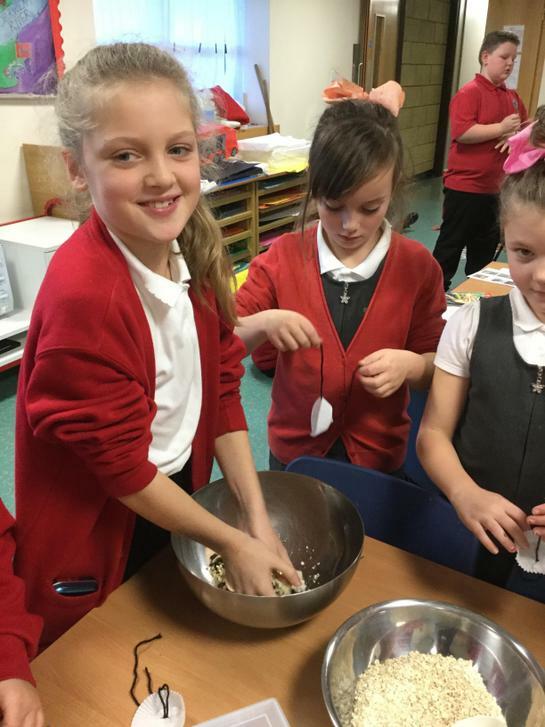 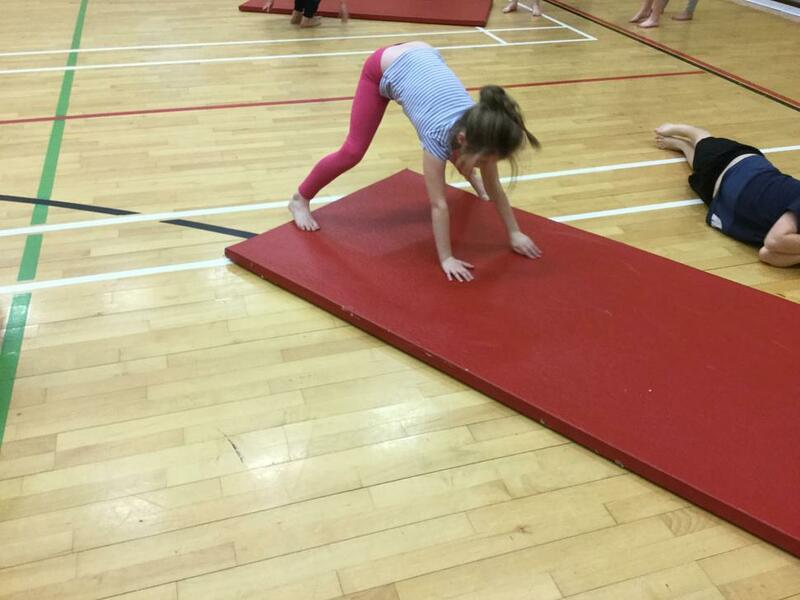 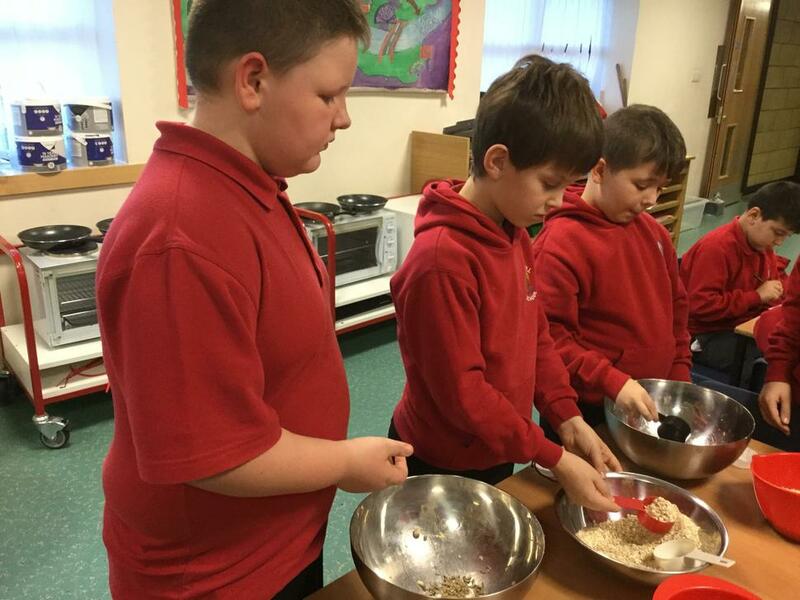 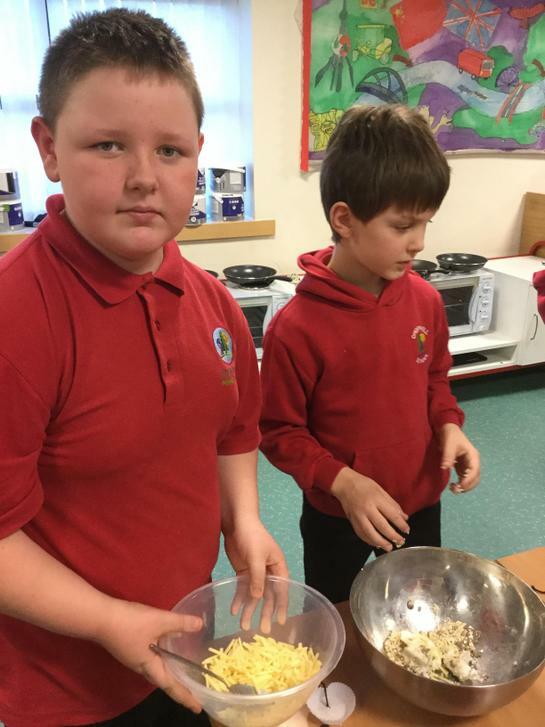 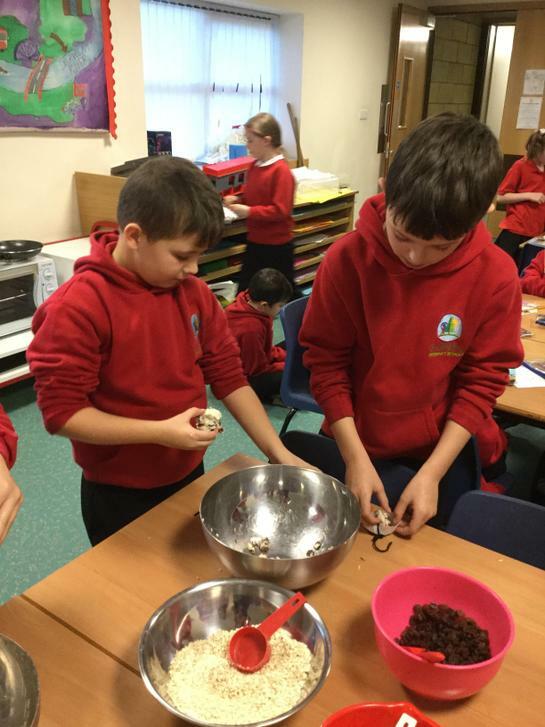 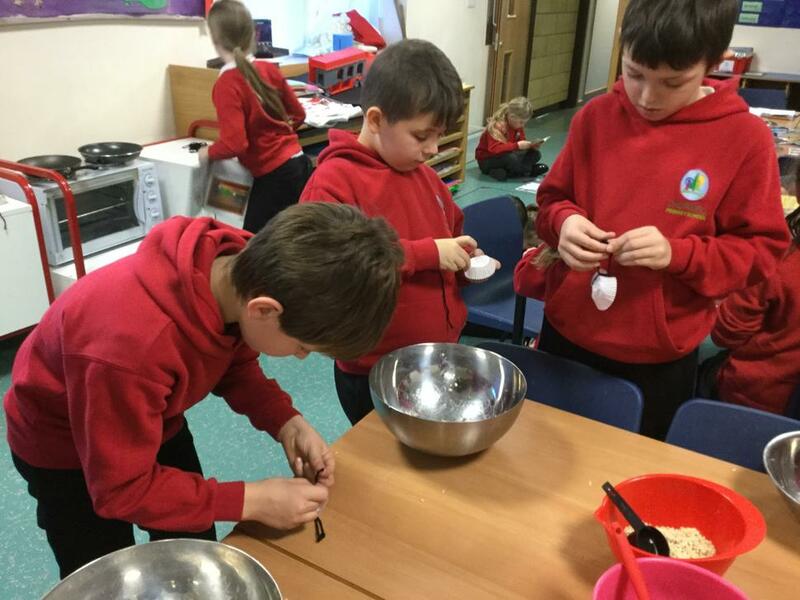 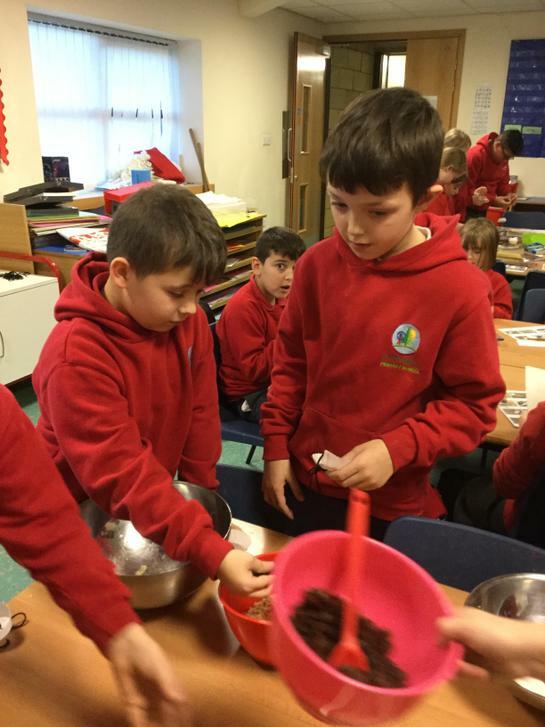 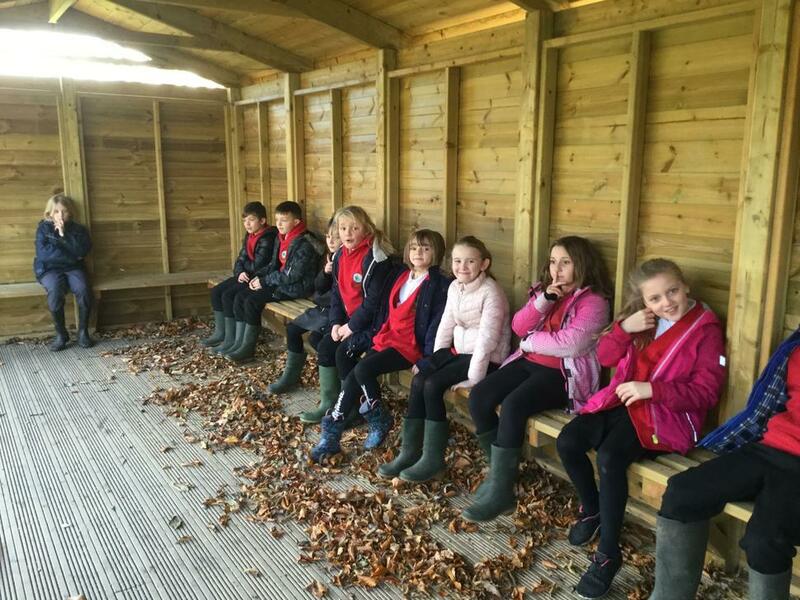 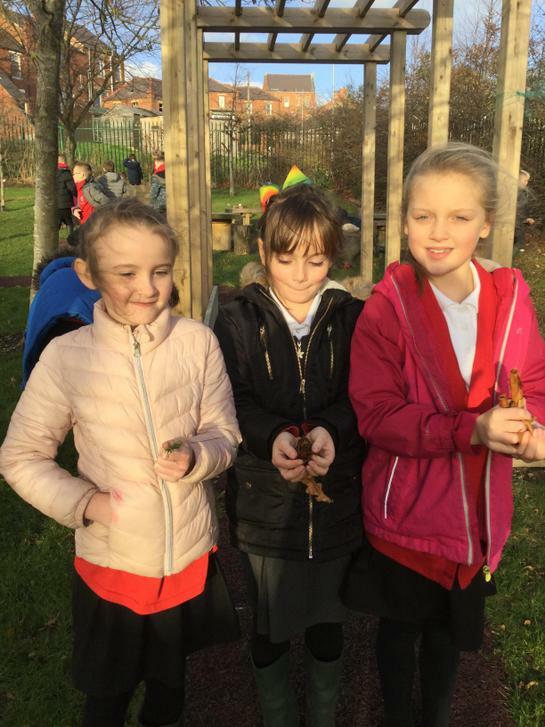 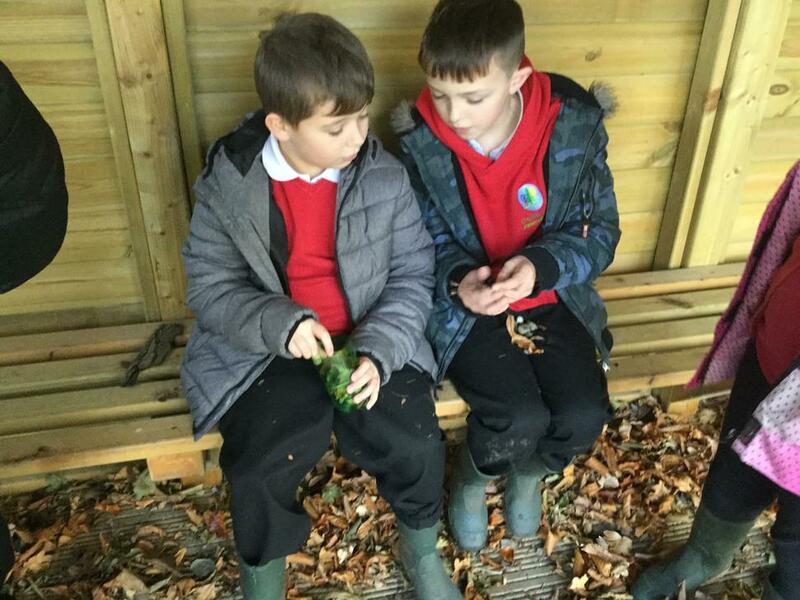 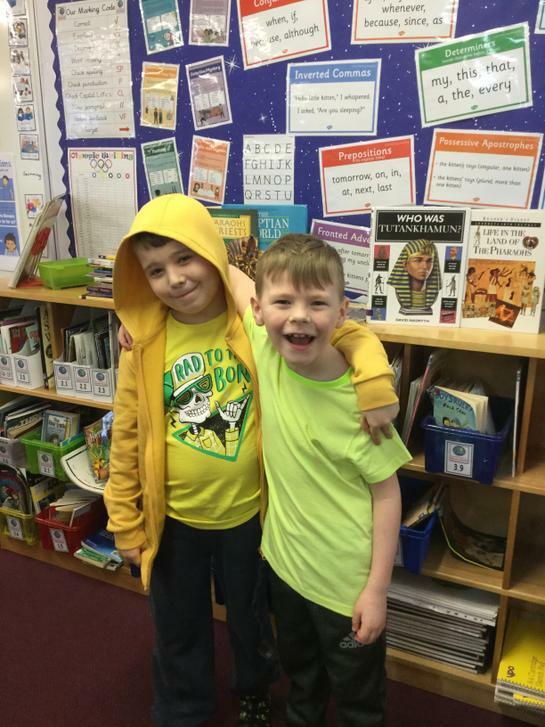 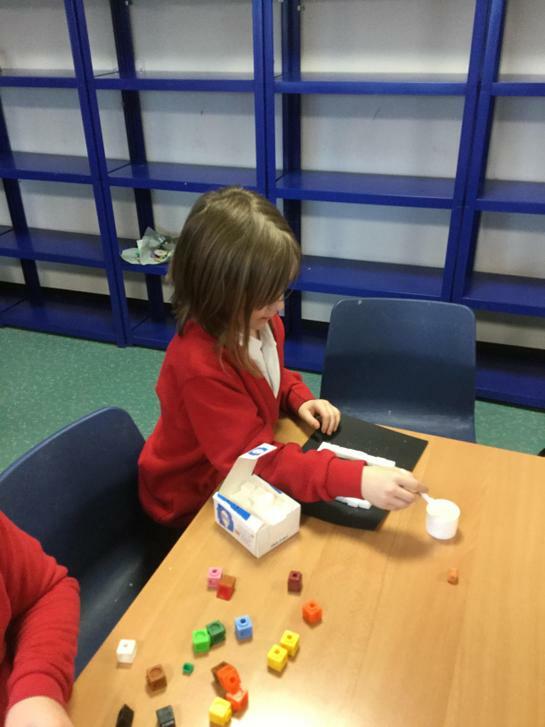 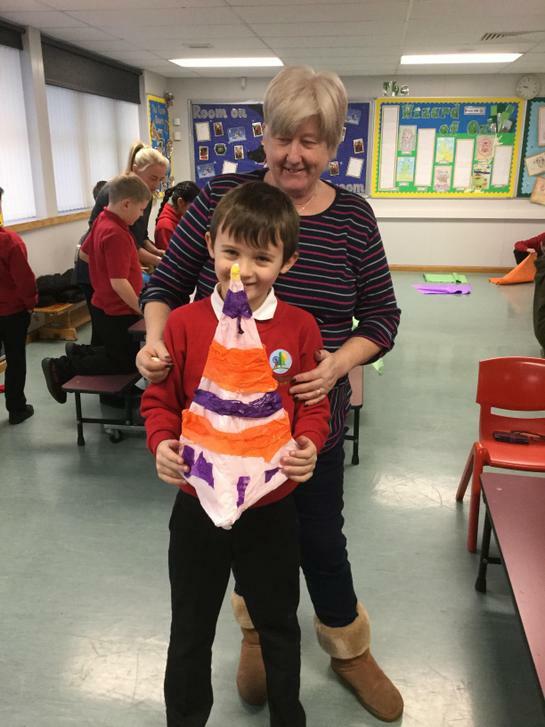 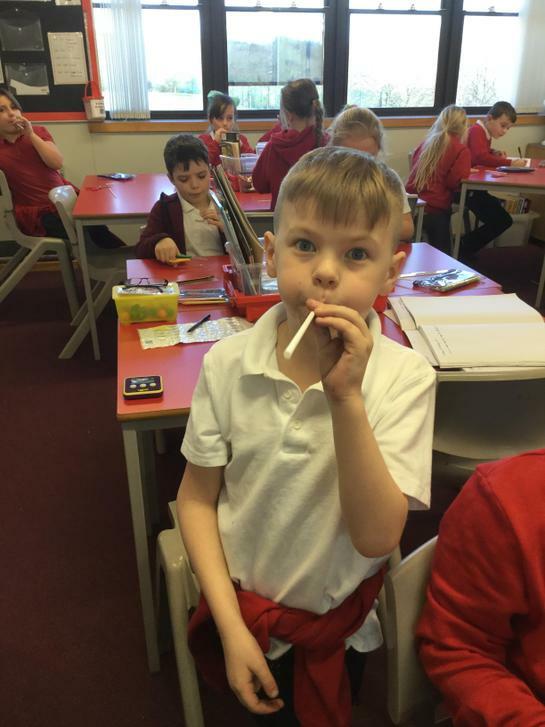 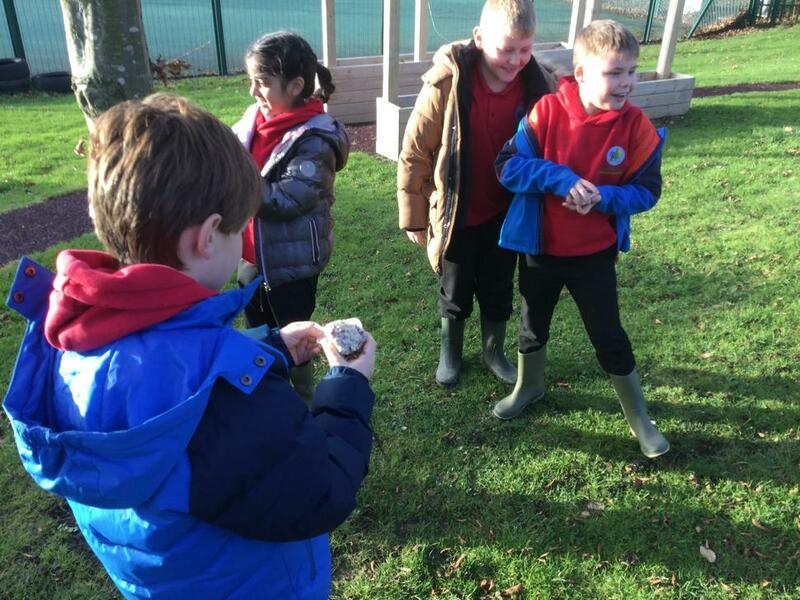 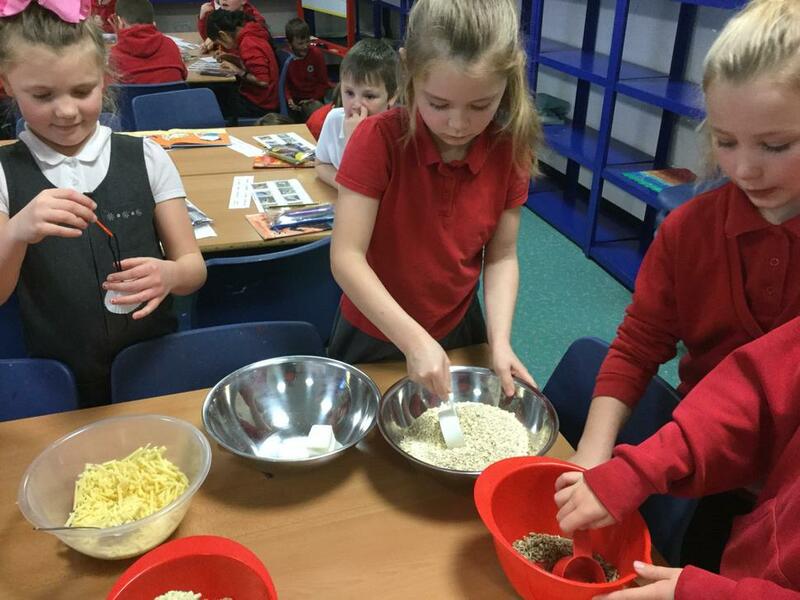 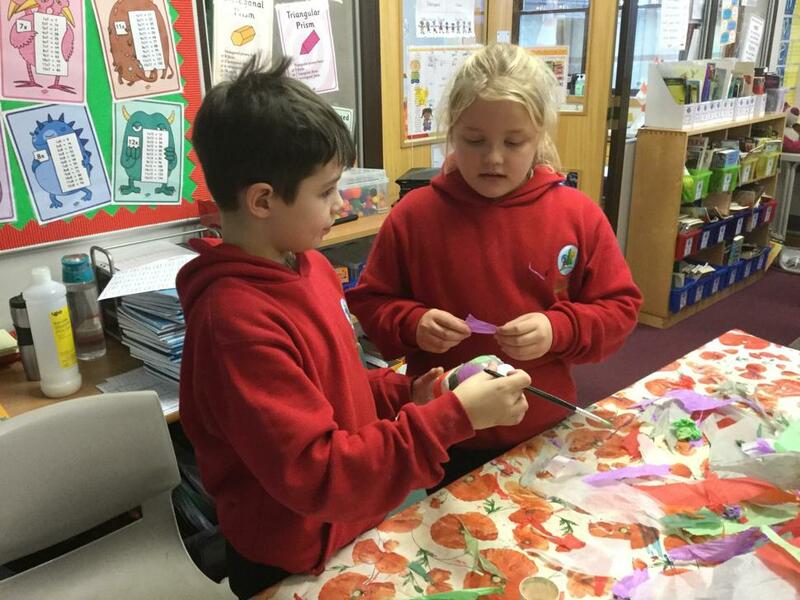 The children will explore the diet of various animals and what they need to eat in order to survive, how their bodies have adapted to suit their habitat, the food chain which they are part of. 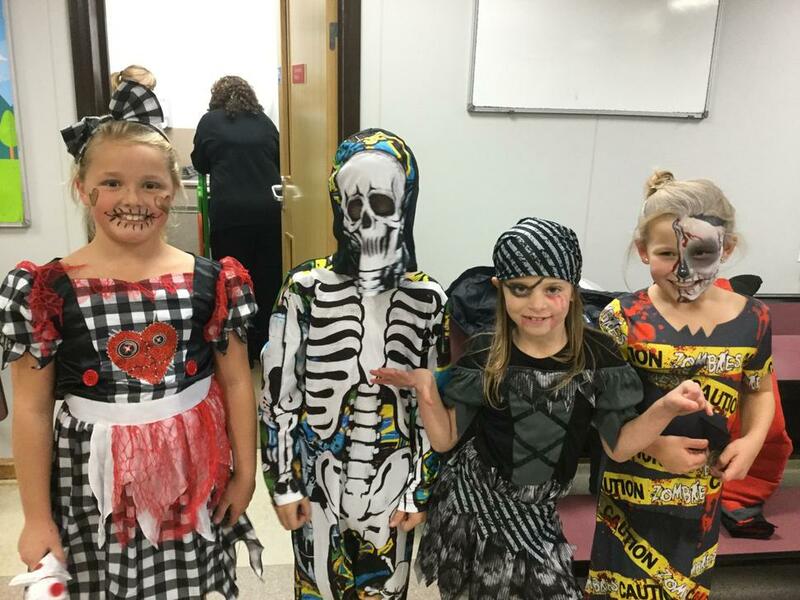 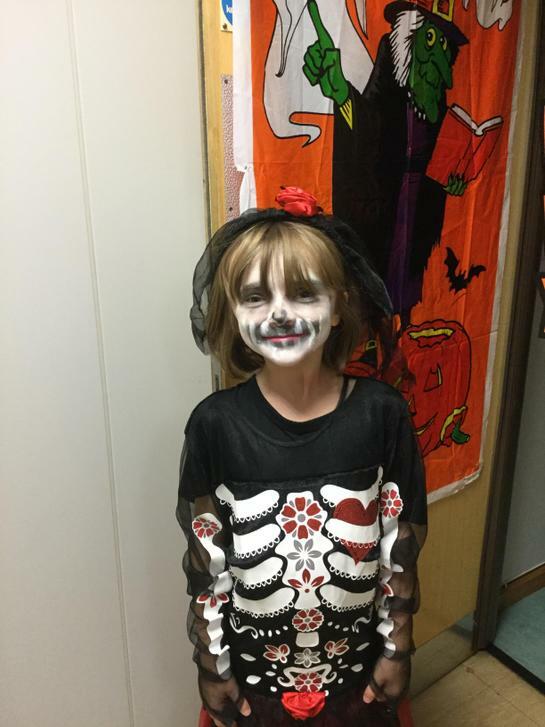 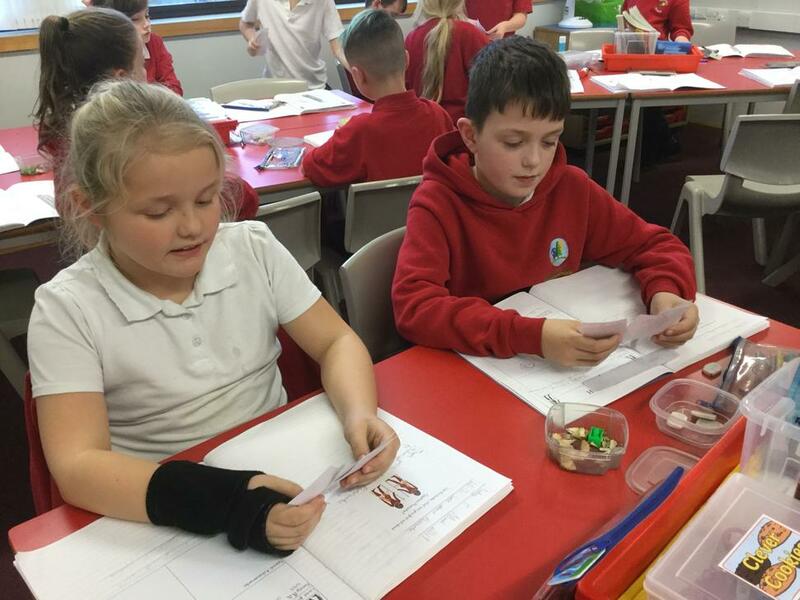 The children will also have the opportunity to compare how different animals move and explore the pros and cons of different skeleton frames. 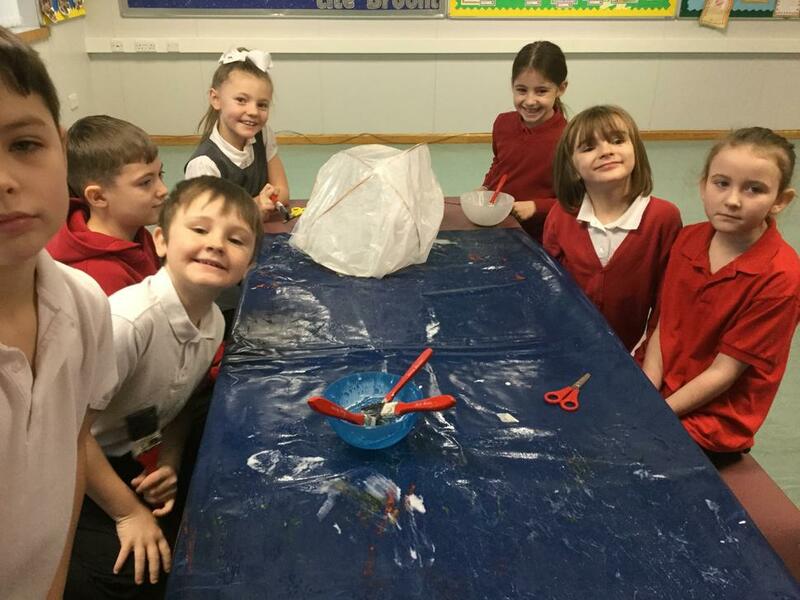 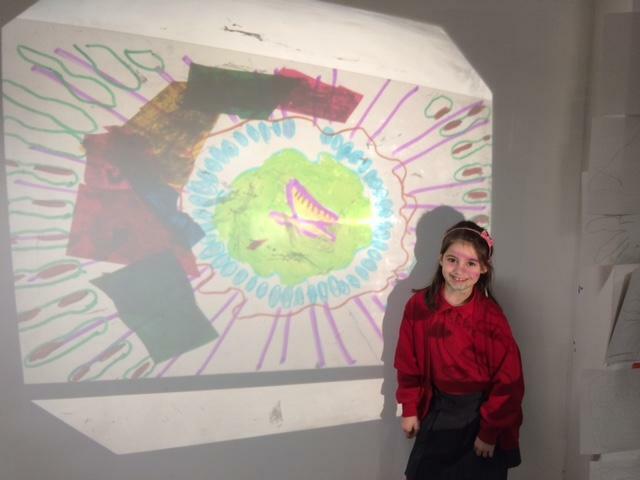 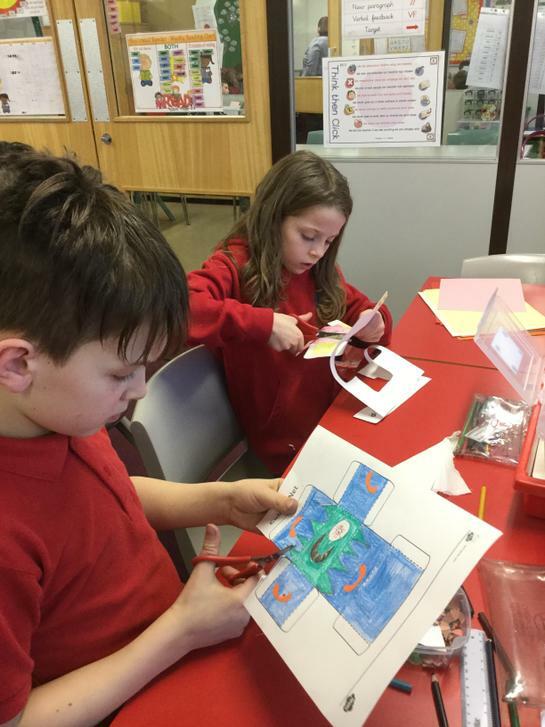 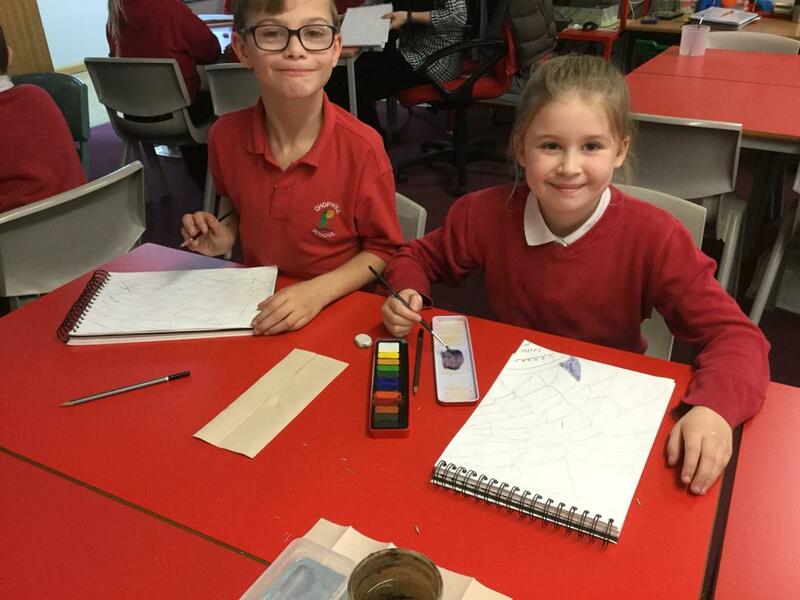 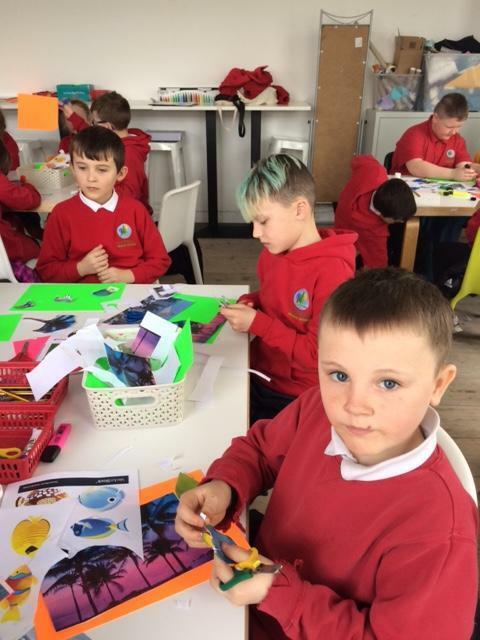 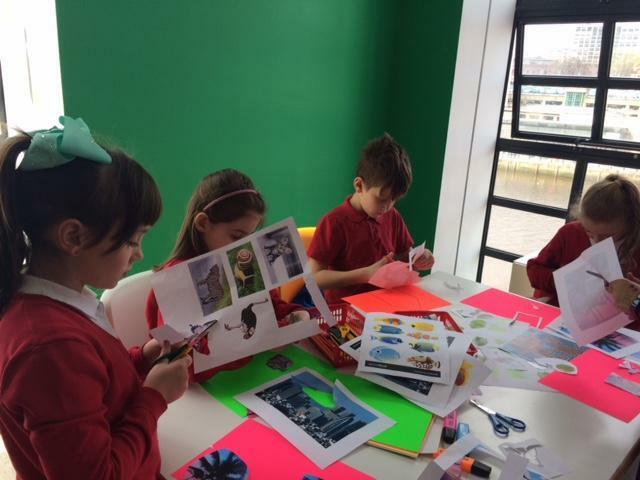 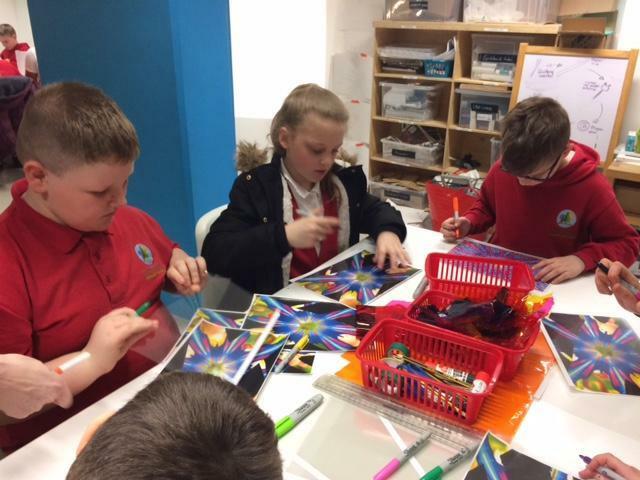 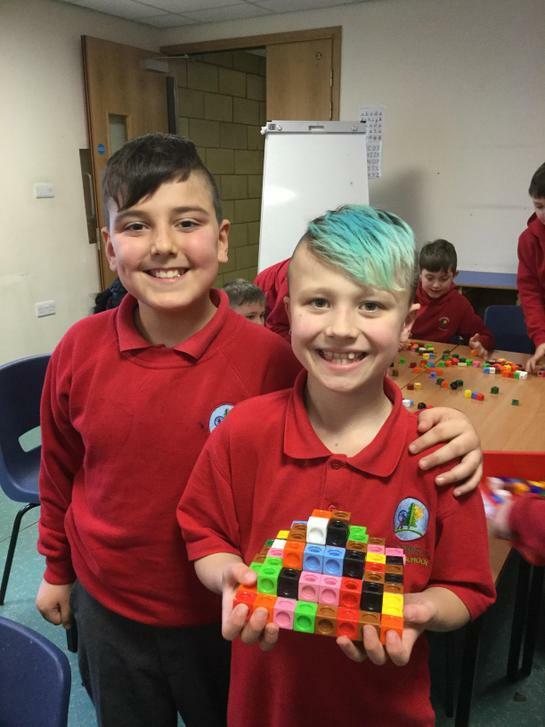 For their Design and Technology project this half term, the children will explore the shields and boats used by the Vikings and create their own Viking shield or boat based around their research. 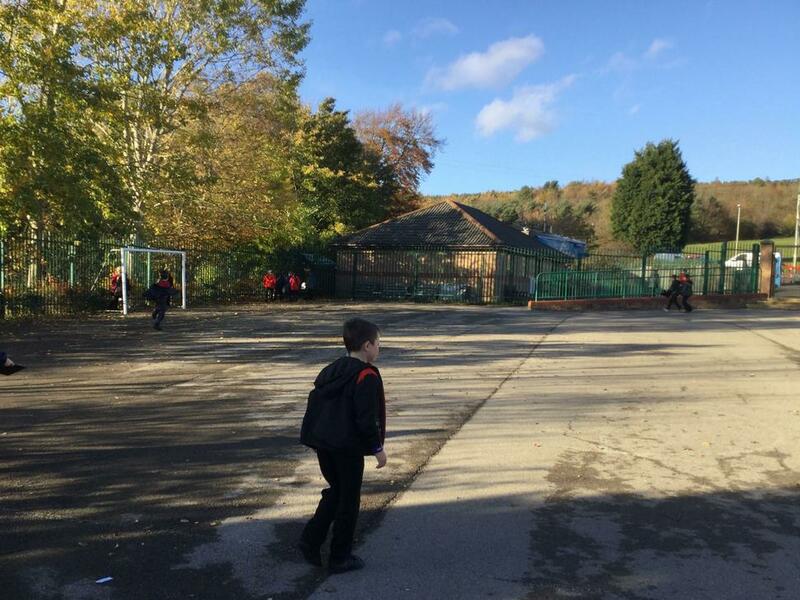 Welcome back. 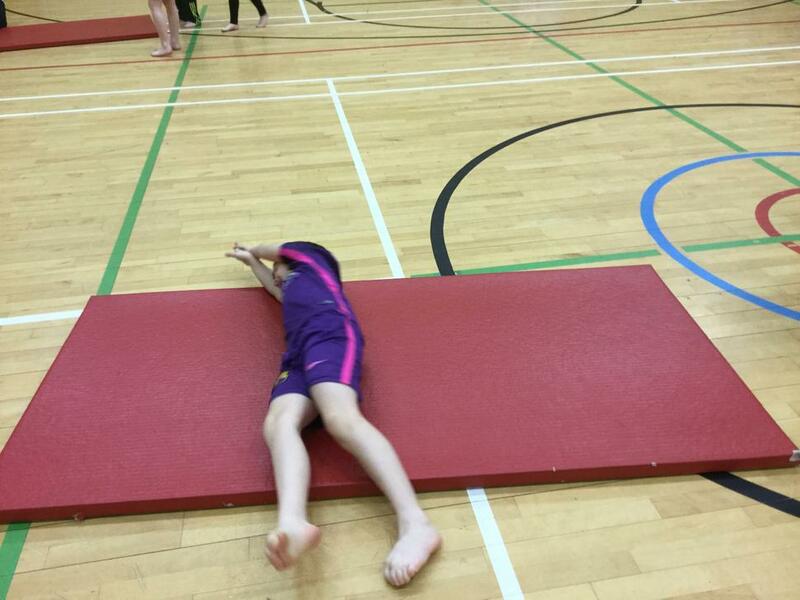 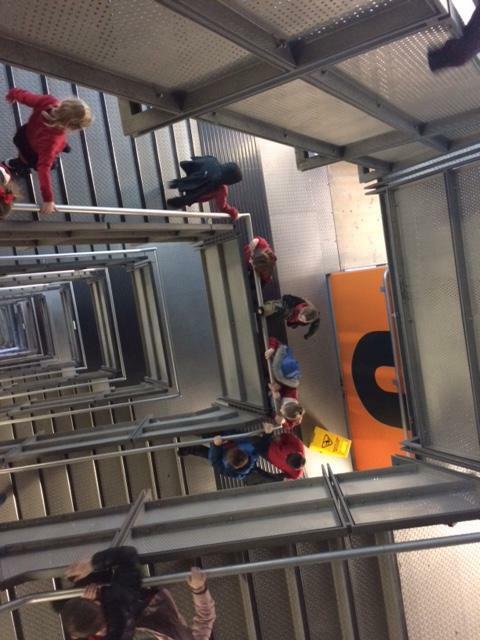 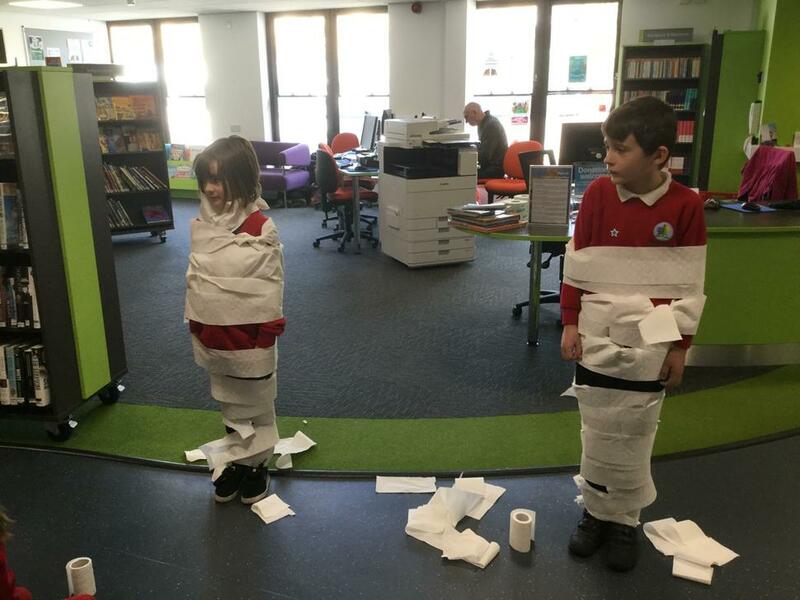 We hope you have had a relaxing half term. 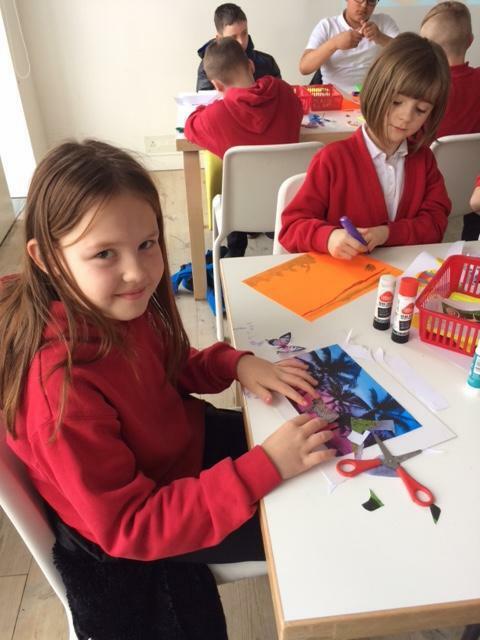 The focus for this half term will be, ‘An Amazing Ancient World’. 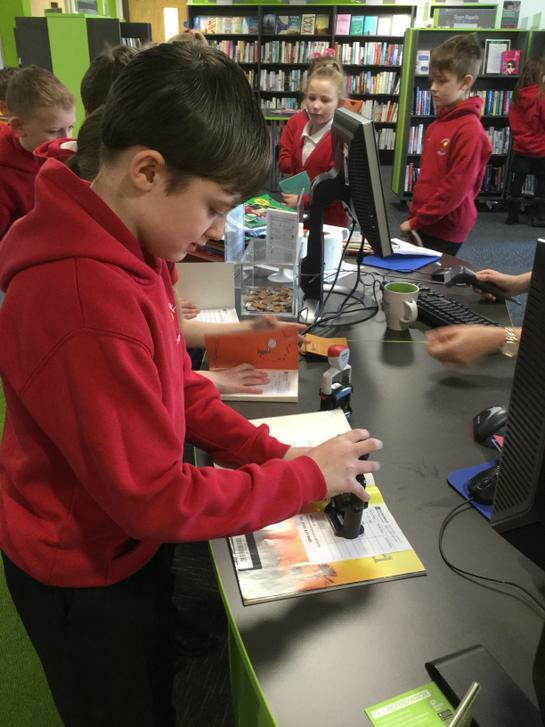 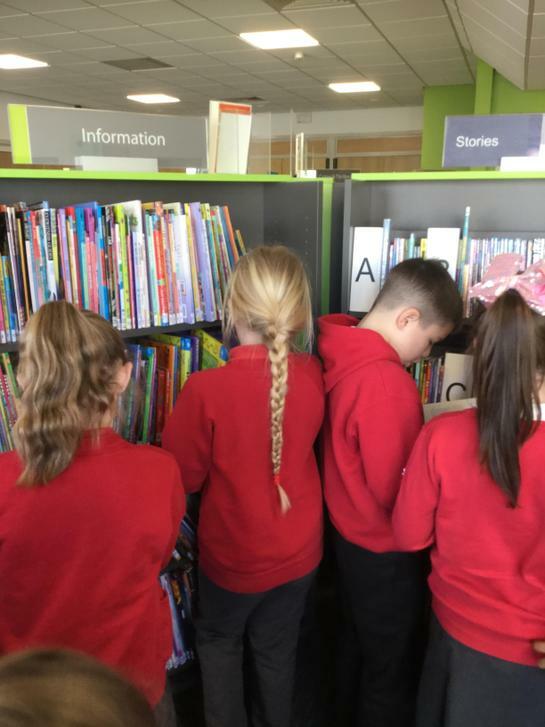 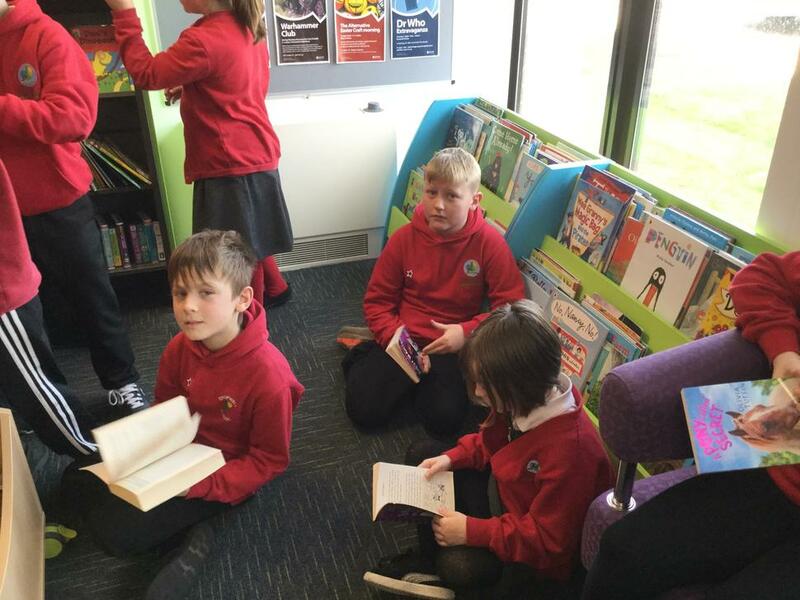 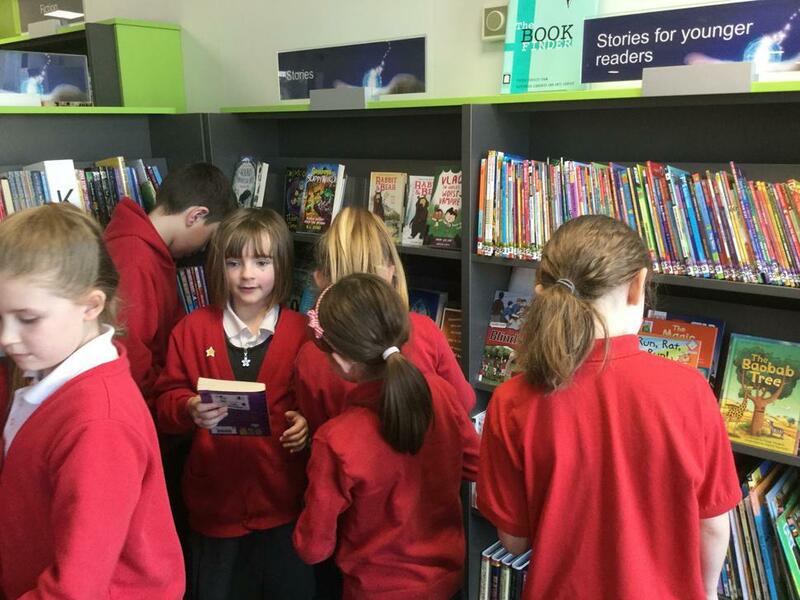 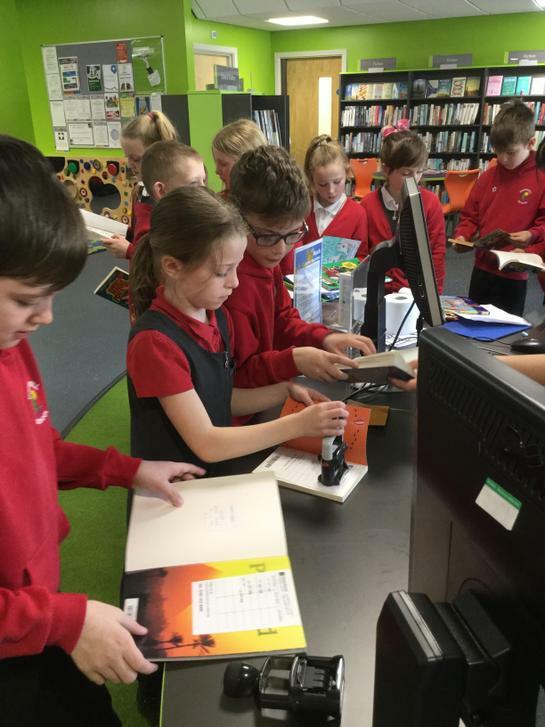 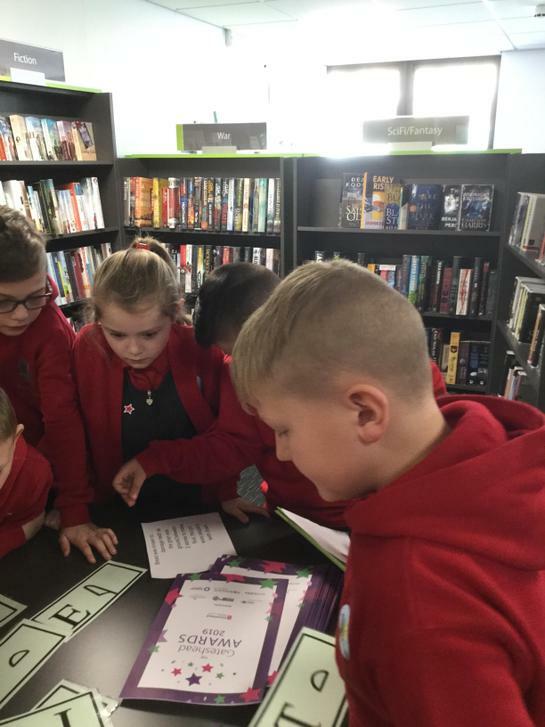 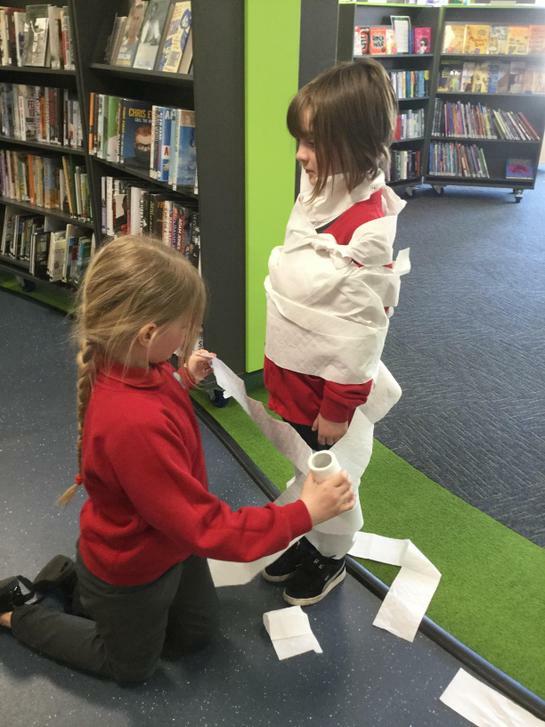 The children will have the opportunity this term to use books, artifacts and the internet to research and discover interesting facts about Ancient Egypt. 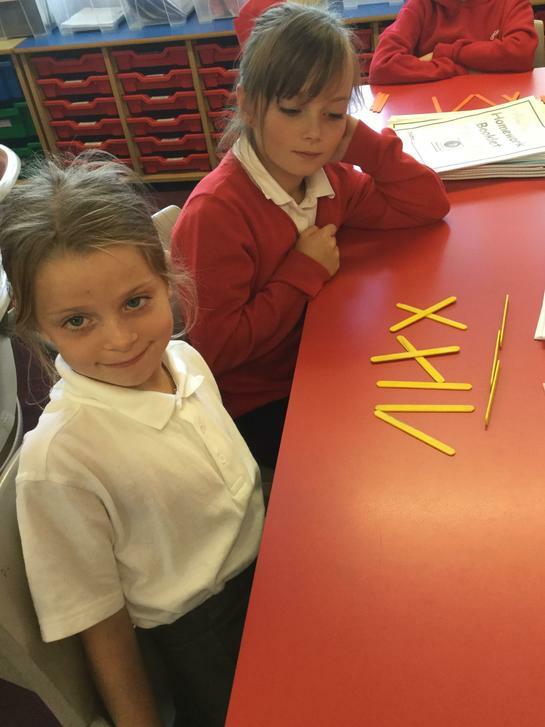 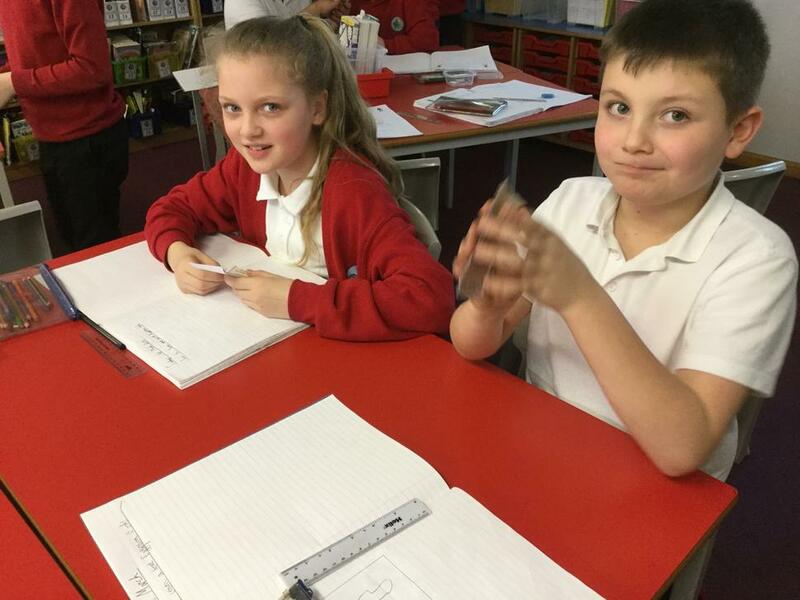 They will look at how to write in hieroglyphics and design and make a Pharaoh headdress. 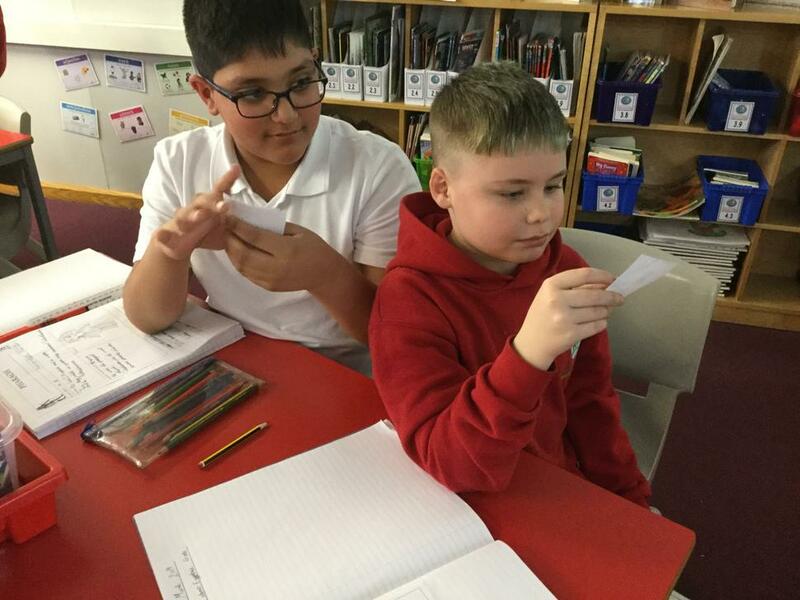 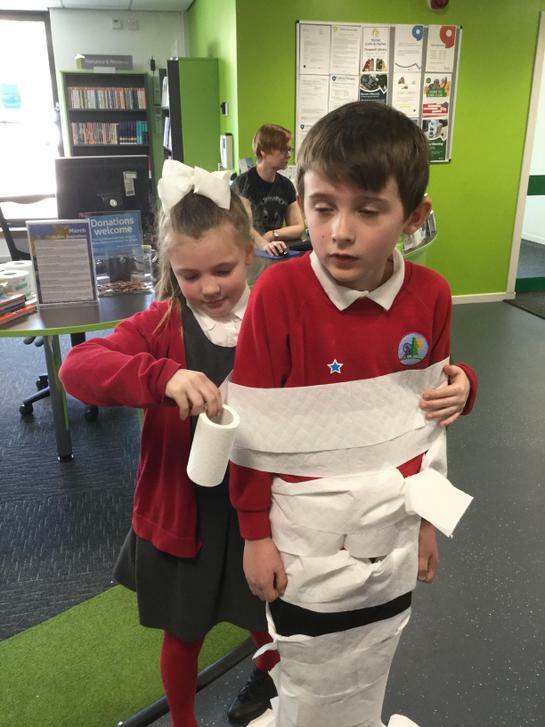 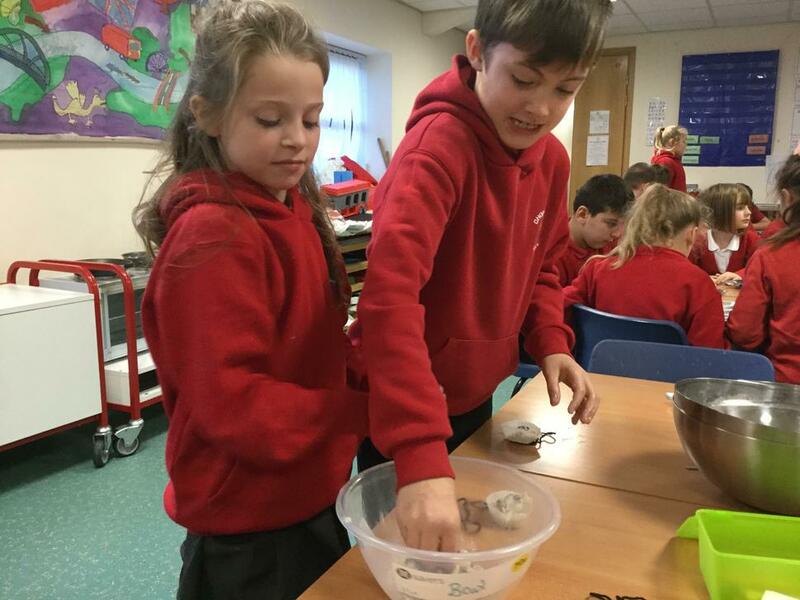 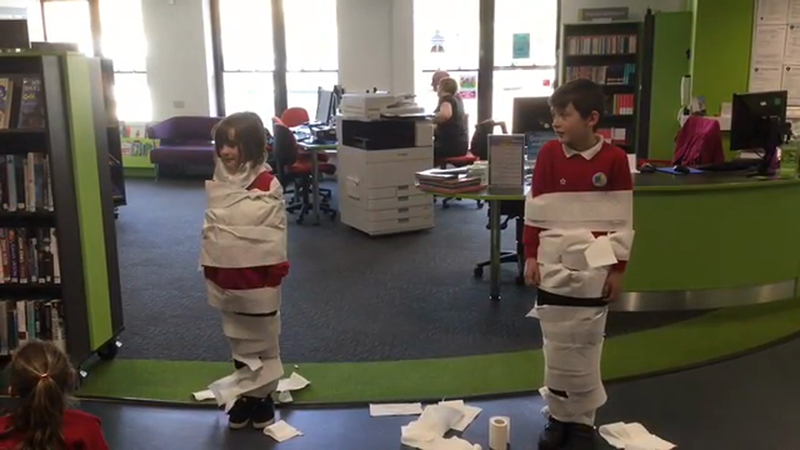 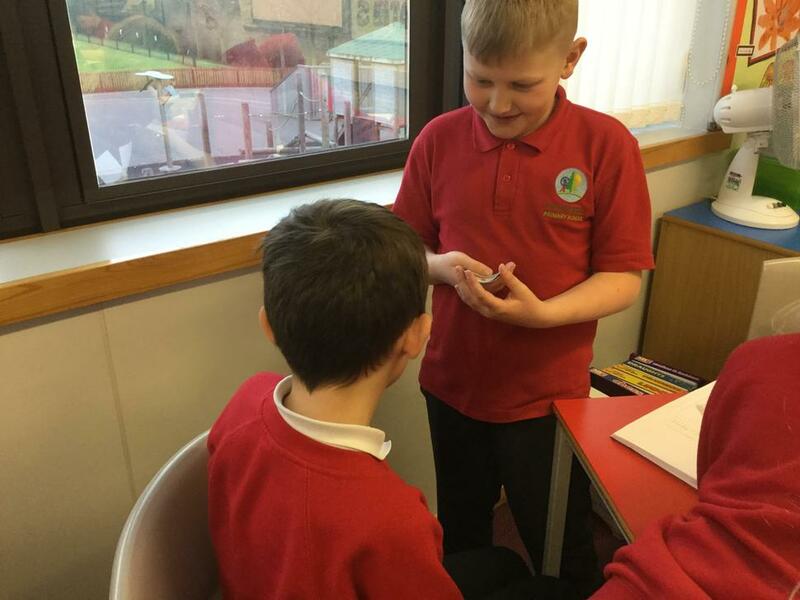 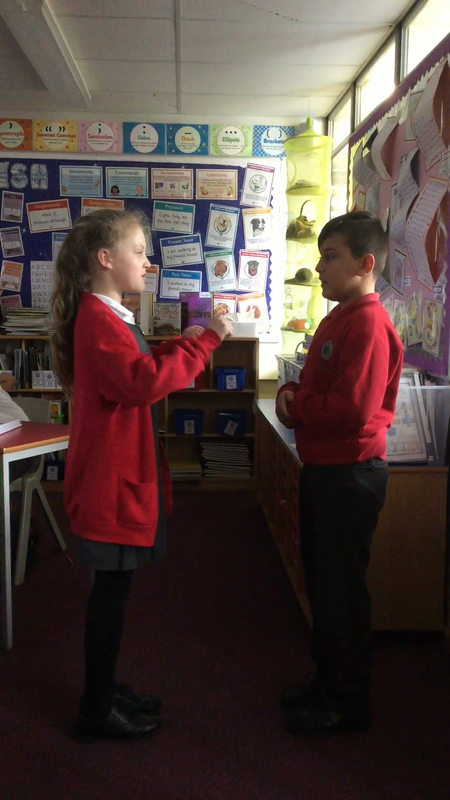 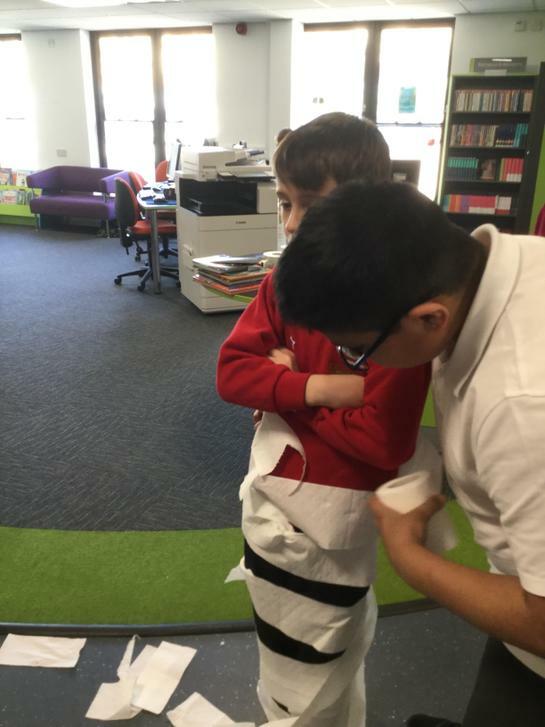 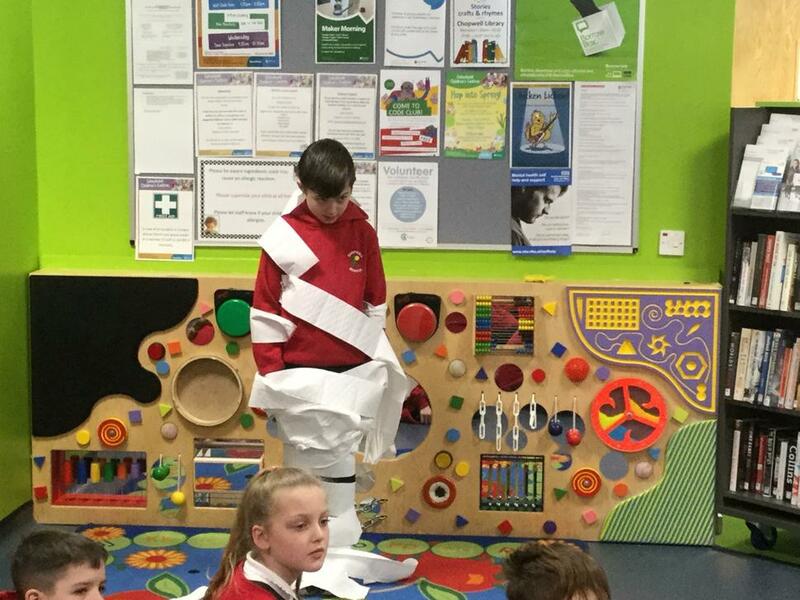 4M will also have the opportunity to explore the mummification process as well researching and comparing the Gods and Goddesses worshipped by the Egyptians in the past. 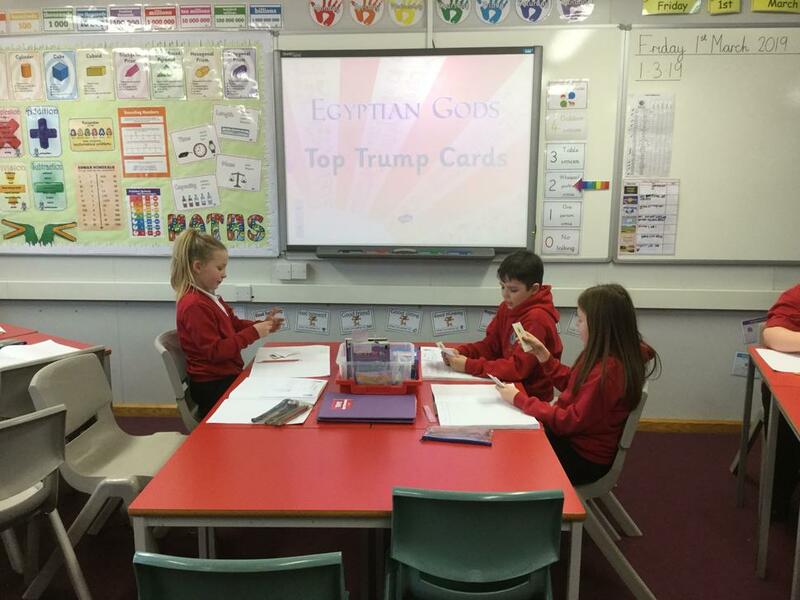 To develop the children’s writing this term, they will be reading various stories with an Egyptian theme. 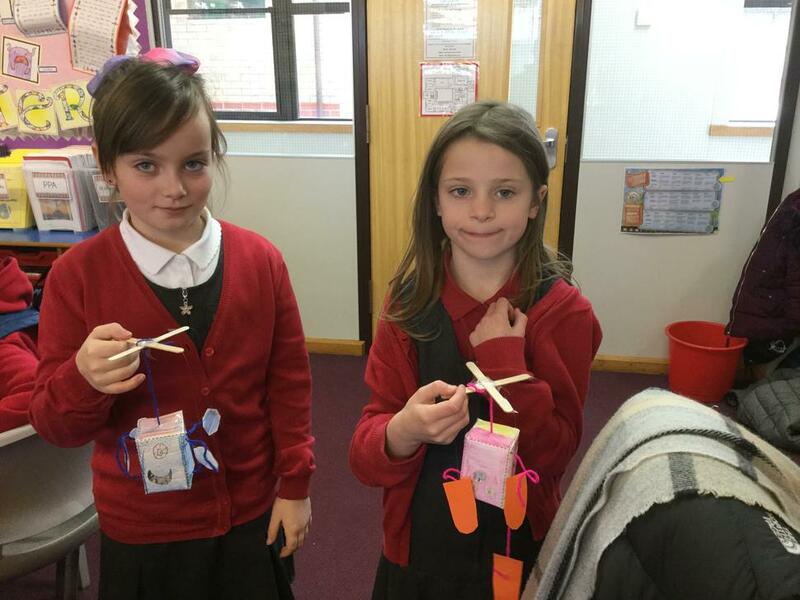 The titles of these stories will be, ‘The Happy Prince’ and ‘The Egyptian Cinderella’. 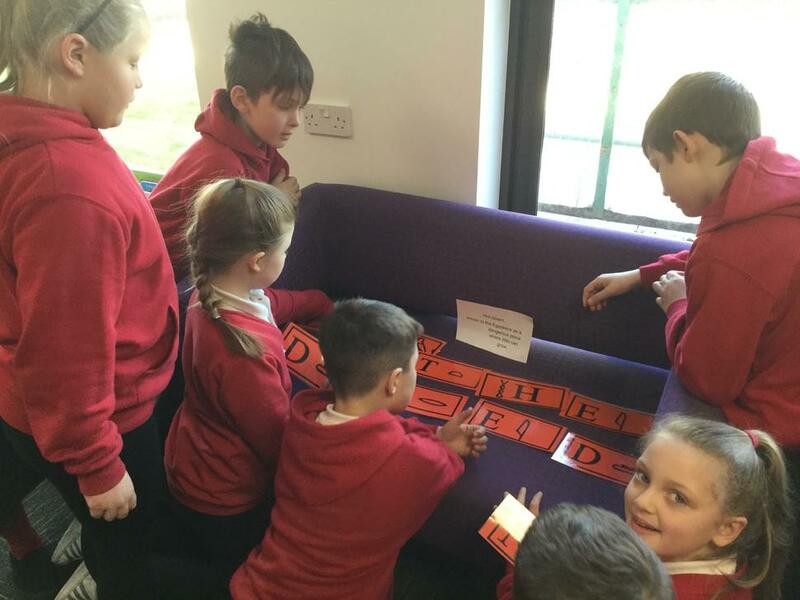 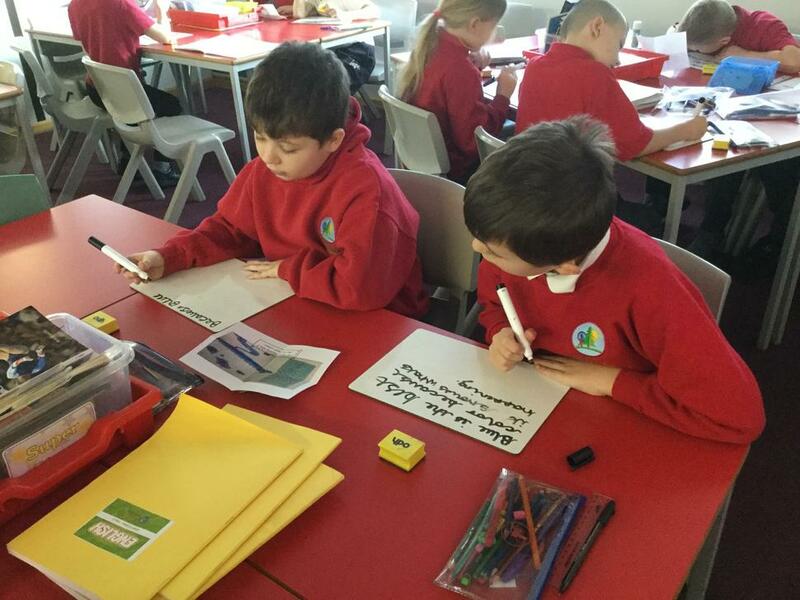 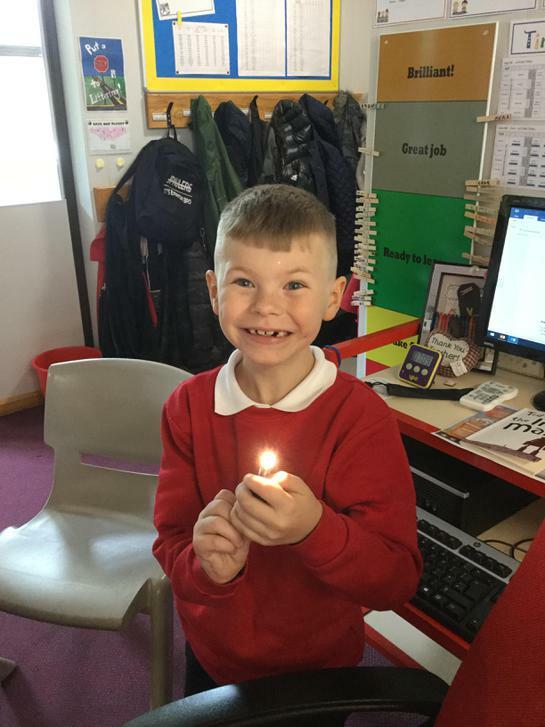 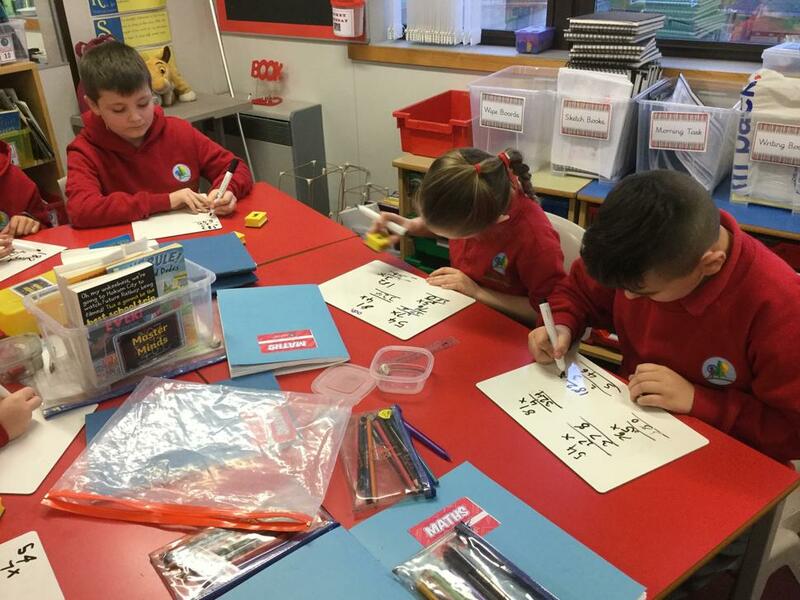 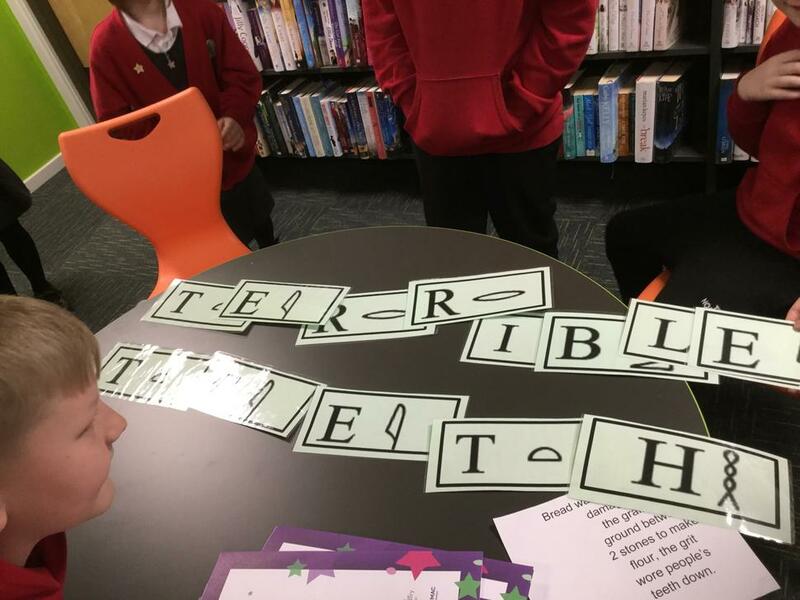 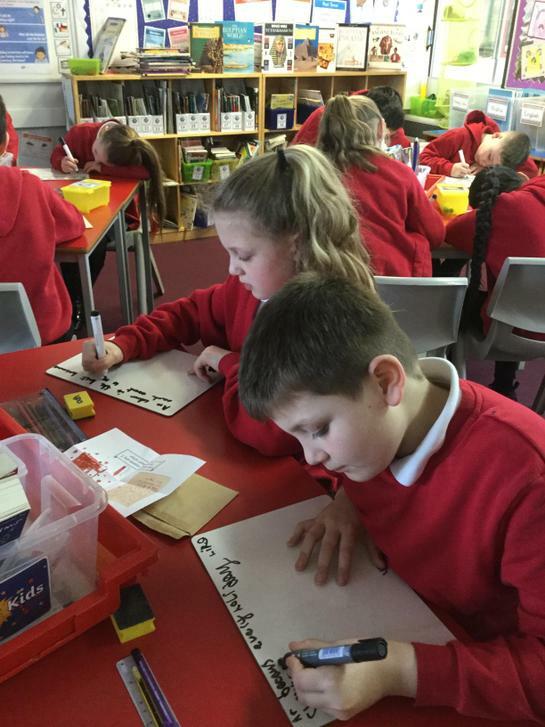 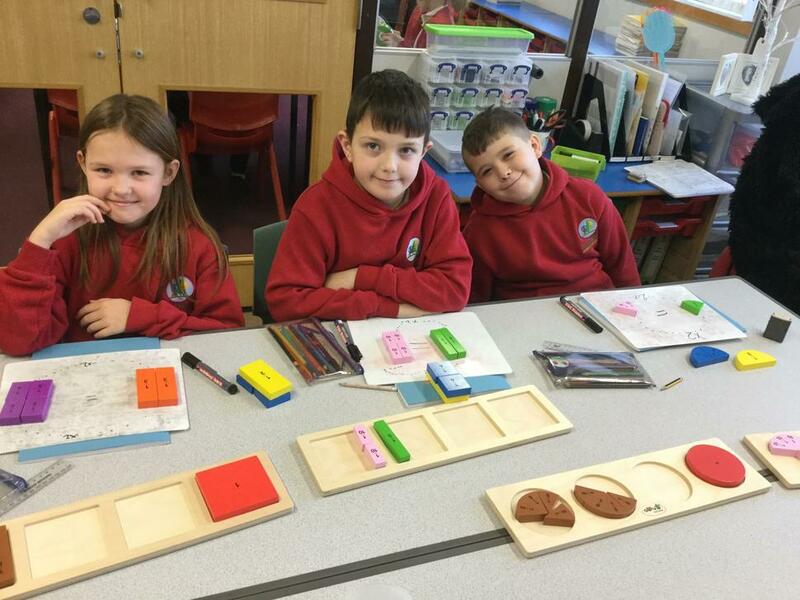 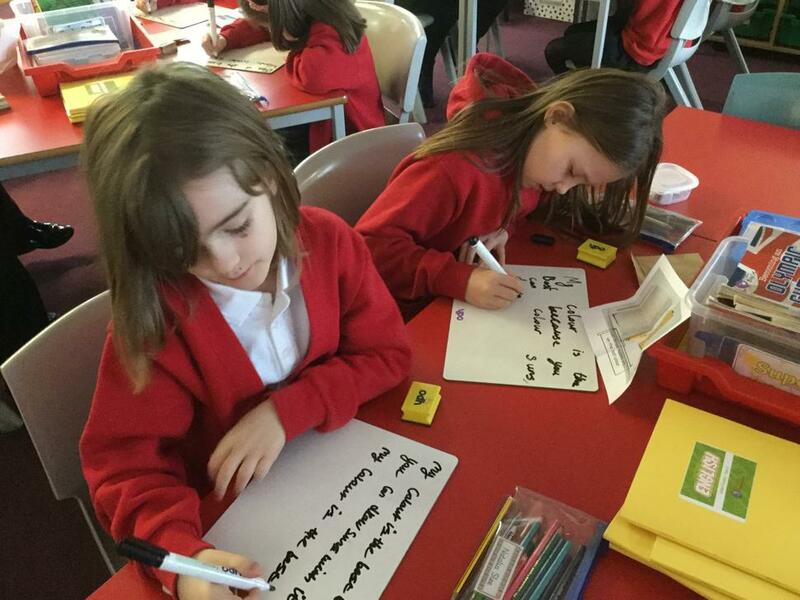 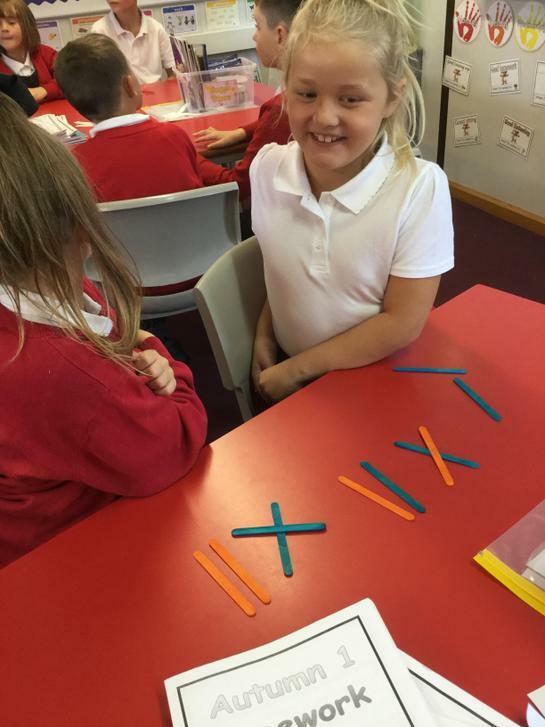 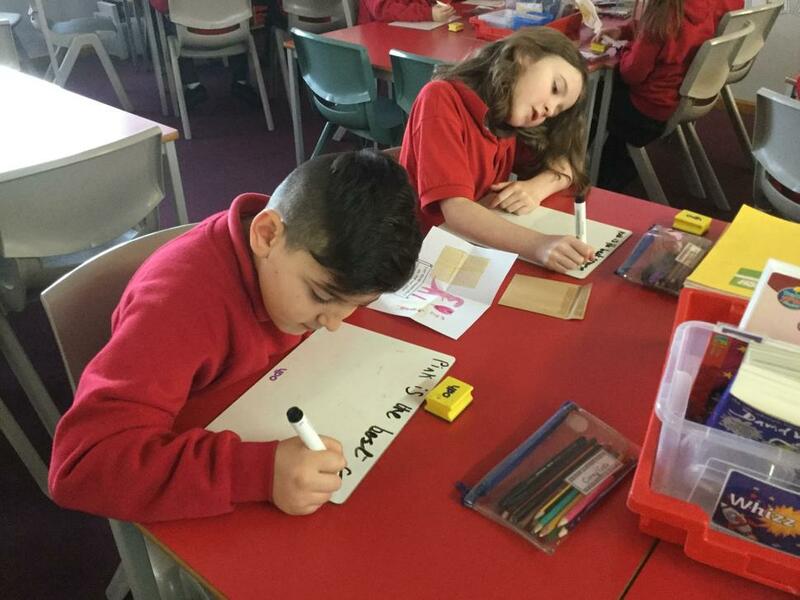 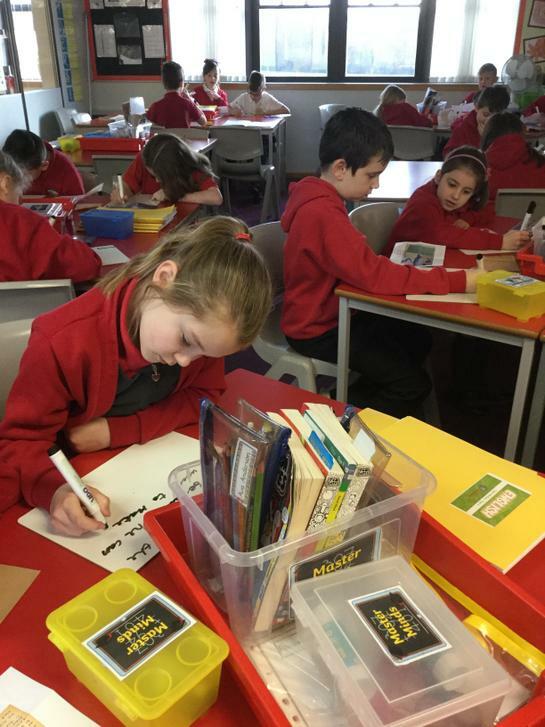 This will allow the children to develop their creative writing skills before moving onto using their research based around this terms topic to help write an explanation text and a non-chronological. 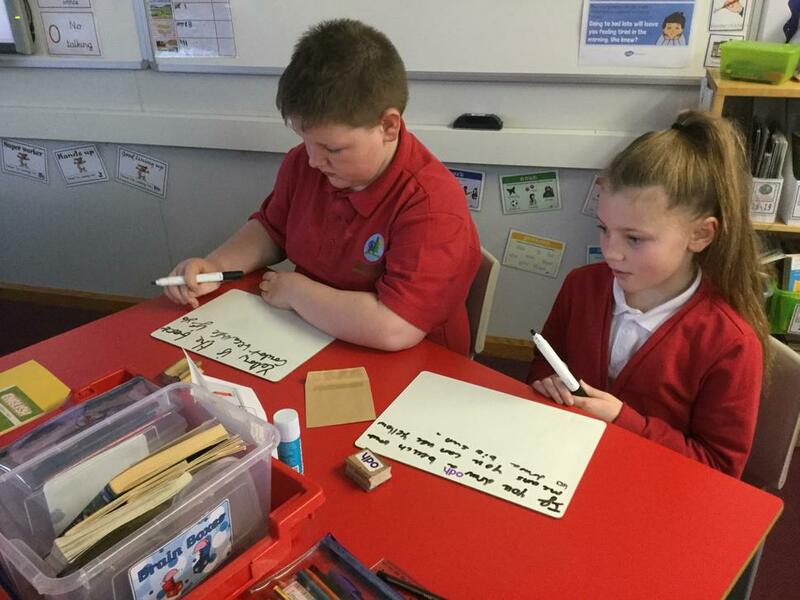 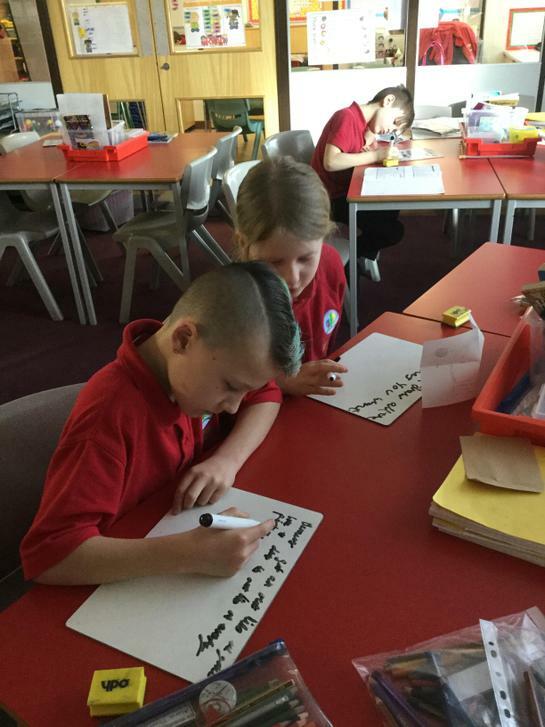 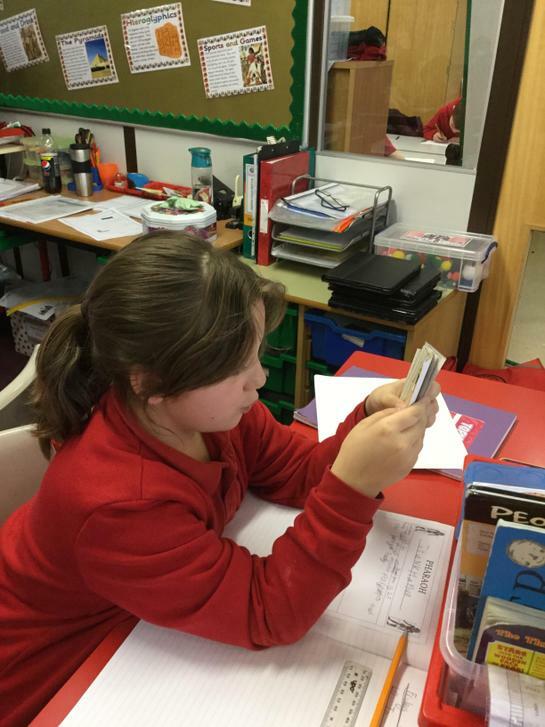 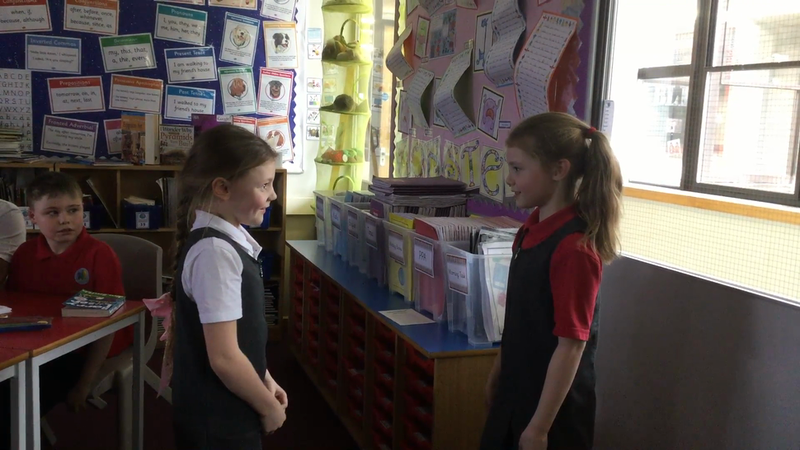 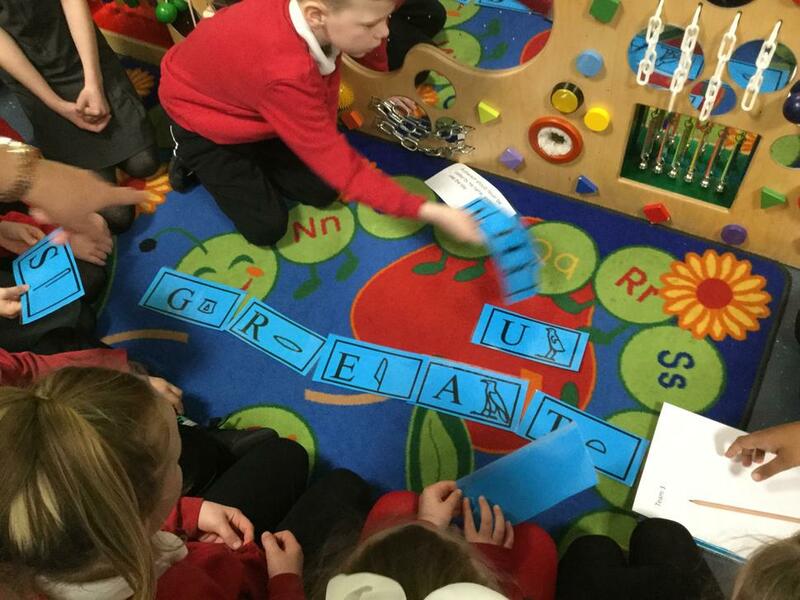 The children can now have a brief conversation in French asking each other how they are. 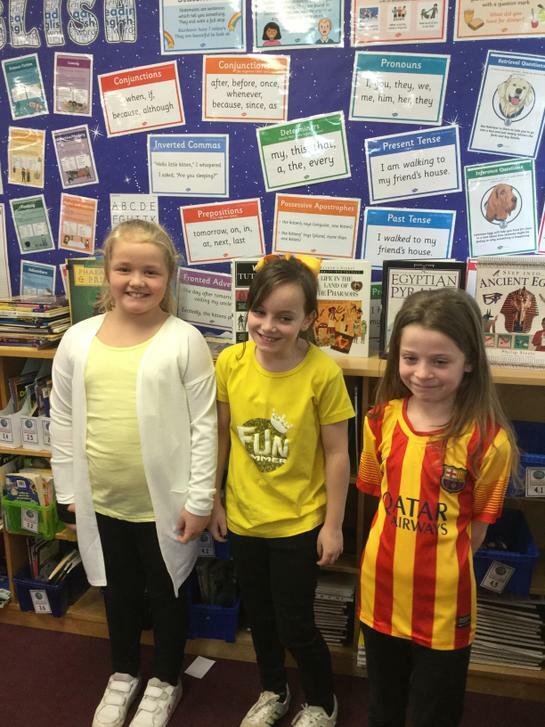 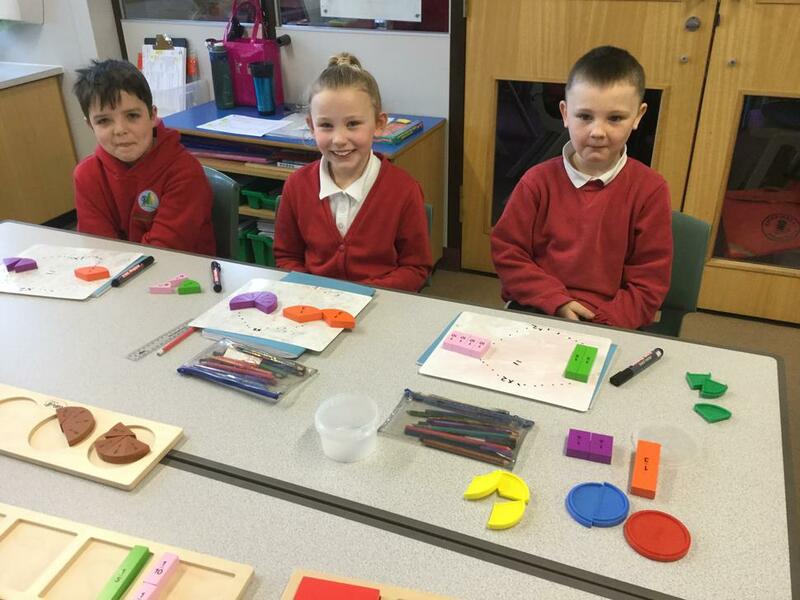 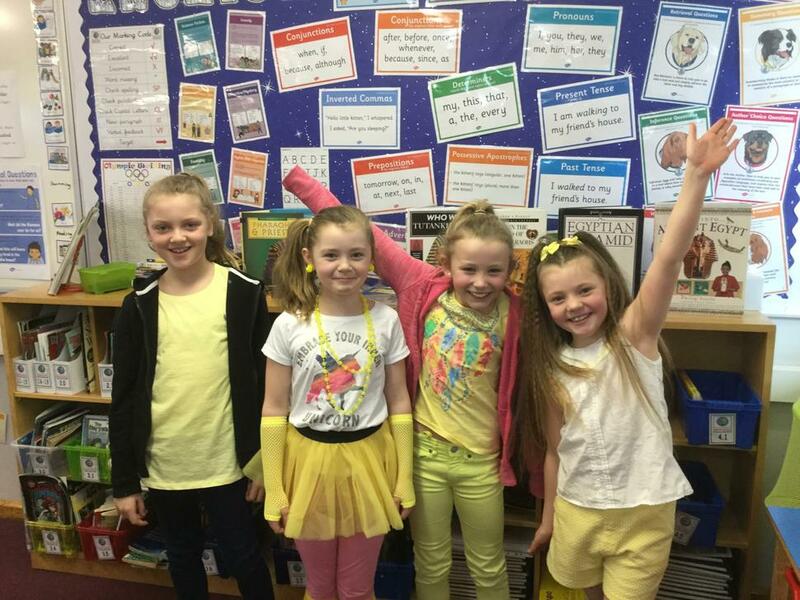 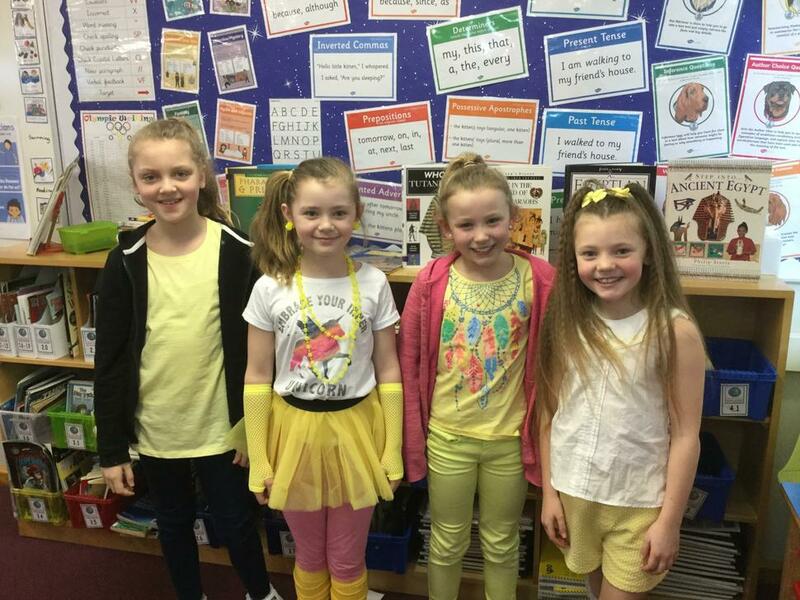 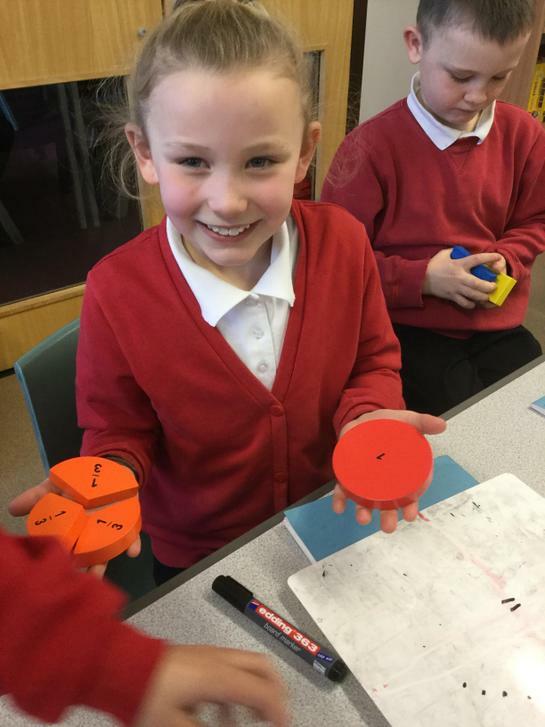 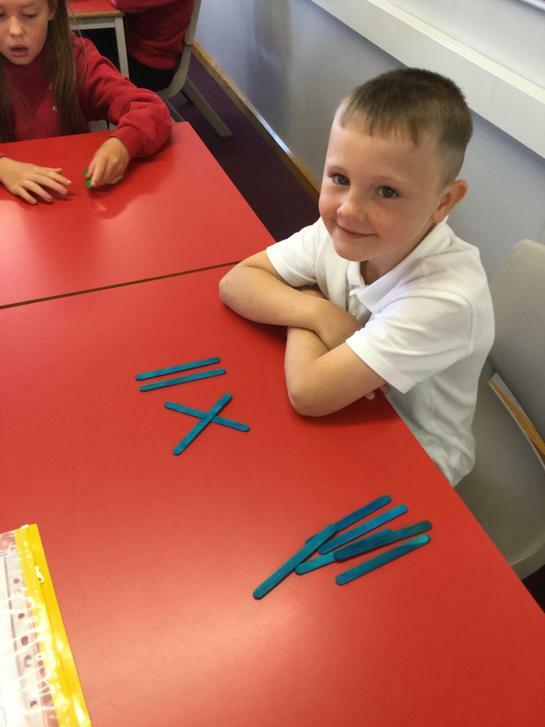 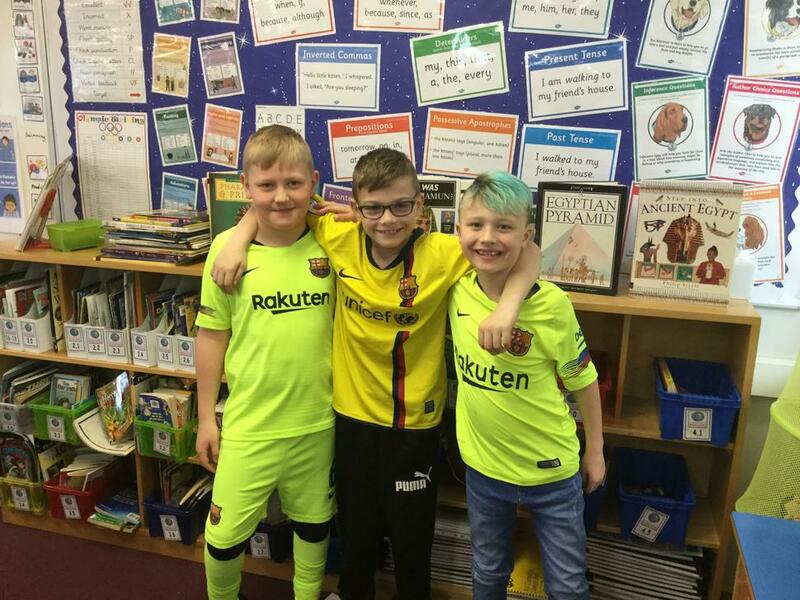 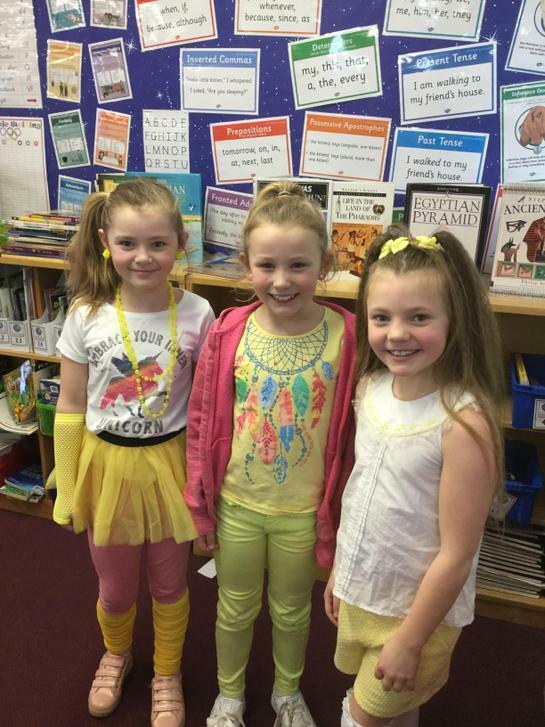 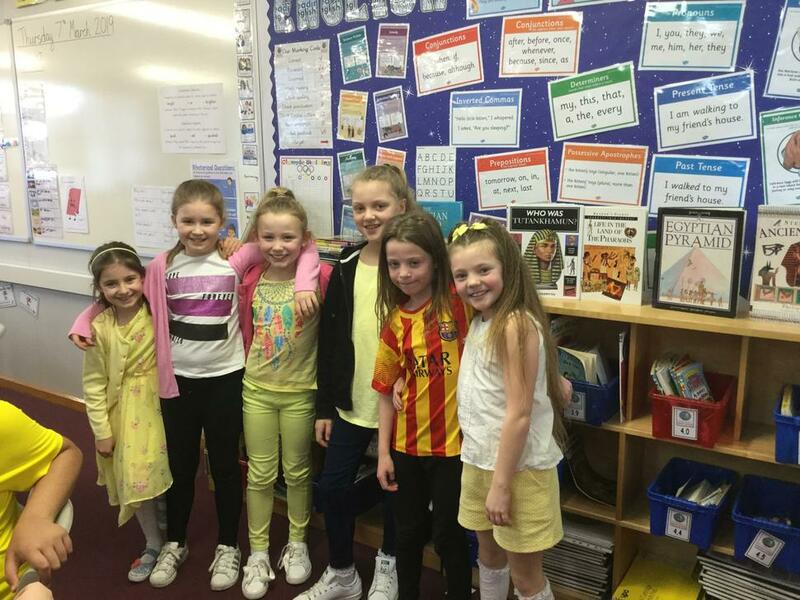 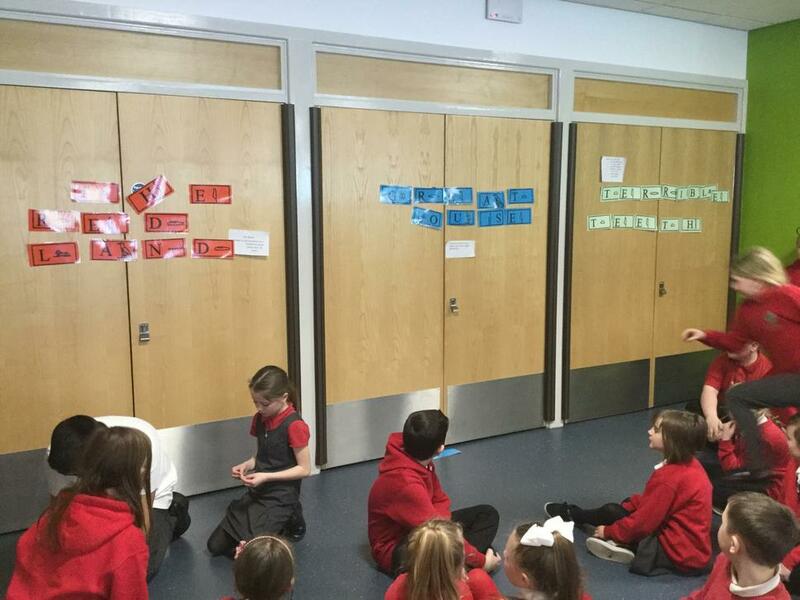 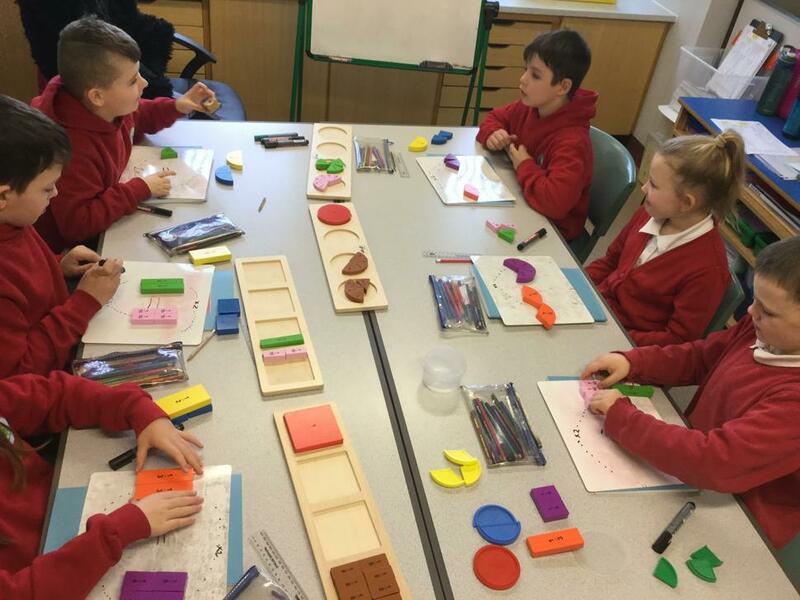 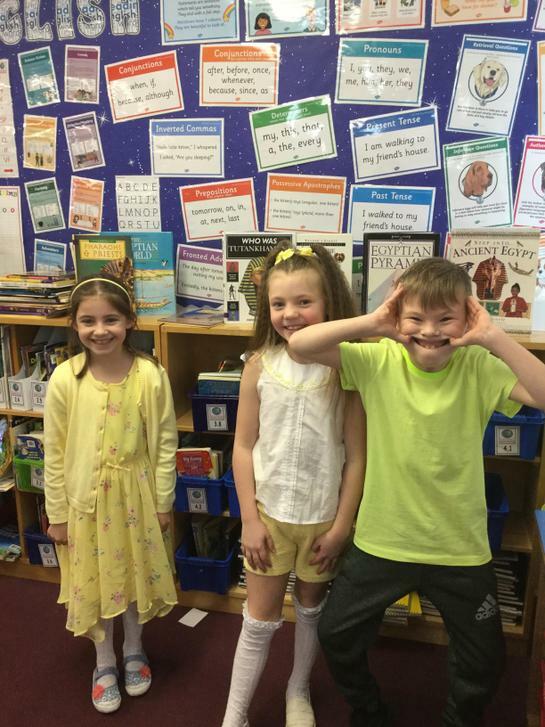 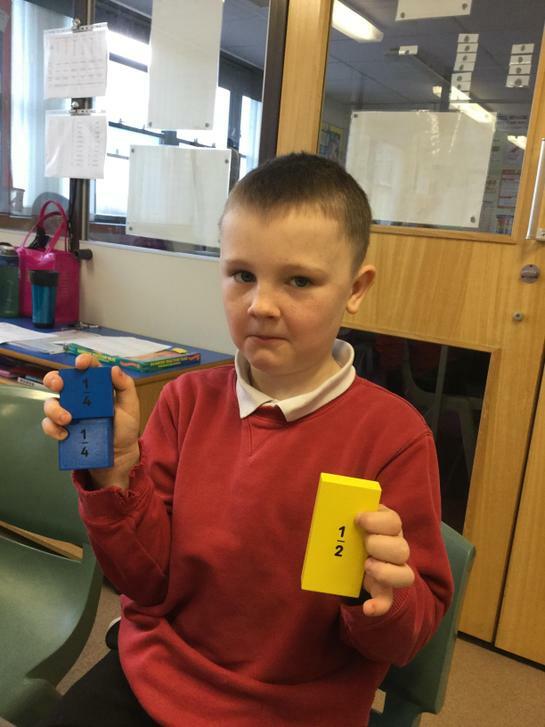 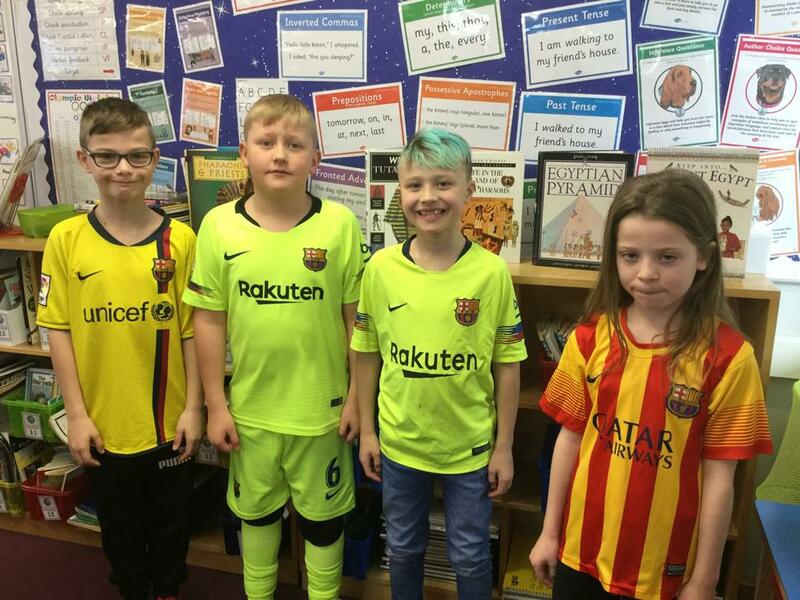 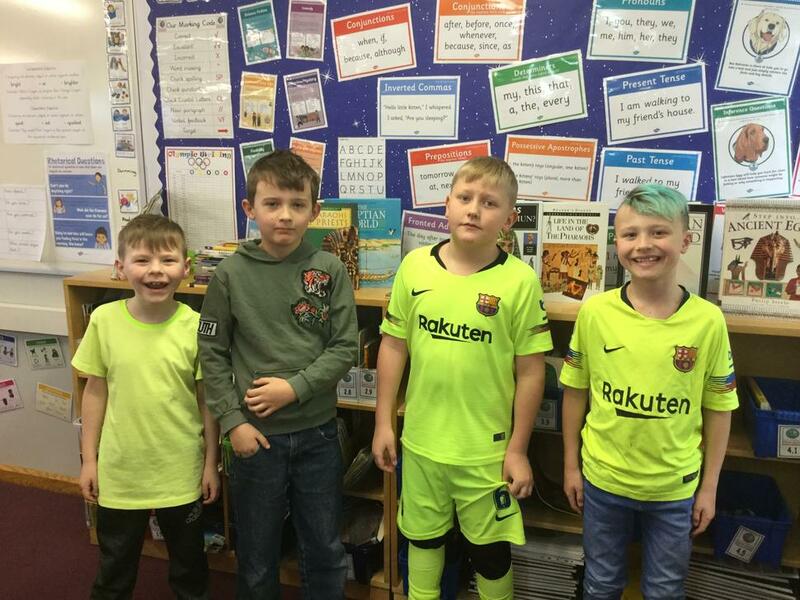 Class Debate - Which Colour is the best and why? 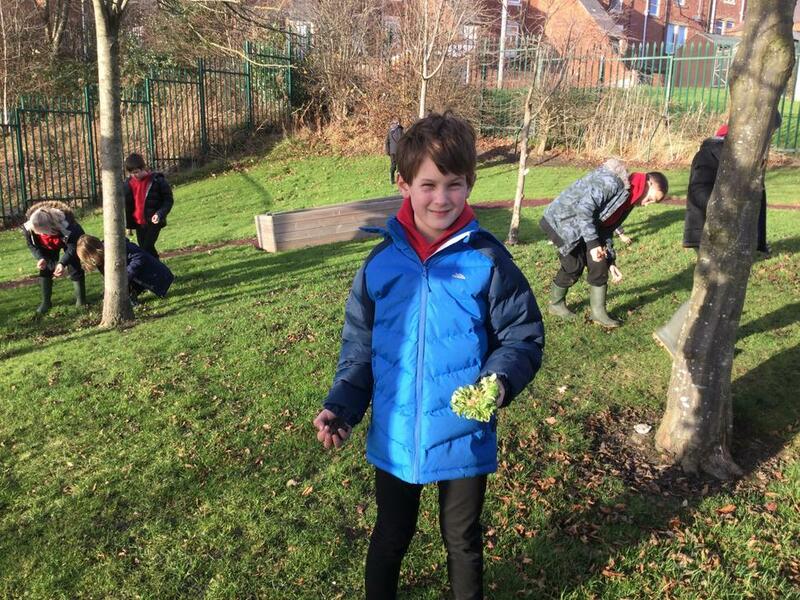 Happy New Year everyone and welcome to Spring One - 2019. 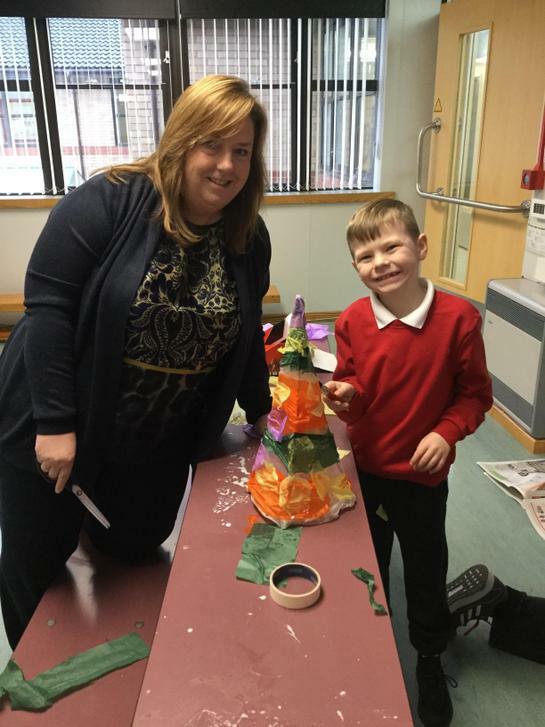 Mrs Curry and myself both hope you all have had an amazing Christmas break. 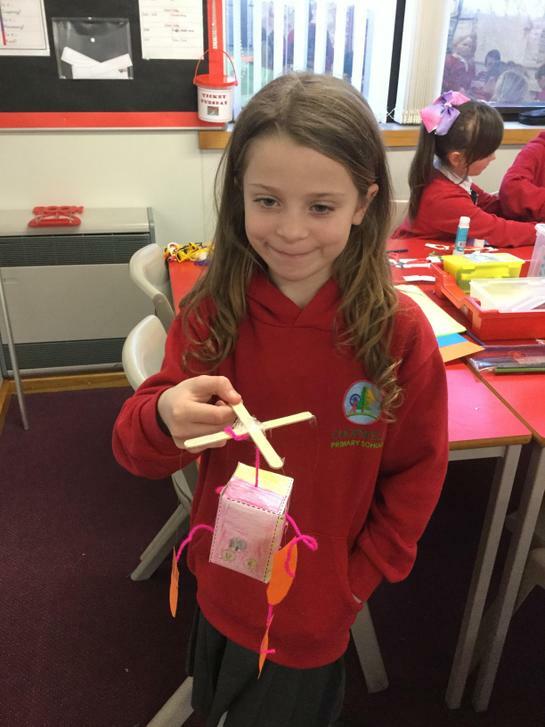 So, the focus for this half term is entitled ‘Transport and Trade’. 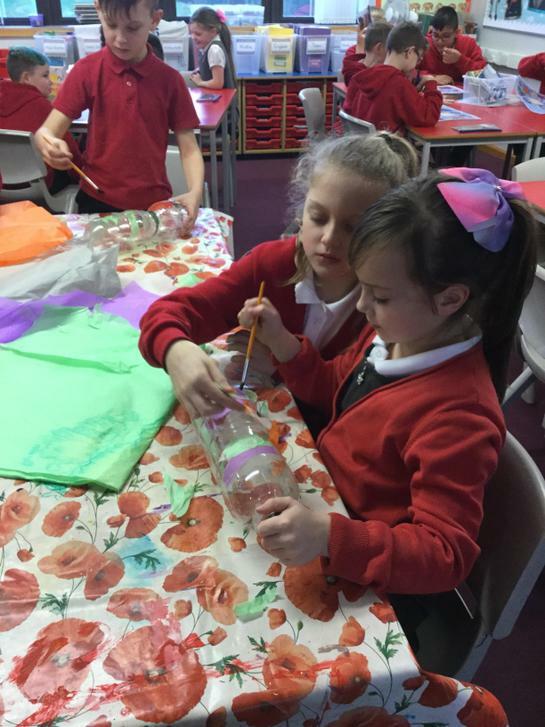 During the term the children will explore how we travel around the world and what happens when we trade with other countries around the world. 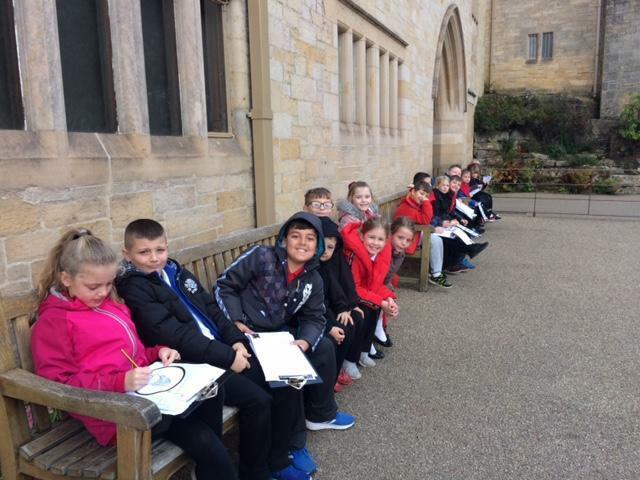 As historians they will explore how people first travelled by walking, the first motor car and the development of boats. 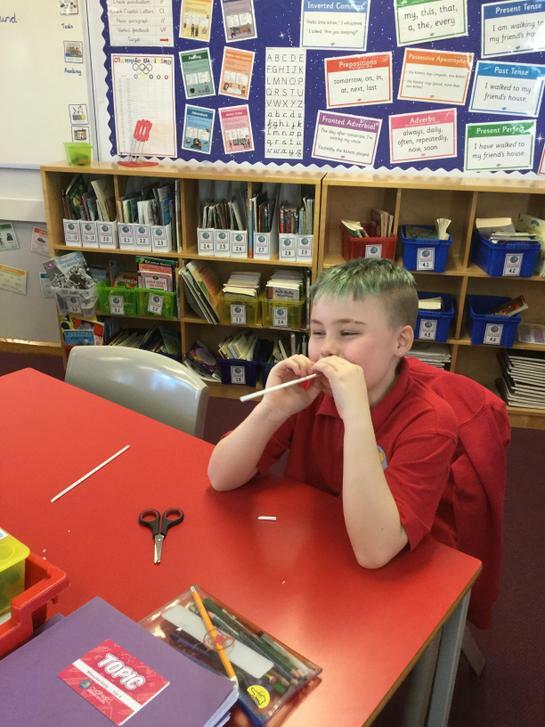 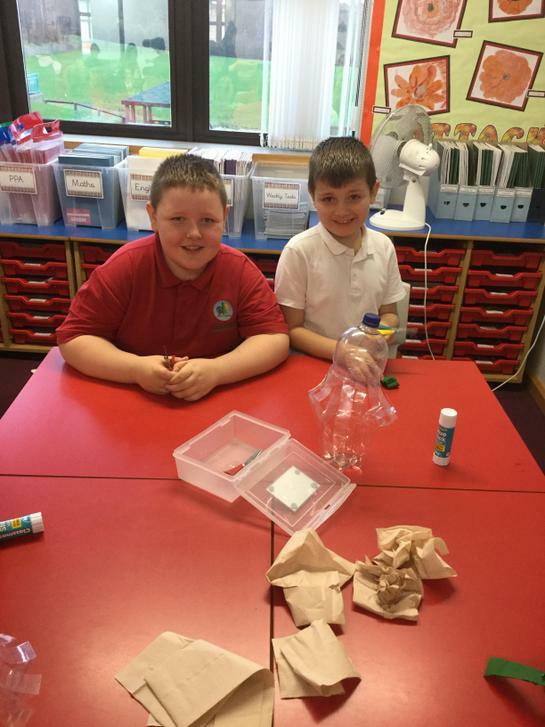 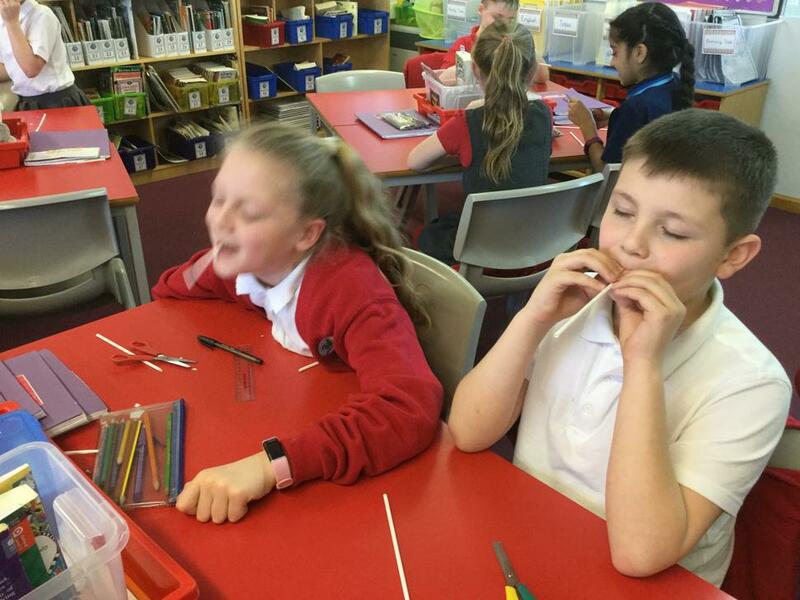 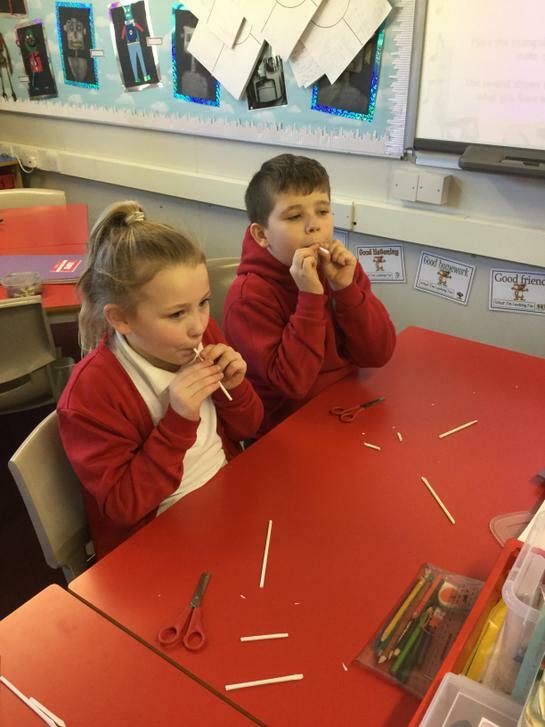 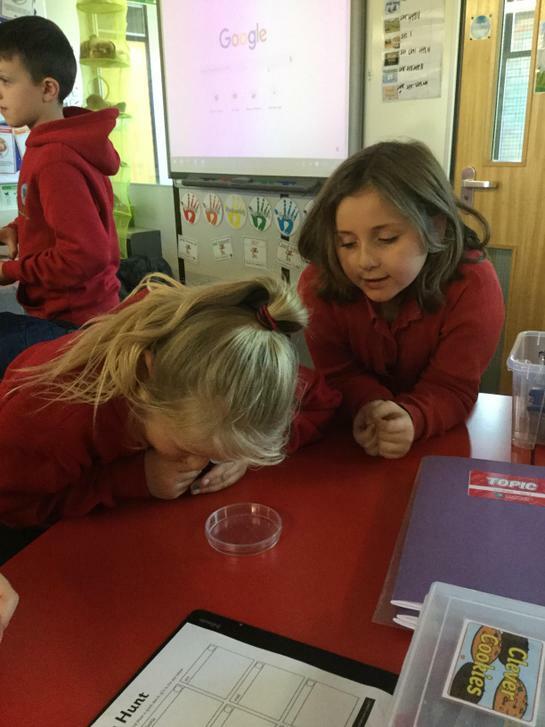 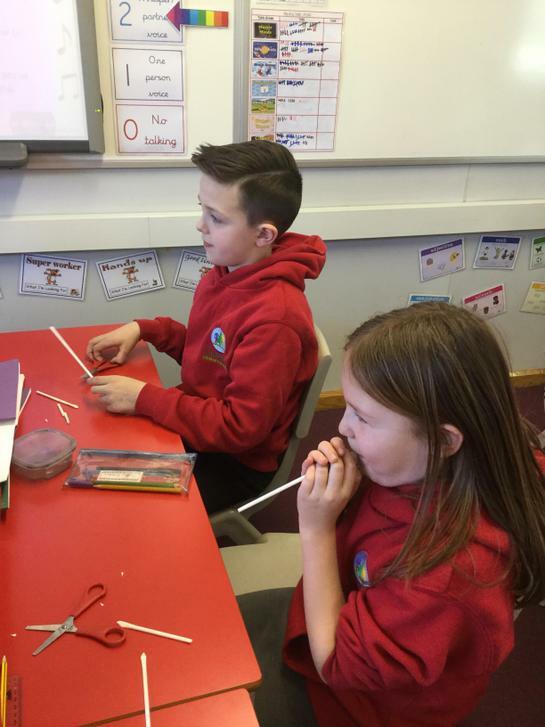 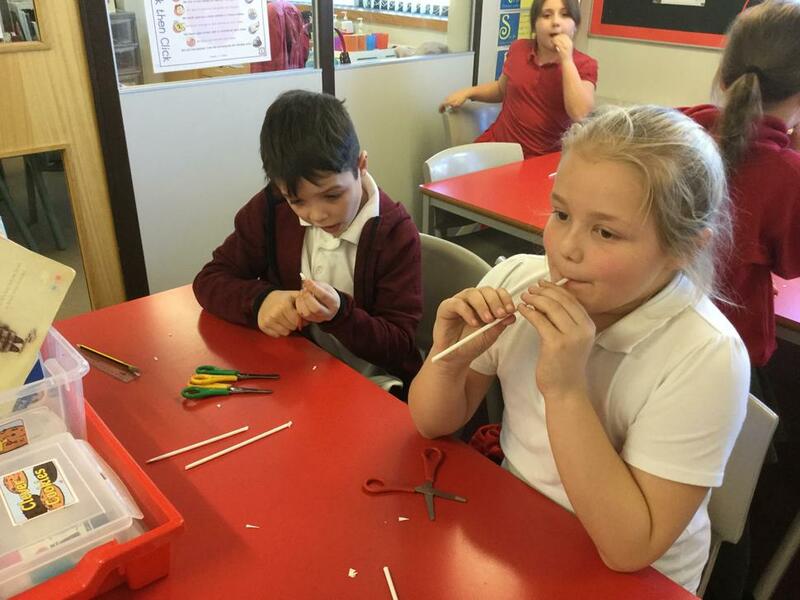 As scientists the children will explore how we hear sound and how sound travels. 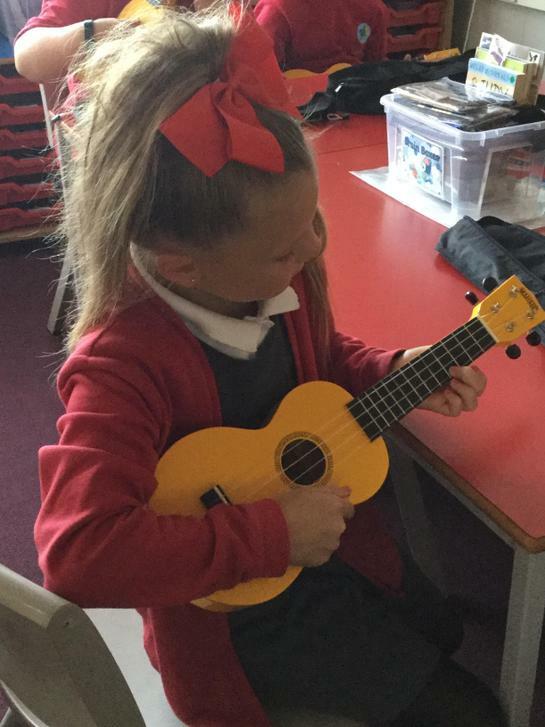 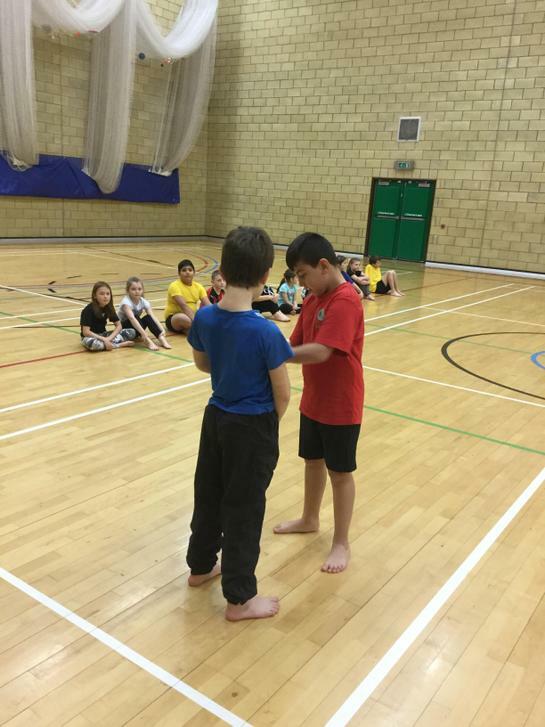 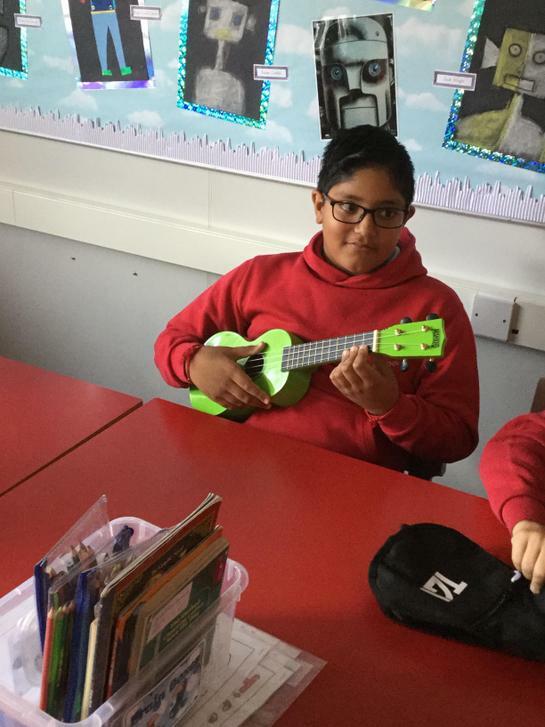 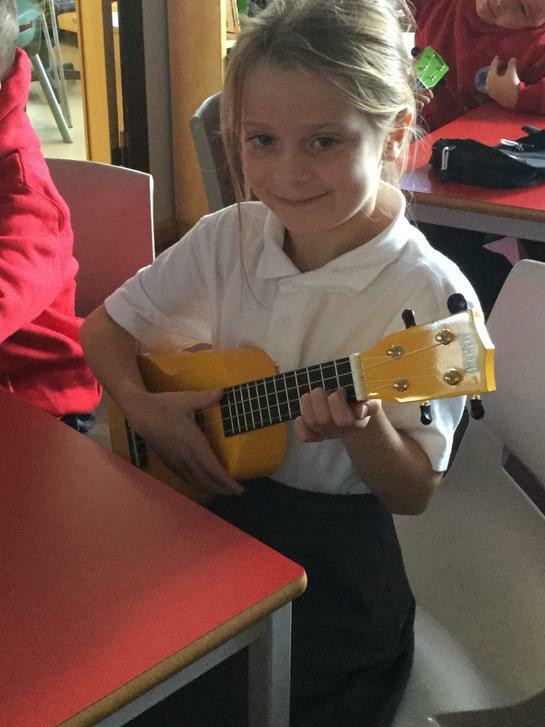 During Spring One the children will continue with their ukulele lessons and will create a final performance, to showing off their skills on Tuesday 12th February 2019. 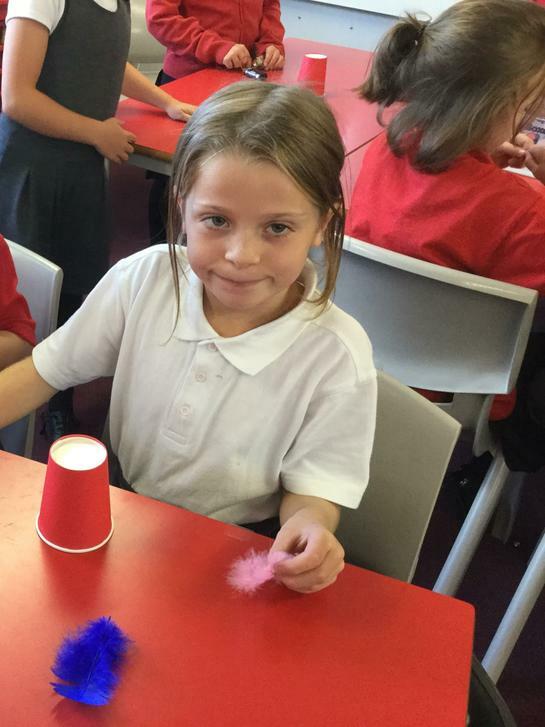 During the first week back at school, we hope you will be able to attend our parent workshop on Thursdays morning. 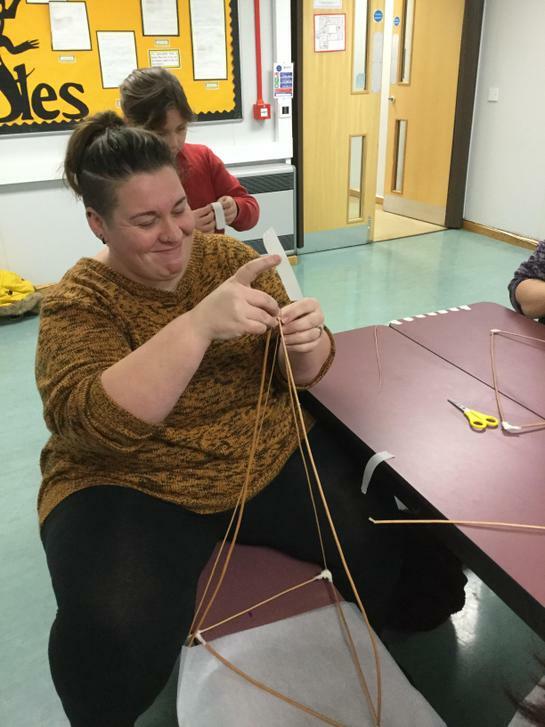 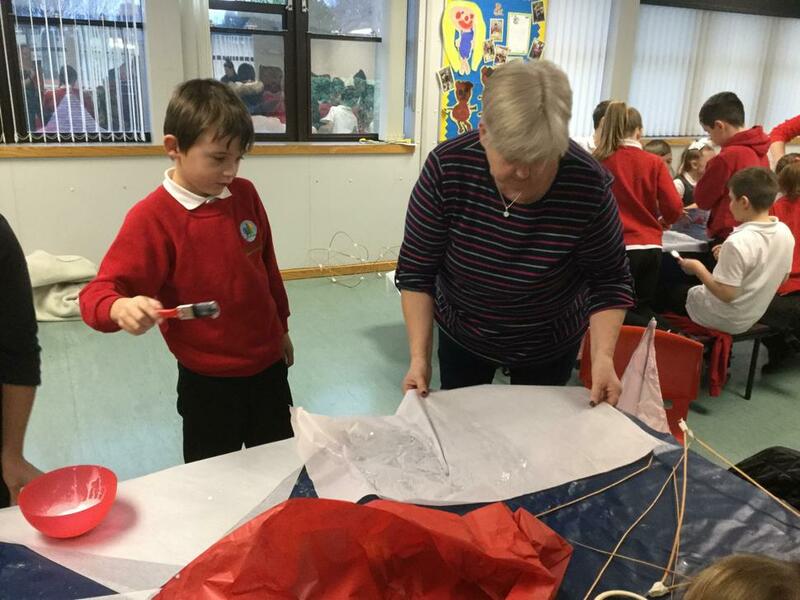 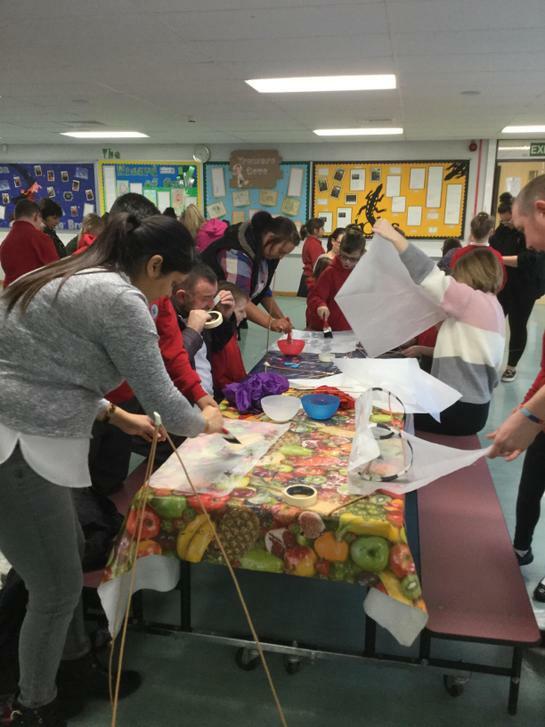 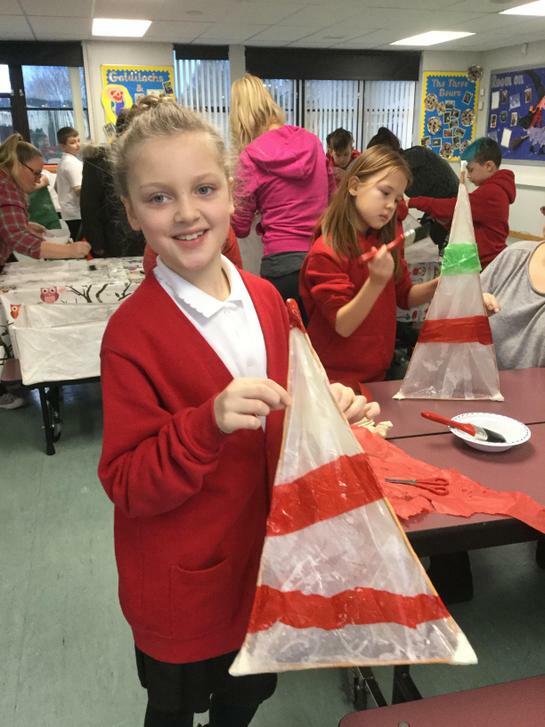 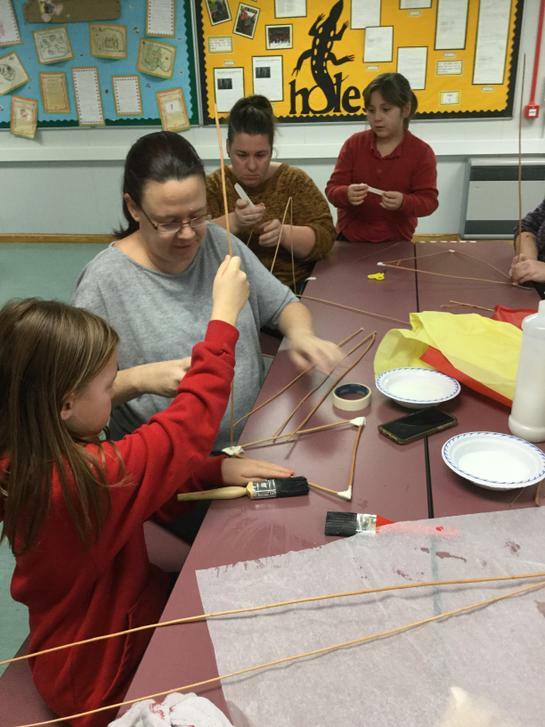 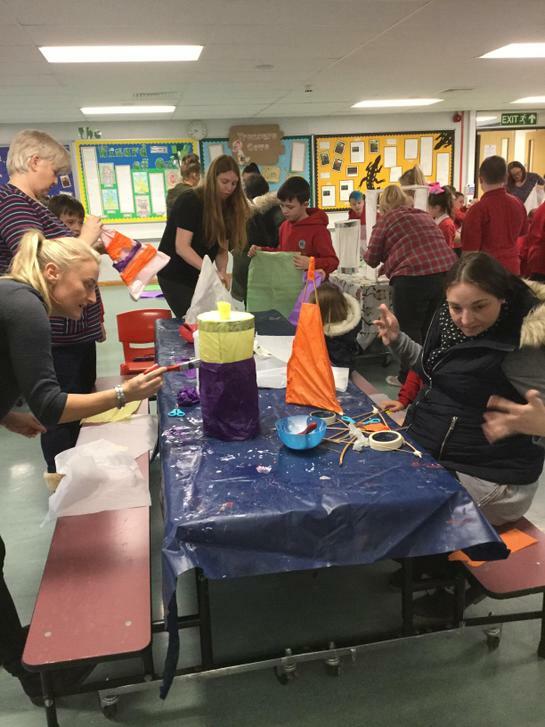 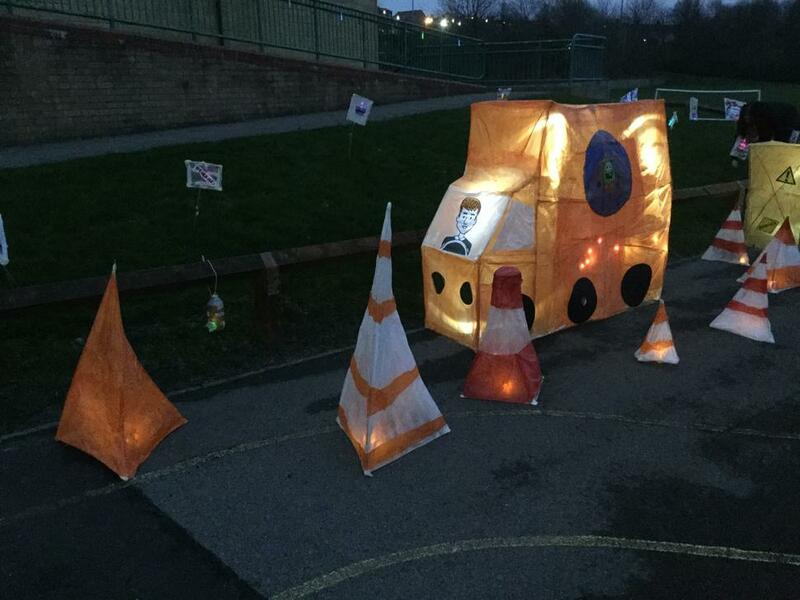 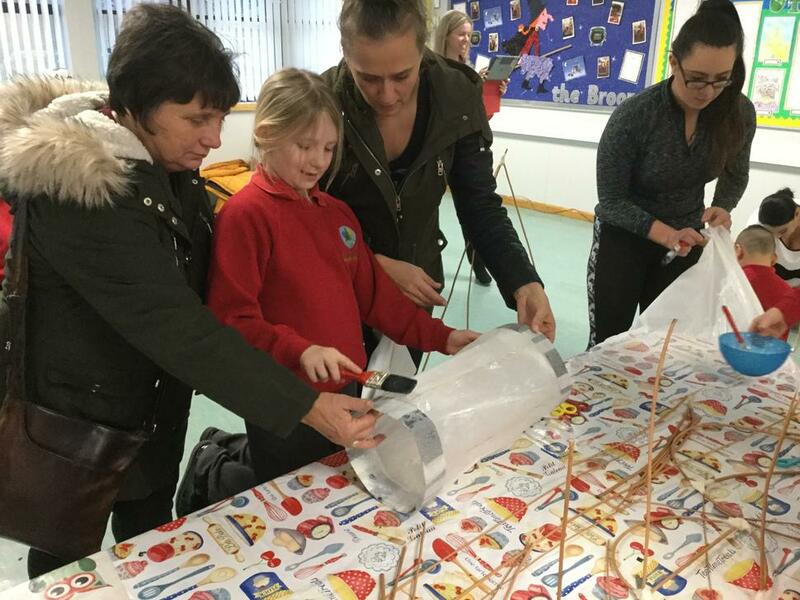 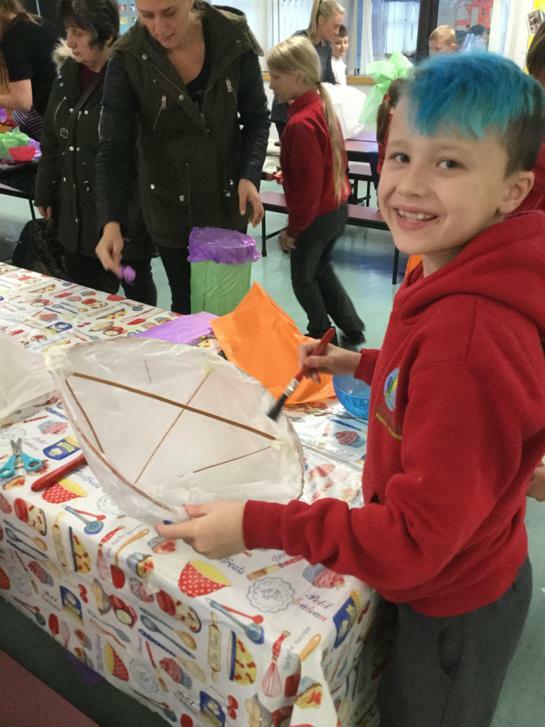 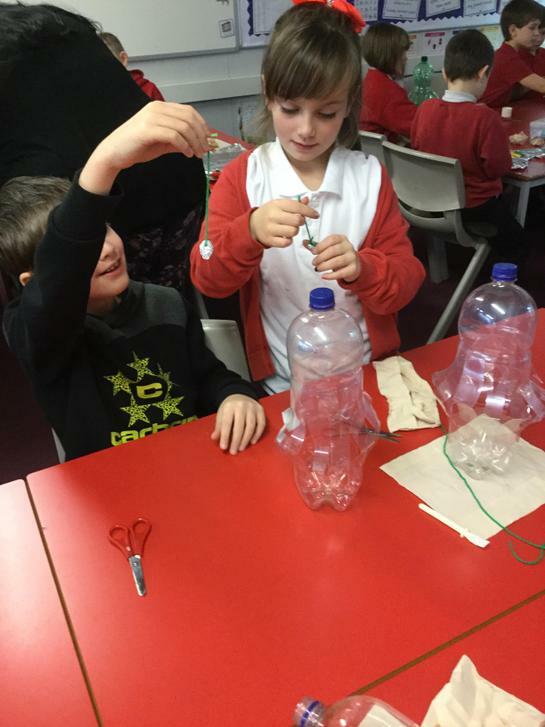 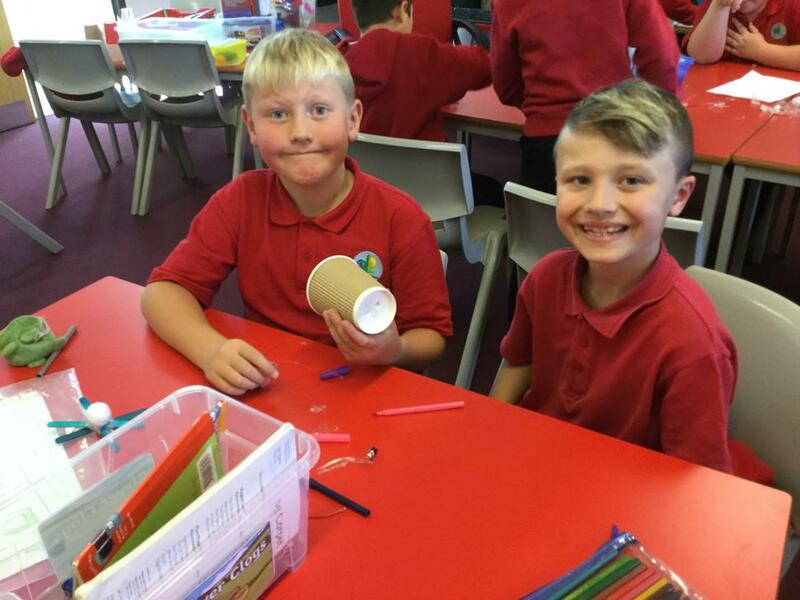 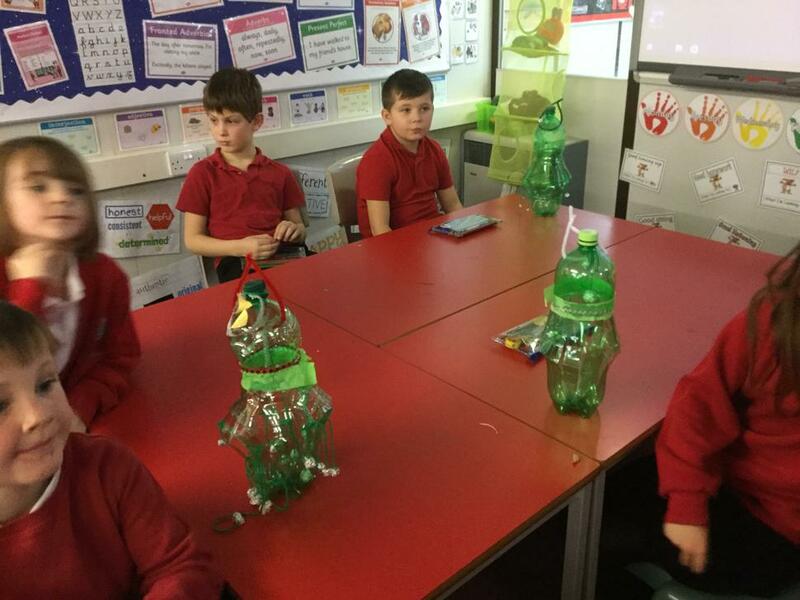 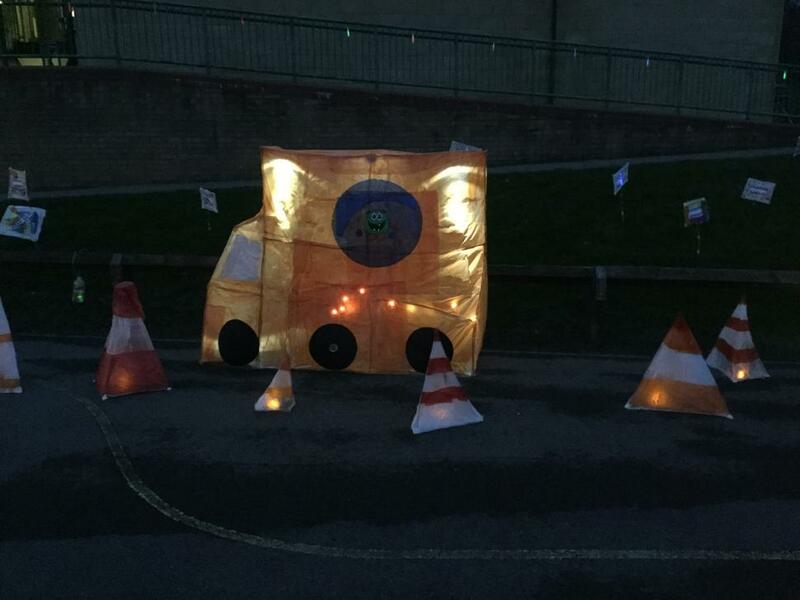 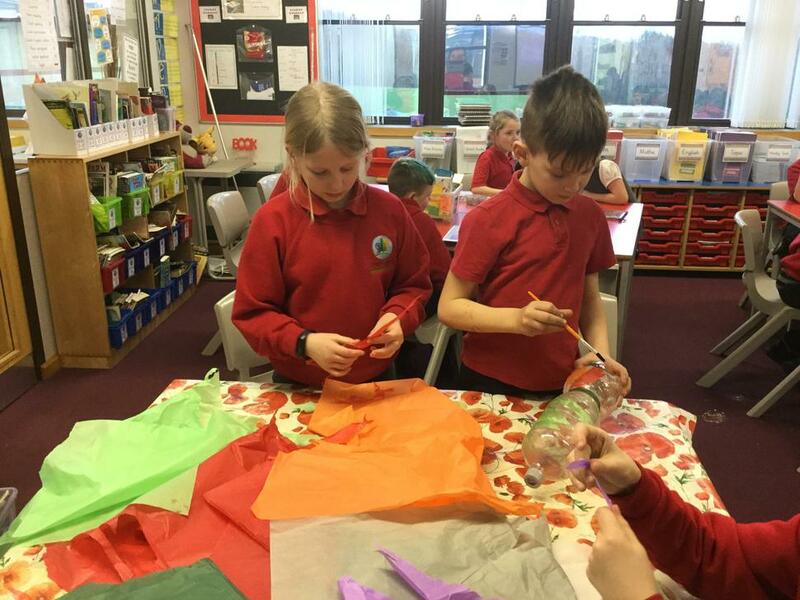 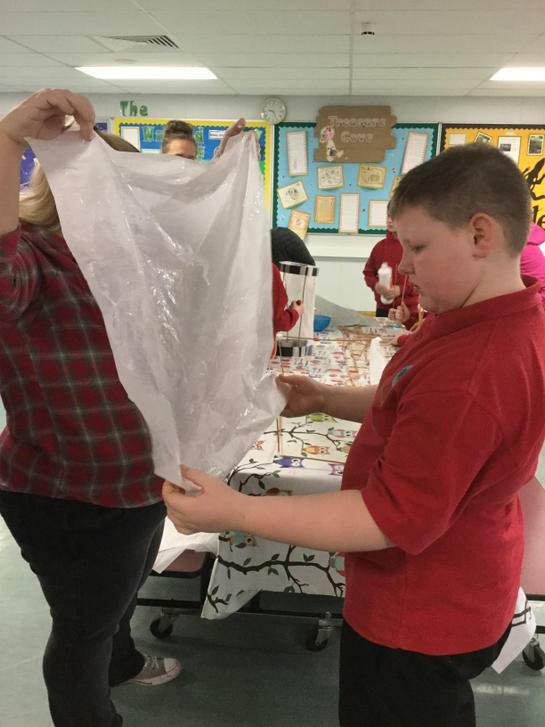 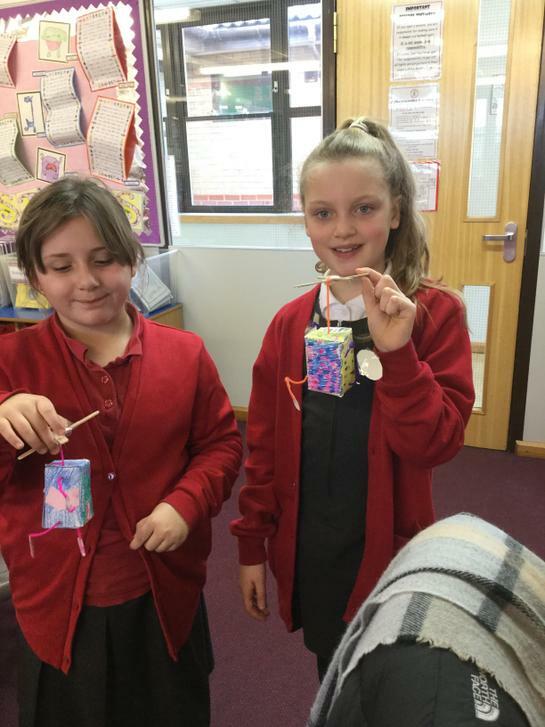 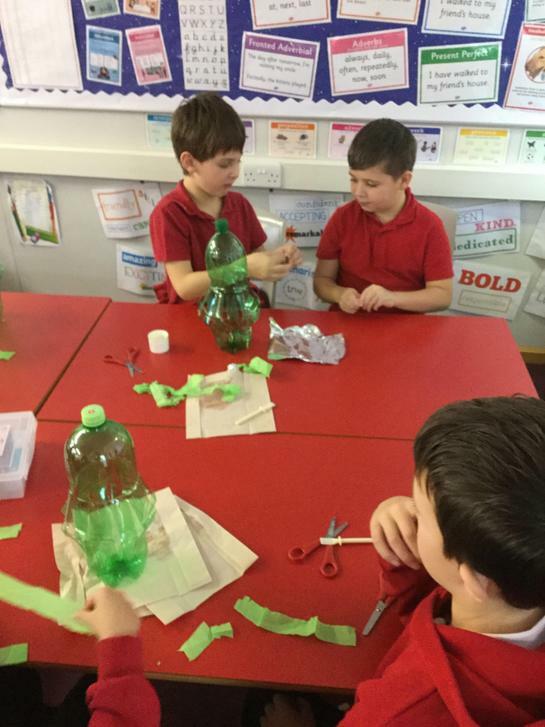 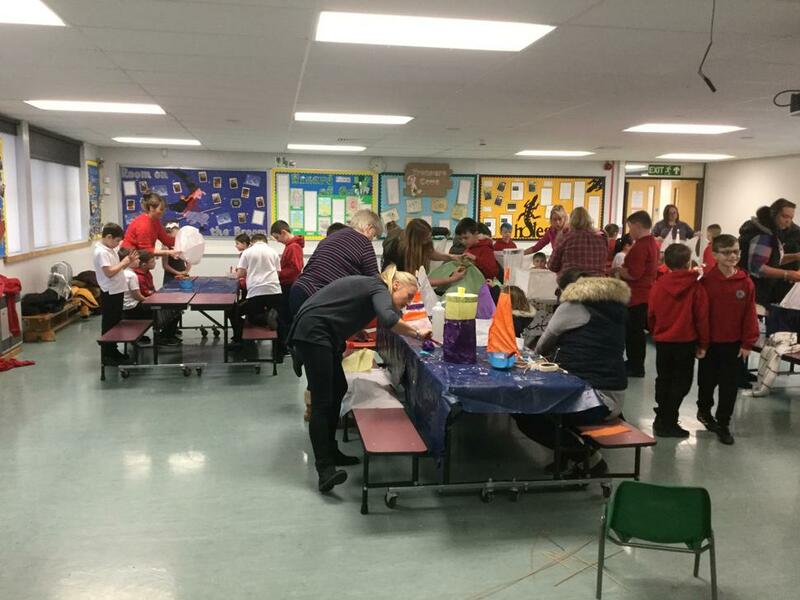 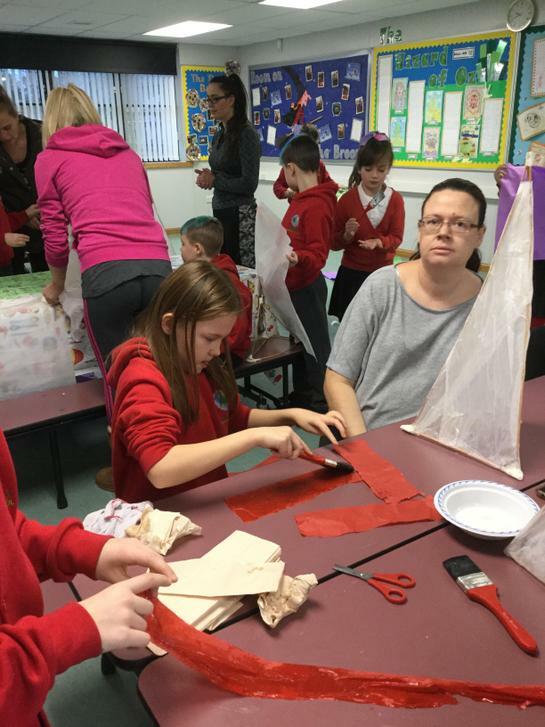 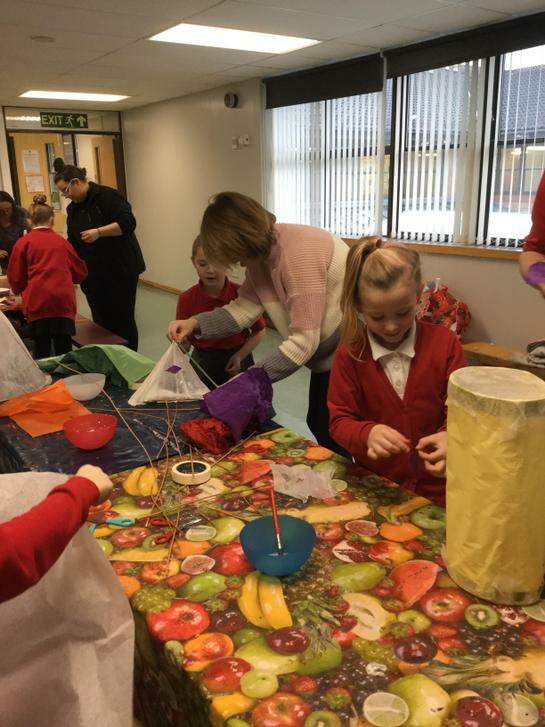 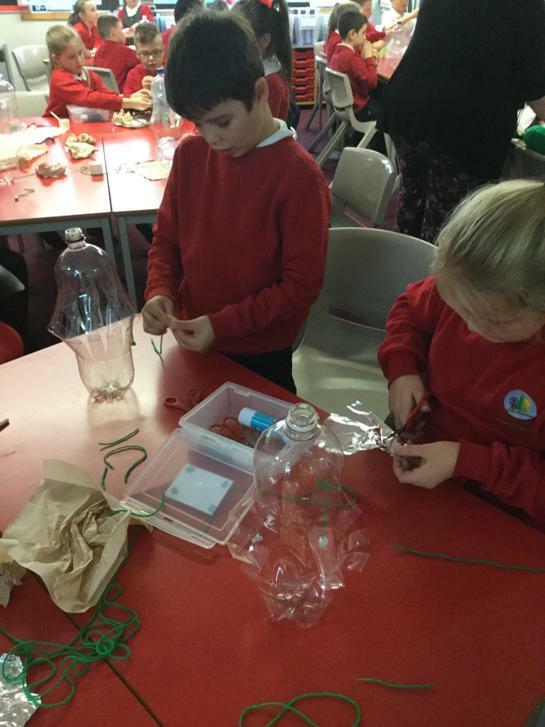 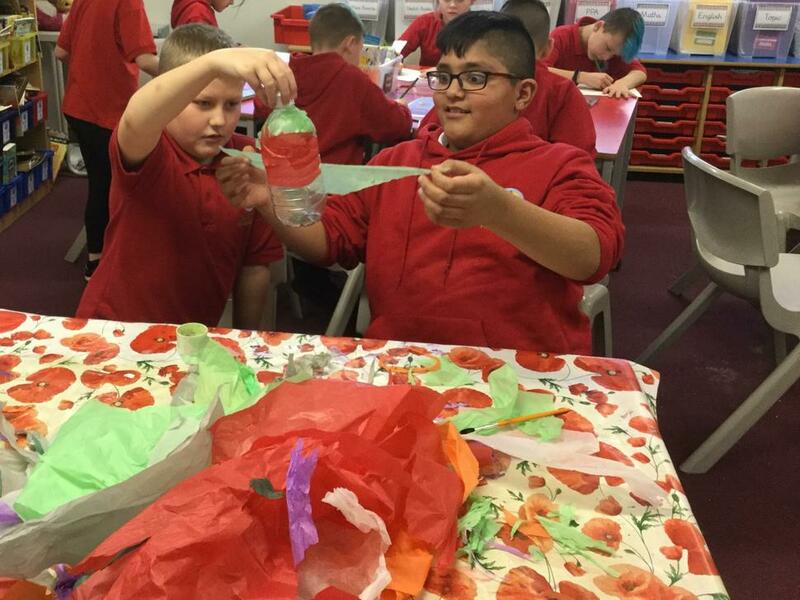 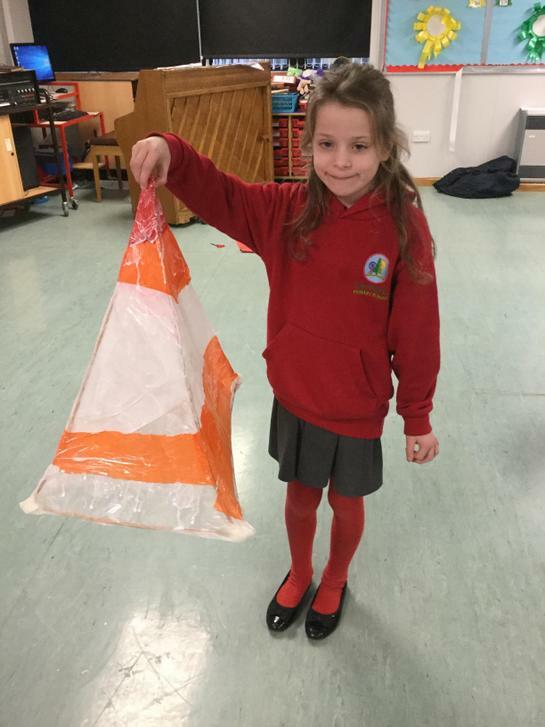 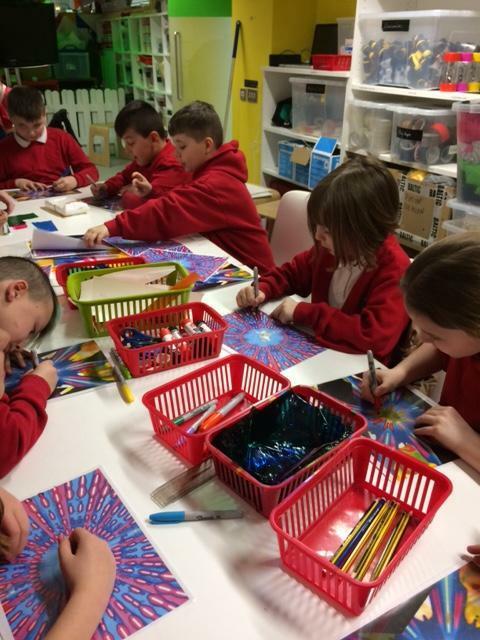 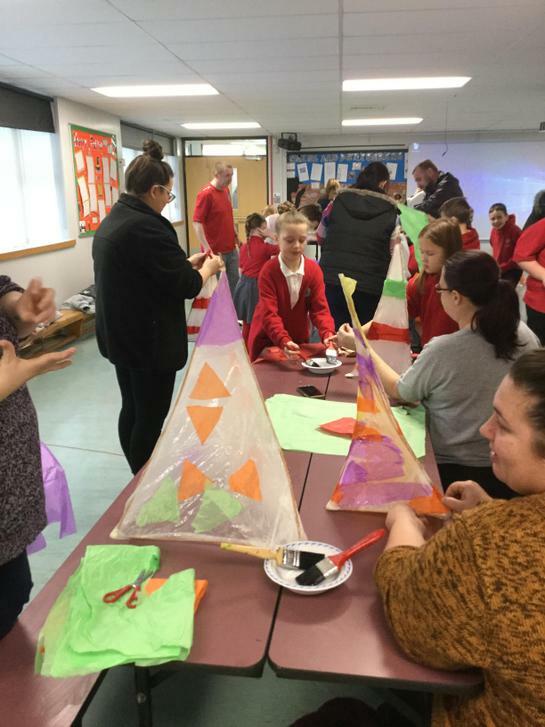 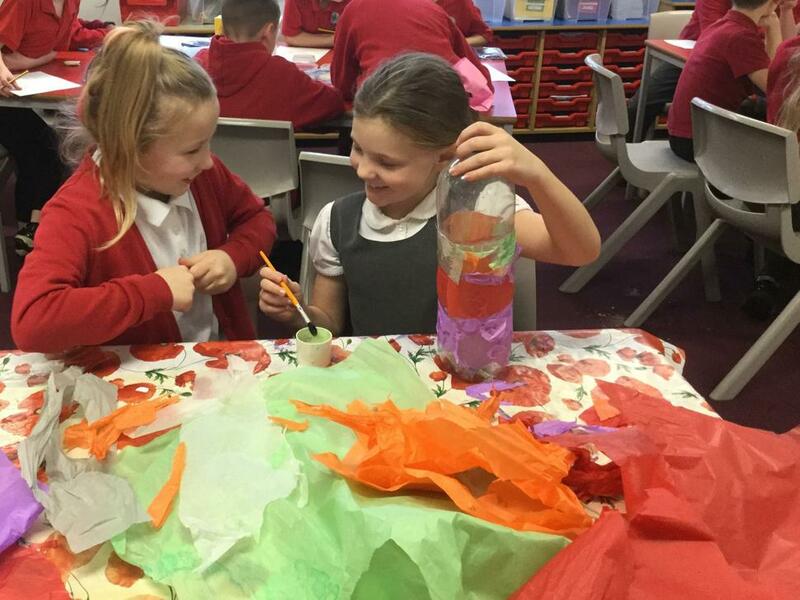 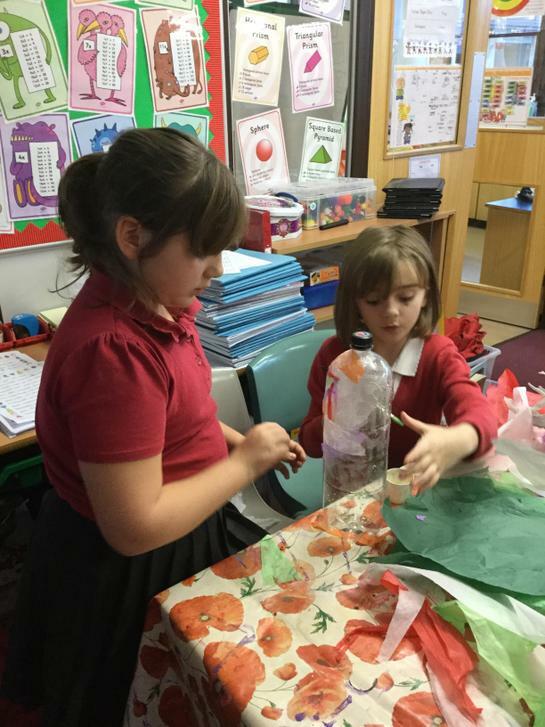 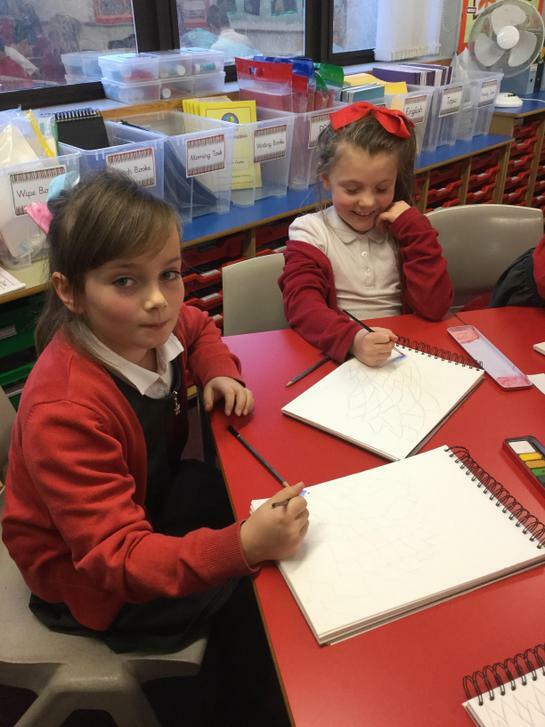 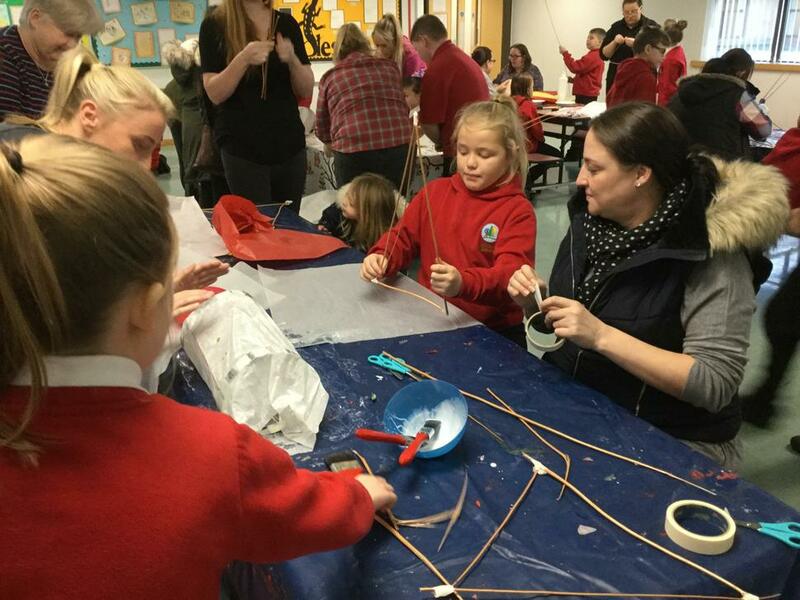 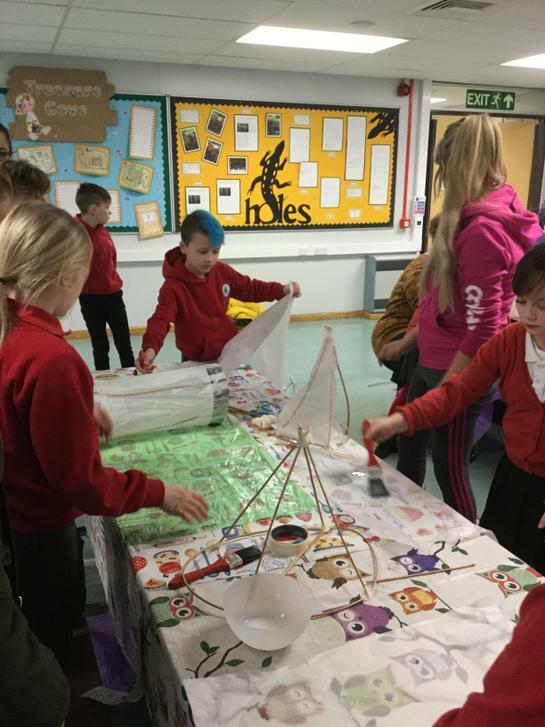 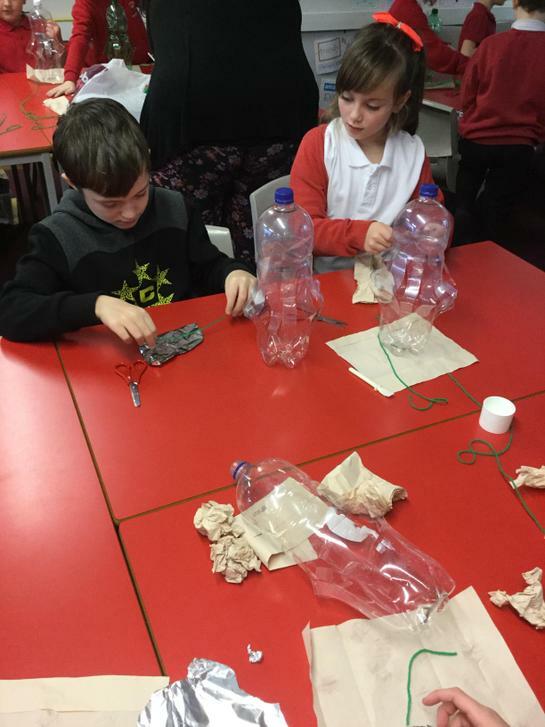 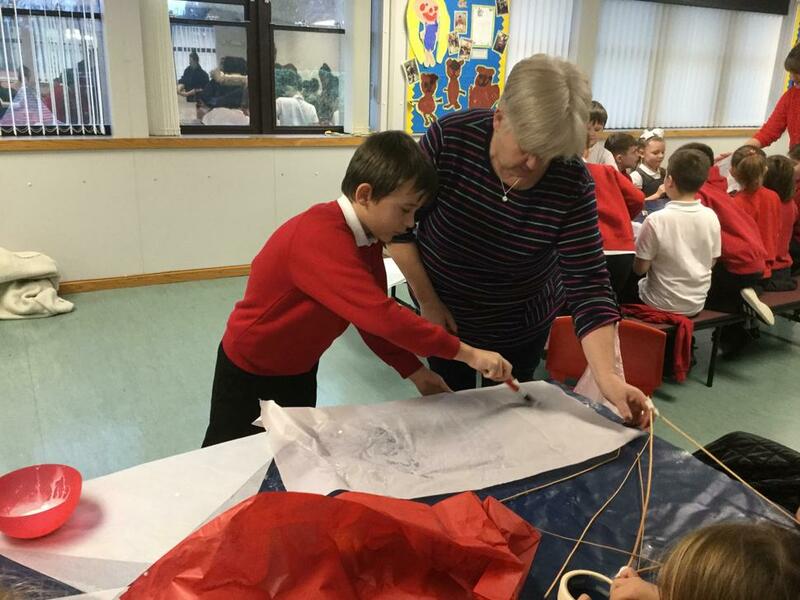 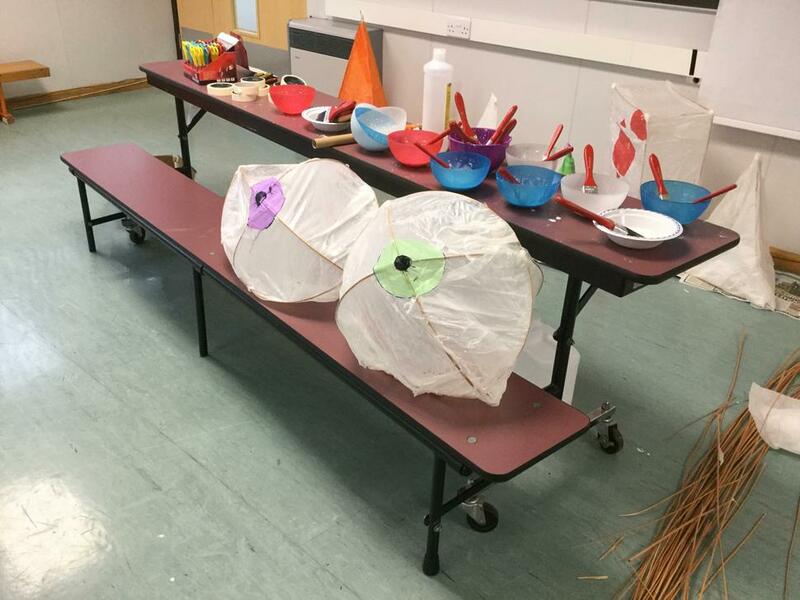 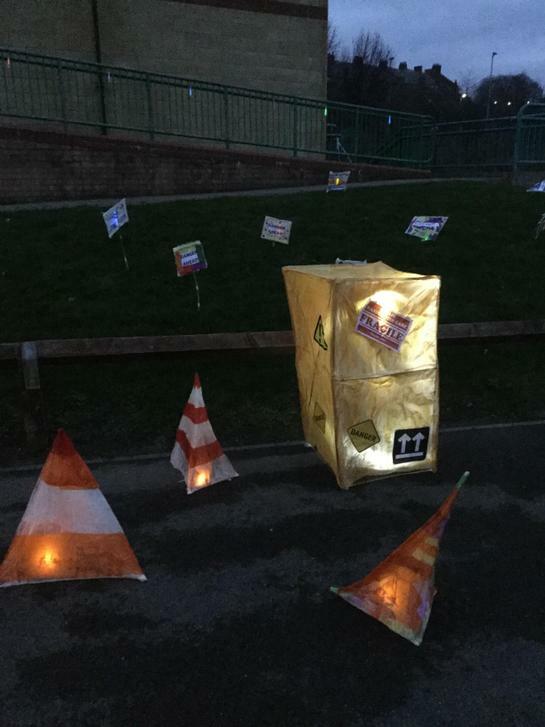 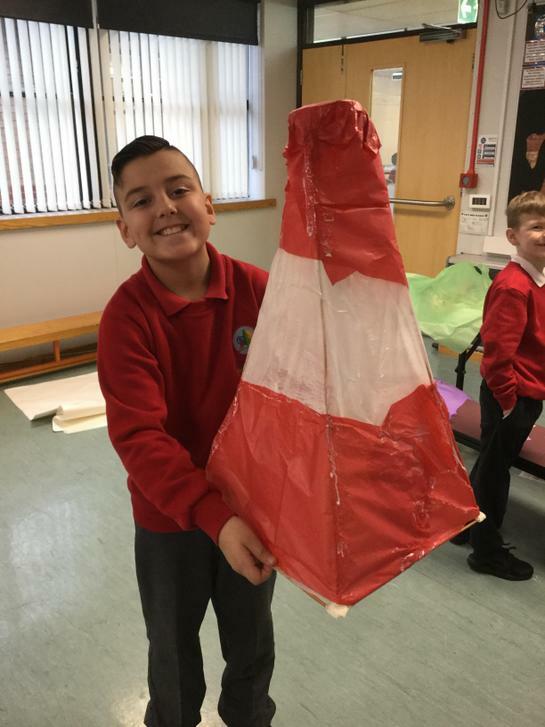 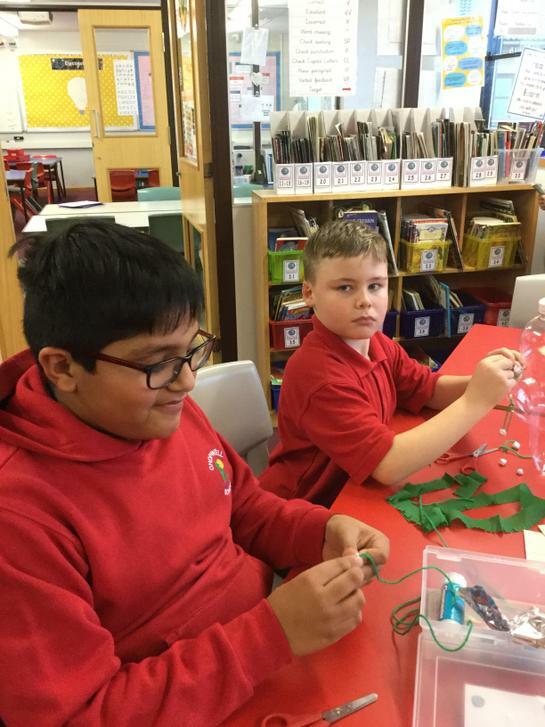 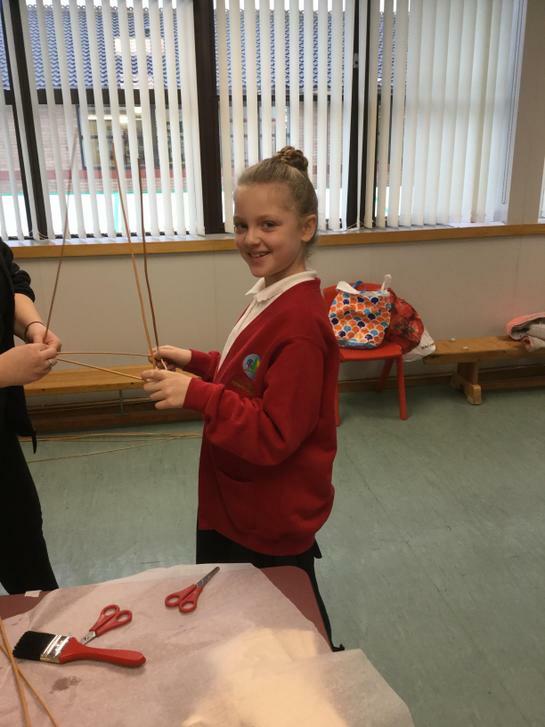 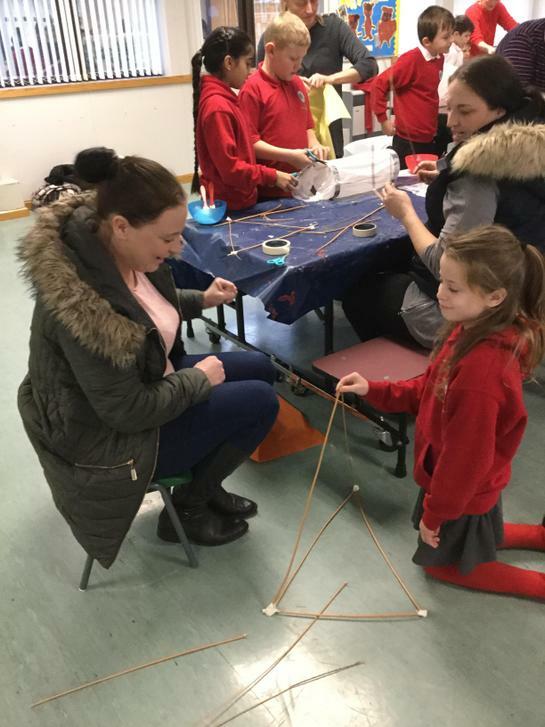 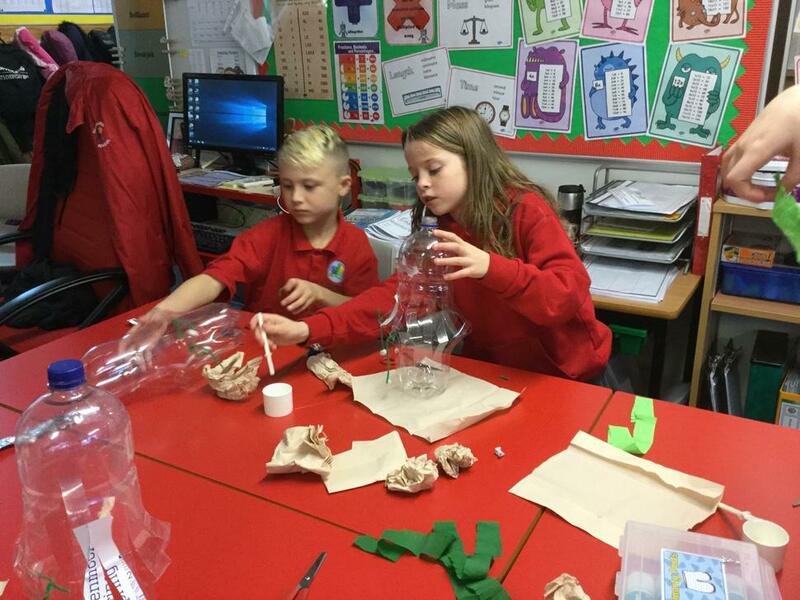 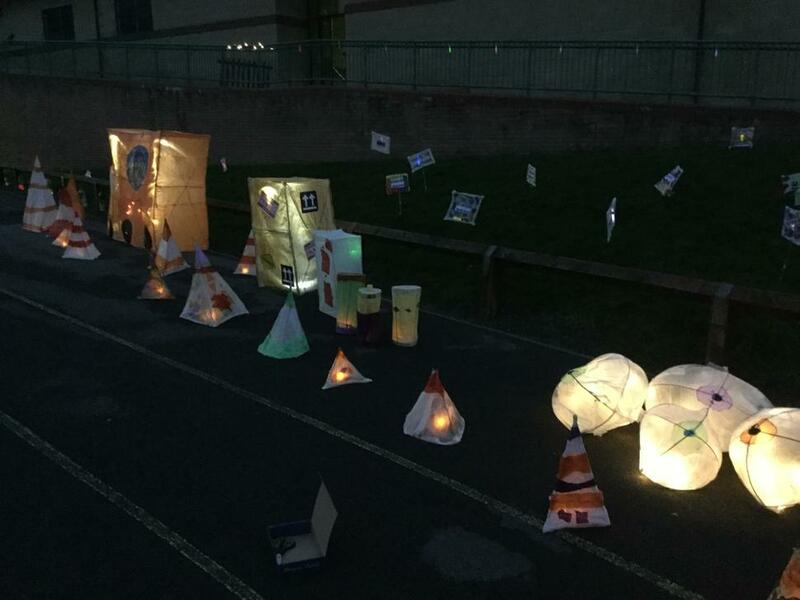 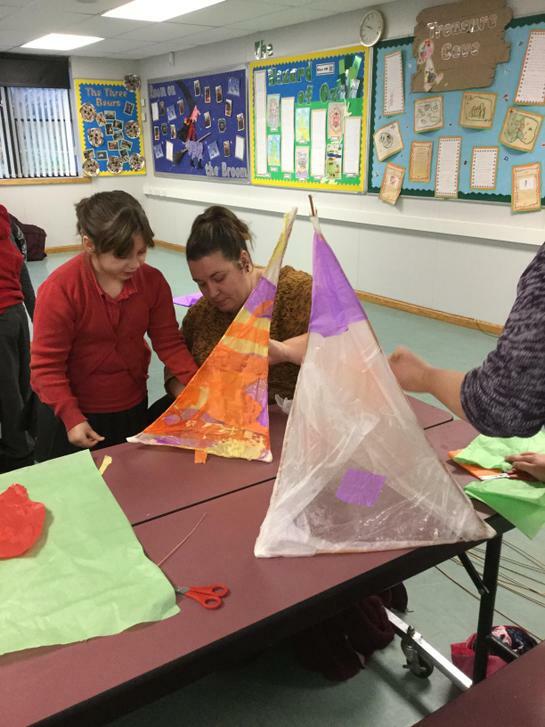 During the workshop you will be able to work with wicker and paper to create various shaped lanterns ready for the whole school Lumiere Festival which will be held on Friday evening, after school. 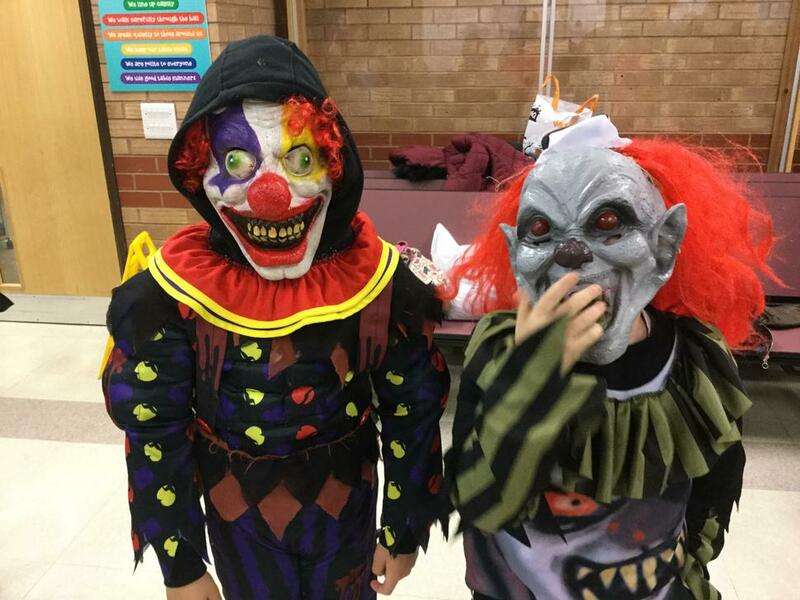 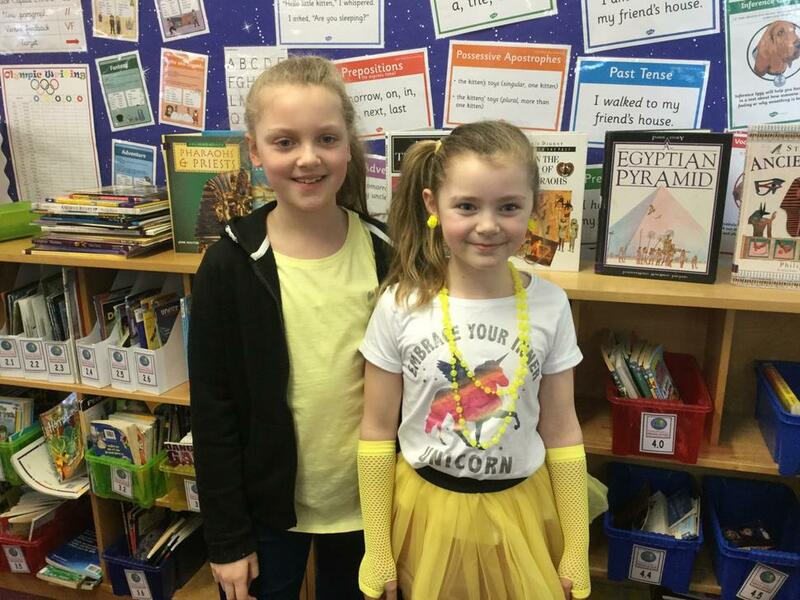 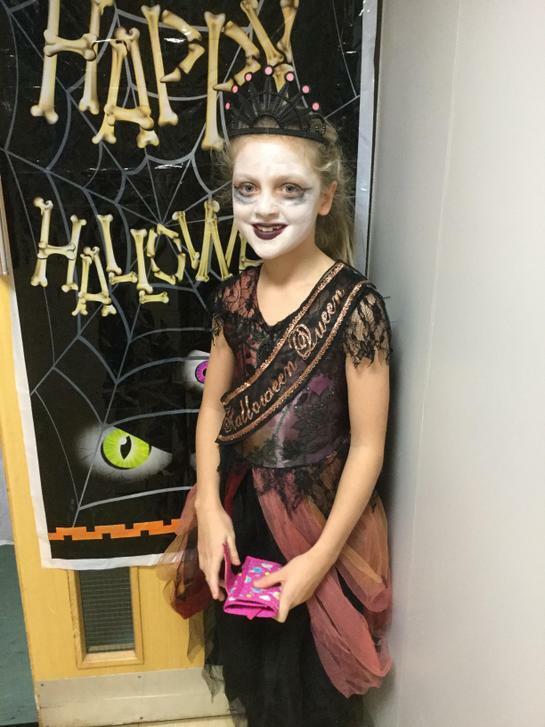 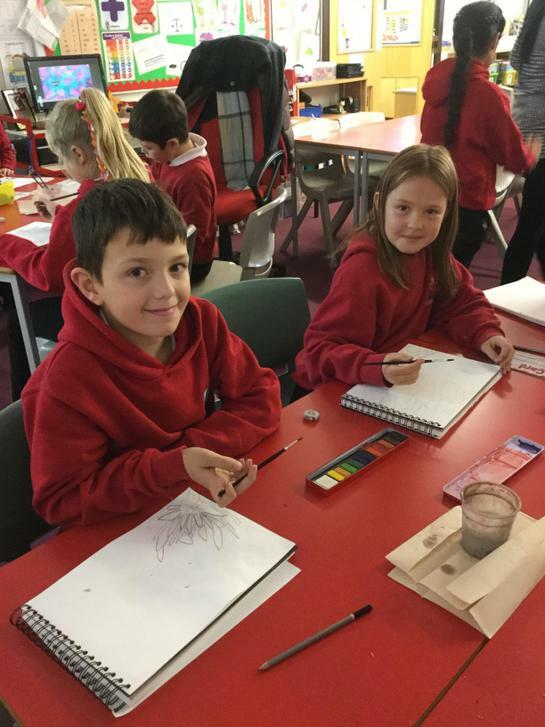 The focus for the festival in year four will be based around the book, ‘Monsters an Owner’s Guide’, which the children will be working with during their English lessons. 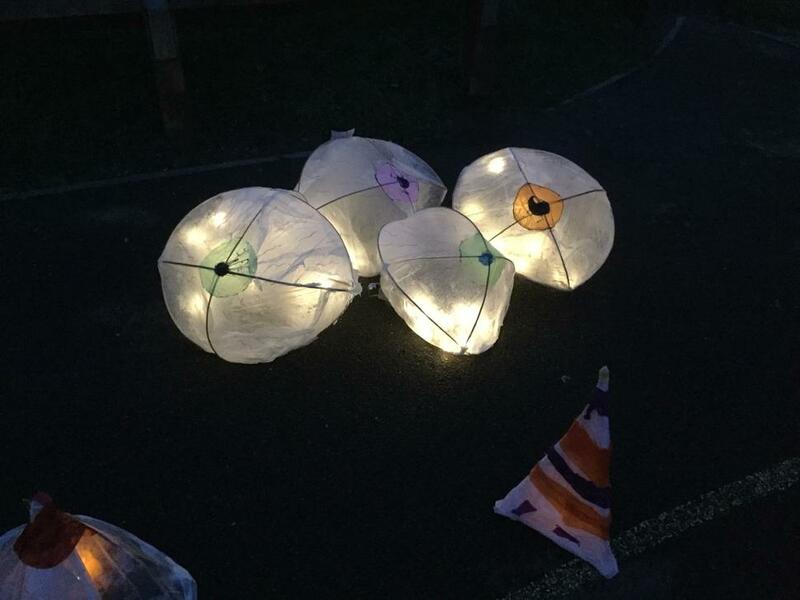 Please come to the Lumiere Festival, it should be a great evening. 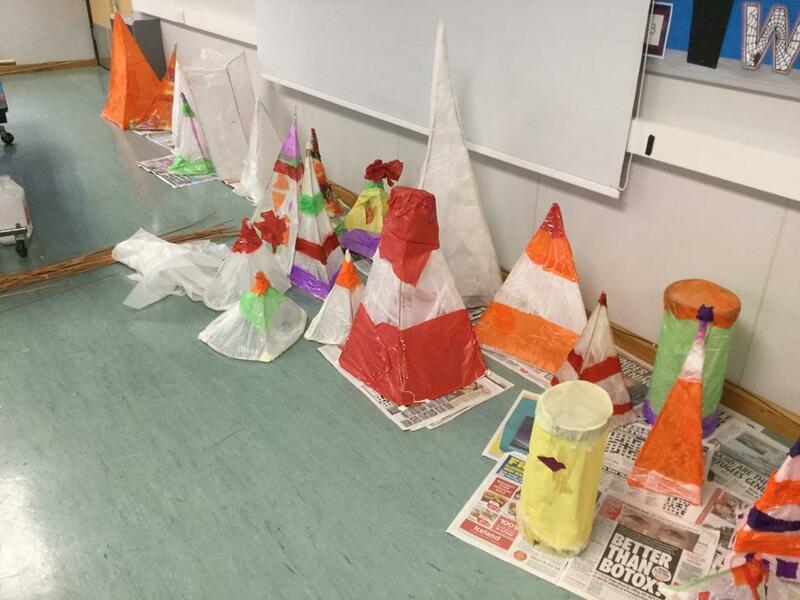 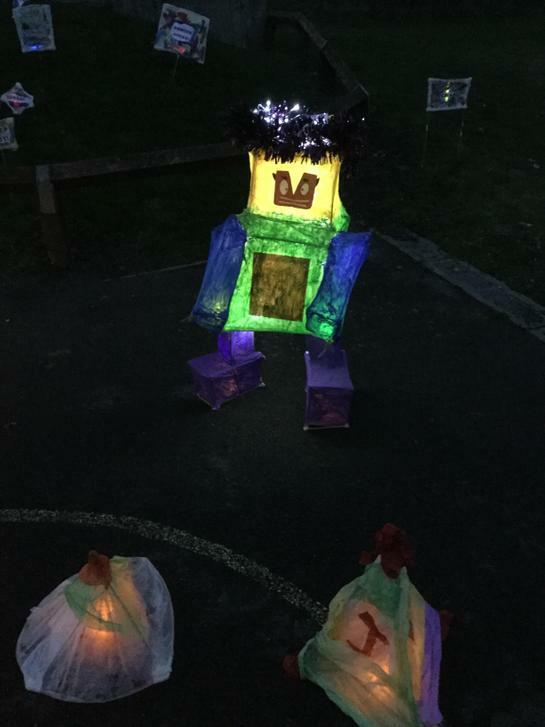 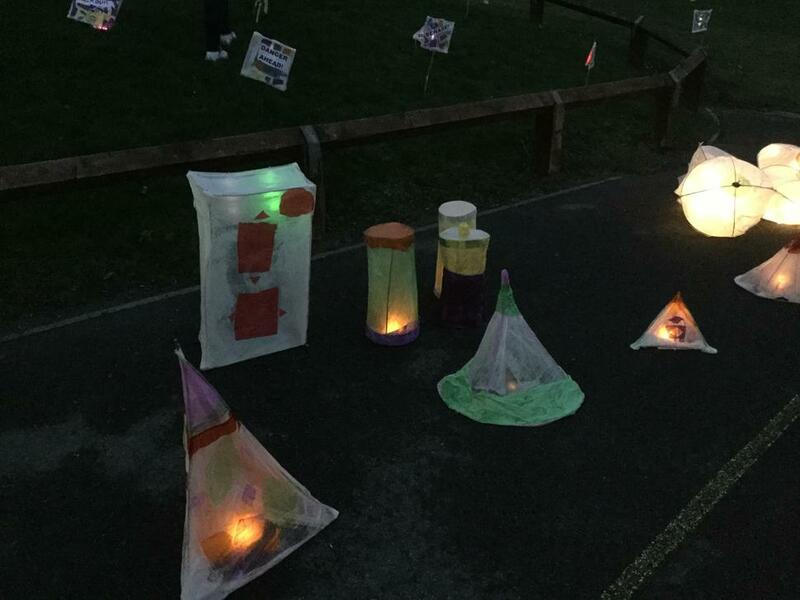 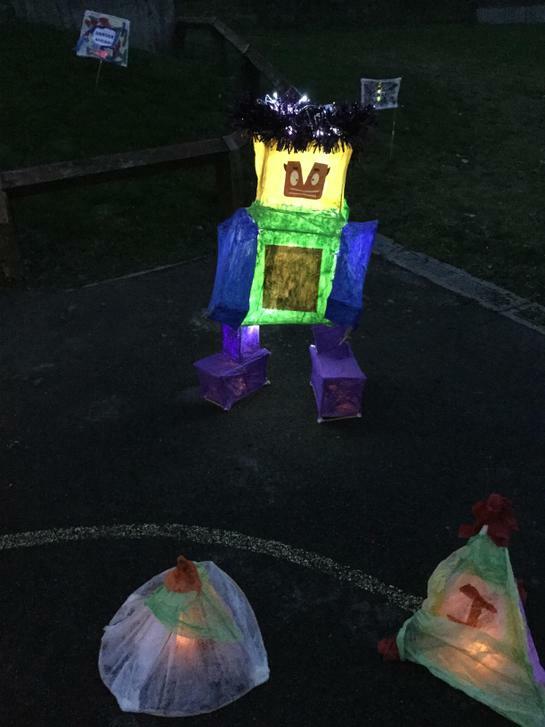 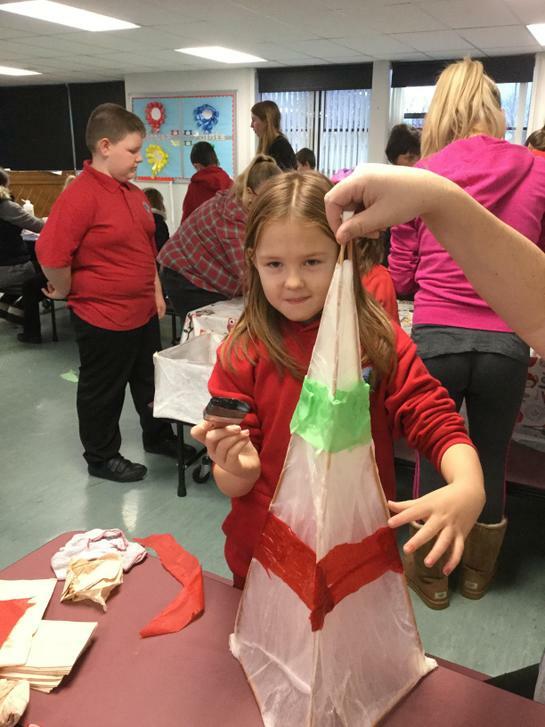 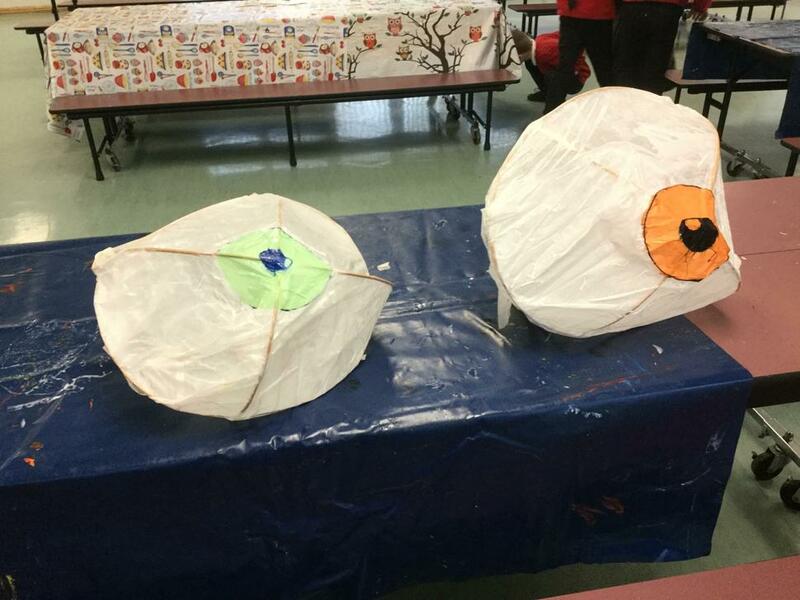 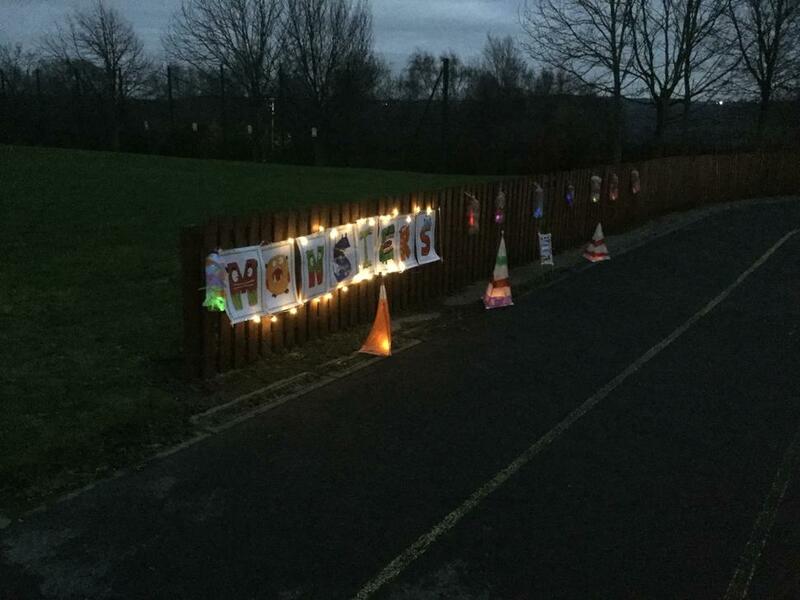 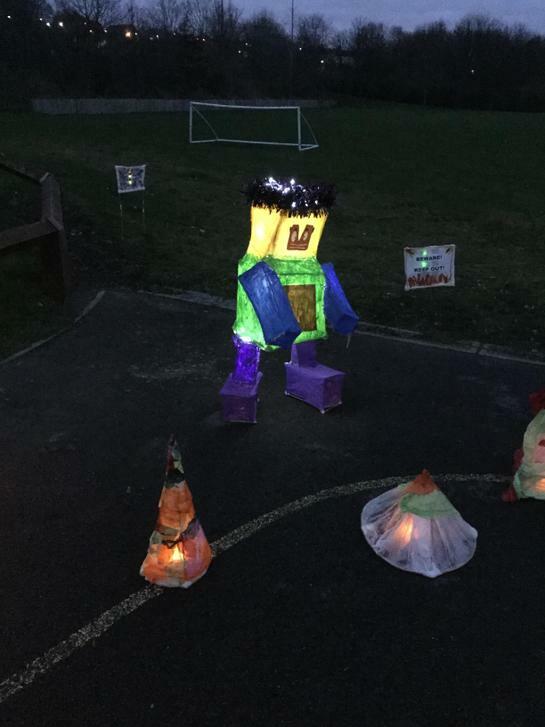 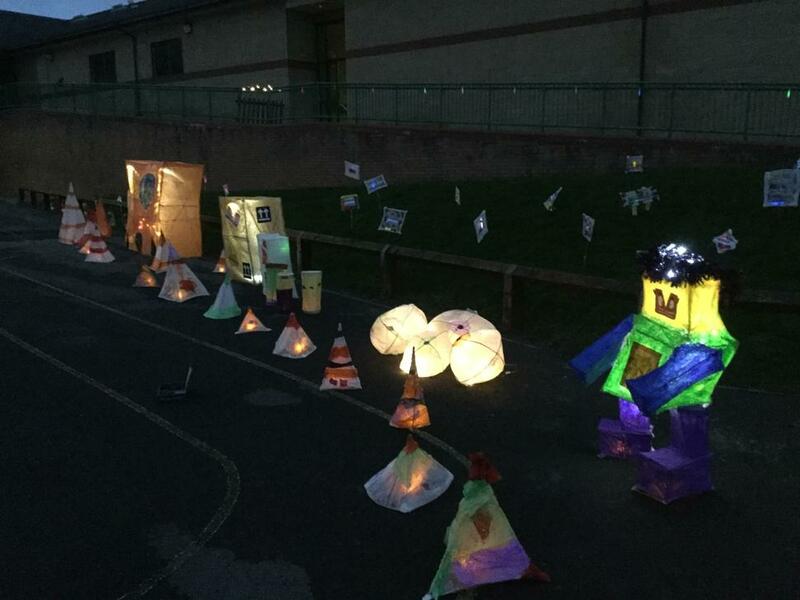 You will be able to look at the lanterns produced by each class, watch stilt walkers and be amazed by the fire eaters. 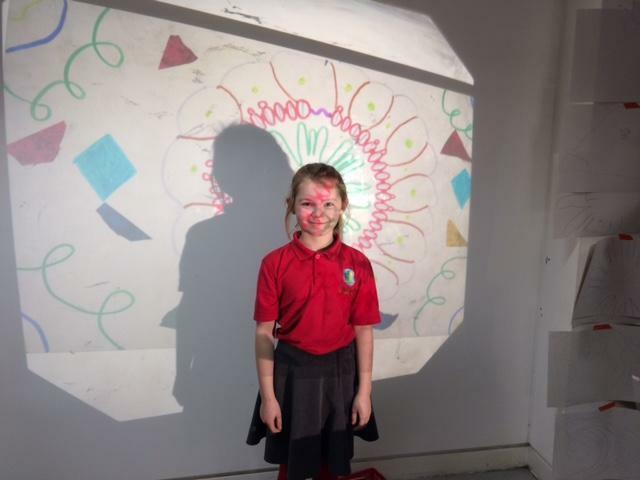 We hope to see you at the festival. 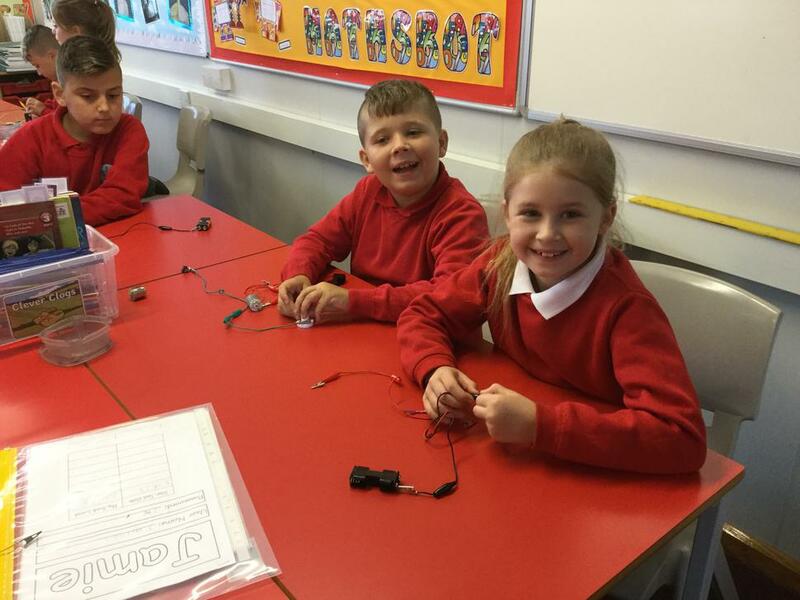 In small groups the children created a short presentation to explain to another class how sound works. 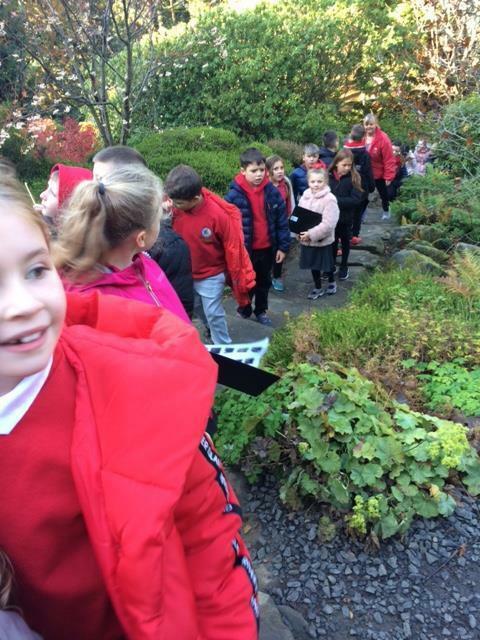 This half term is always a busy one, especially with the lead up to Christmas and the preparations for the School Christmas Carol Service for years Three and Four. 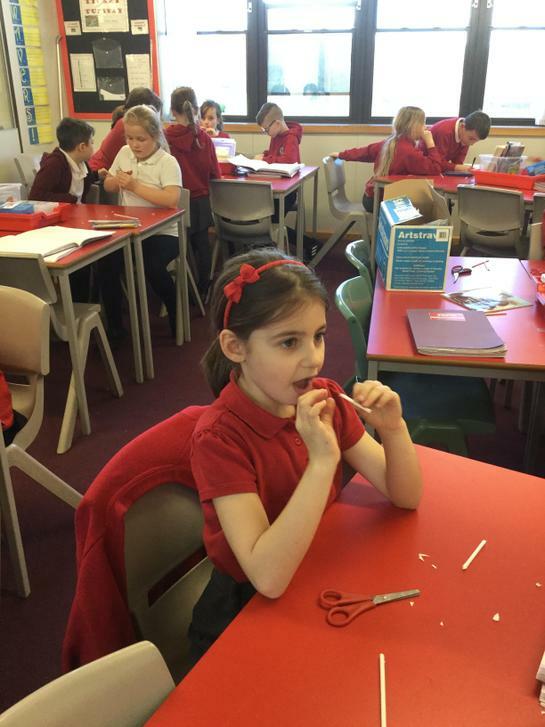 With this in mind, we have created a really interesting topic to keep the children engaged throughout the term. 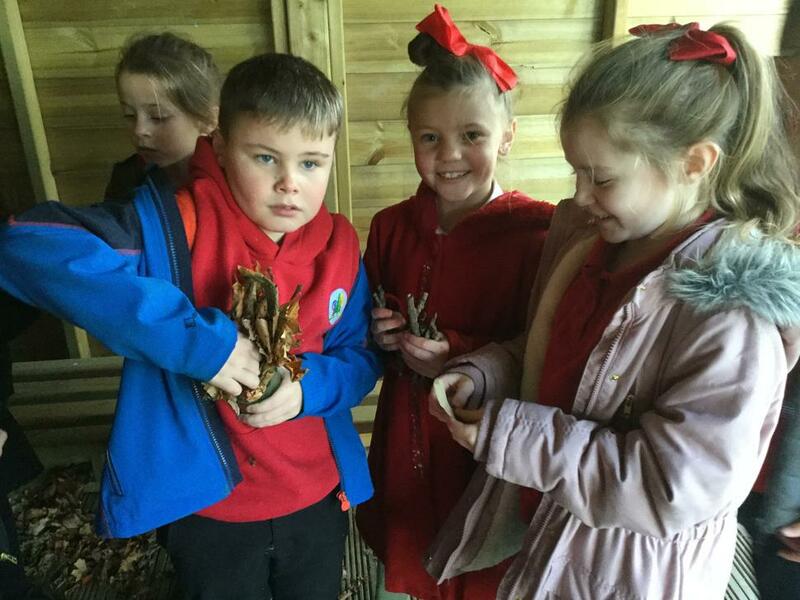 The title for this term is 'Around the World with Plants and Animals.' 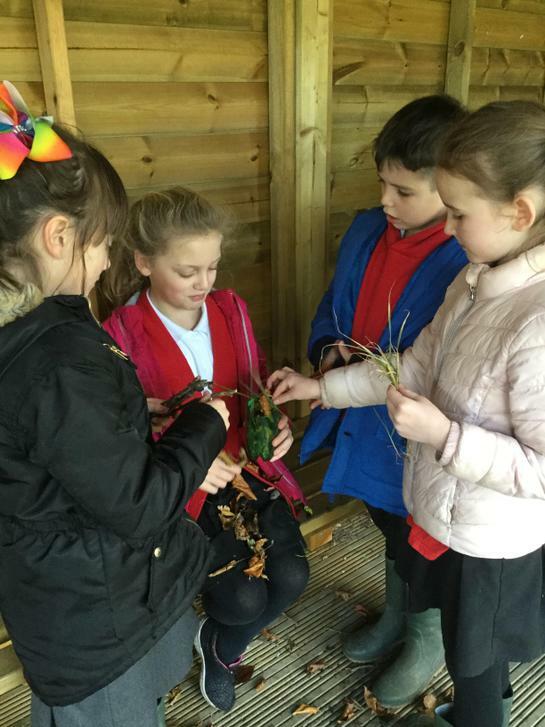 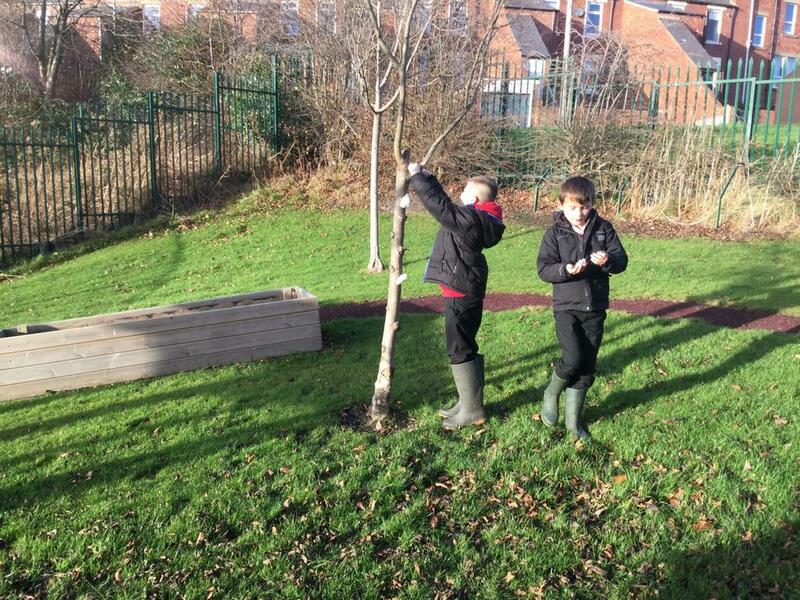 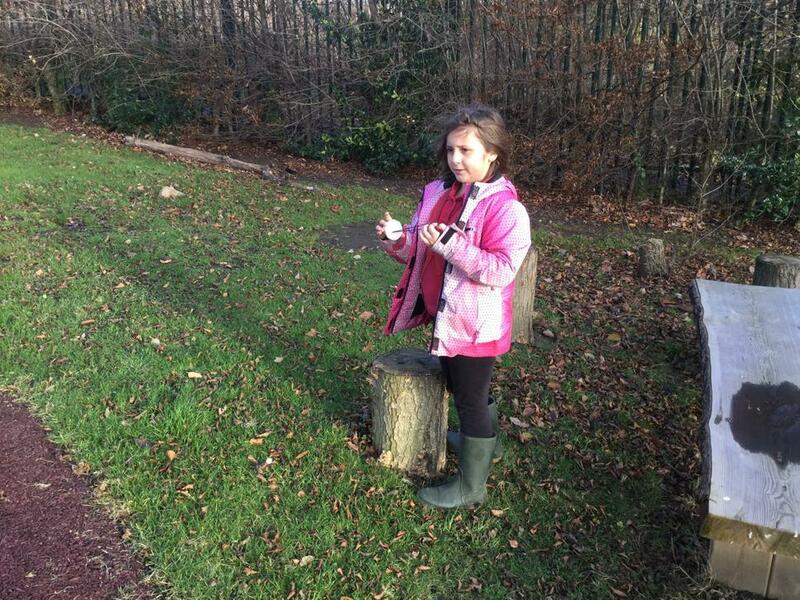 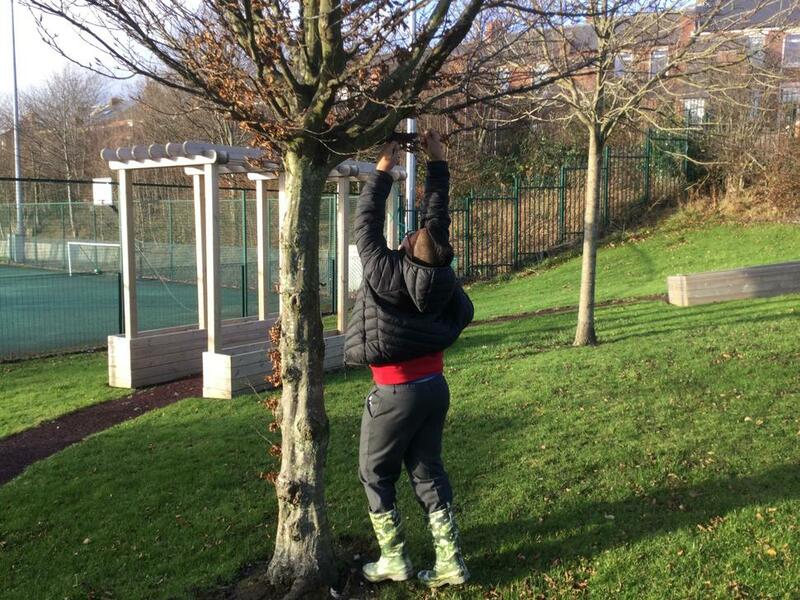 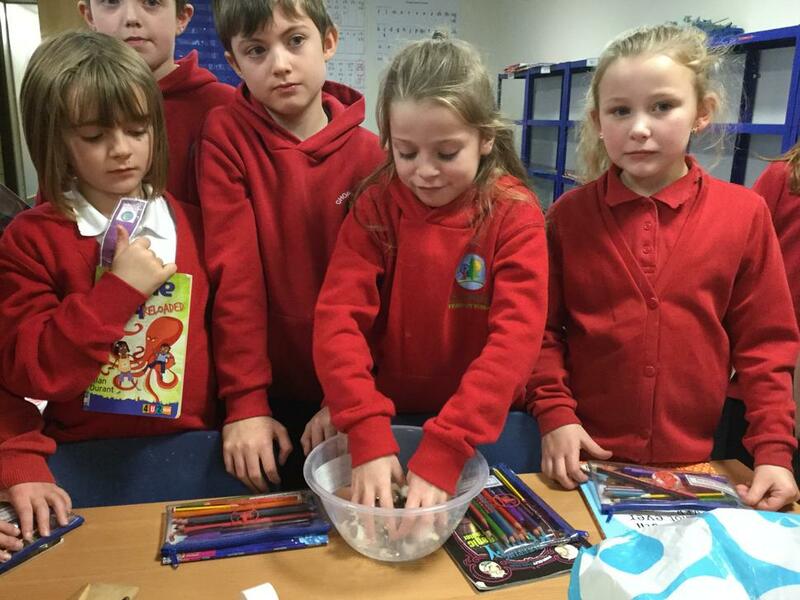 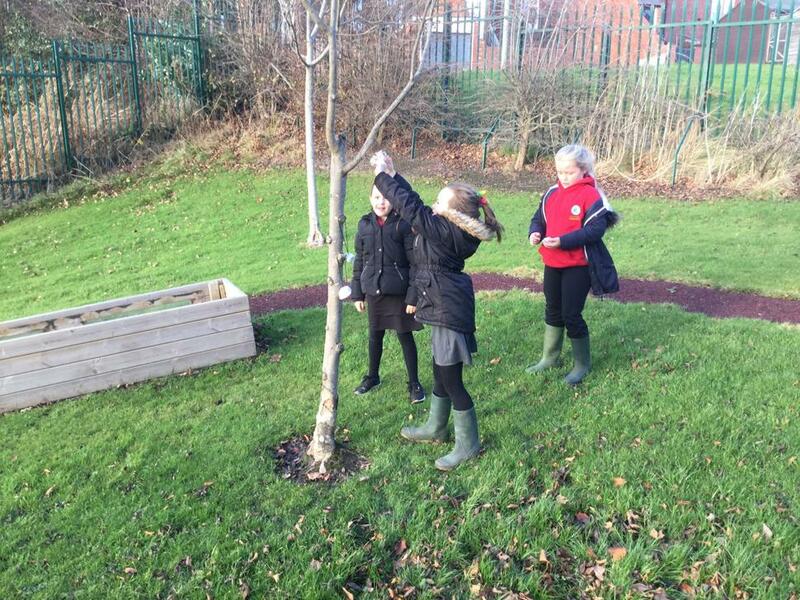 The children will look at various plants and animals and their habitats around the world. 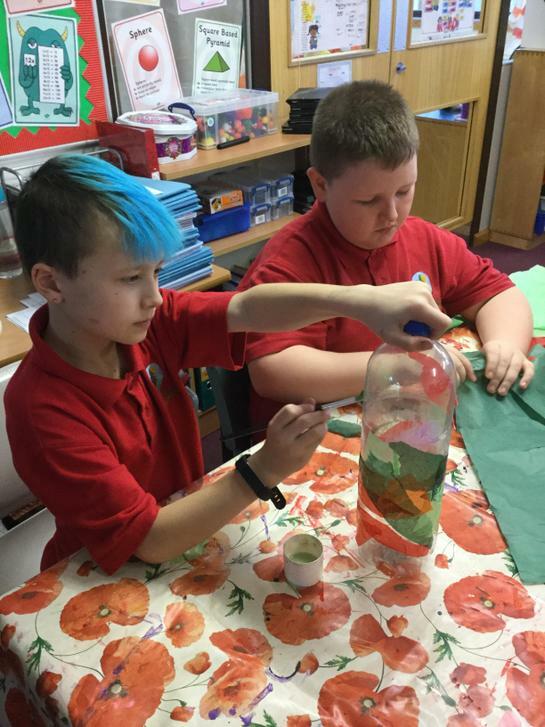 They will explore different biomes and how plants and animals can adapt and depend on each other to survive. 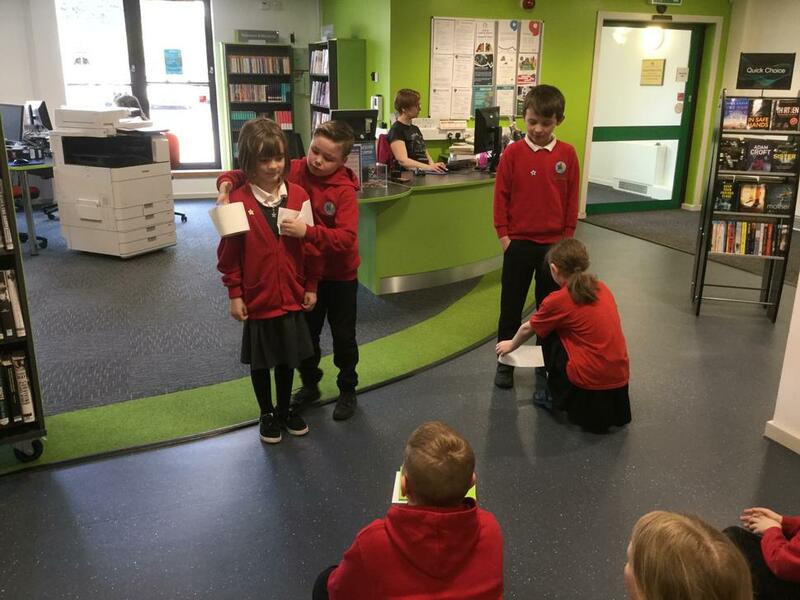 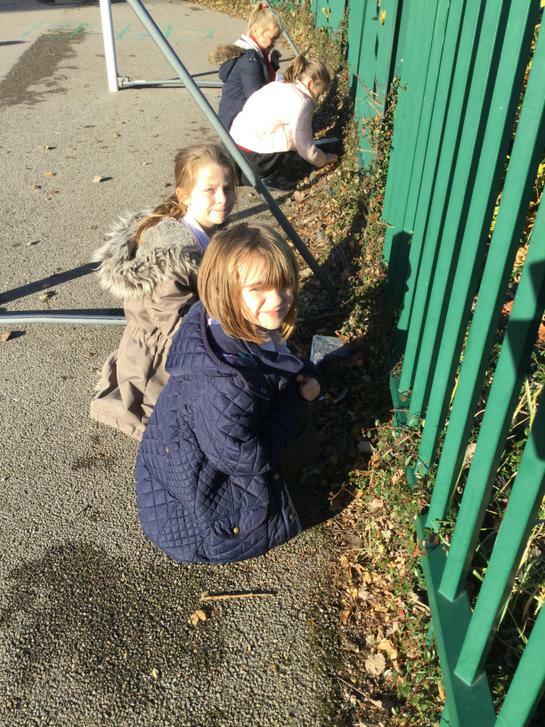 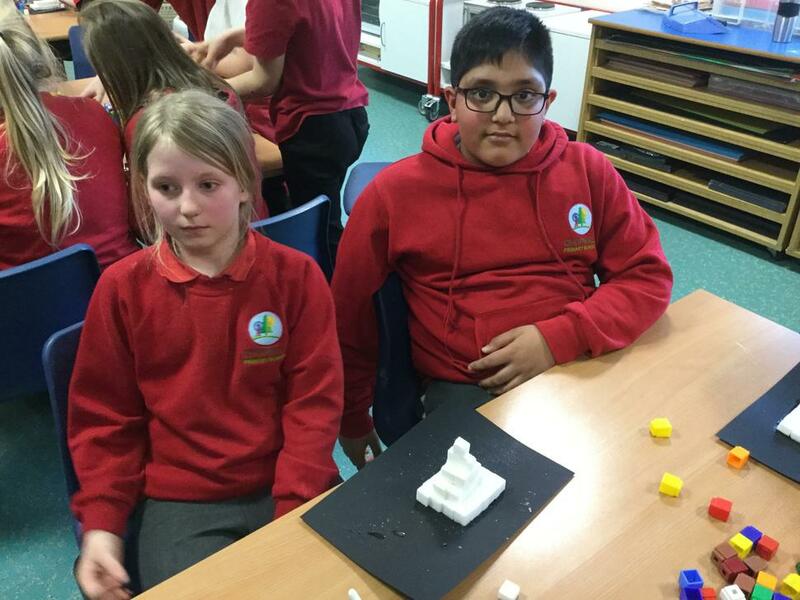 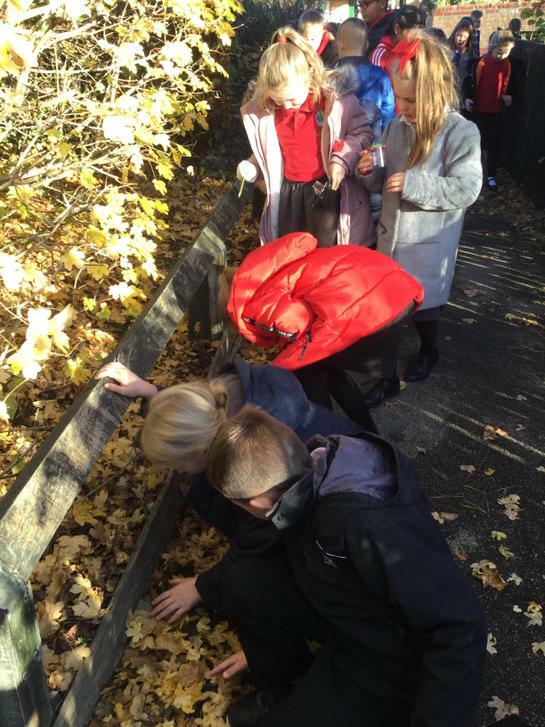 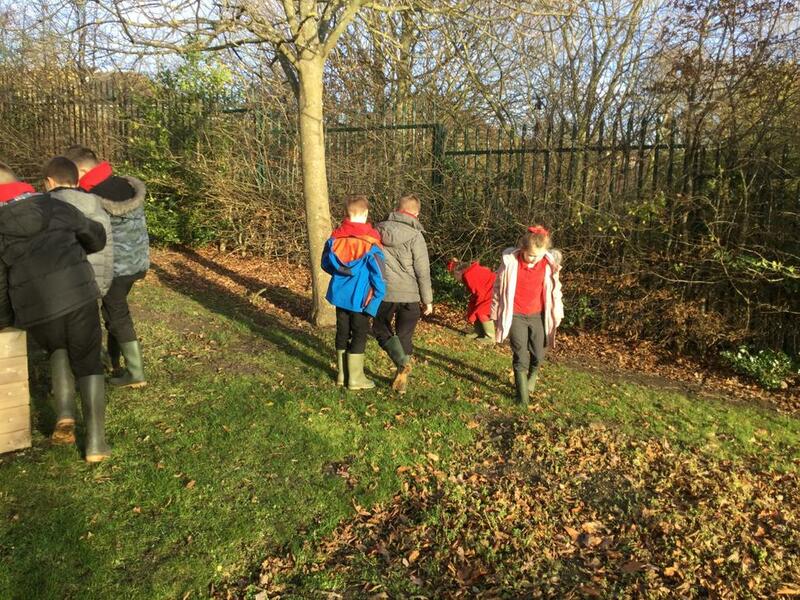 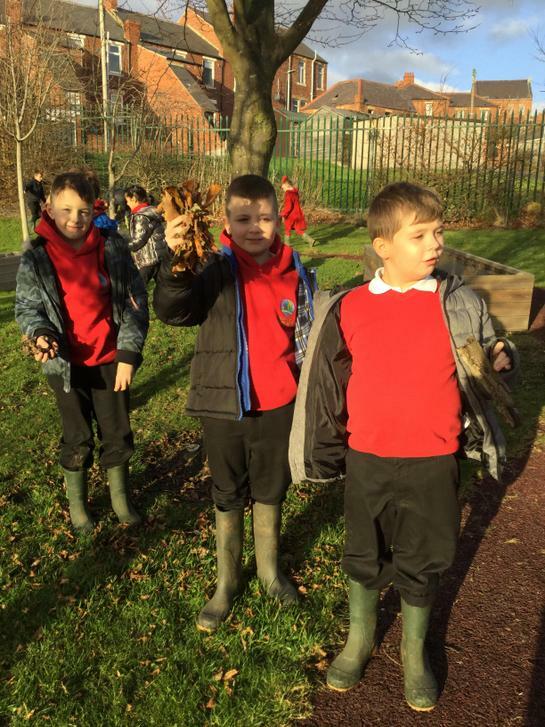 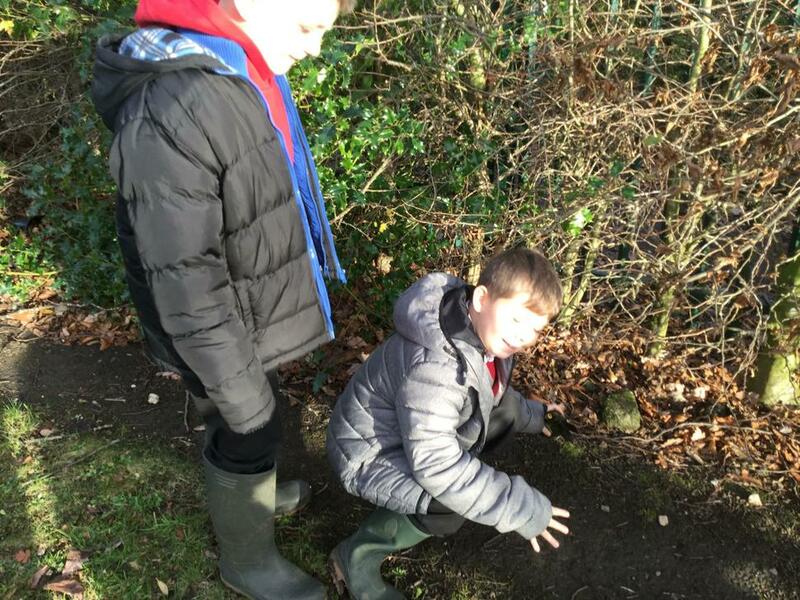 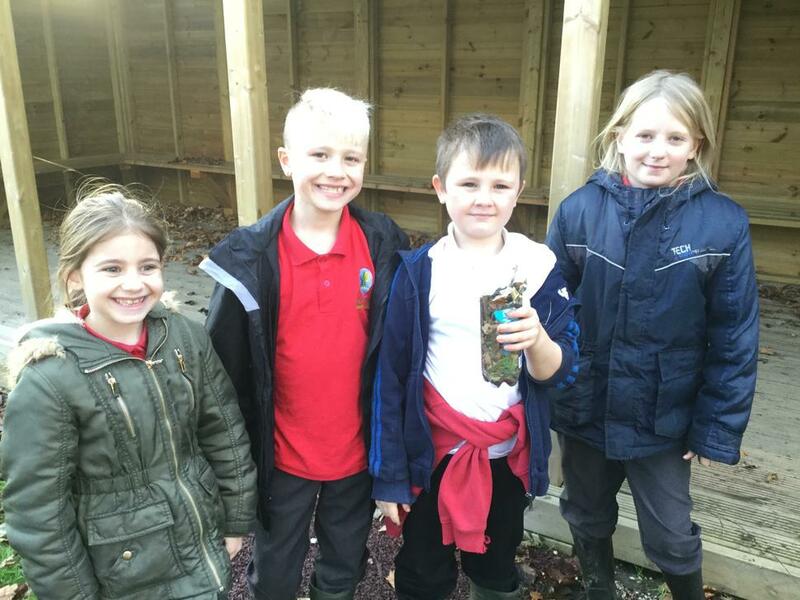 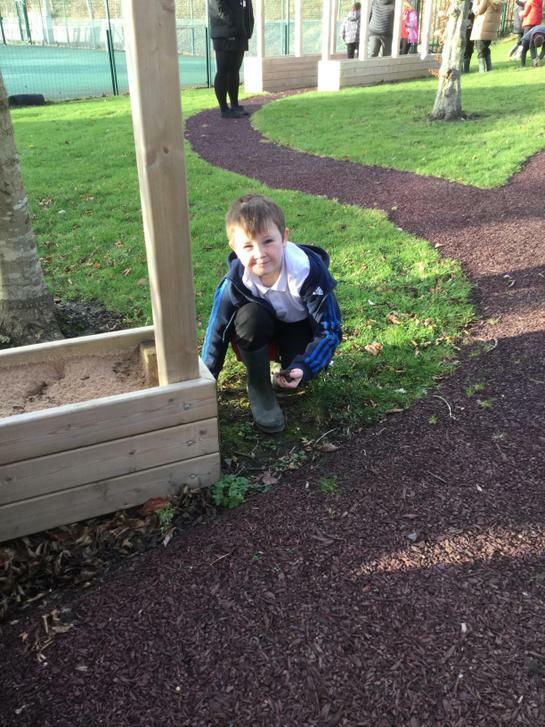 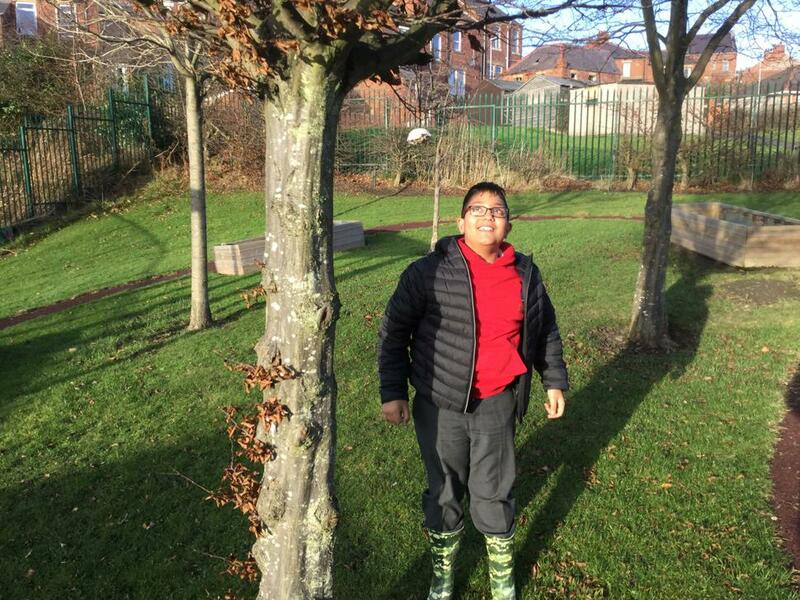 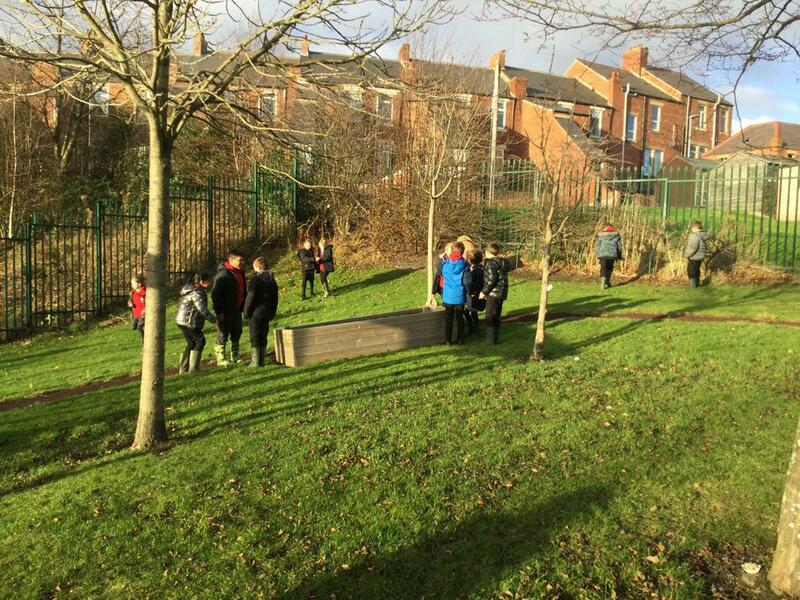 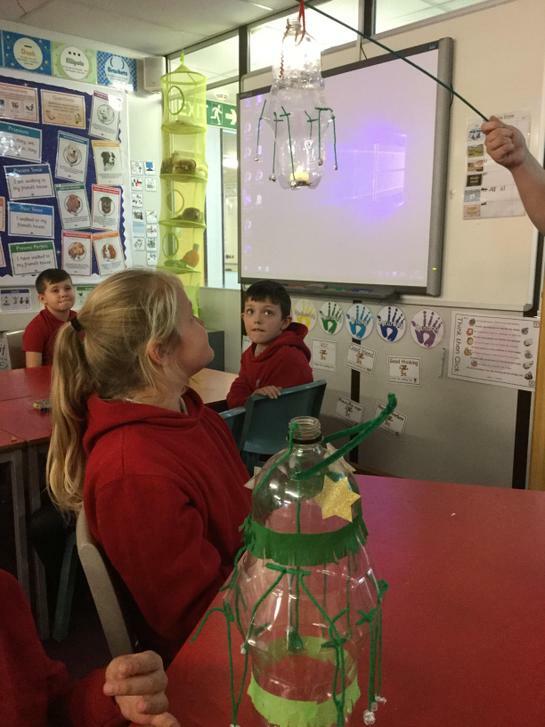 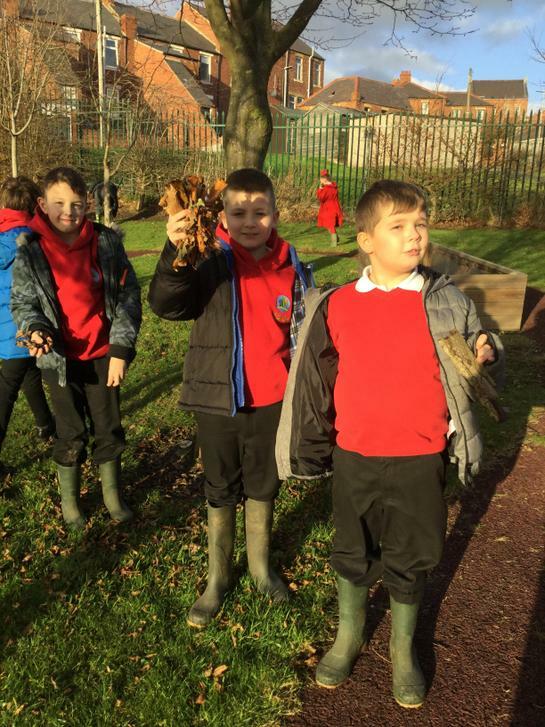 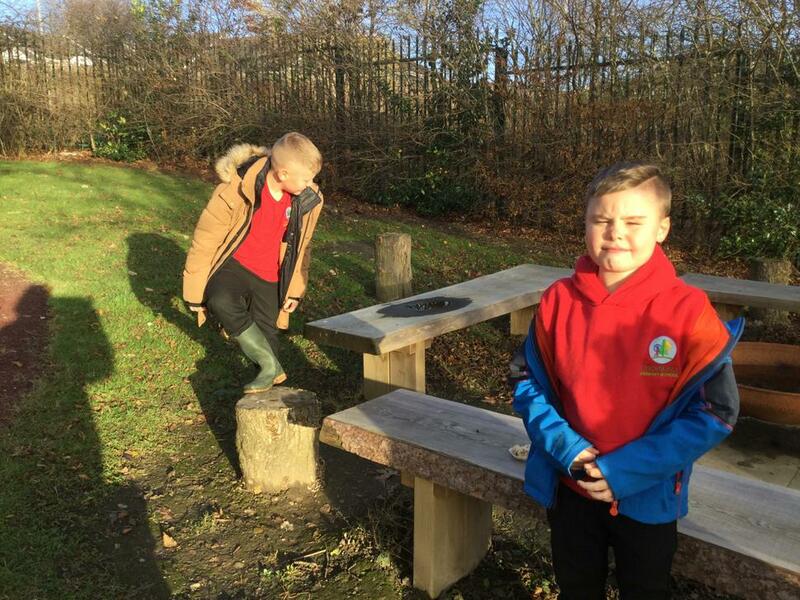 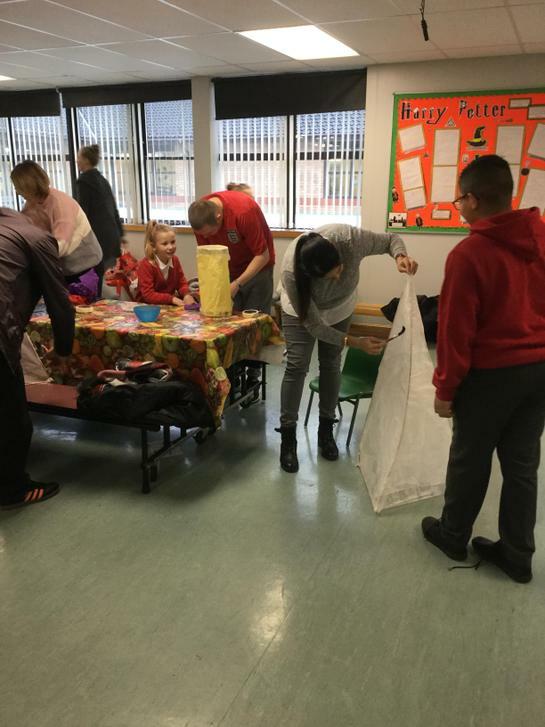 They will also have the opportunity to look at how they can help look after the environment and ensure plants and animals do not become extinct. 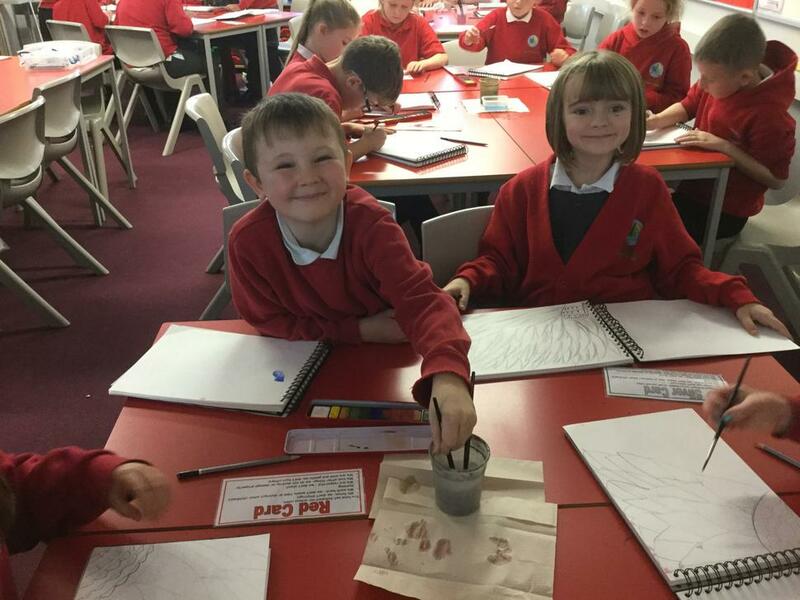 The children will also look at botanists and their detailed drawings of plants and flowers. 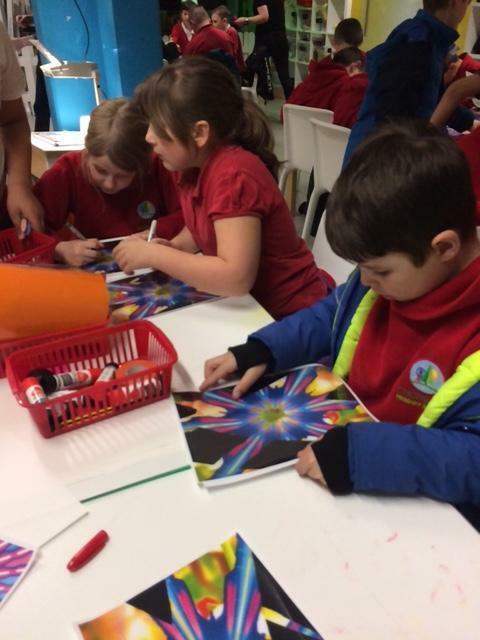 This will then link in with abstract flower paintings by various famous artists such as Vincent Van Gogh and Geogria O'Keeffe. 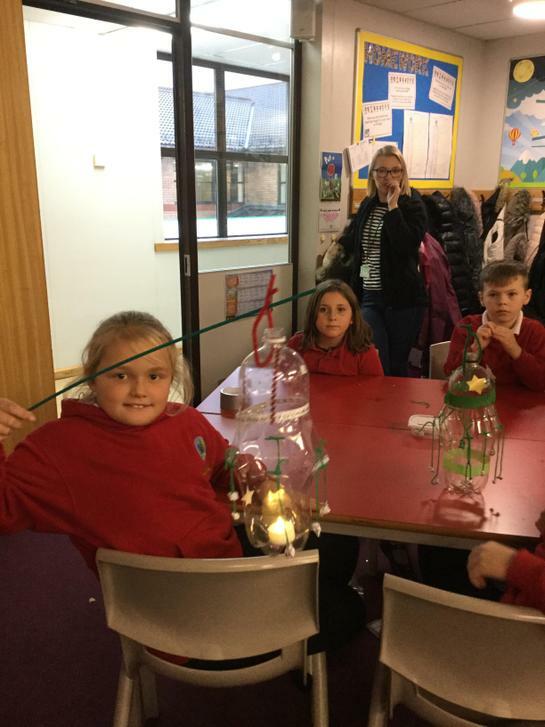 During this topic the children will have the opportunity to enjoy reading the story of Around the World in 80 Days adapted from the Jules Verne original in their English lessons. 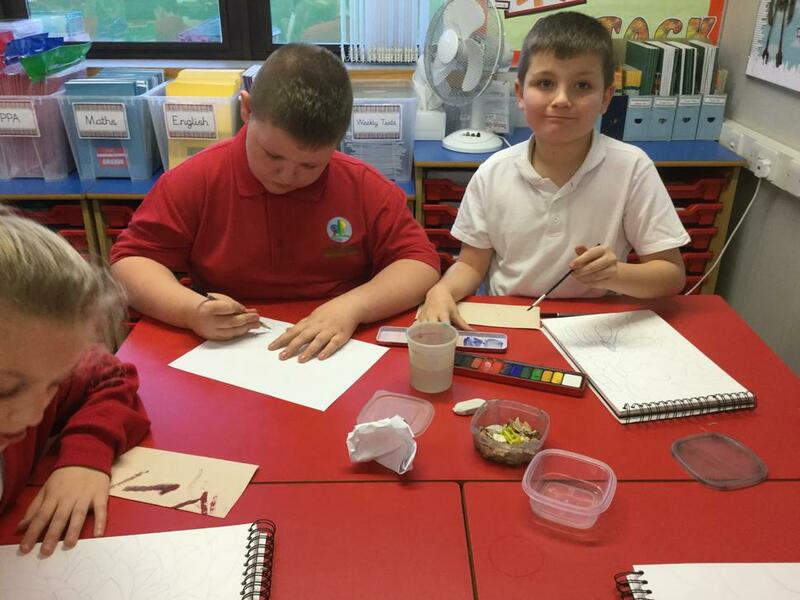 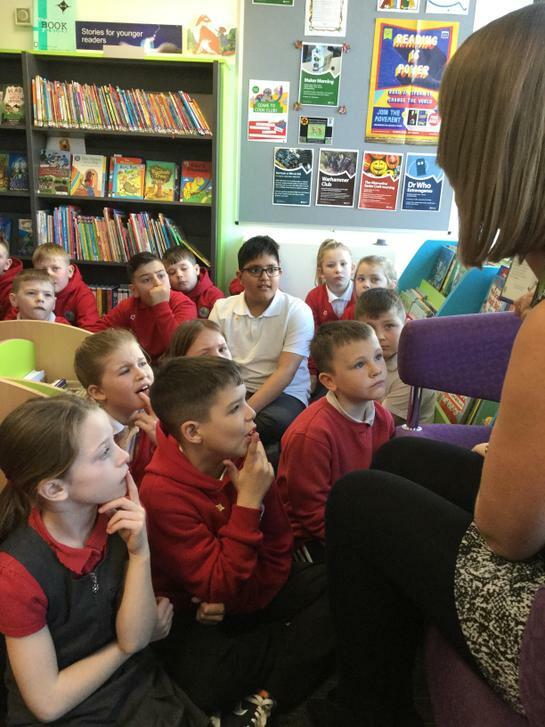 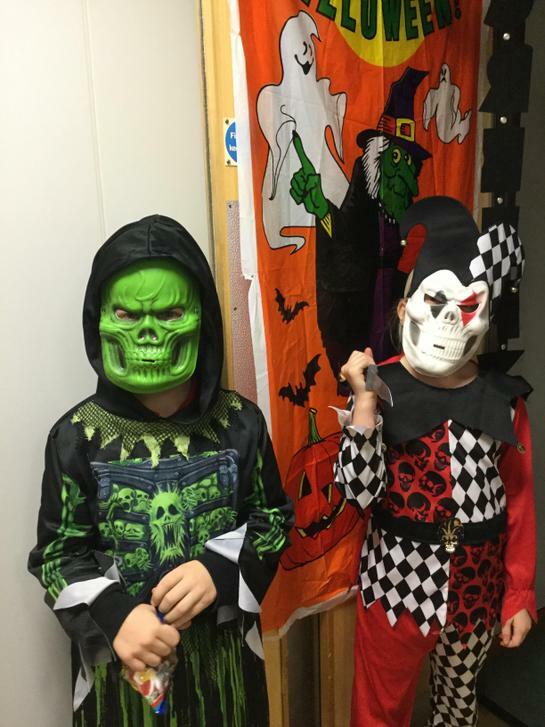 Based around the story the children will then be able to create character and setting descriptions from the book. 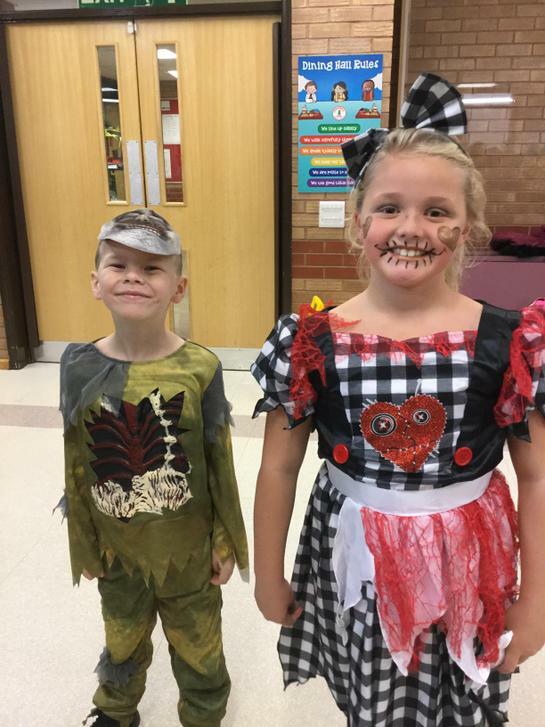 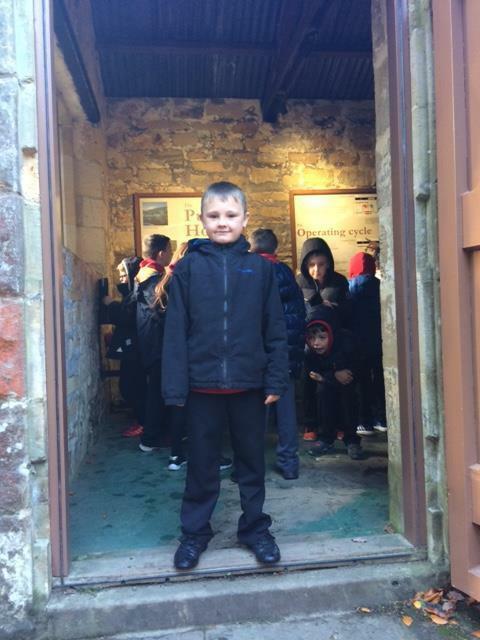 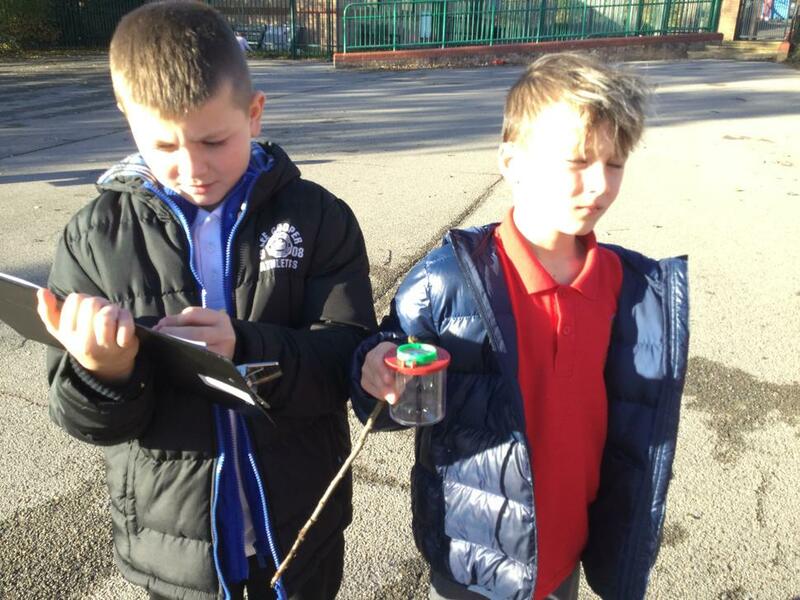 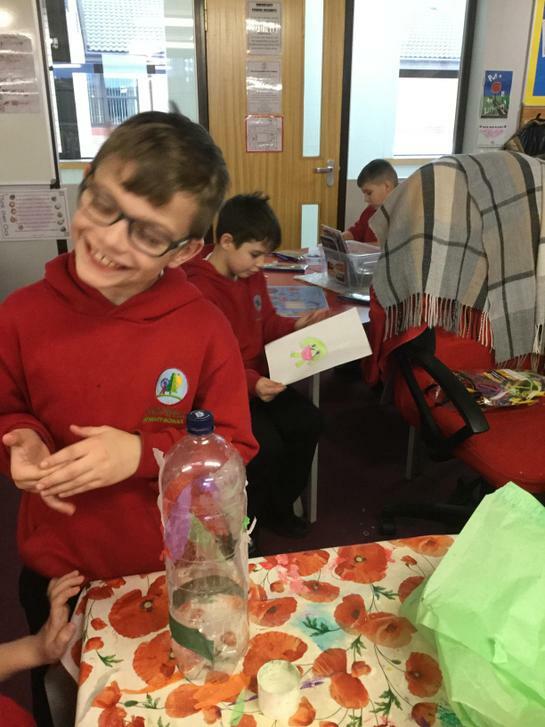 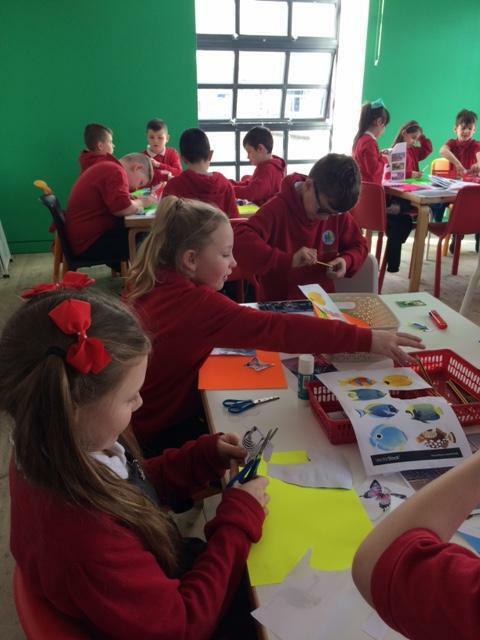 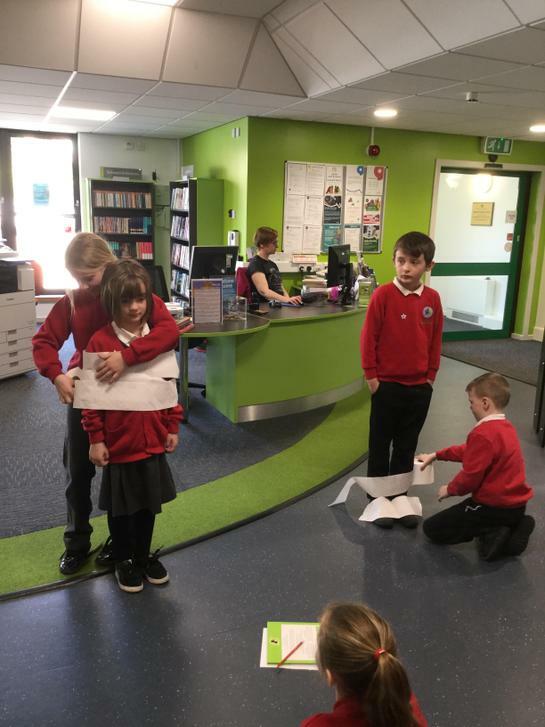 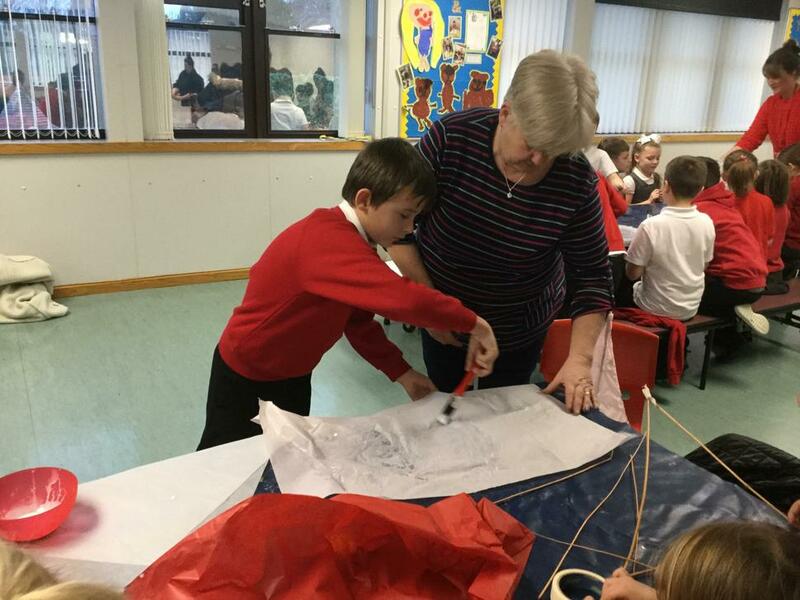 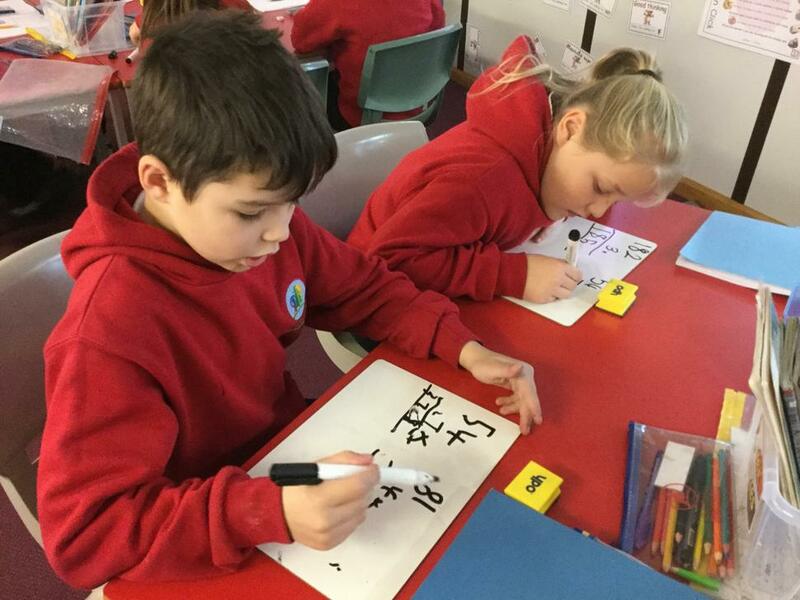 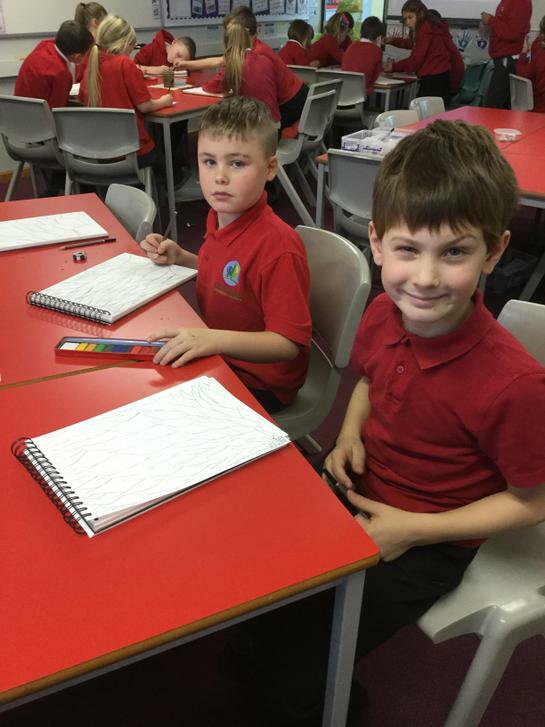 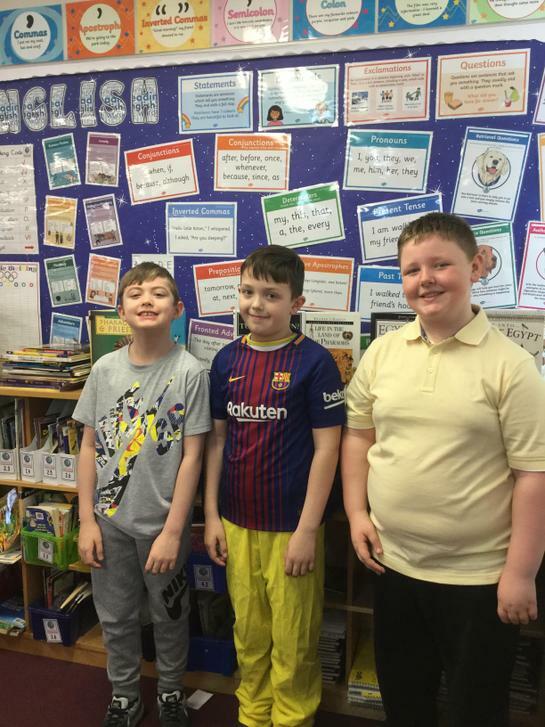 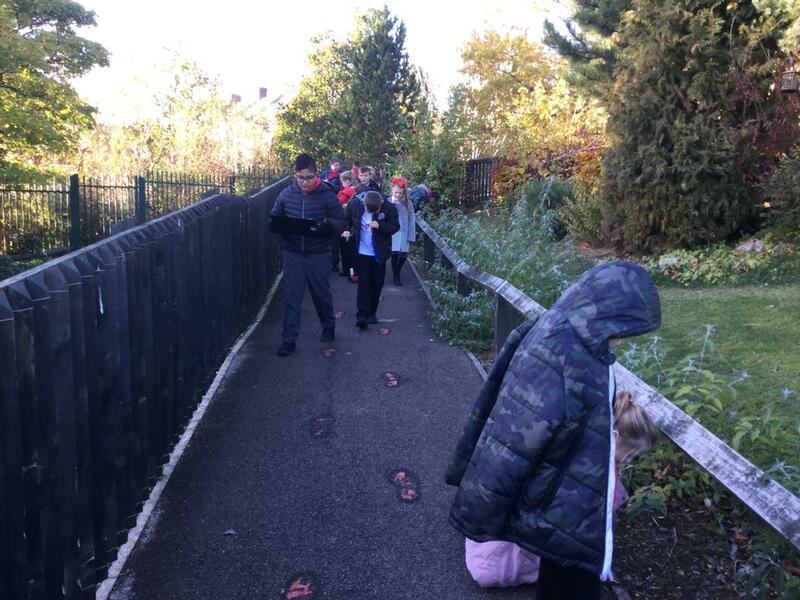 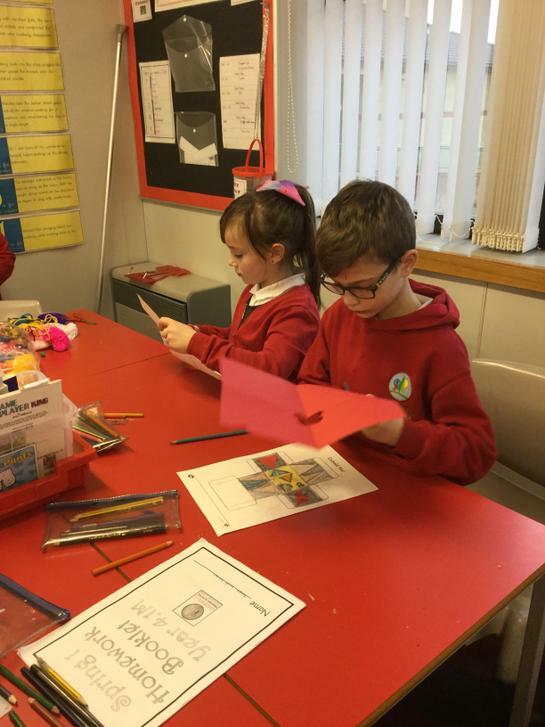 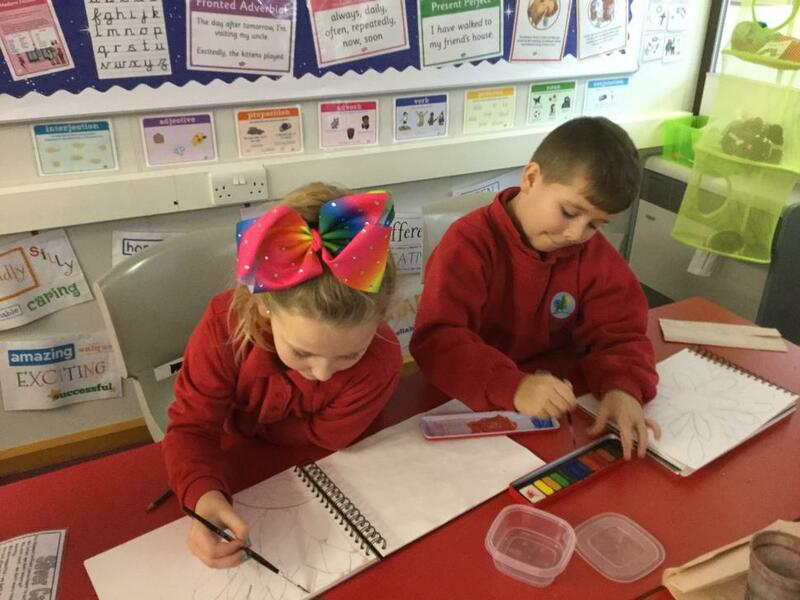 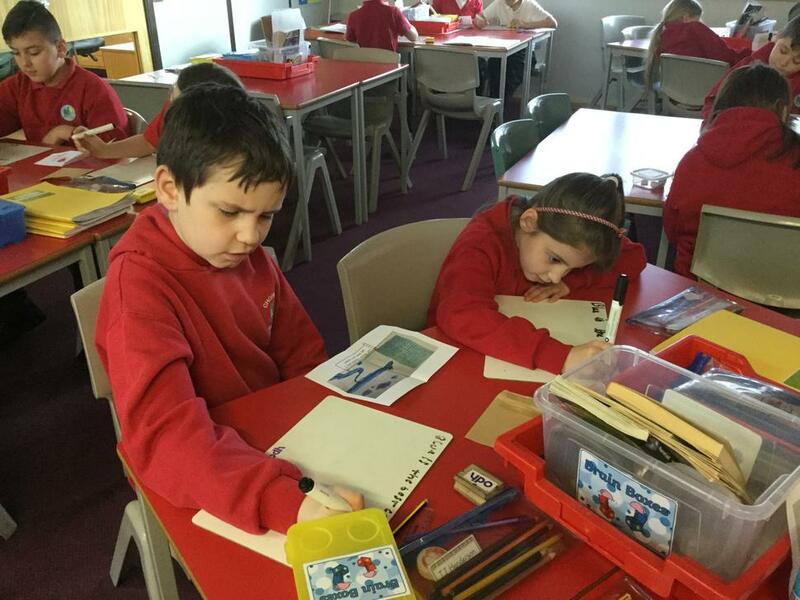 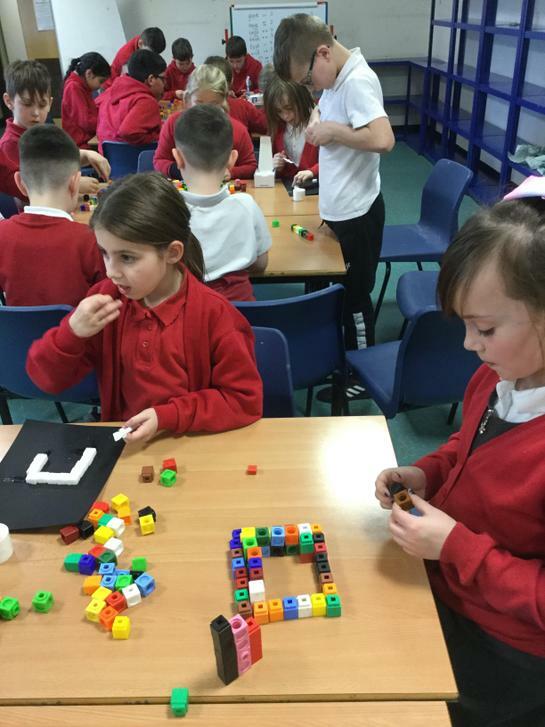 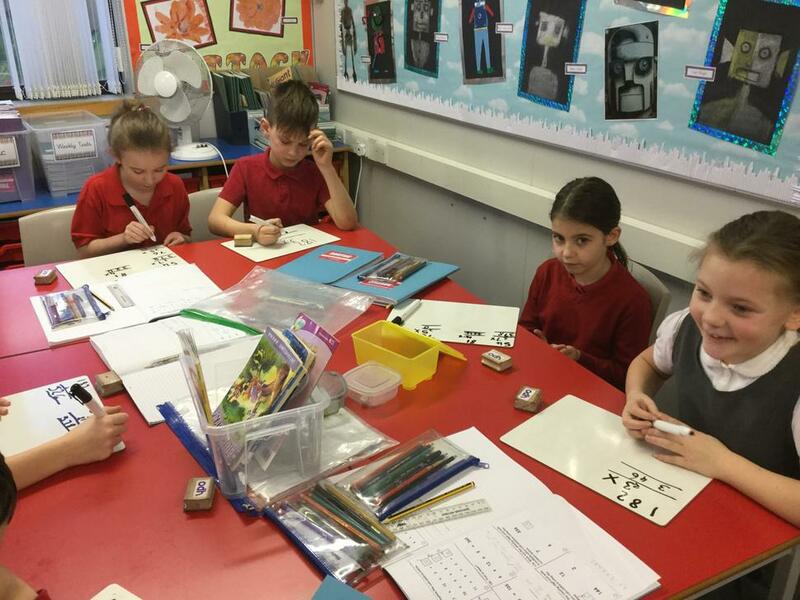 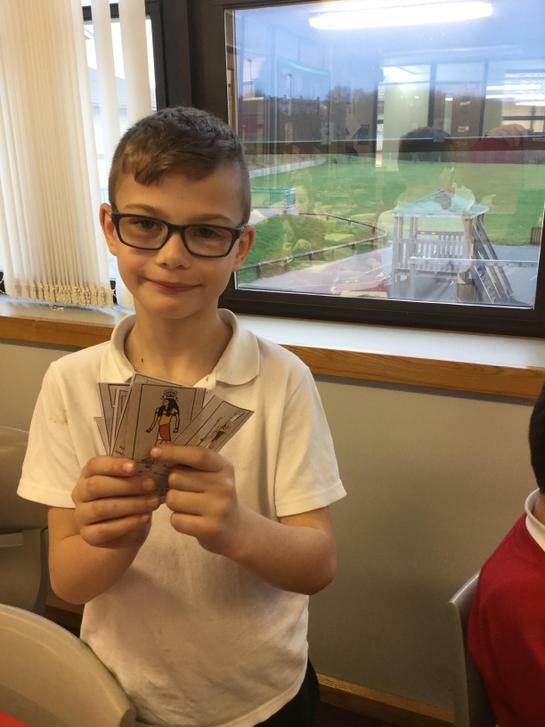 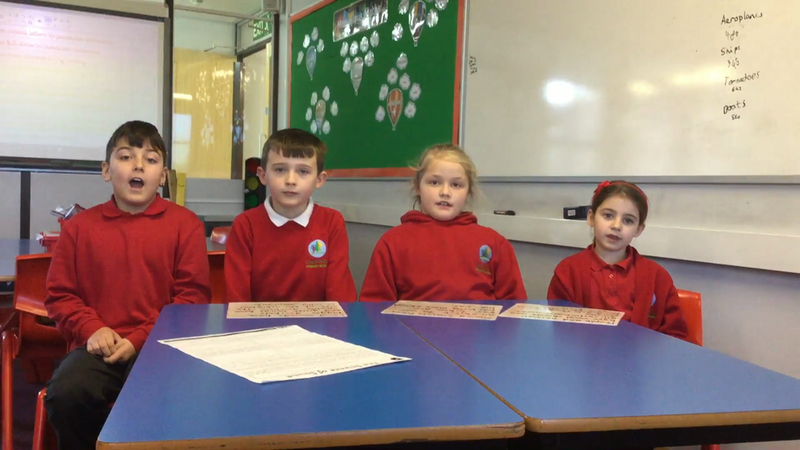 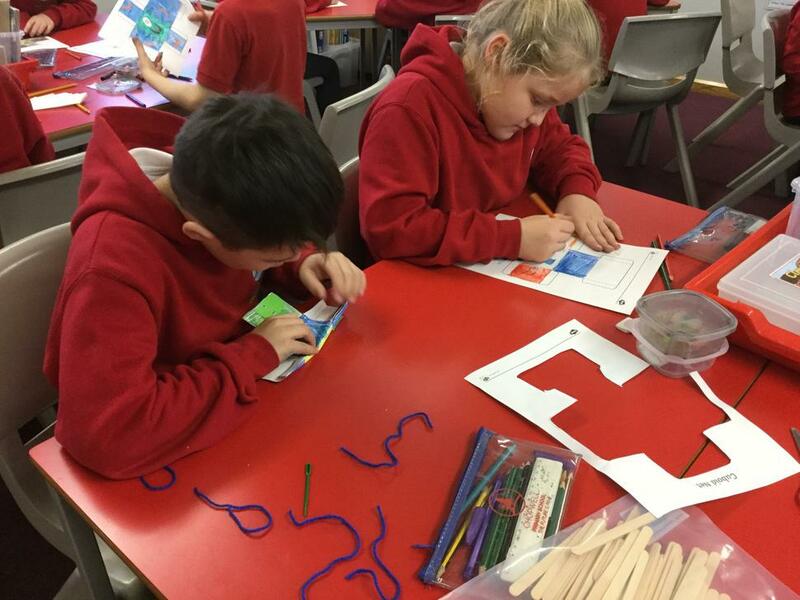 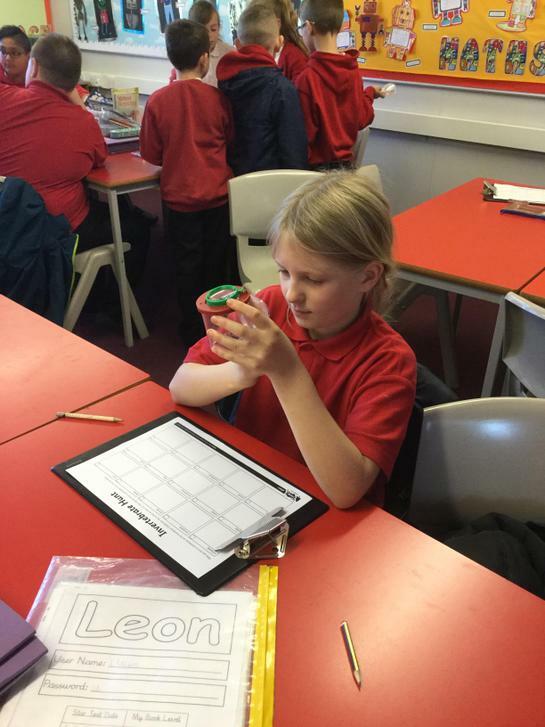 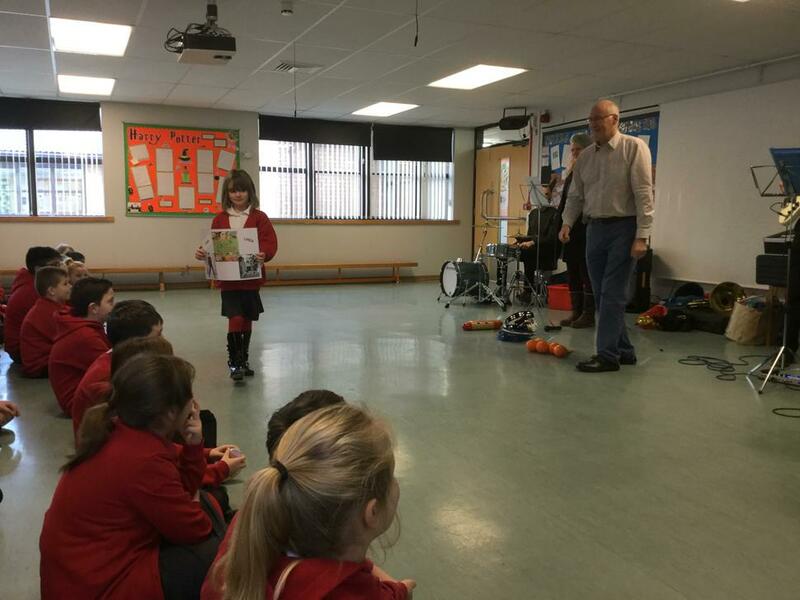 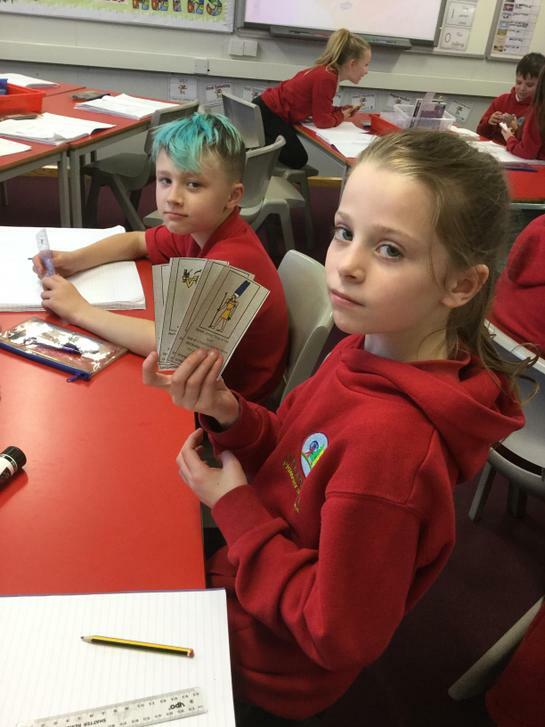 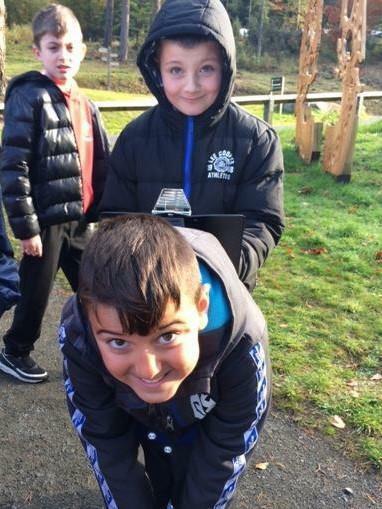 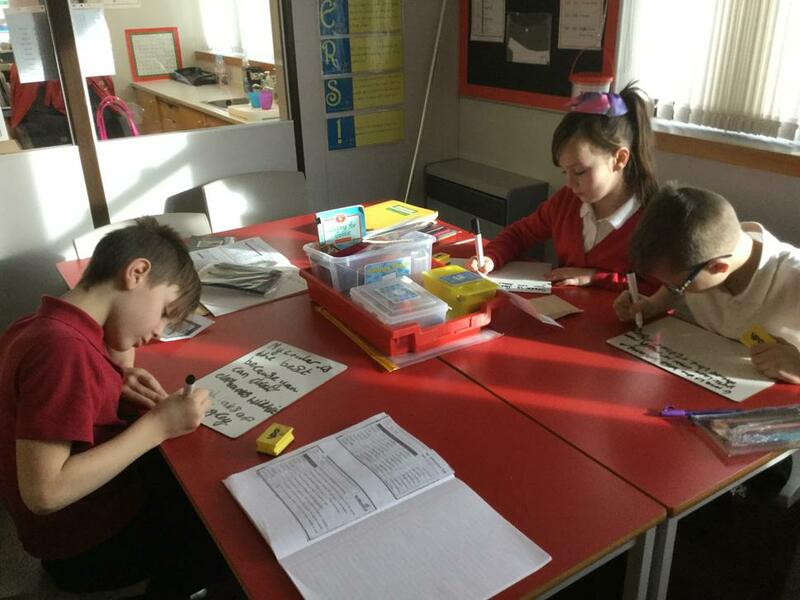 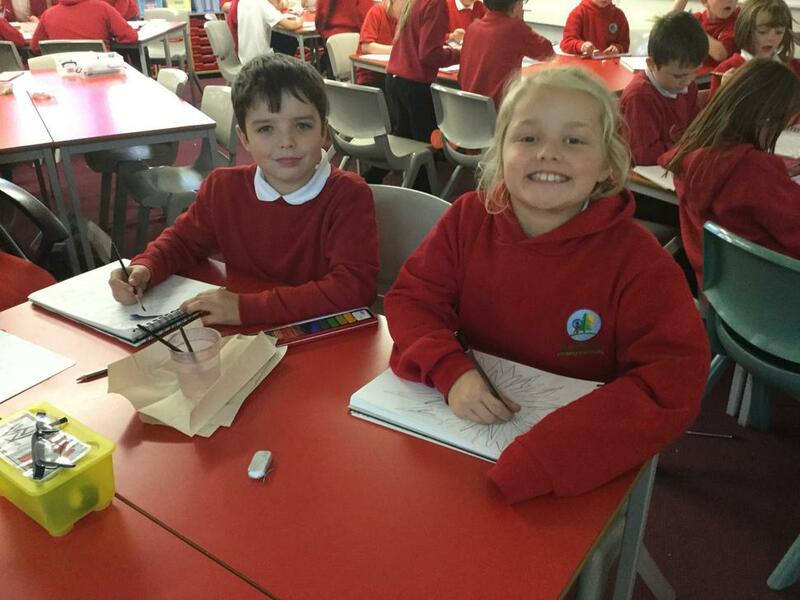 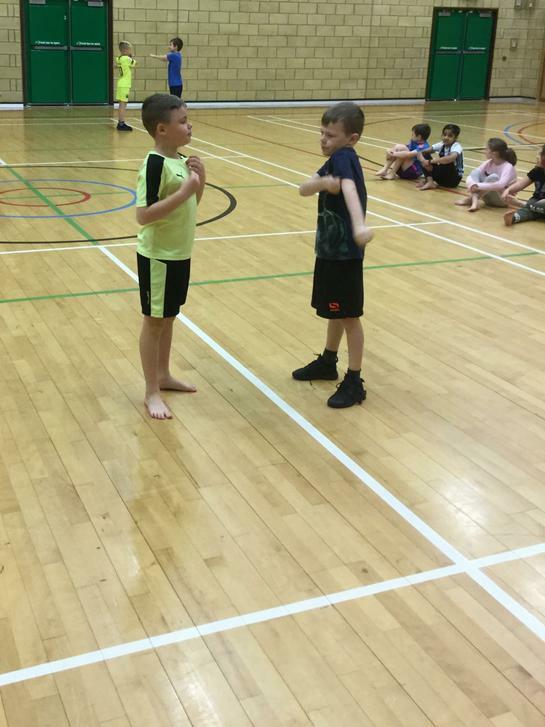 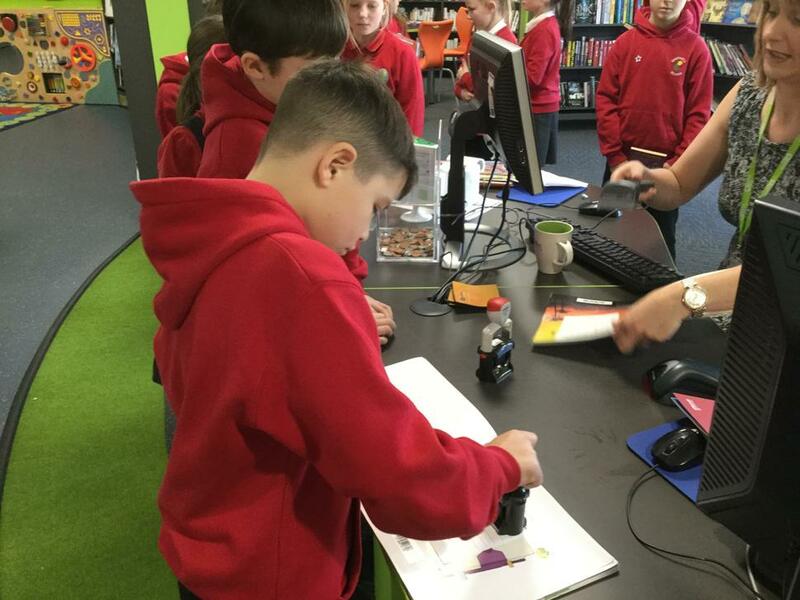 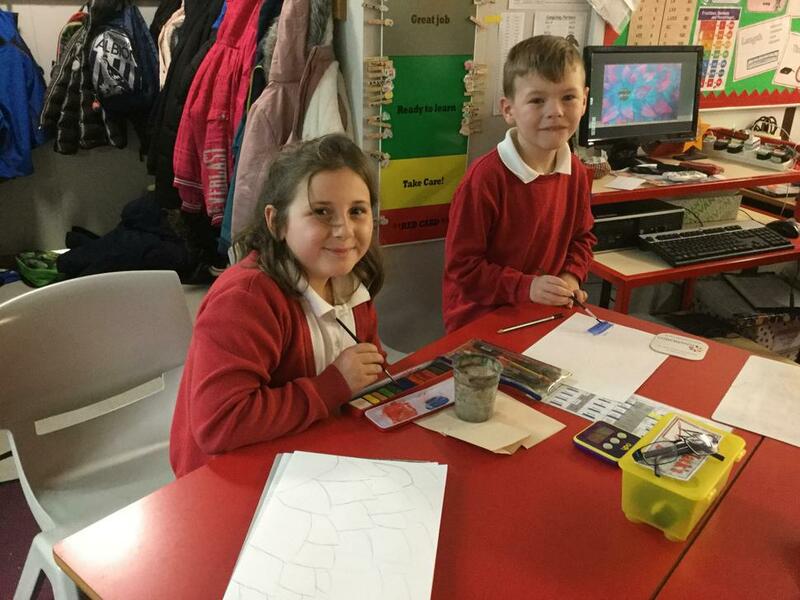 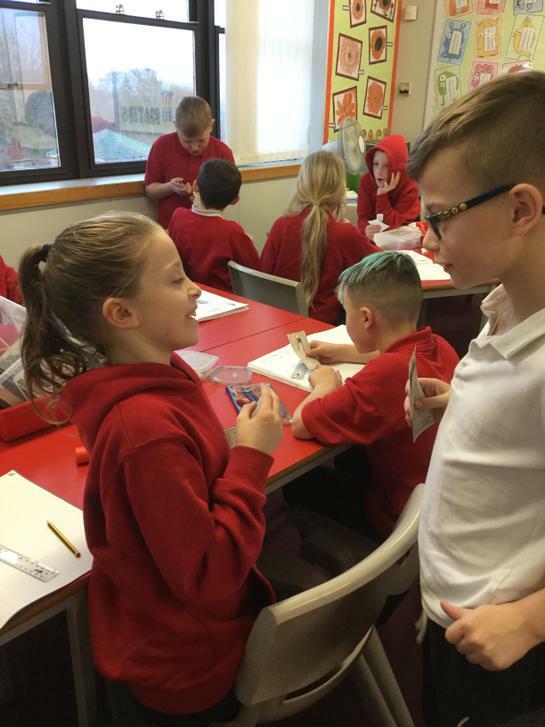 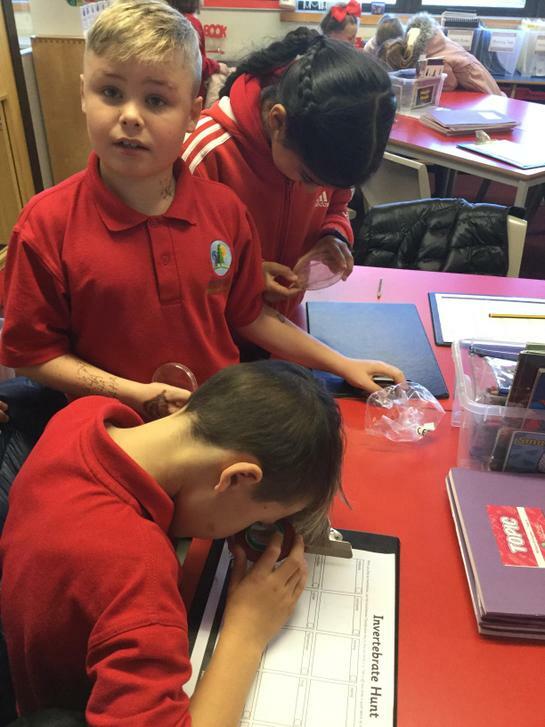 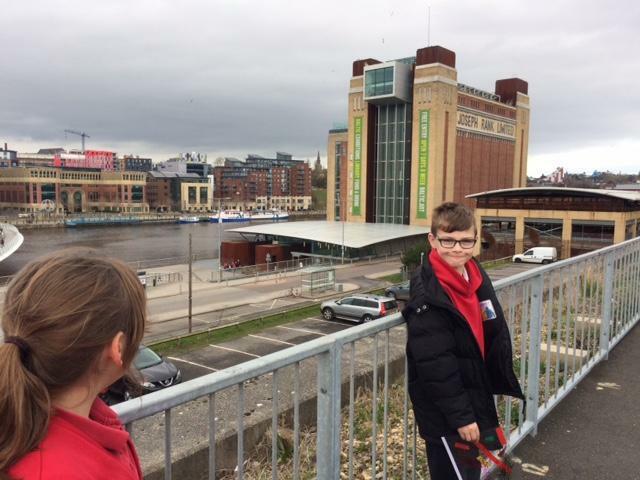 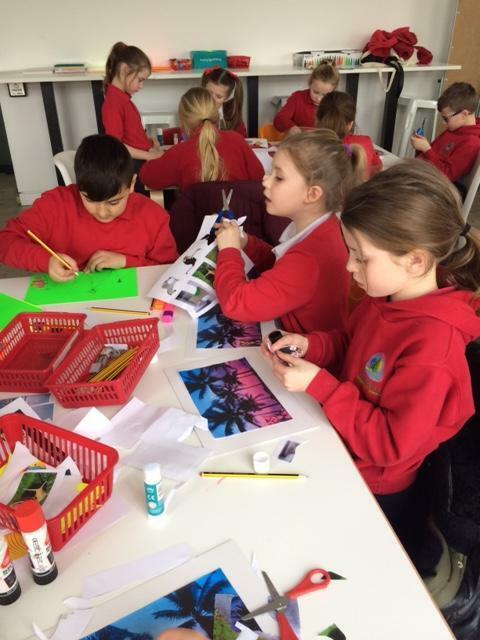 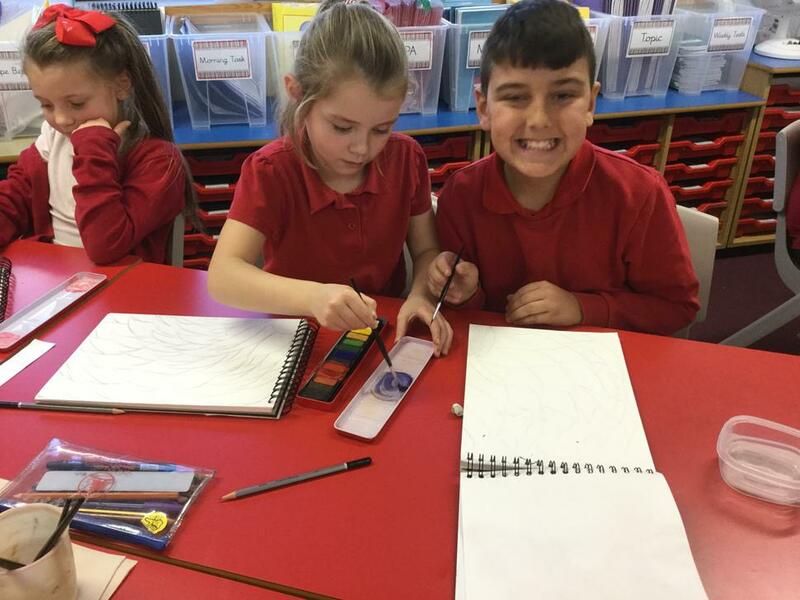 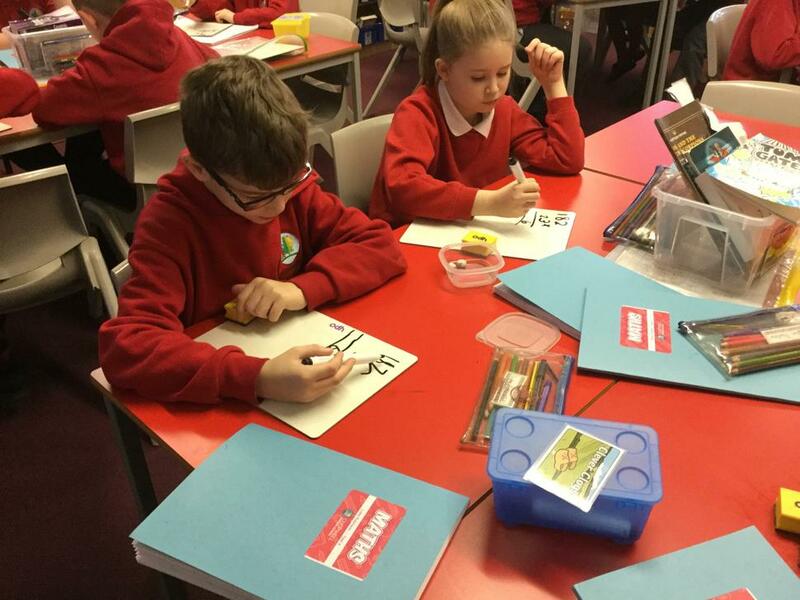 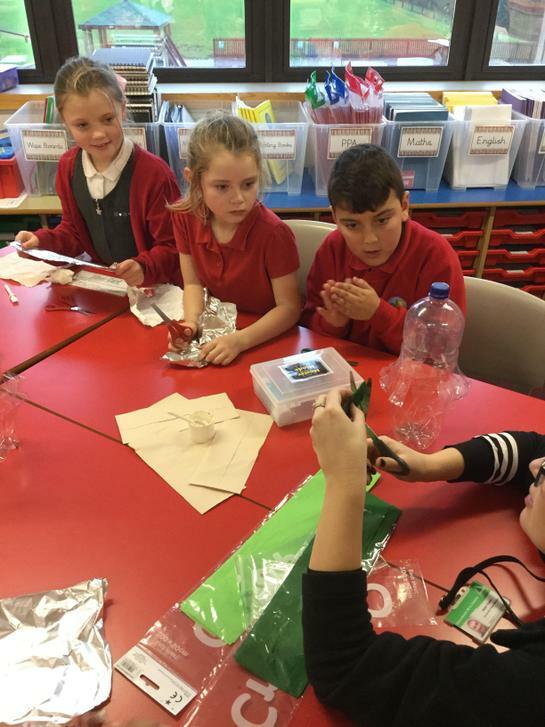 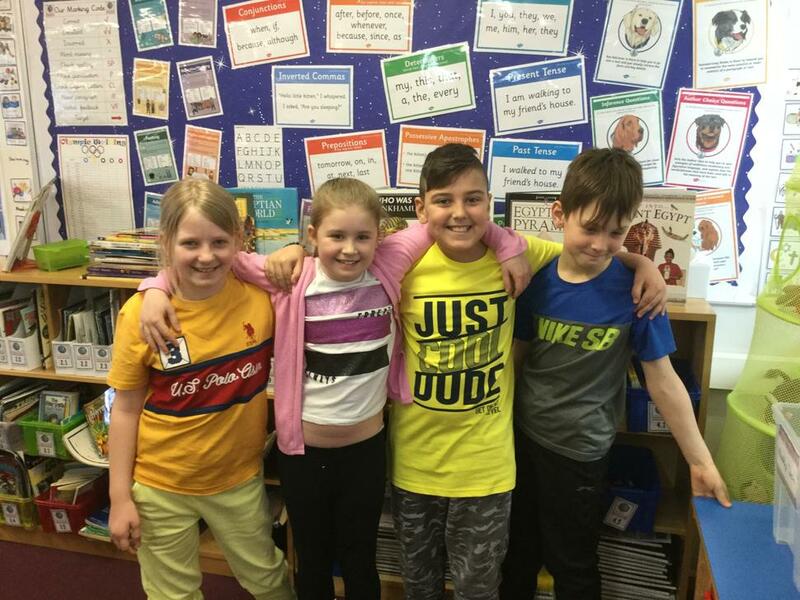 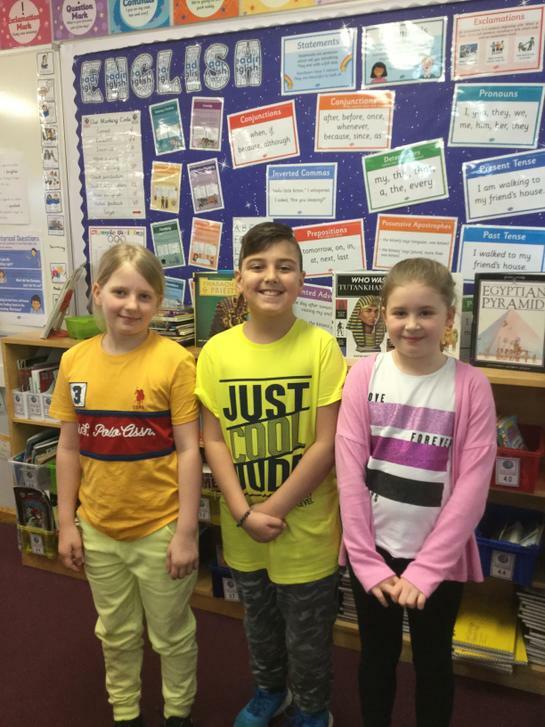 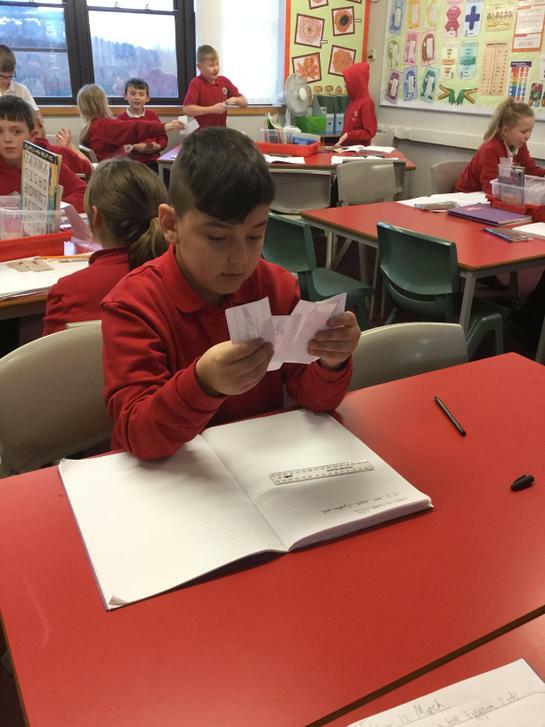 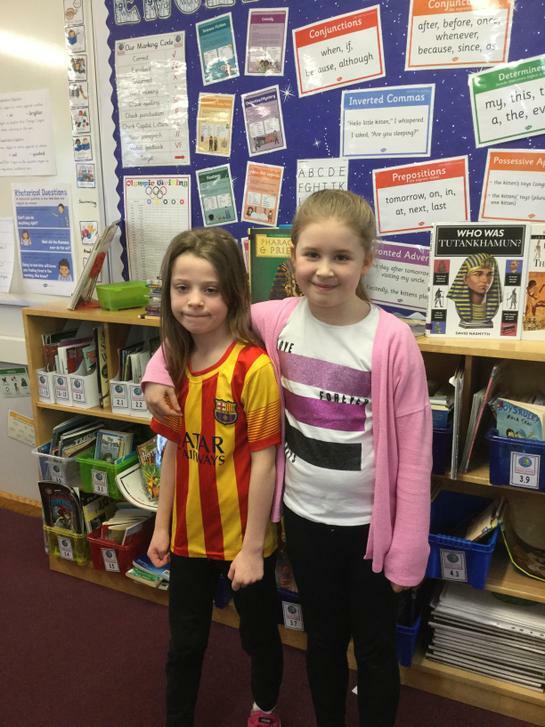 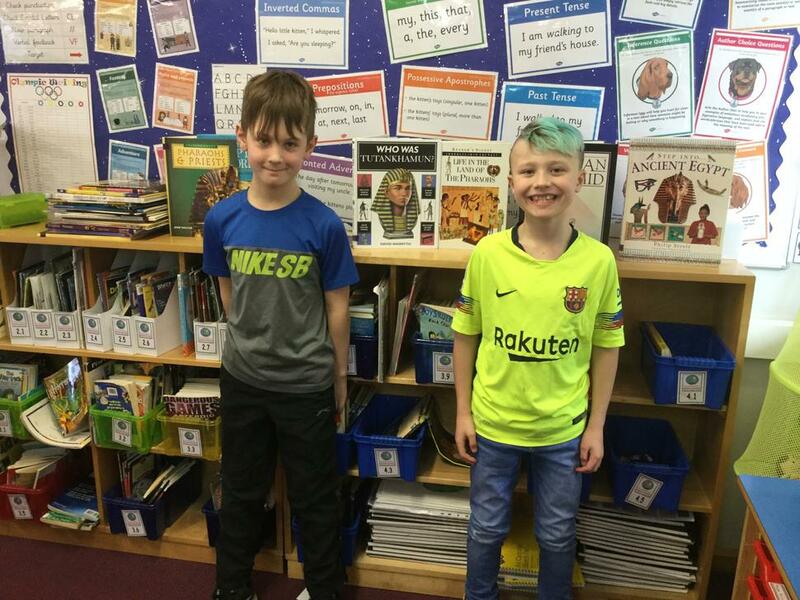 They will also have the opportunity to learn facts about the various places visited by Mr Fogg on his journey, enabling the children to create a non-chronological report about places such as Hong Kong or even the jungle. 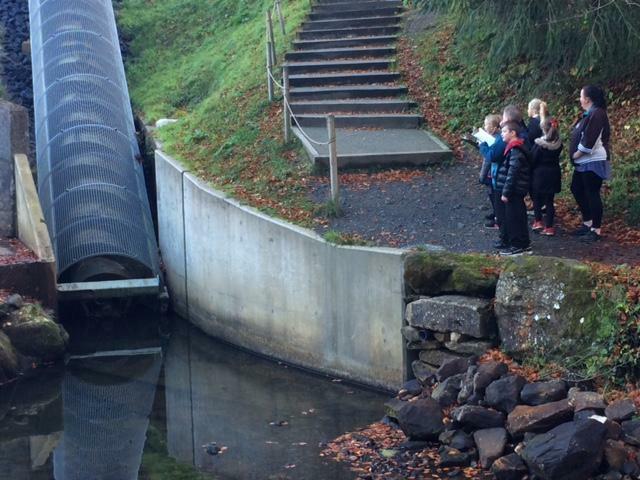 This term the children will still be swimming (happening every Thursday afternoon). 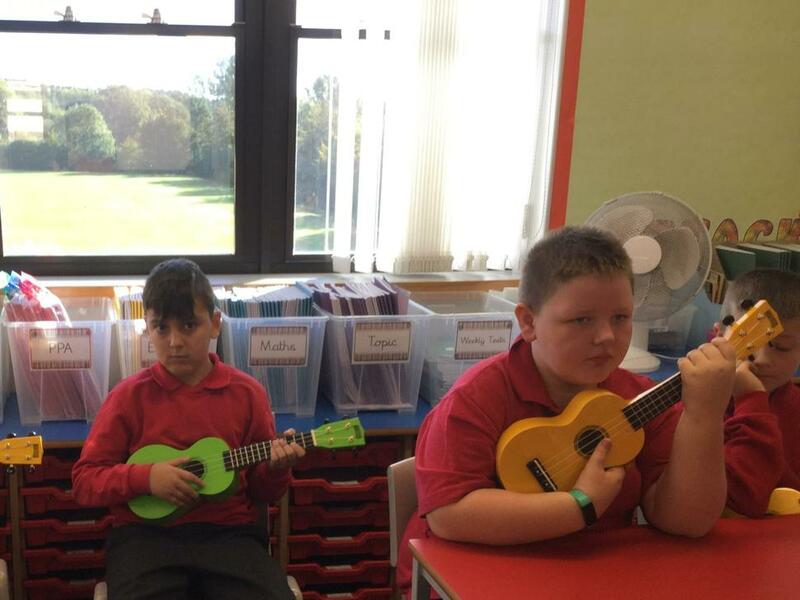 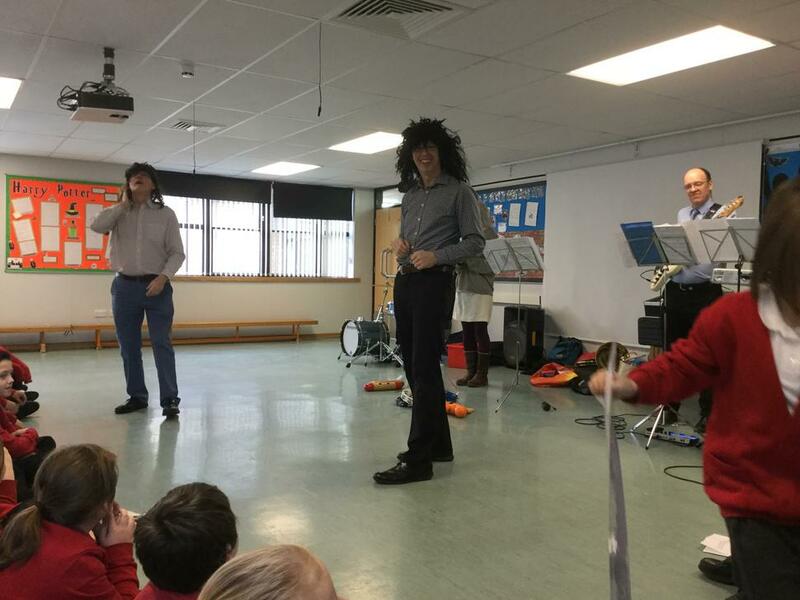 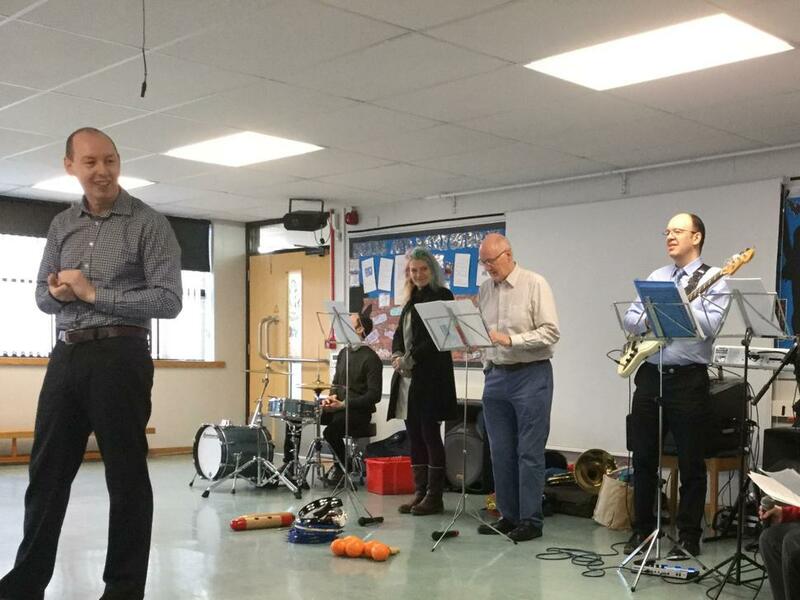 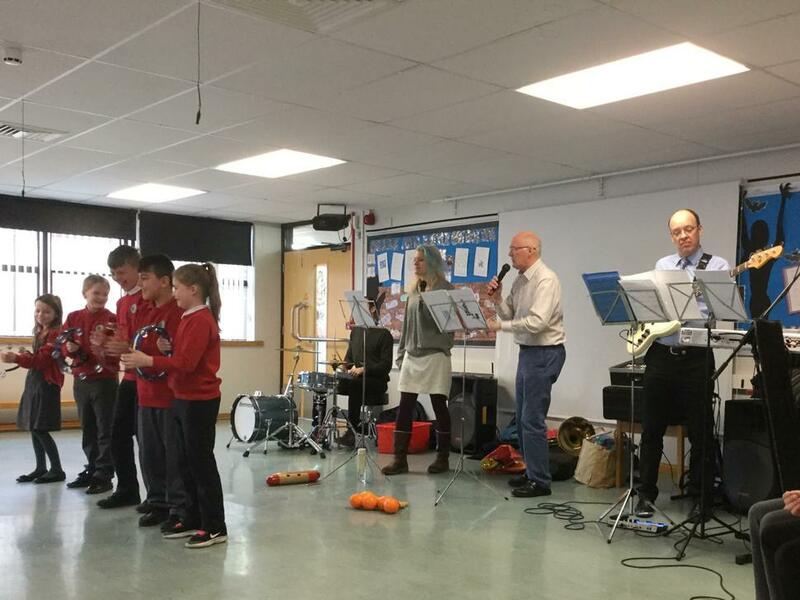 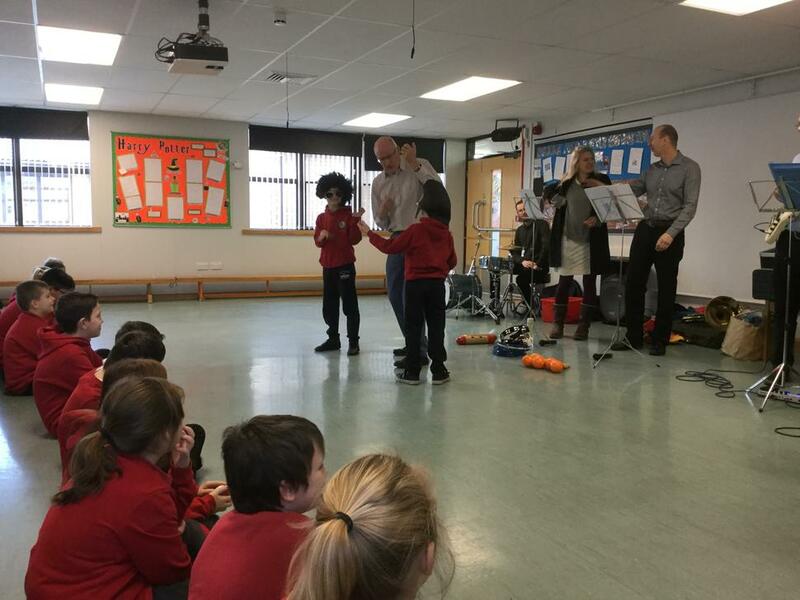 On a Tuesday morning they will also continue to have the opportunity to learn how to play a musical instrument, the ukulele. 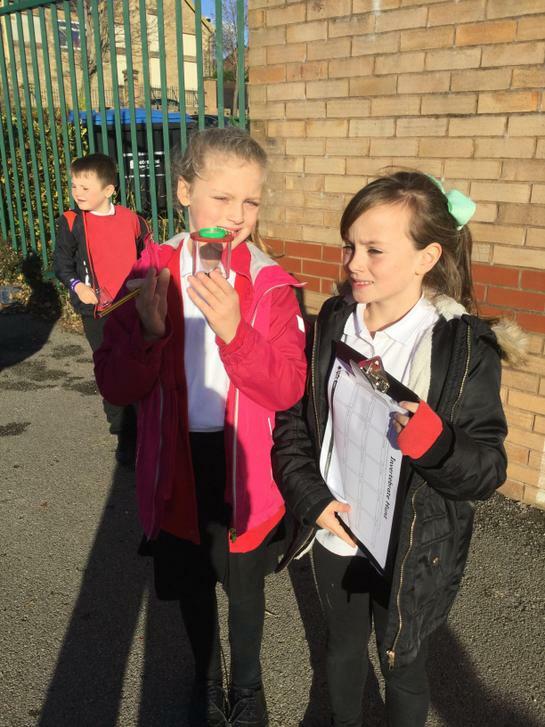 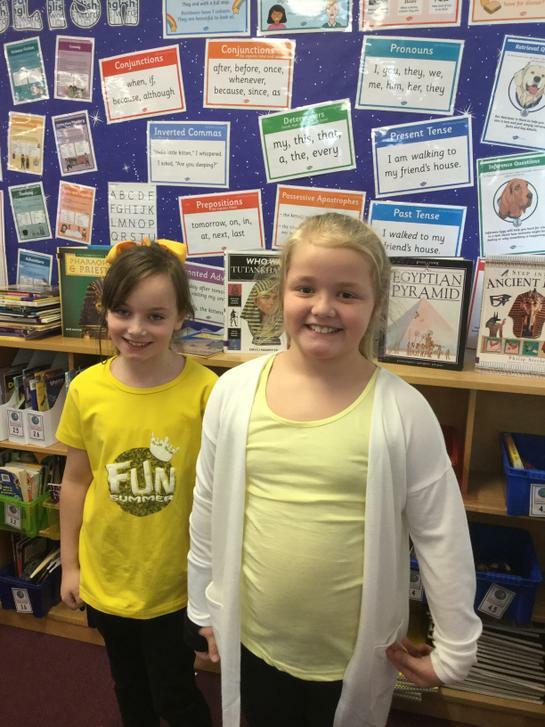 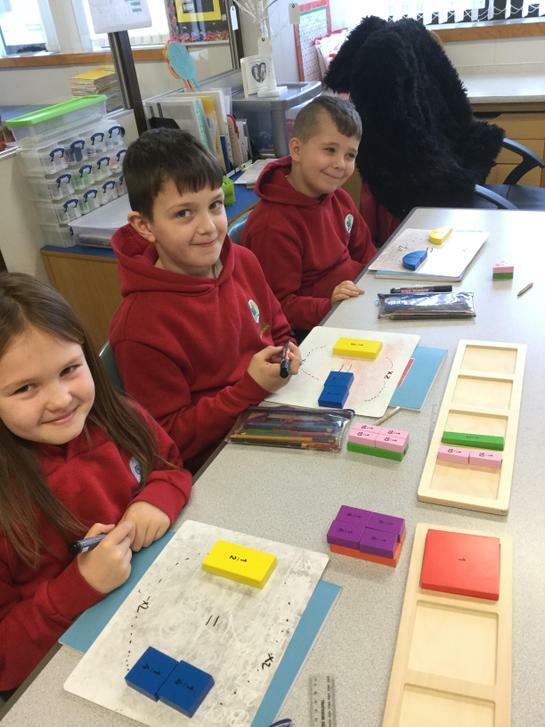 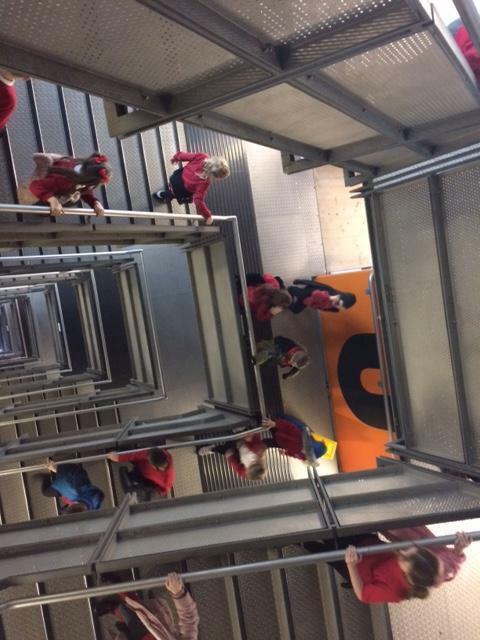 Hello to all the new year four children from Miss Munro and Mrs Curry! 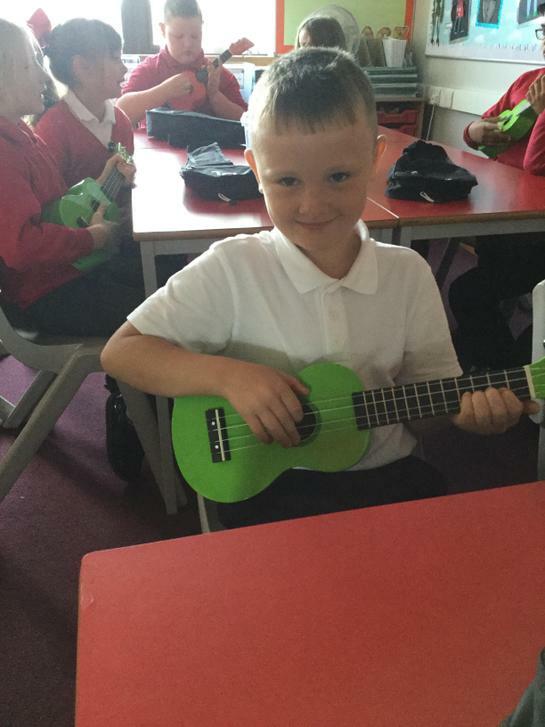 We hope you all have had a lovely Summer holiday. 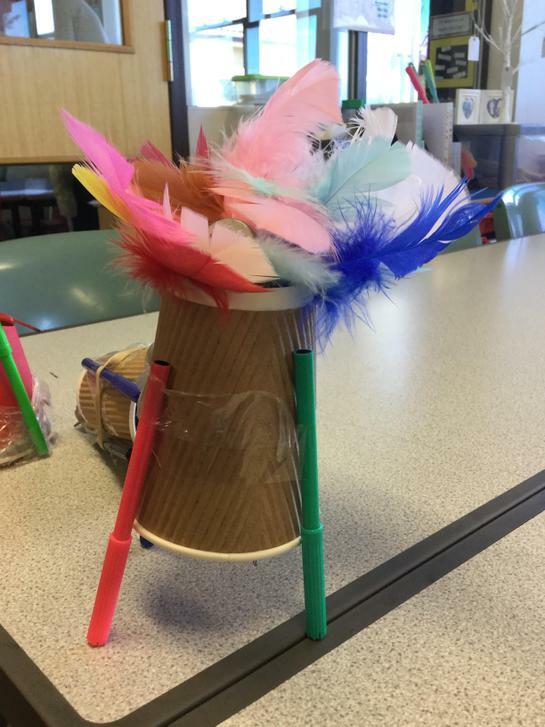 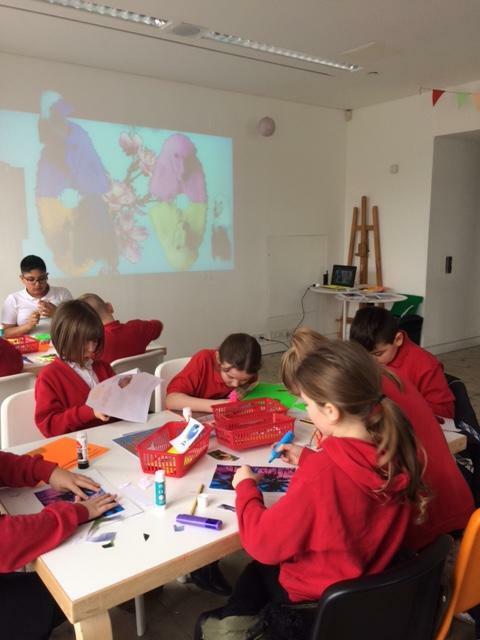 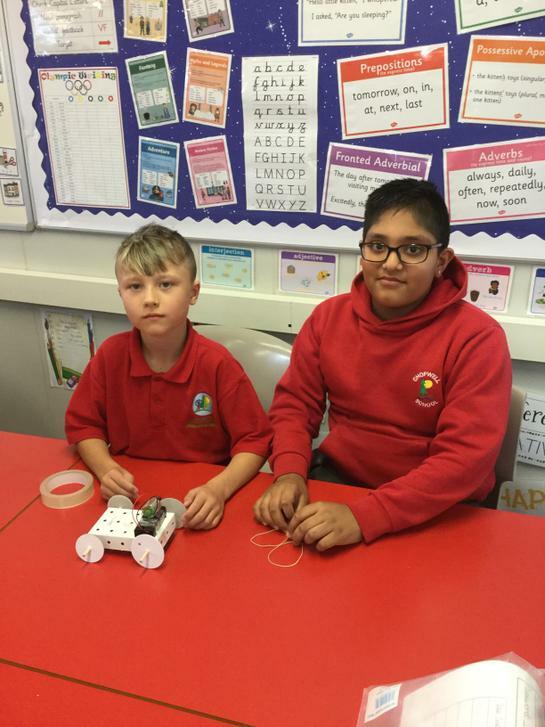 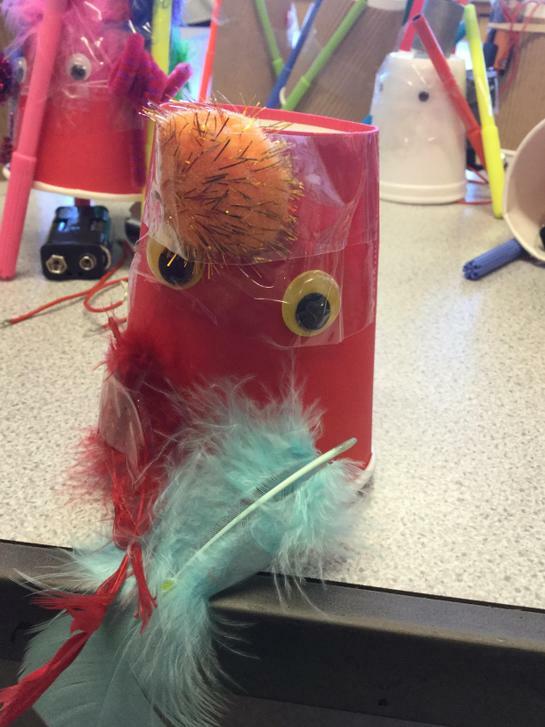 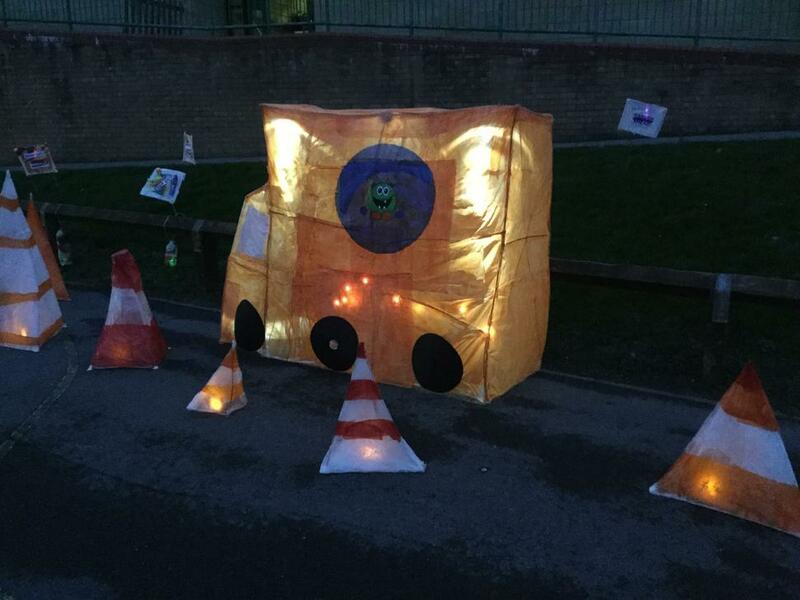 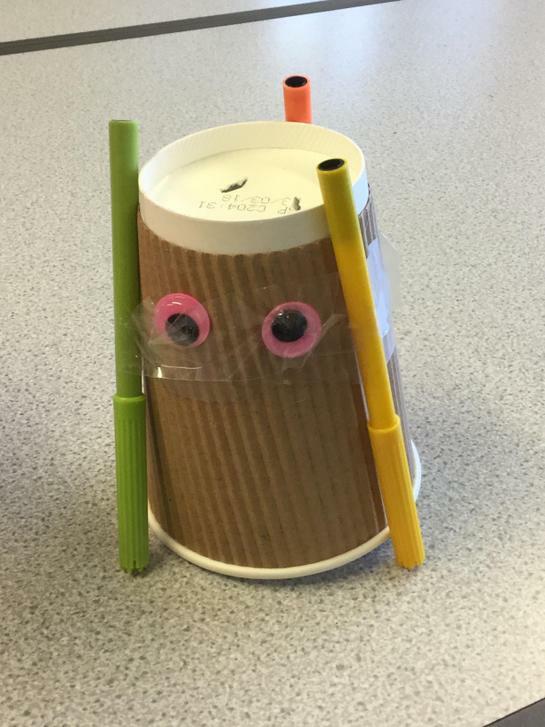 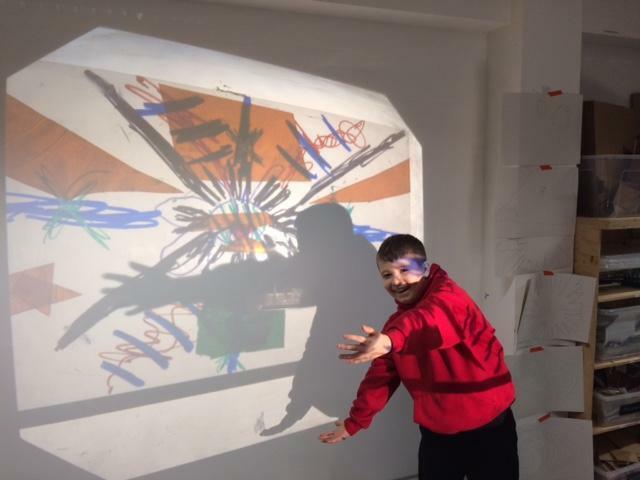 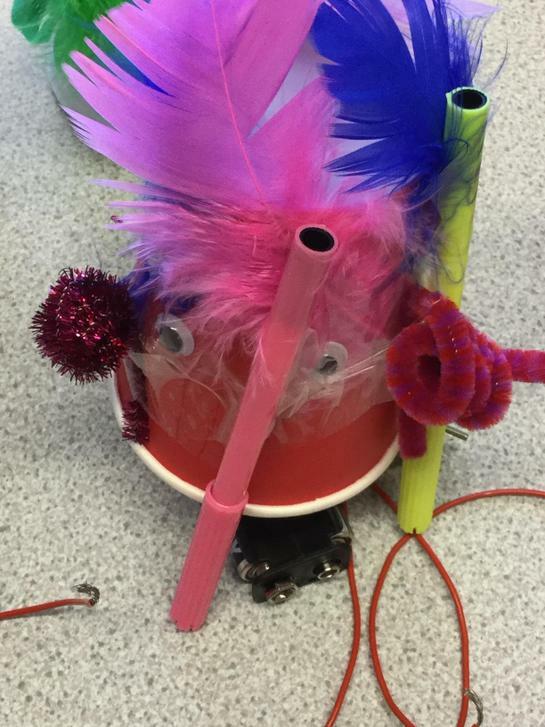 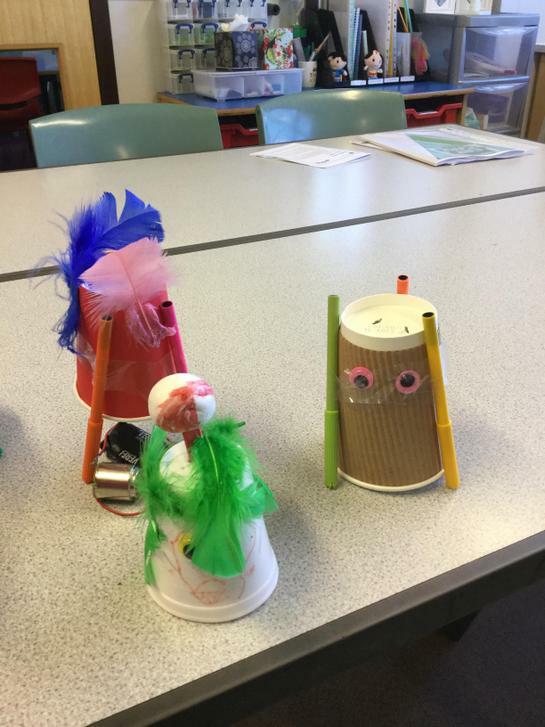 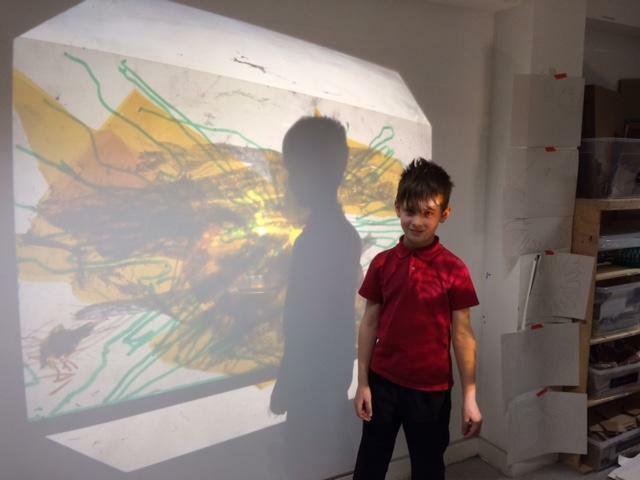 We are every excited to introduce you all to the topic for this term, 'Artbot'. 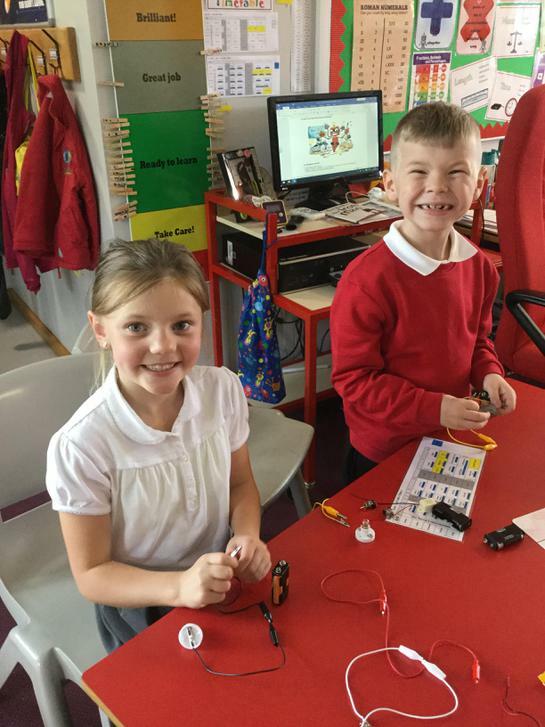 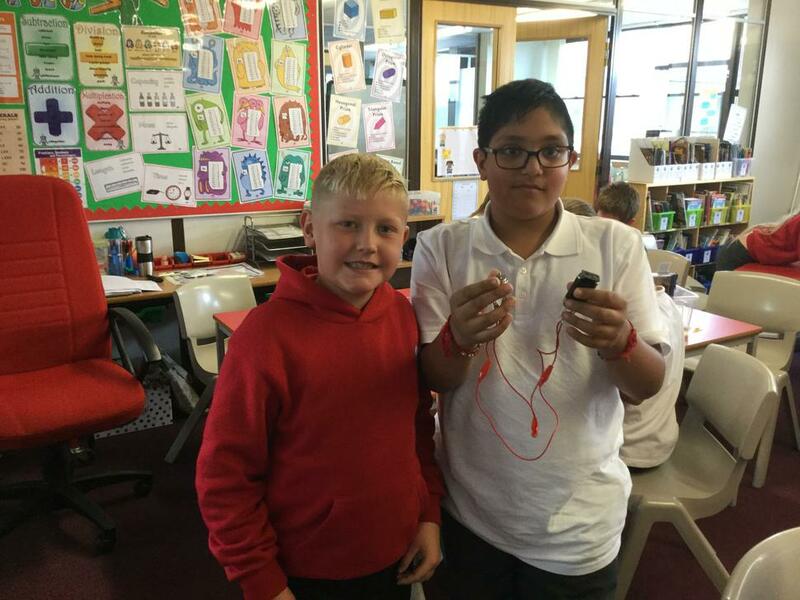 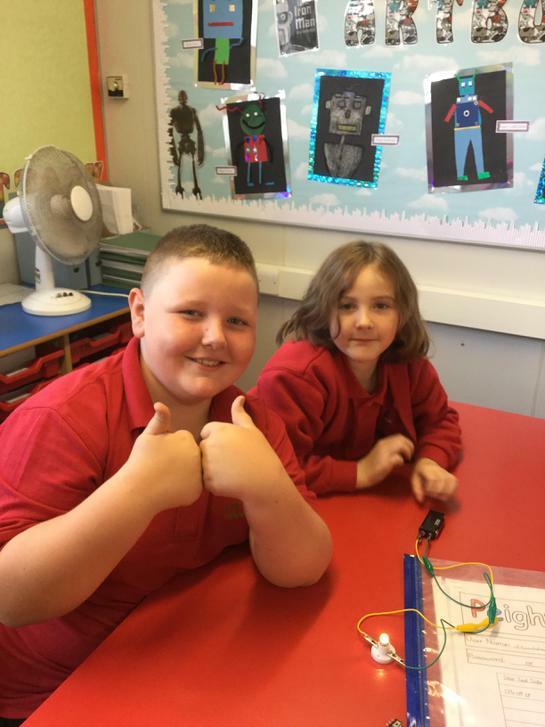 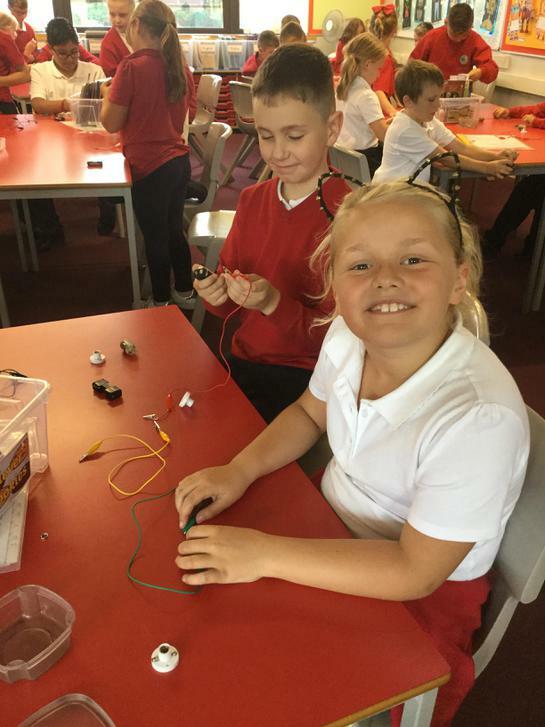 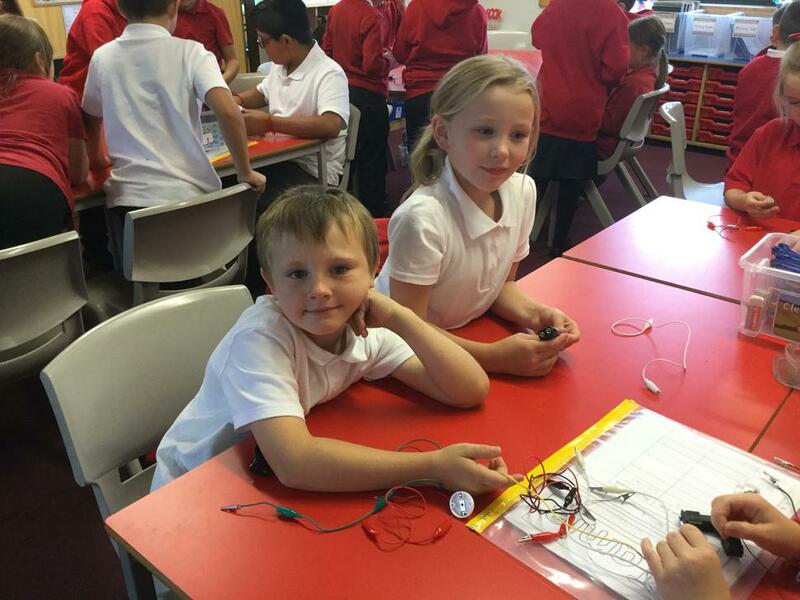 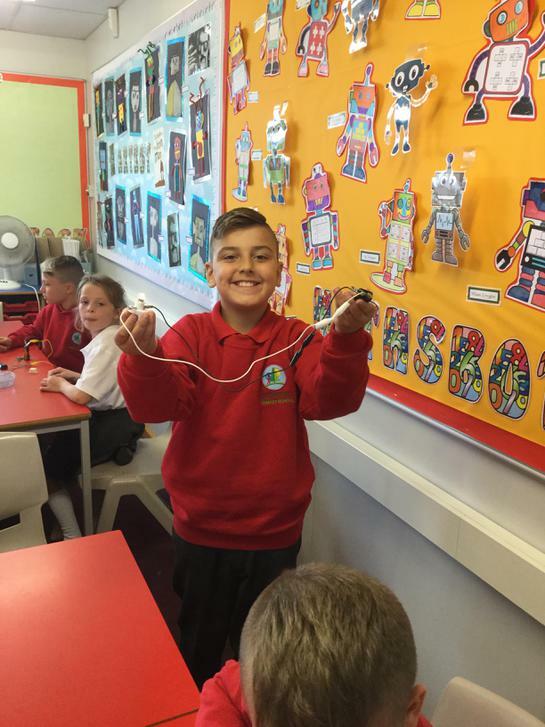 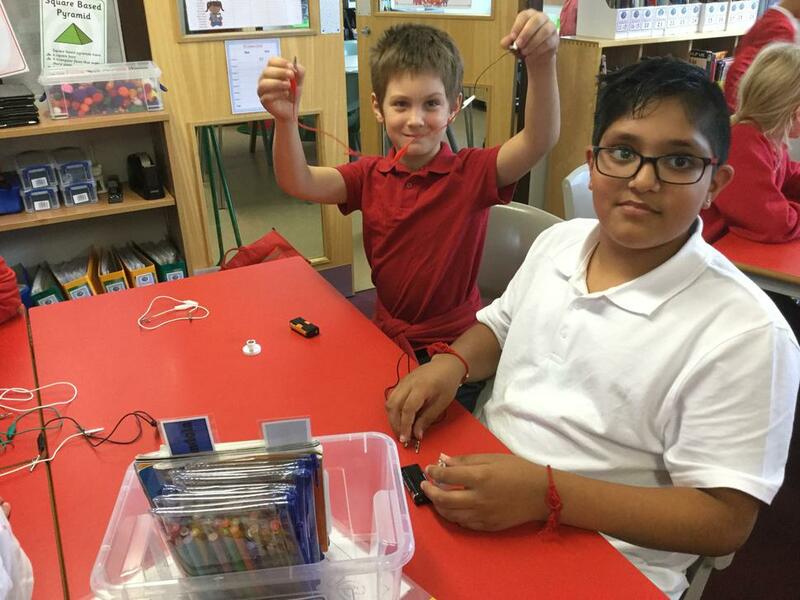 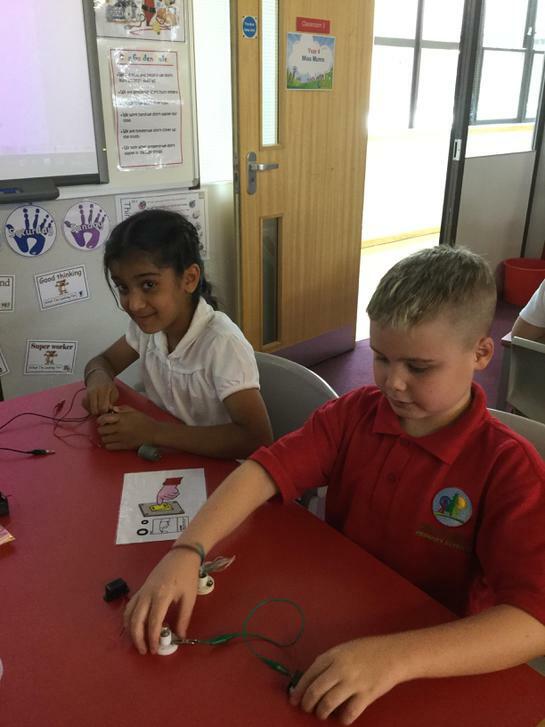 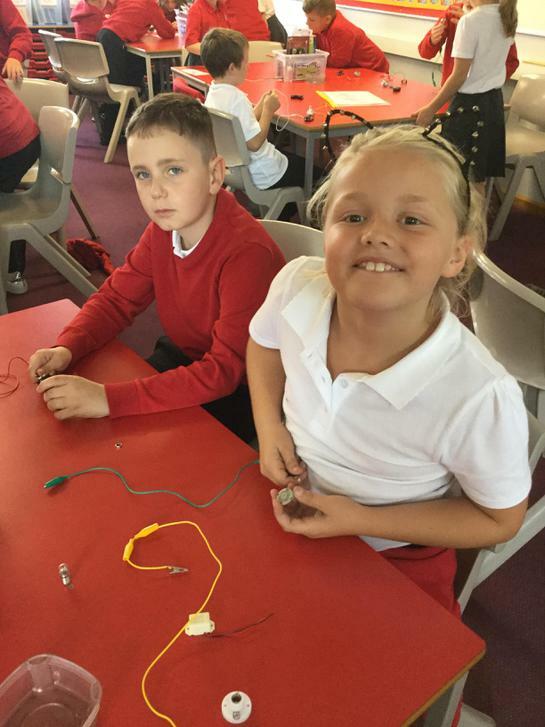 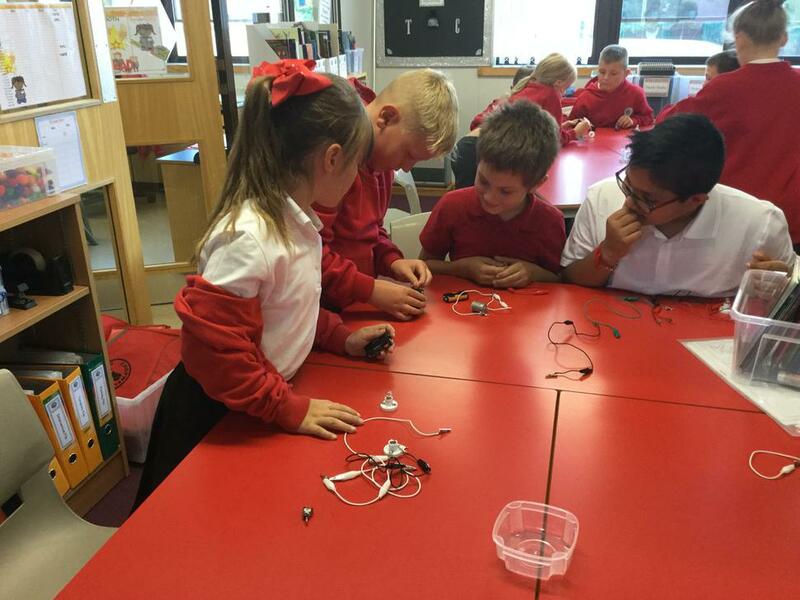 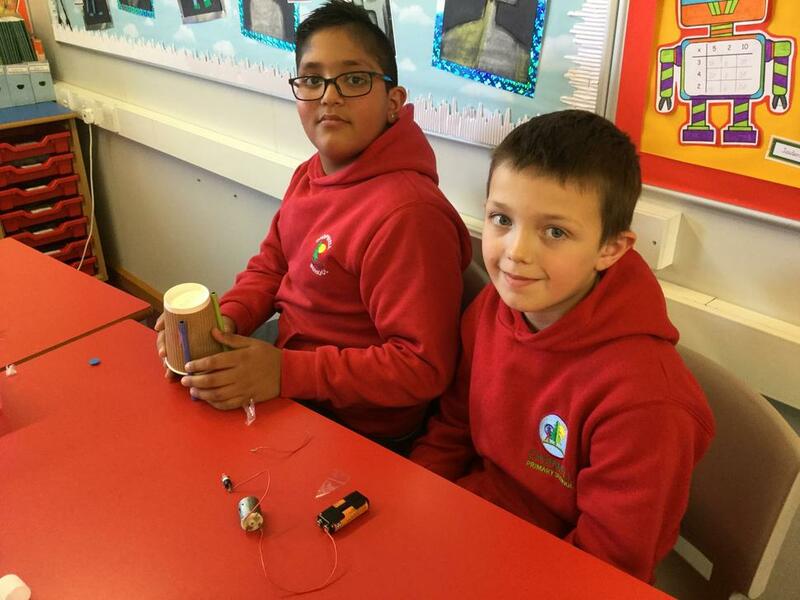 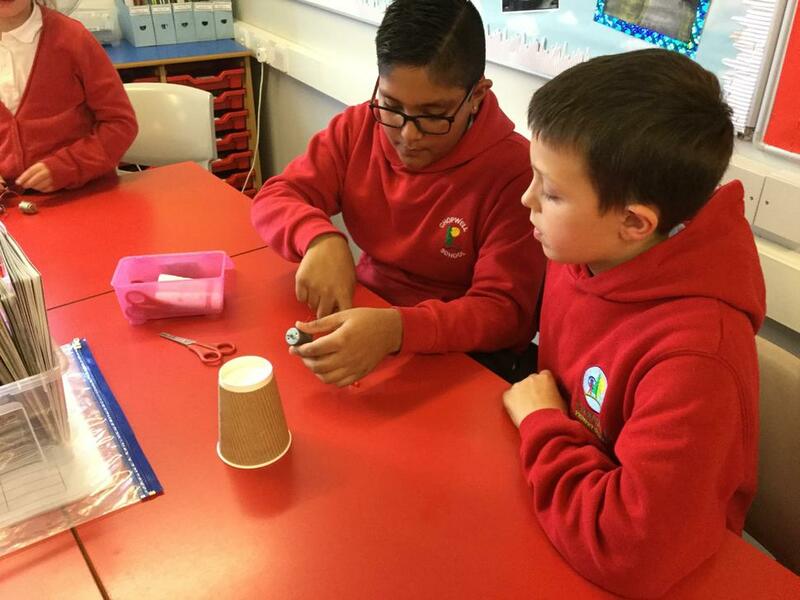 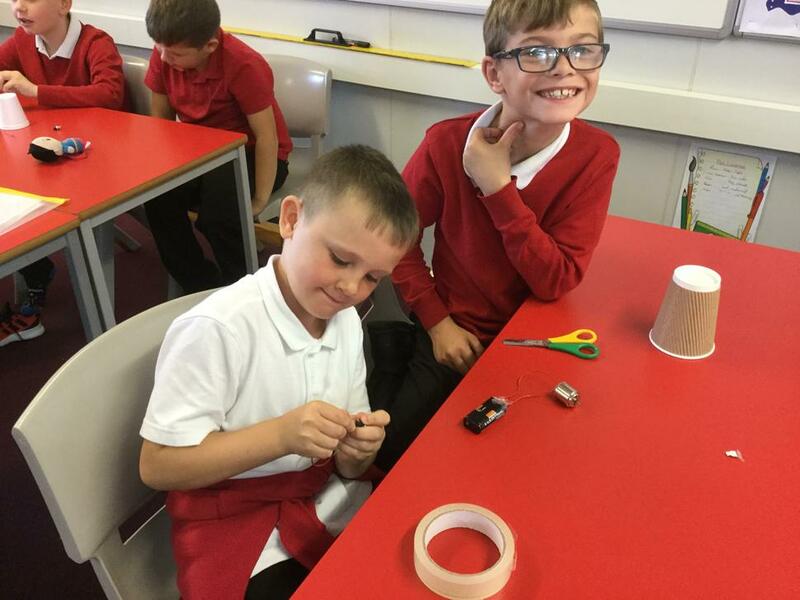 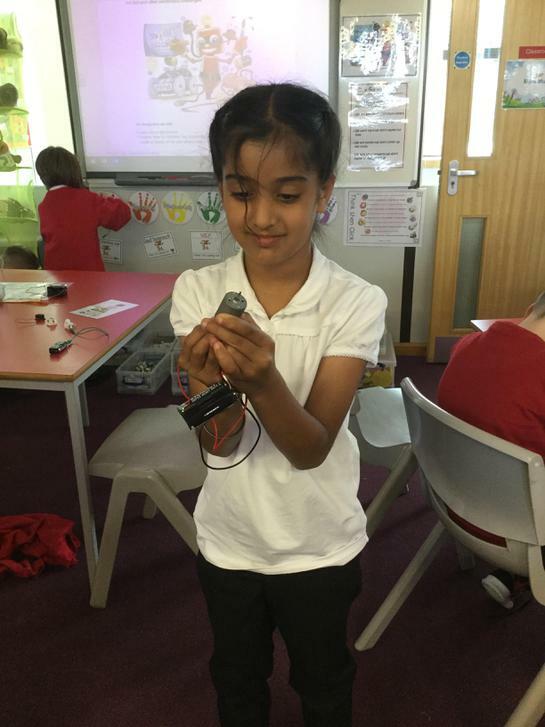 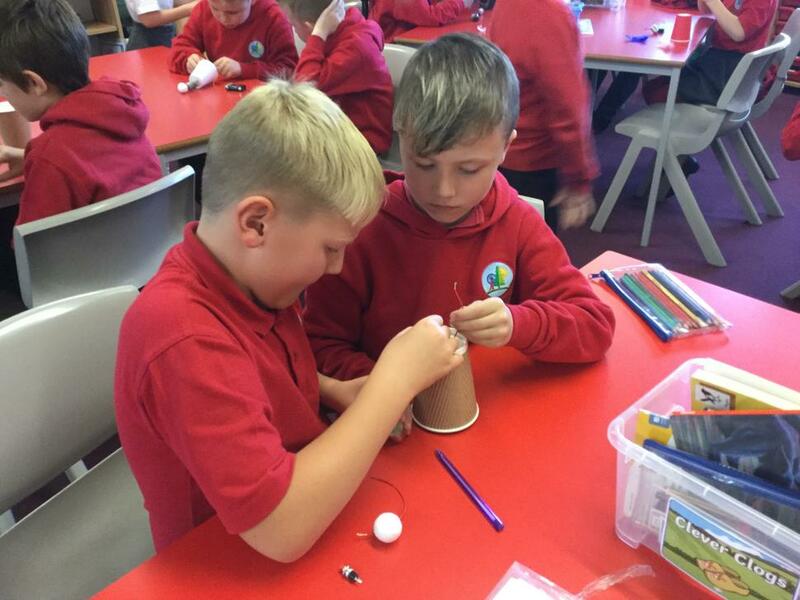 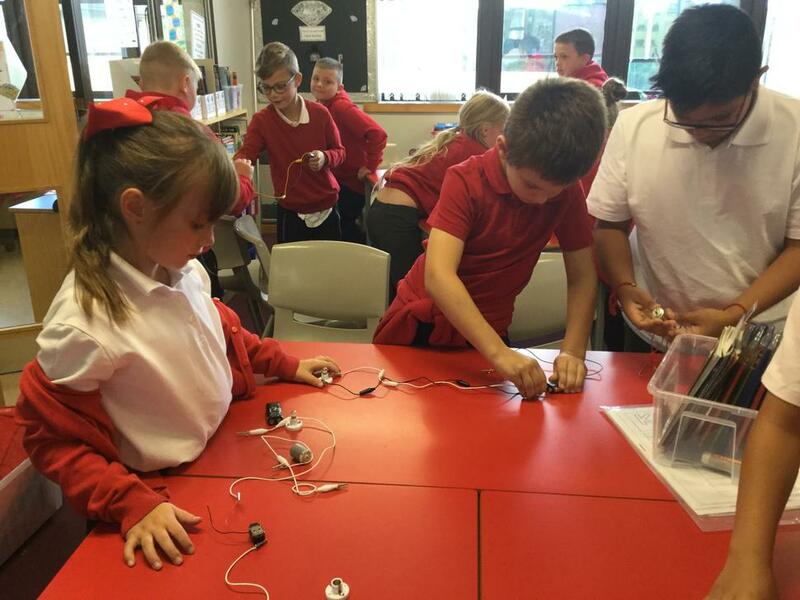 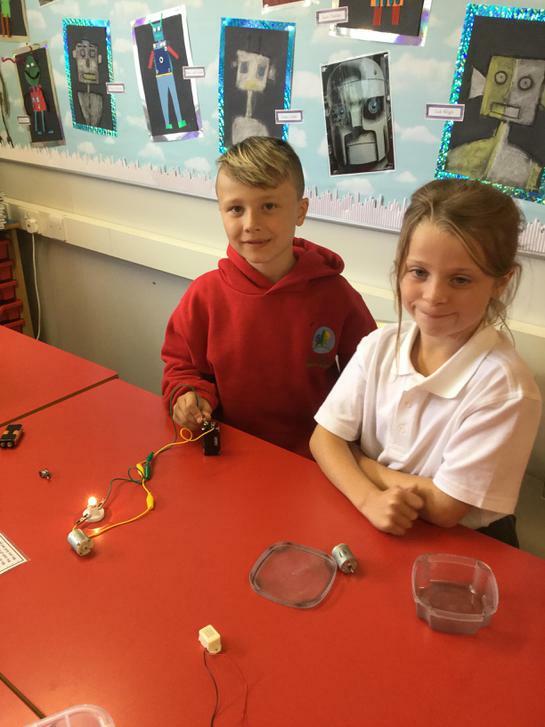 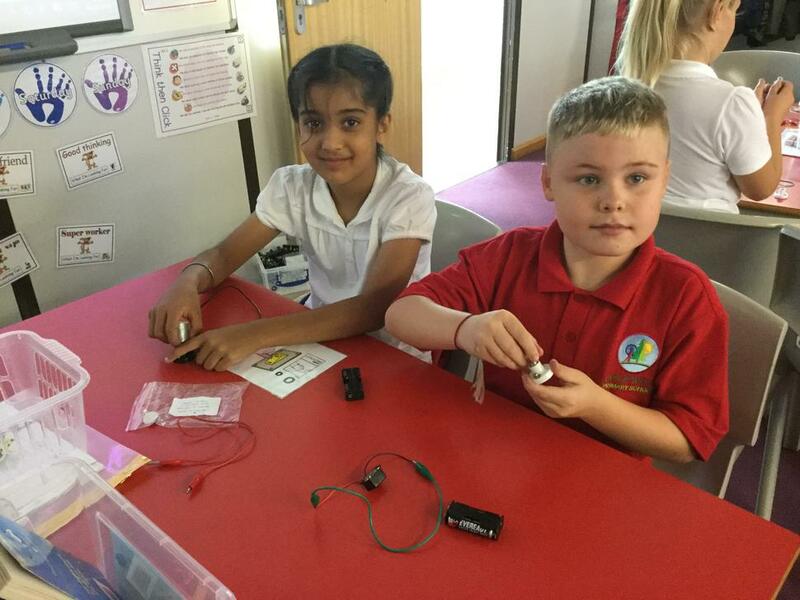 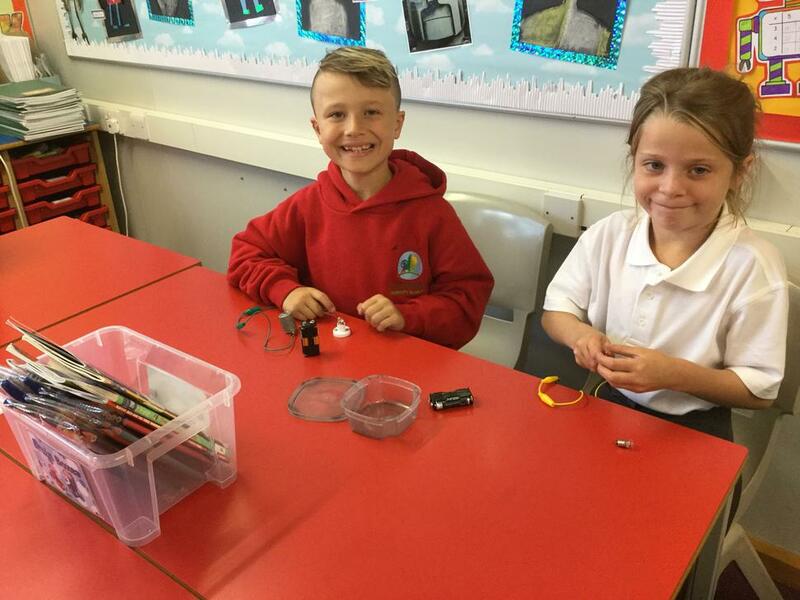 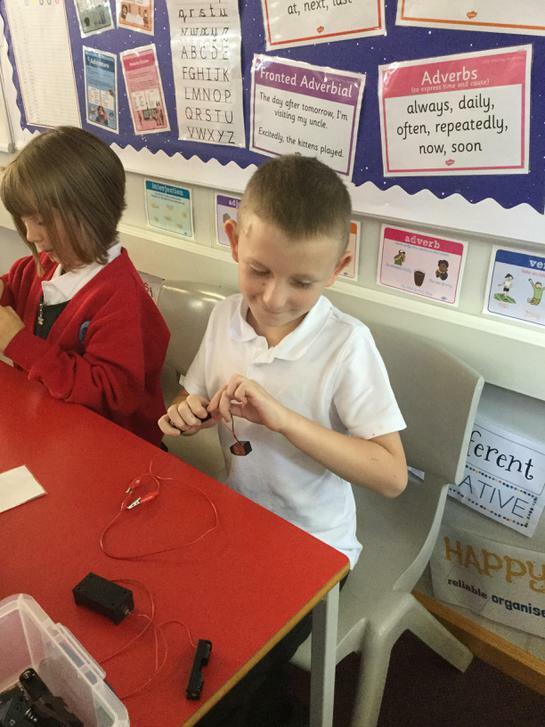 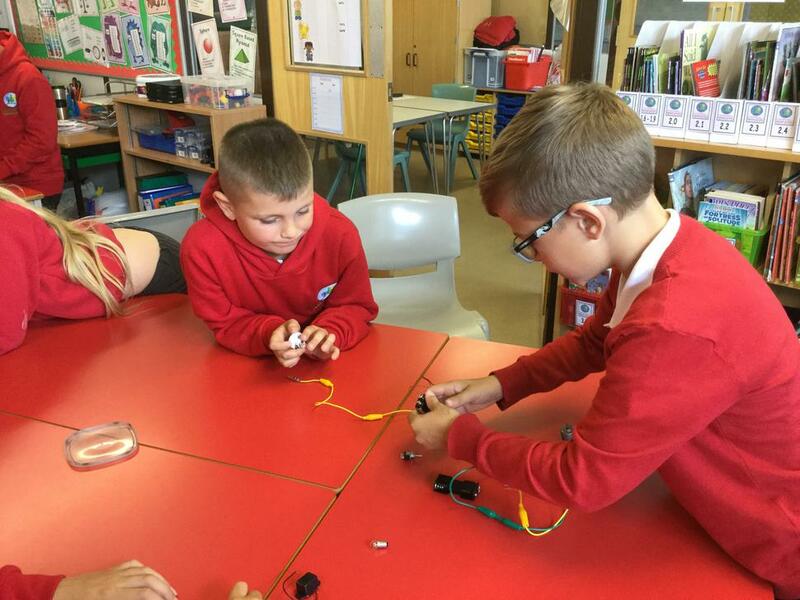 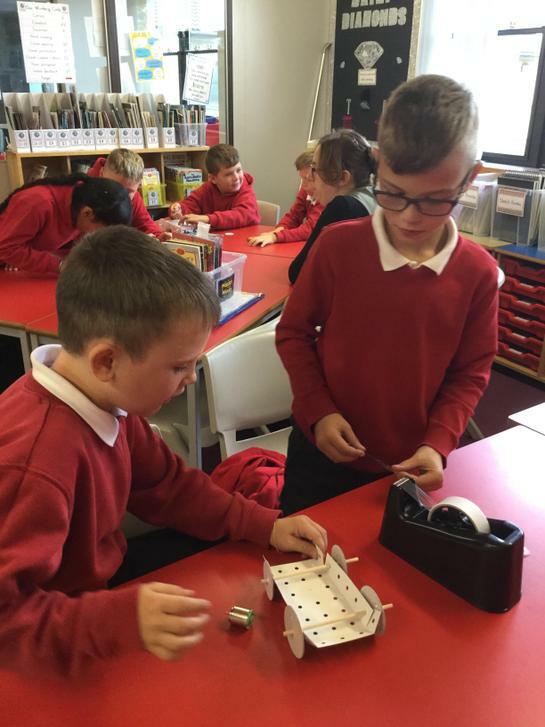 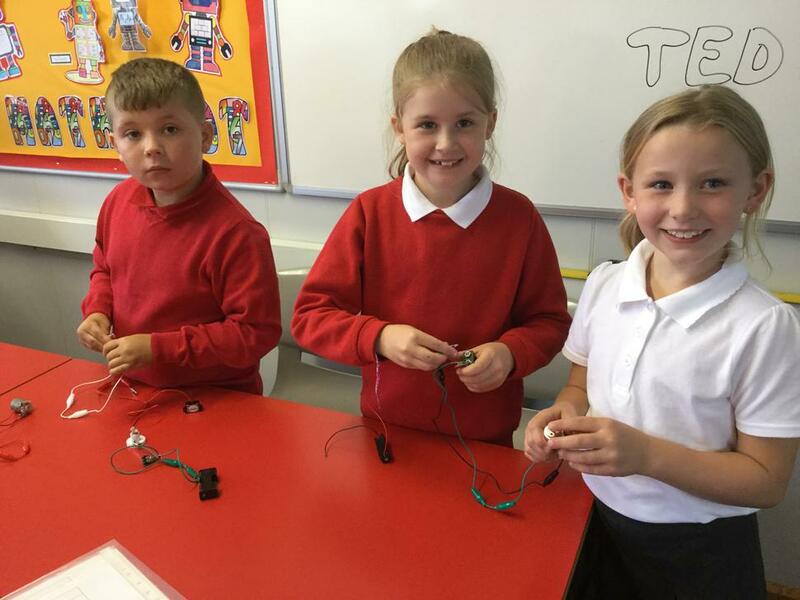 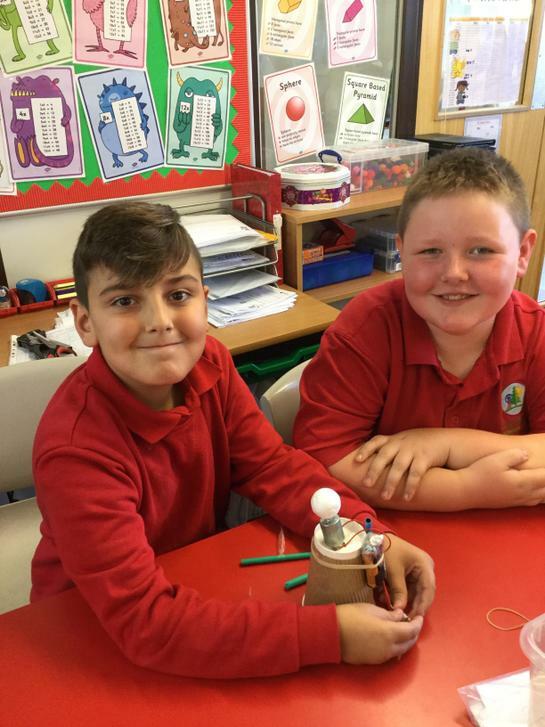 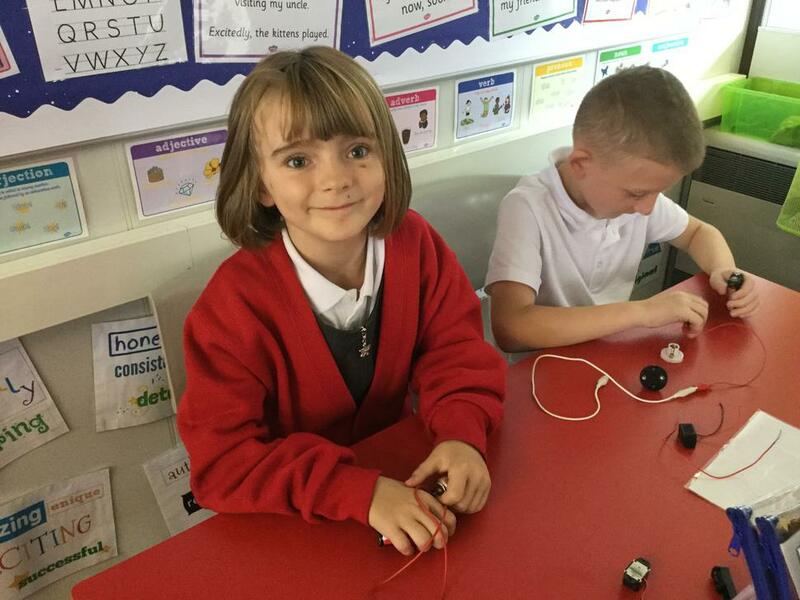 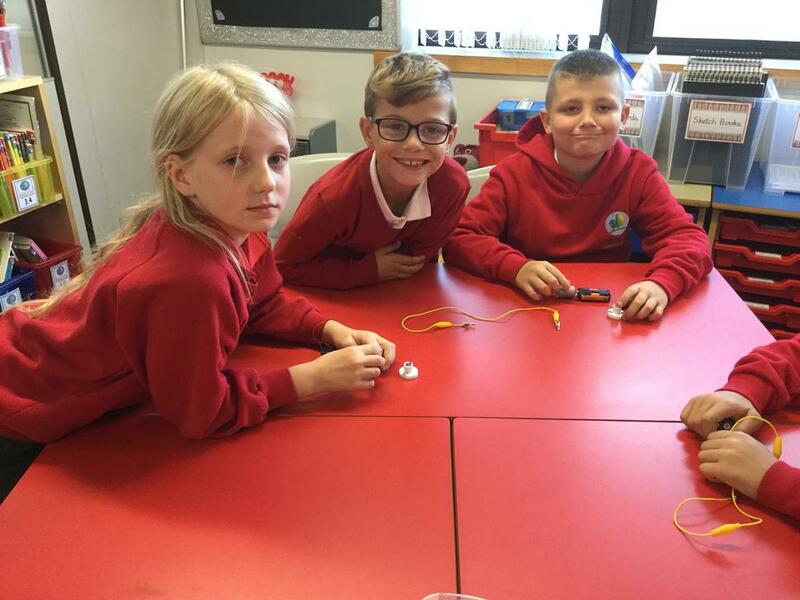 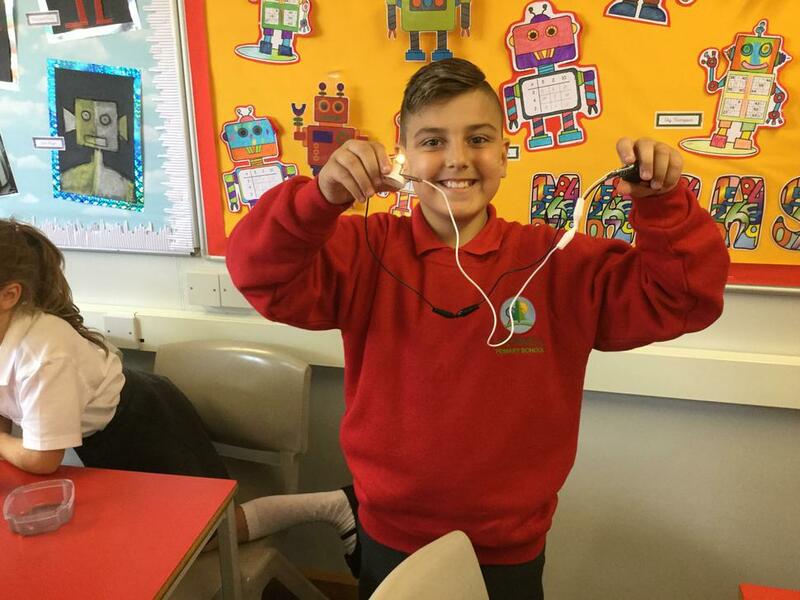 Throughout the Autumn term we will be looking at how to complete and make electrical circuits. 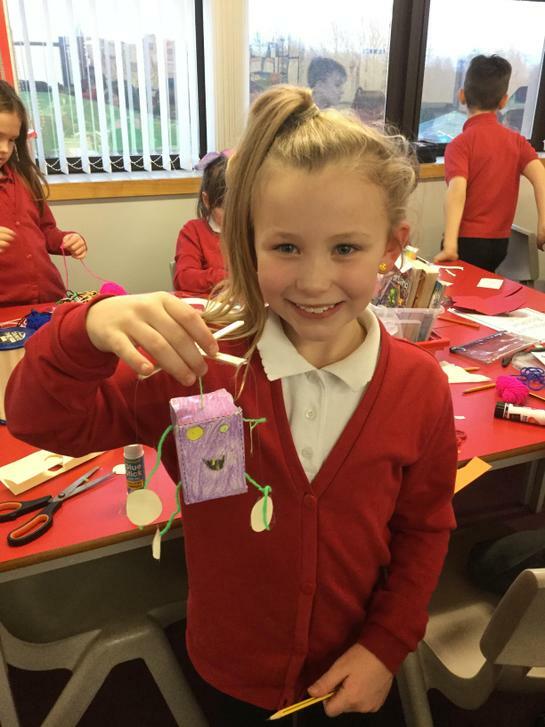 With this in mind I am hoping you can use your knowledge of circuits and electricity to design and make an Artbot, an electrical device that can draw on paper. 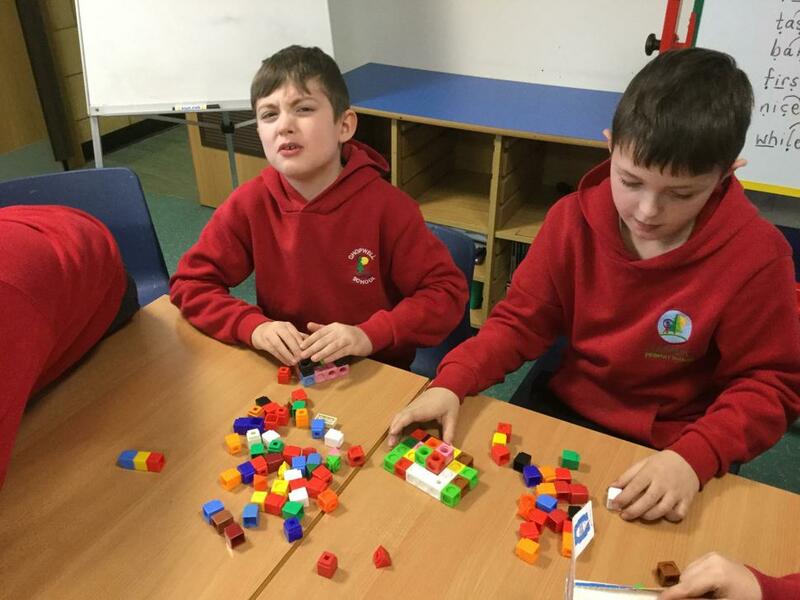 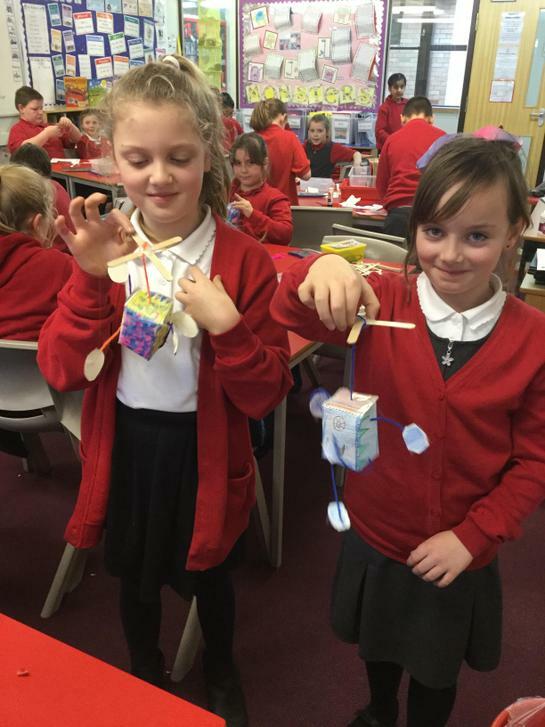 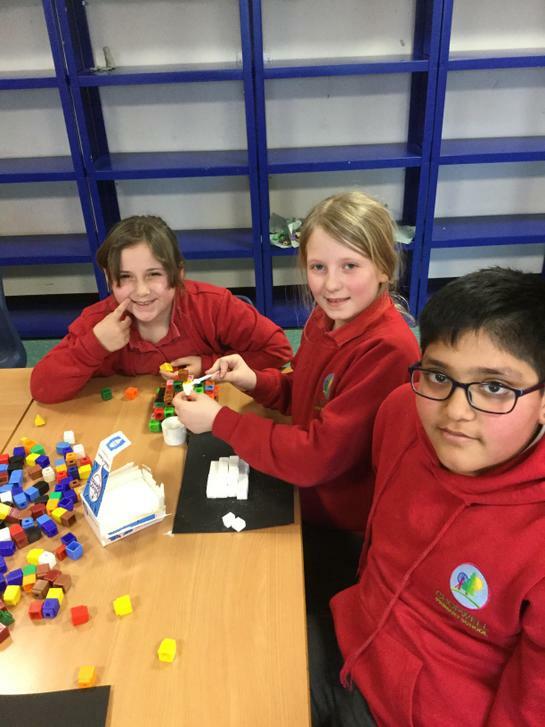 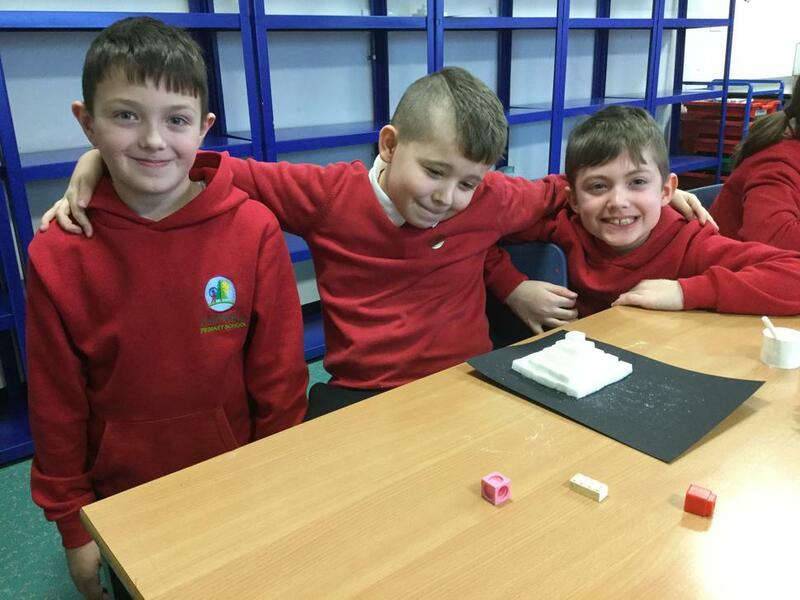 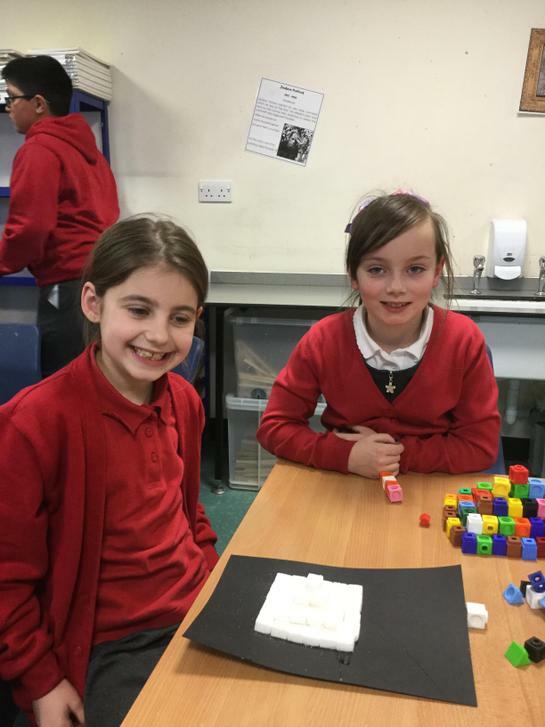 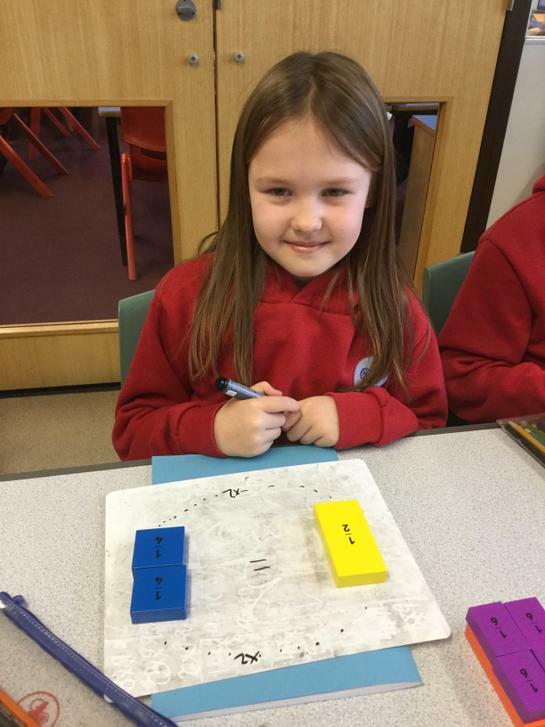 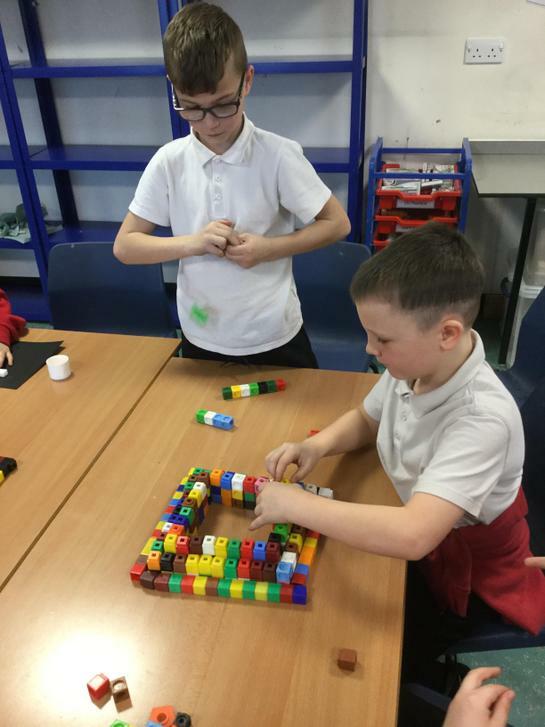 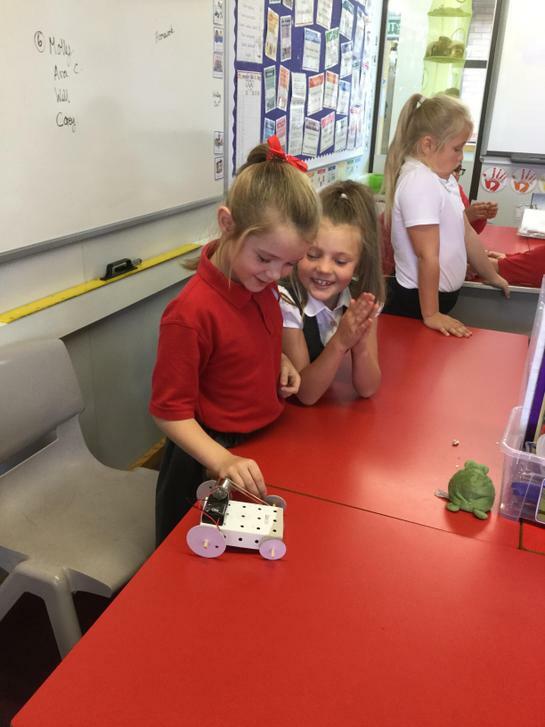 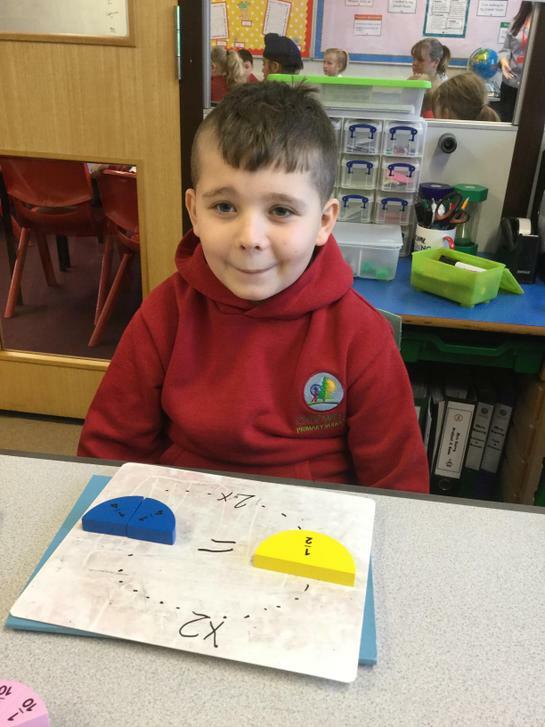 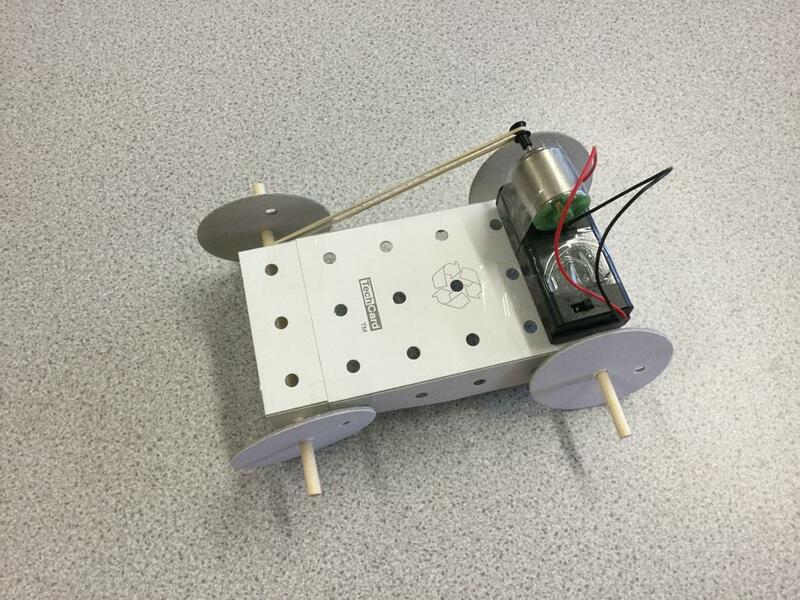 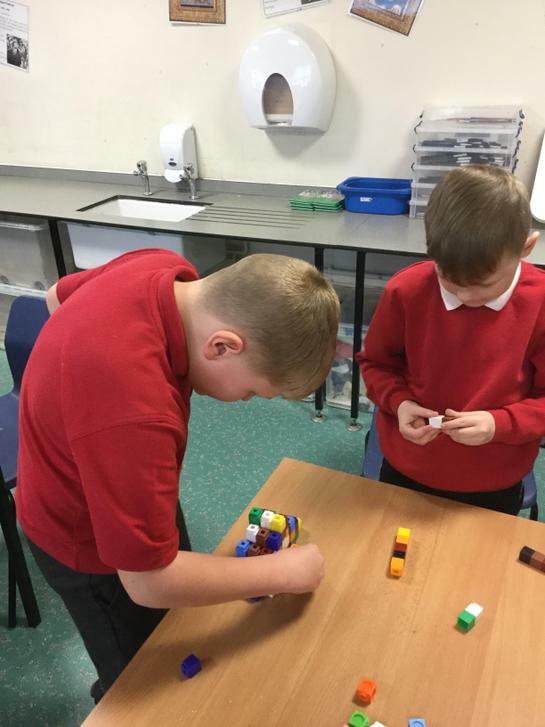 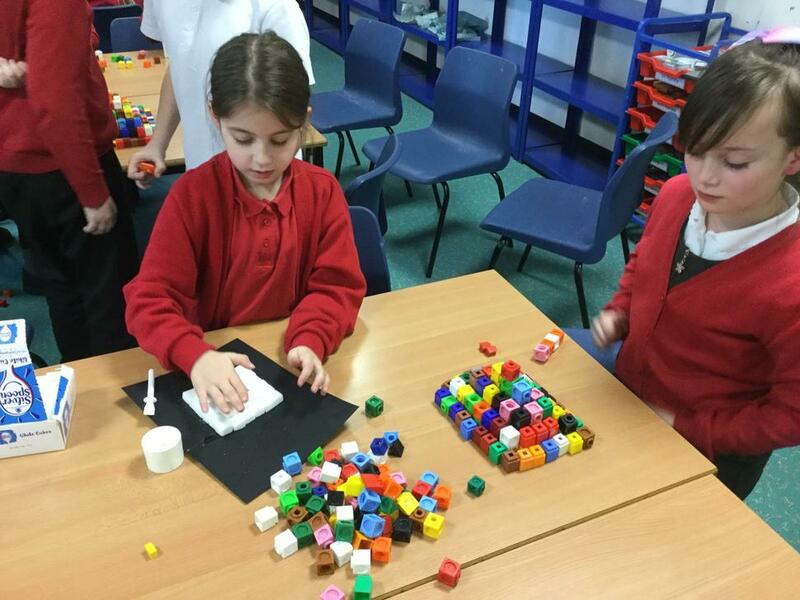 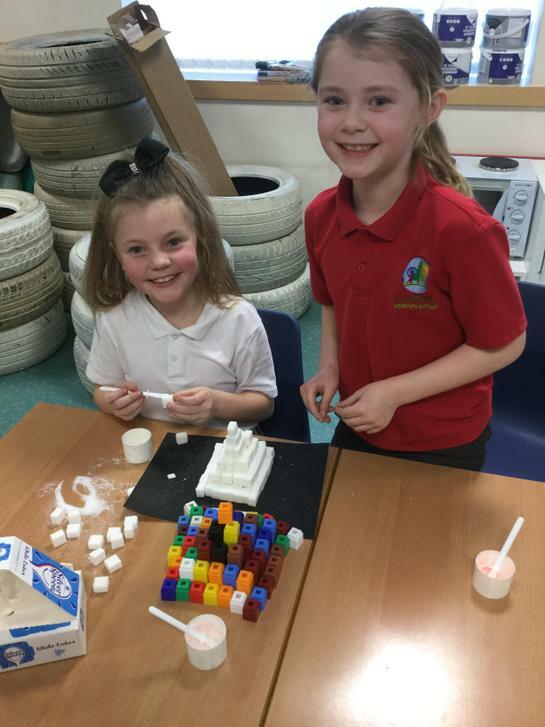 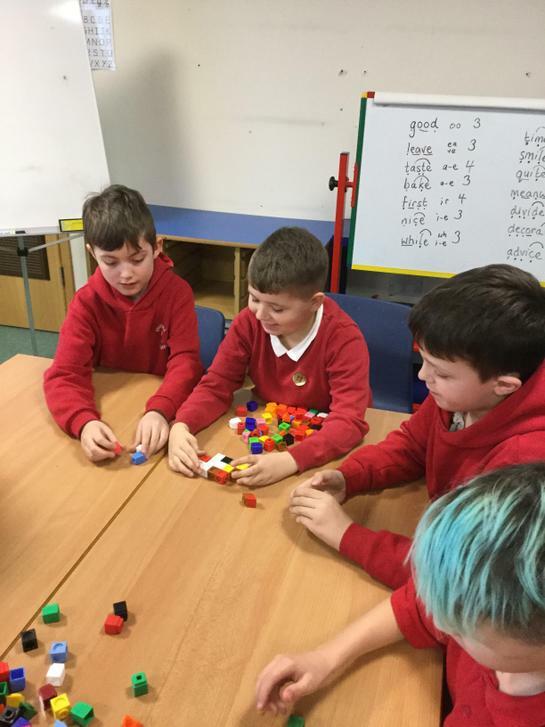 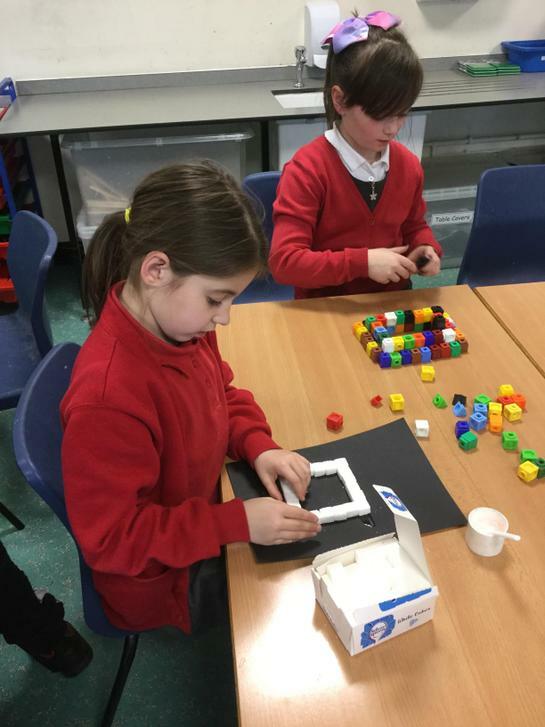 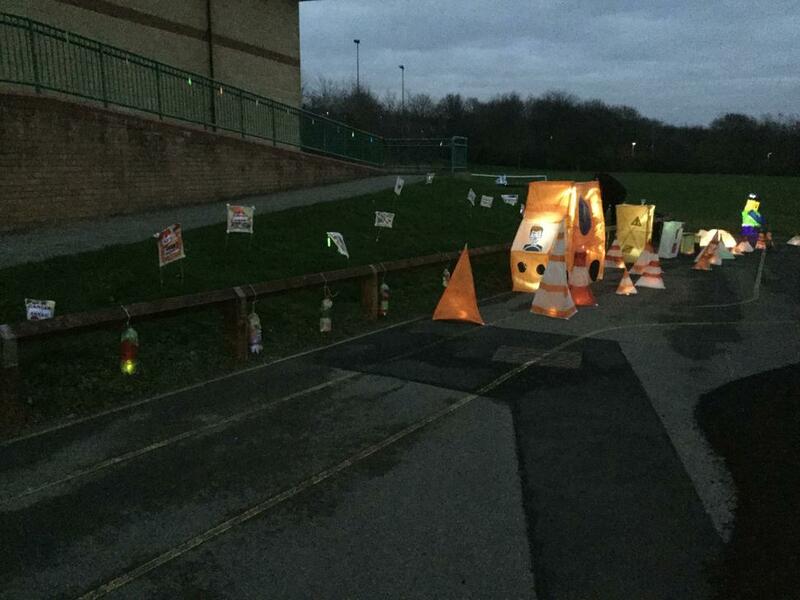 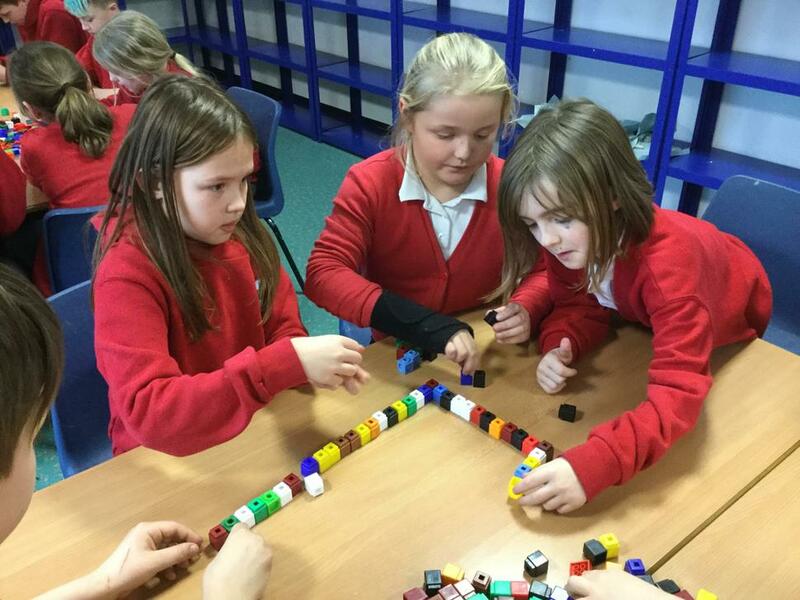 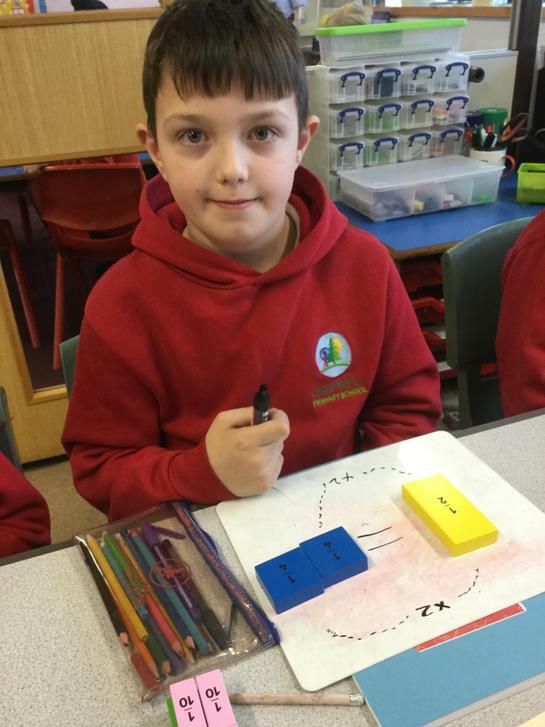 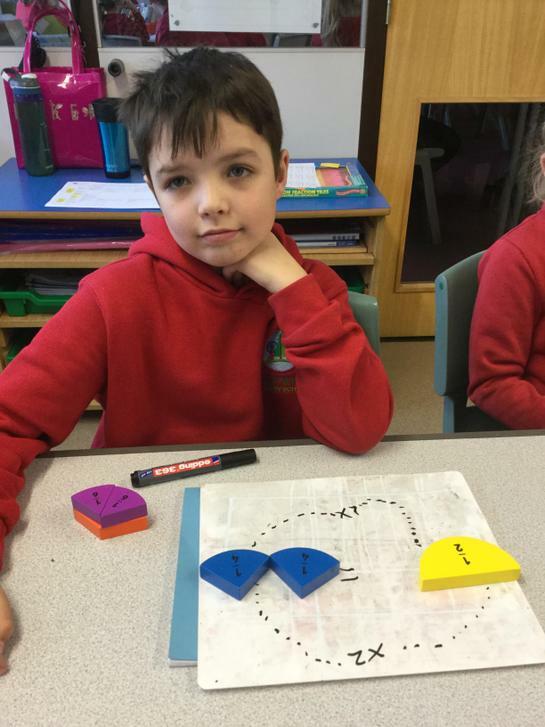 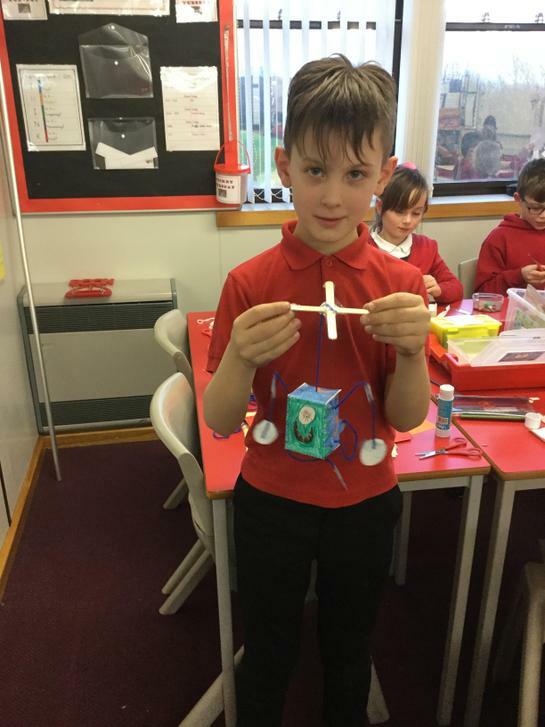 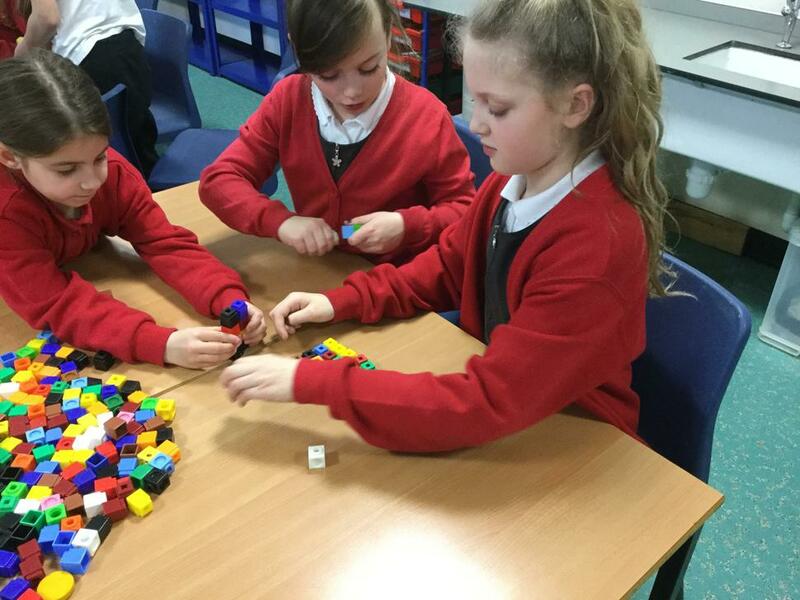 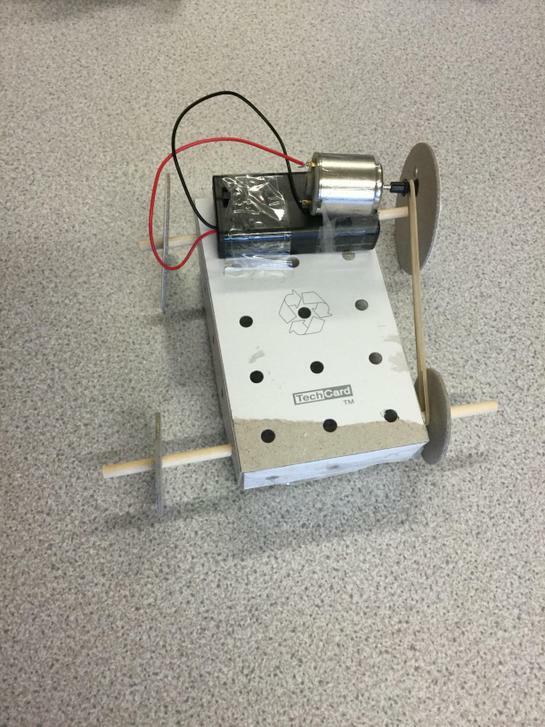 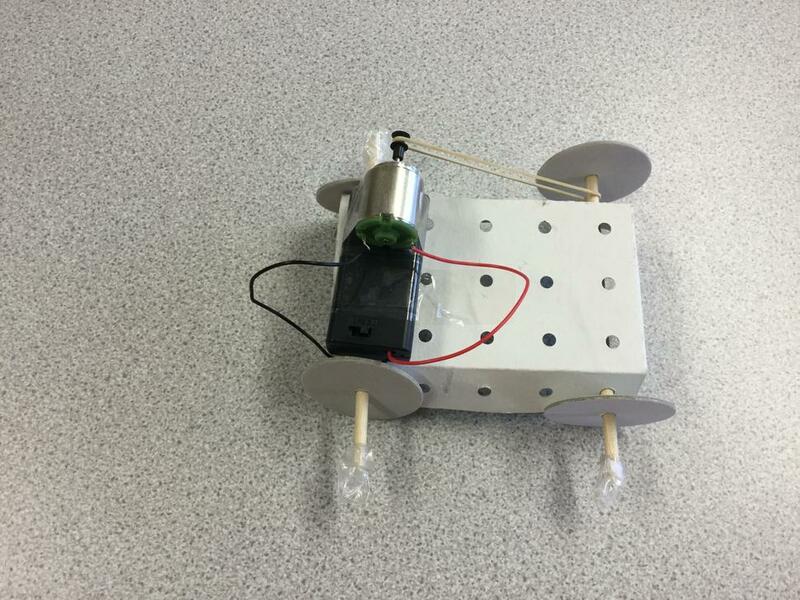 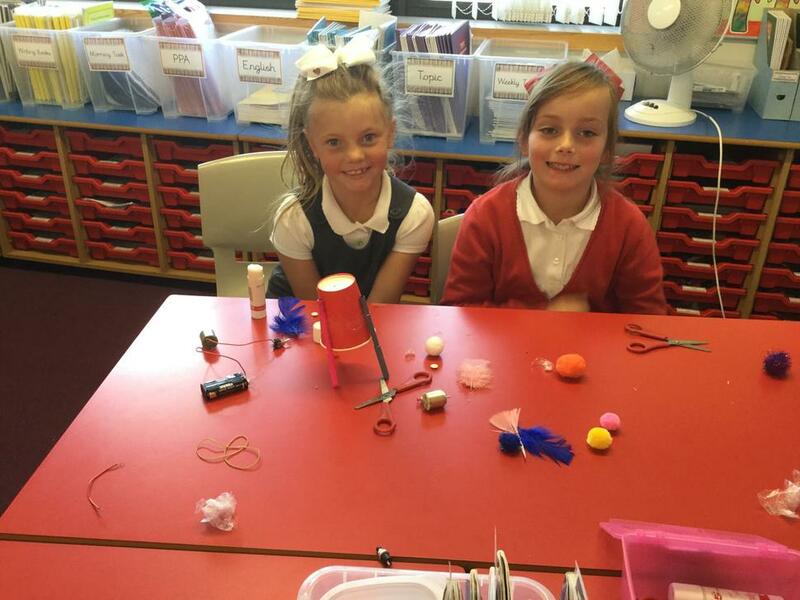 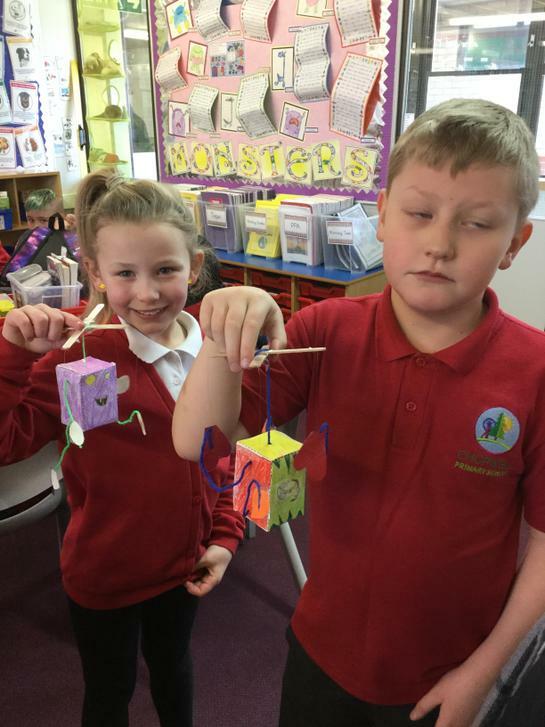 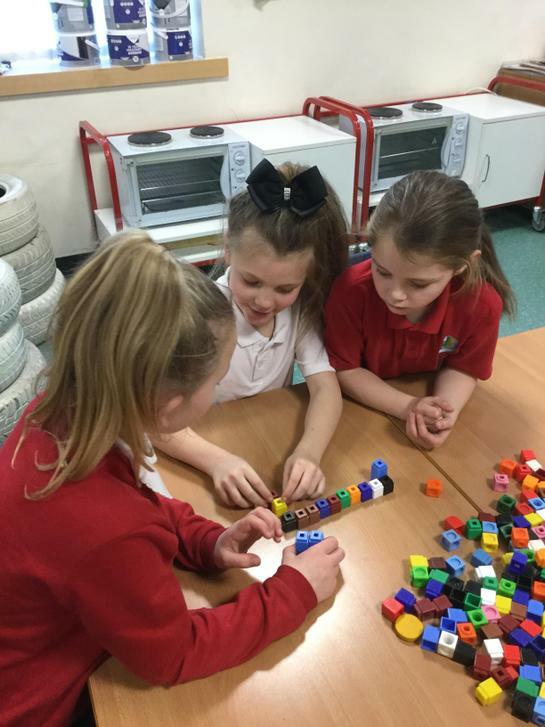 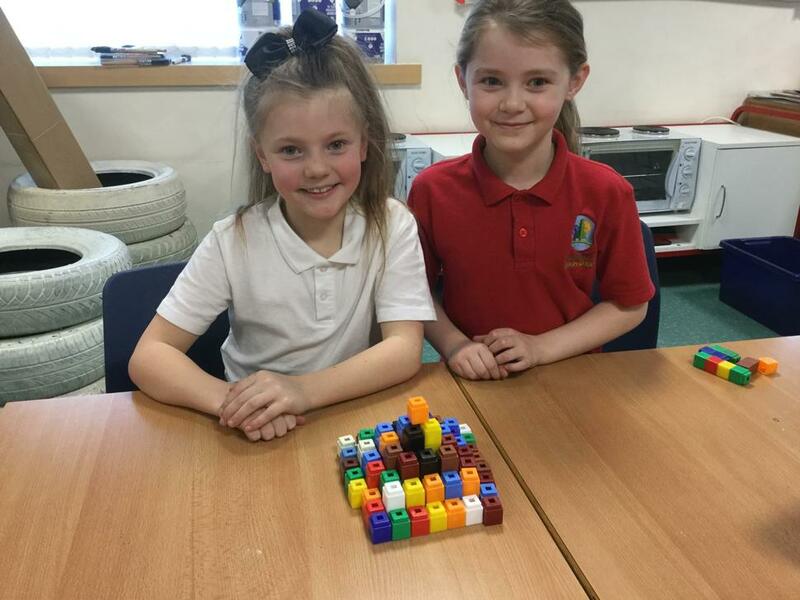 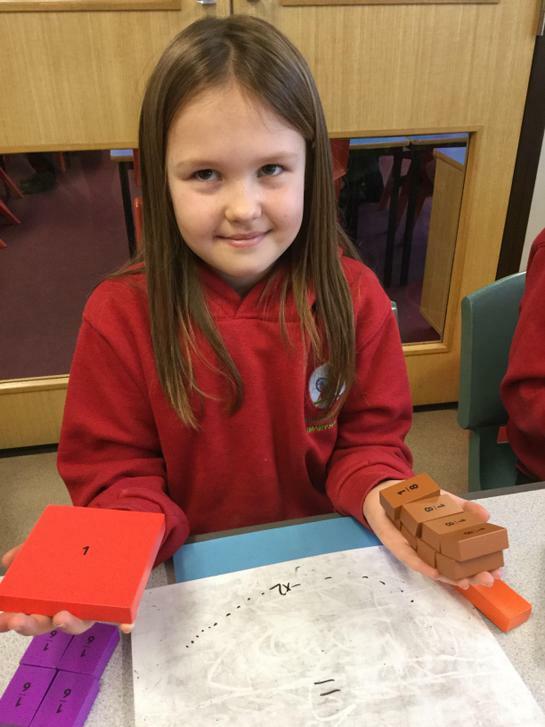 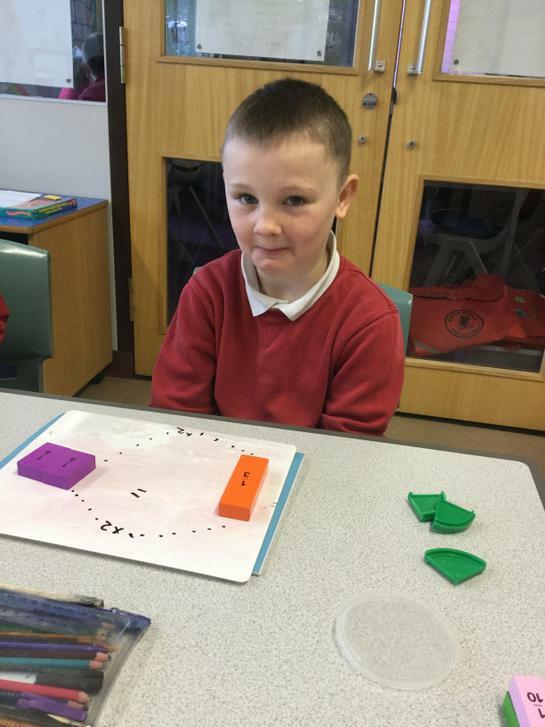 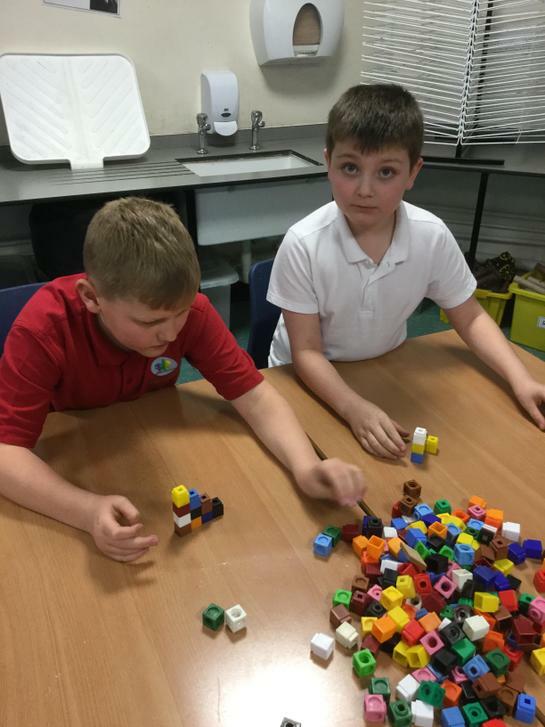 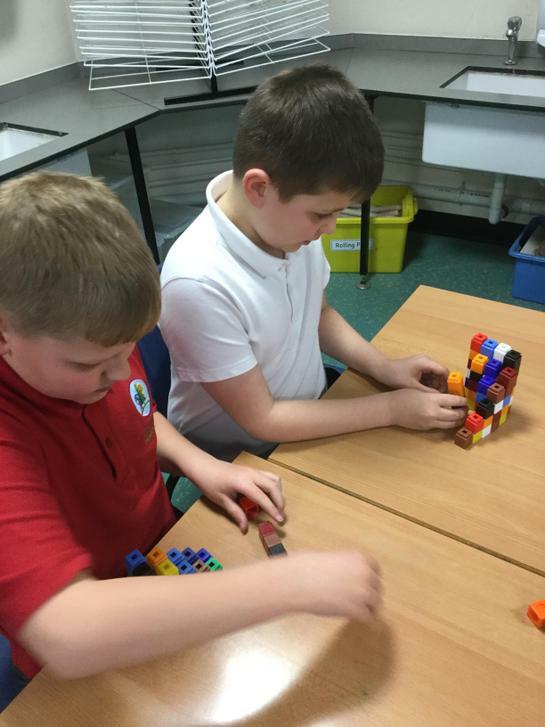 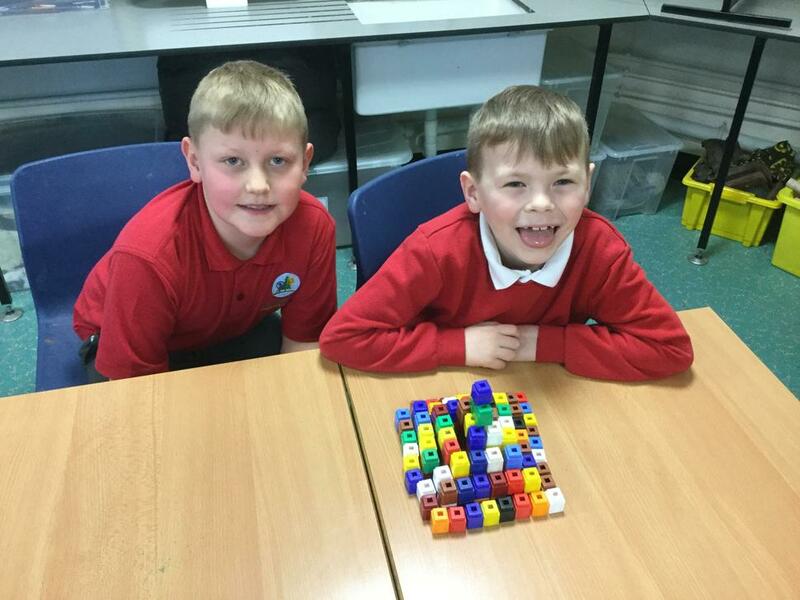 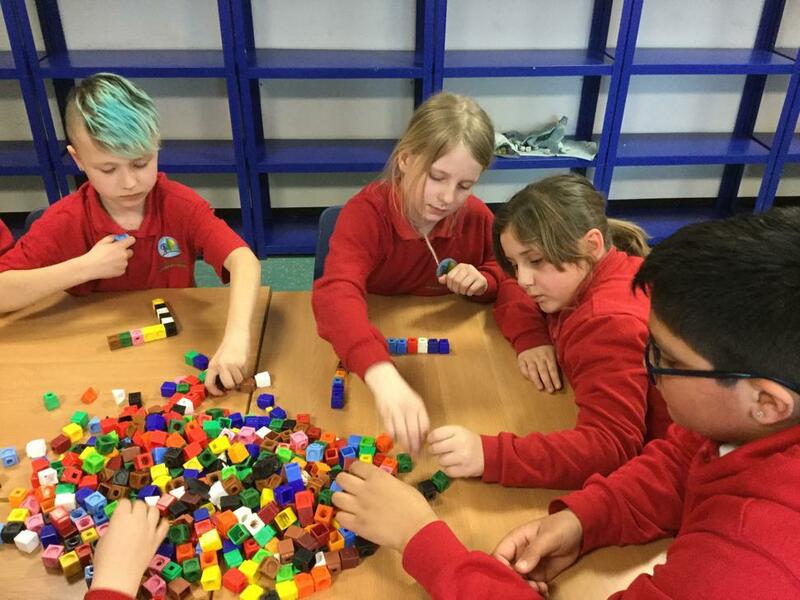 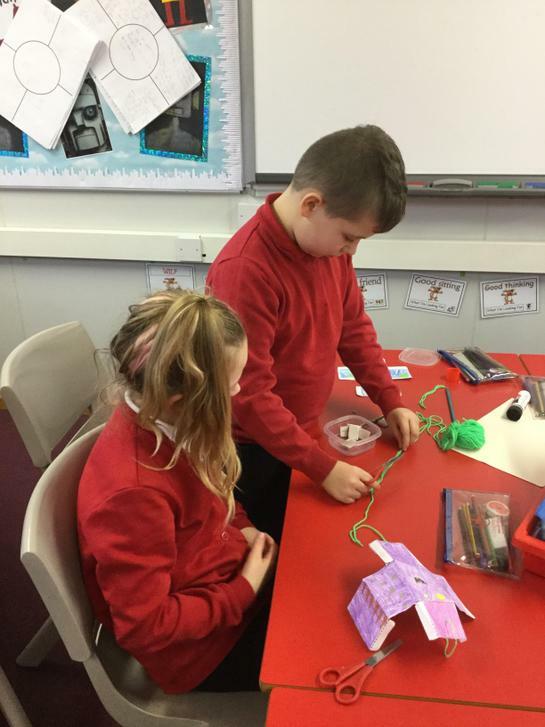 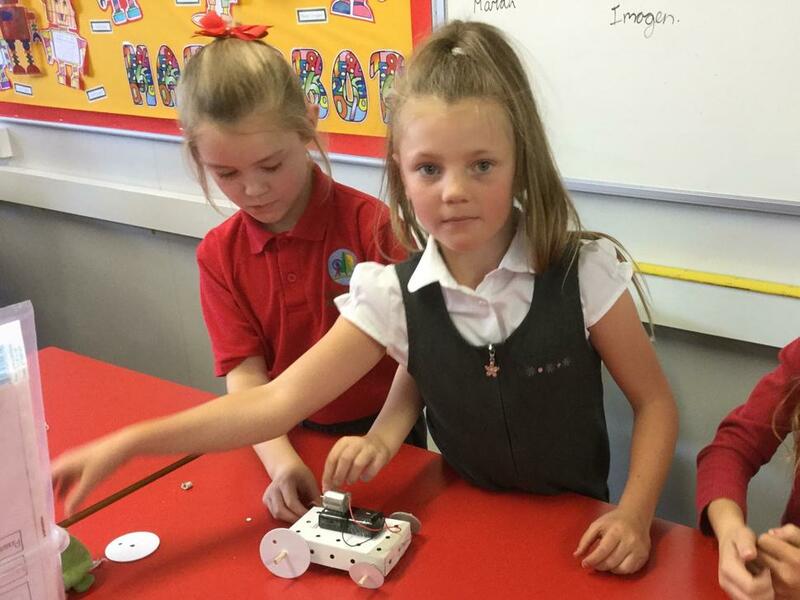 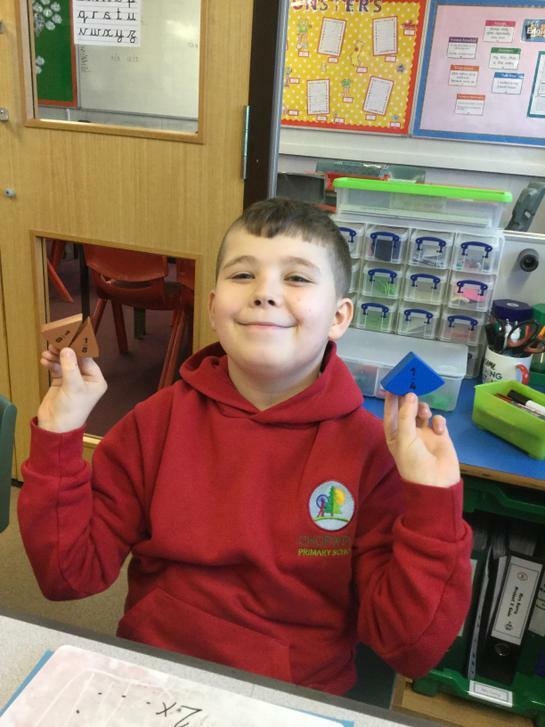 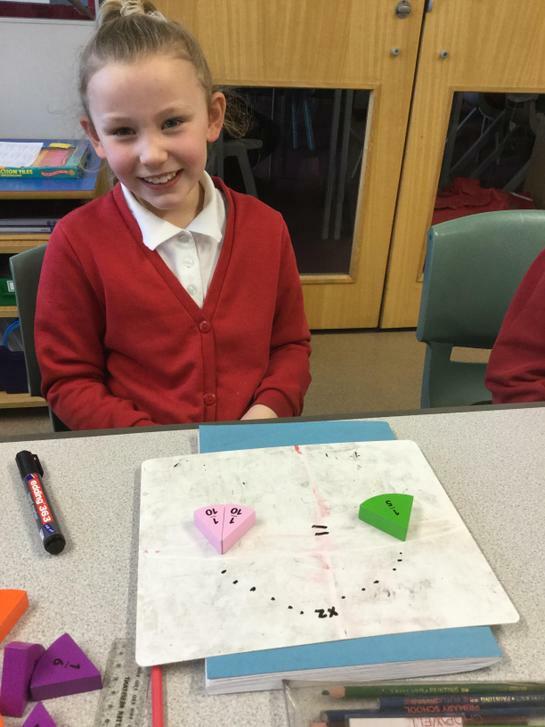 Using a similar principle your next task will be to design and make a moveable vehicle which can go up a small slope. 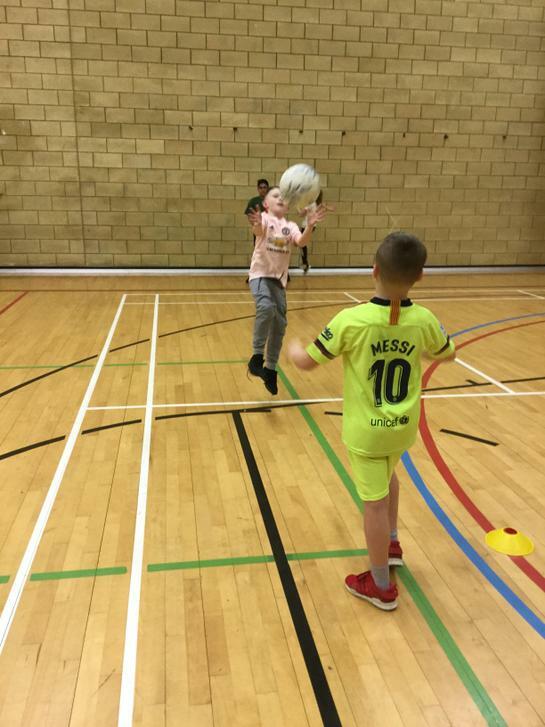 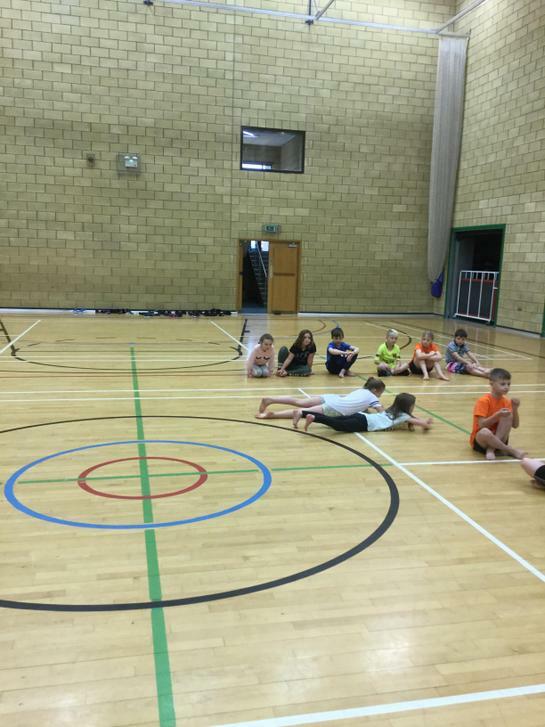 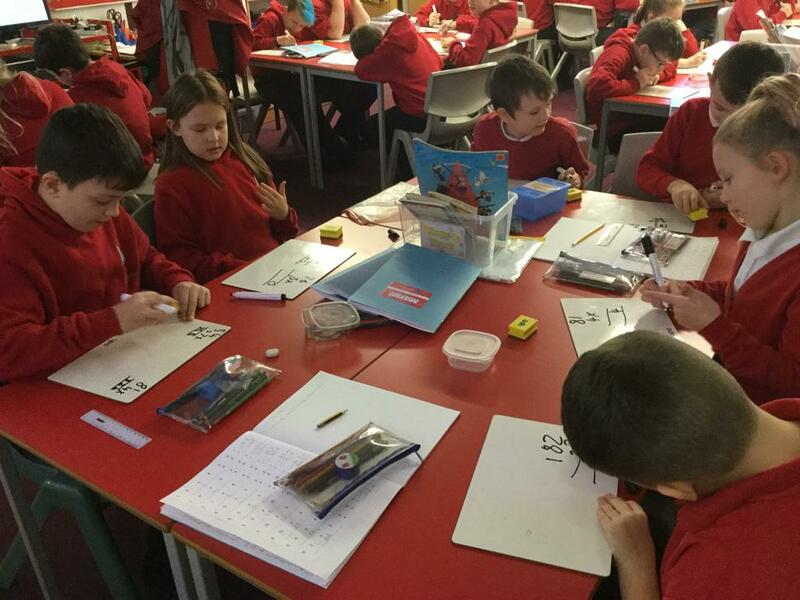 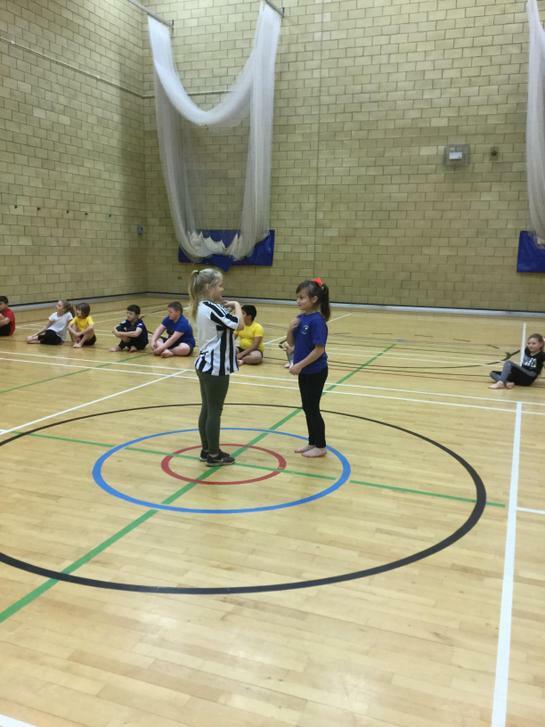 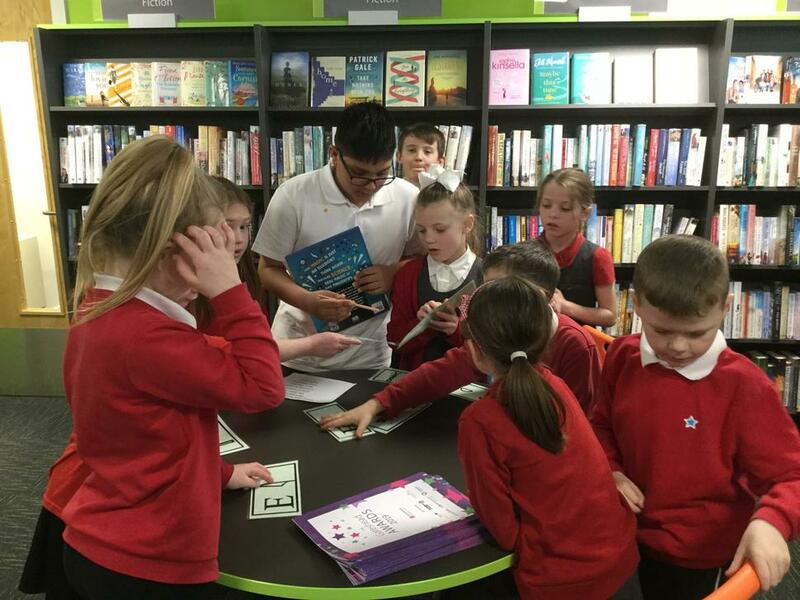 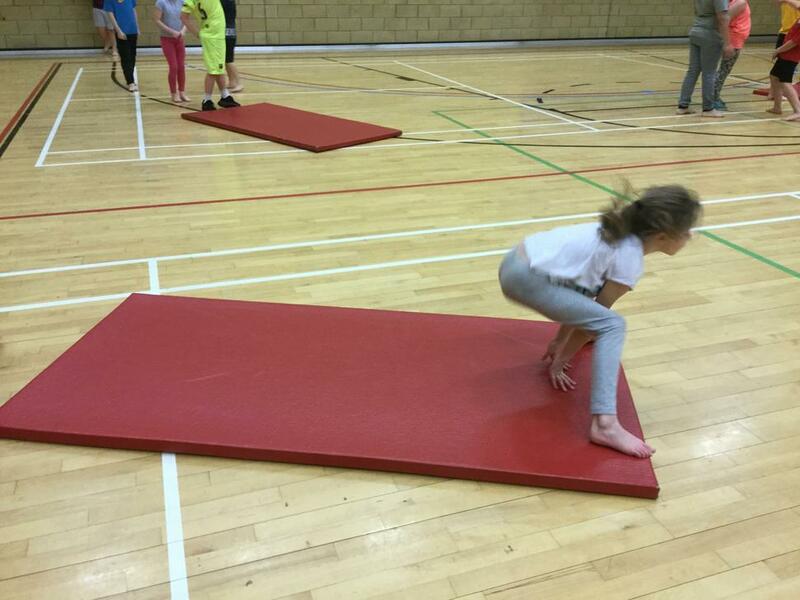 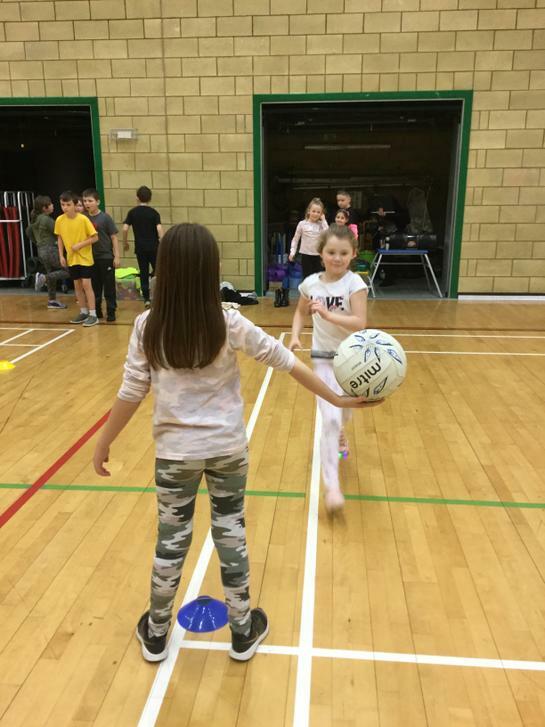 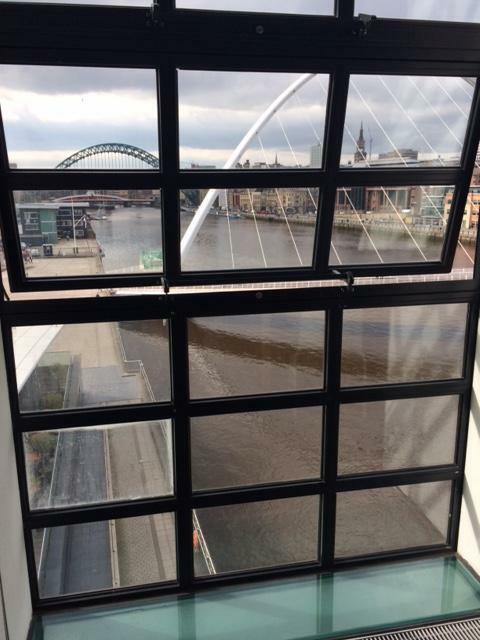 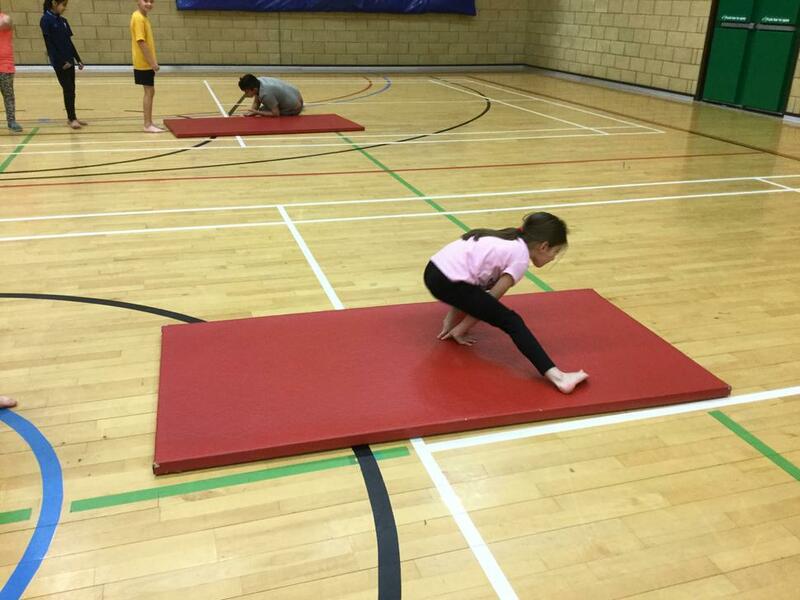 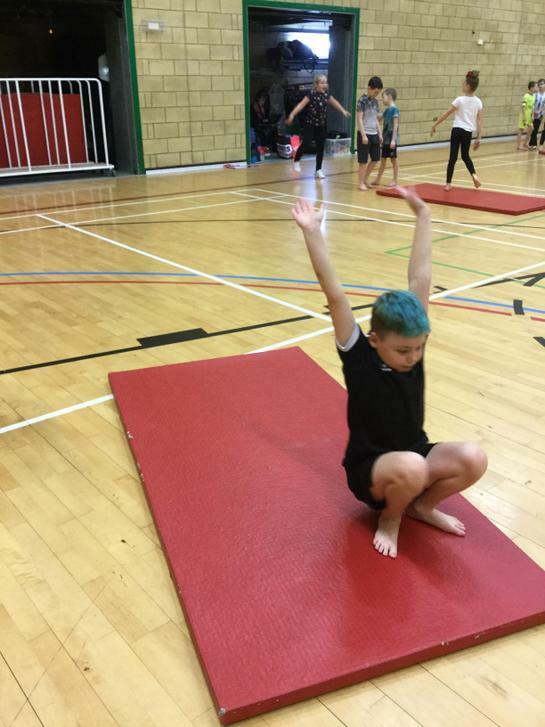 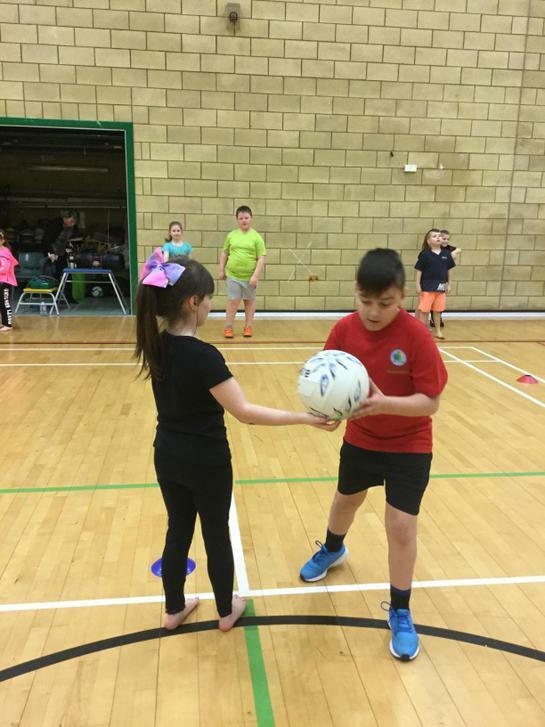 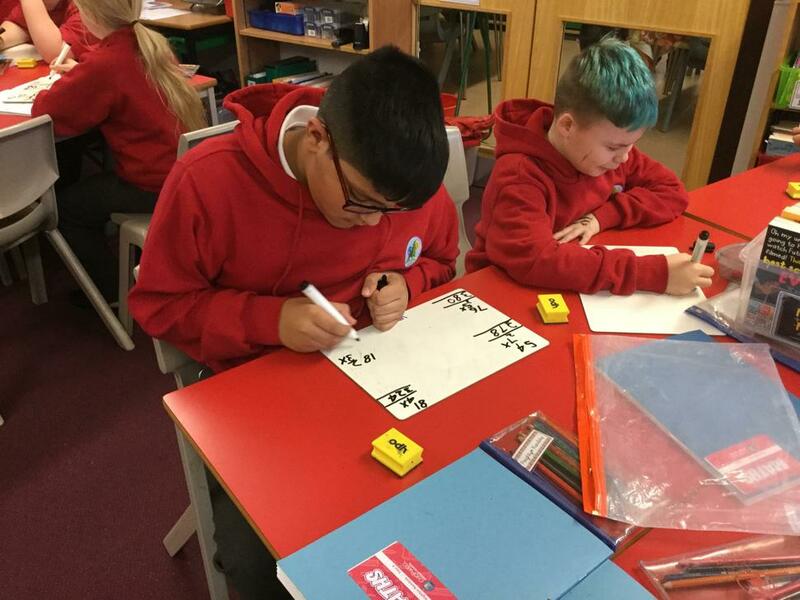 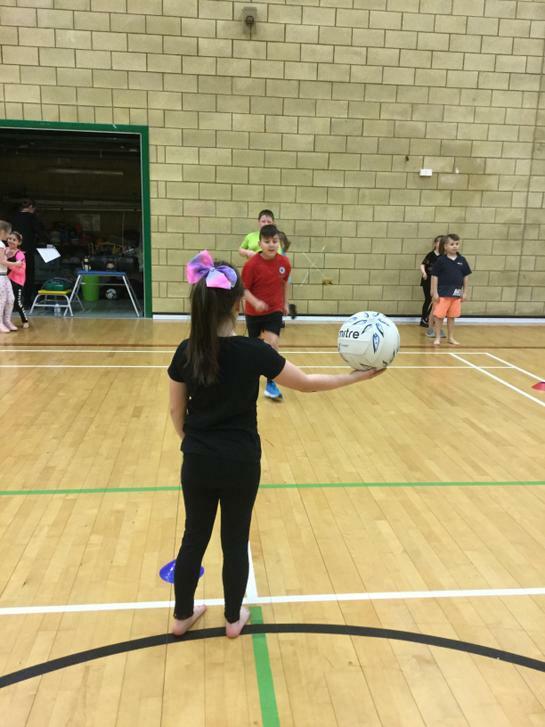 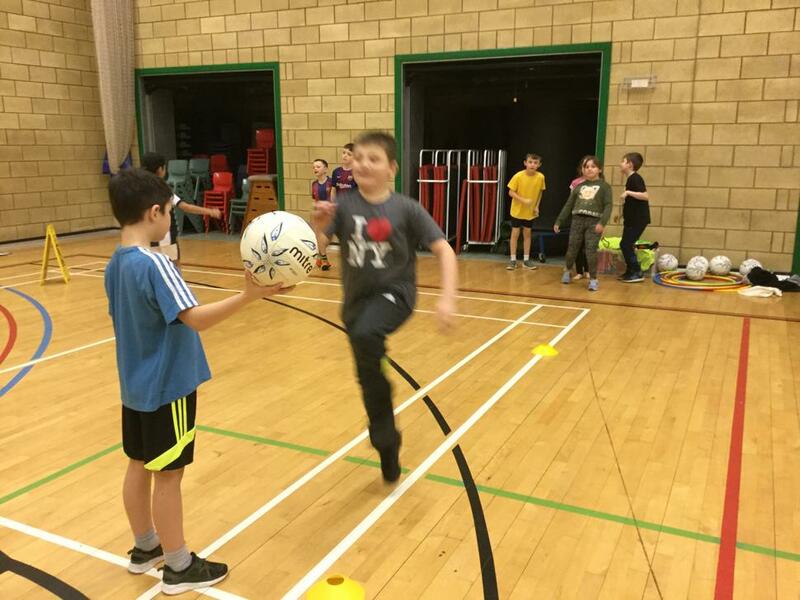 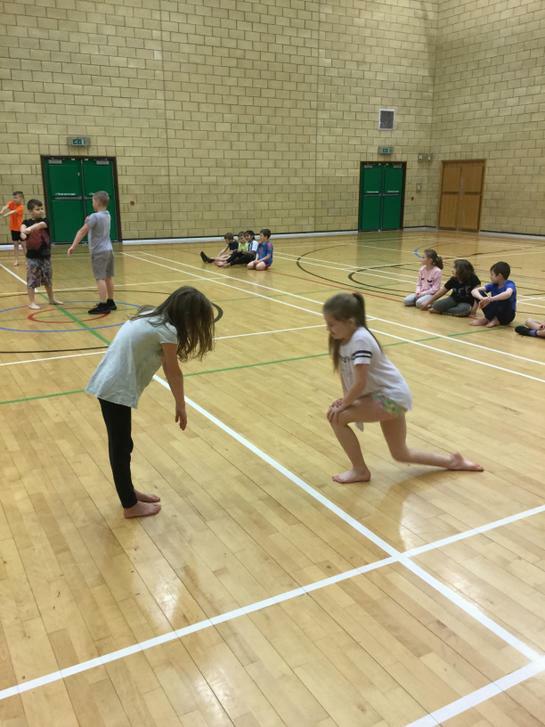 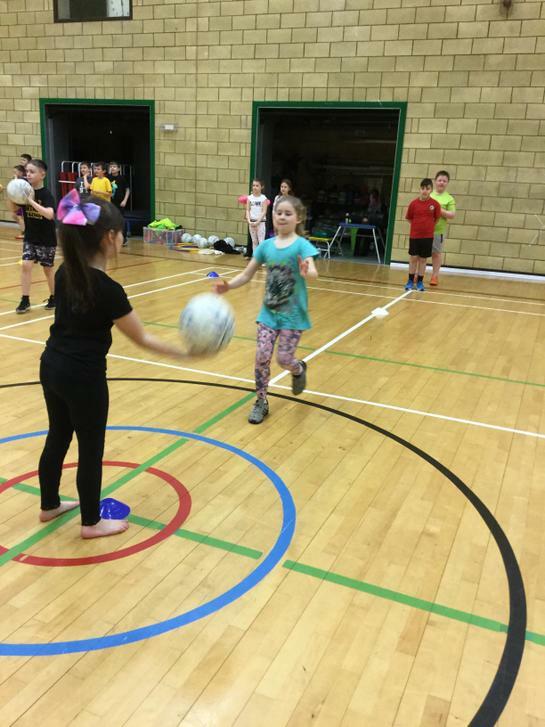 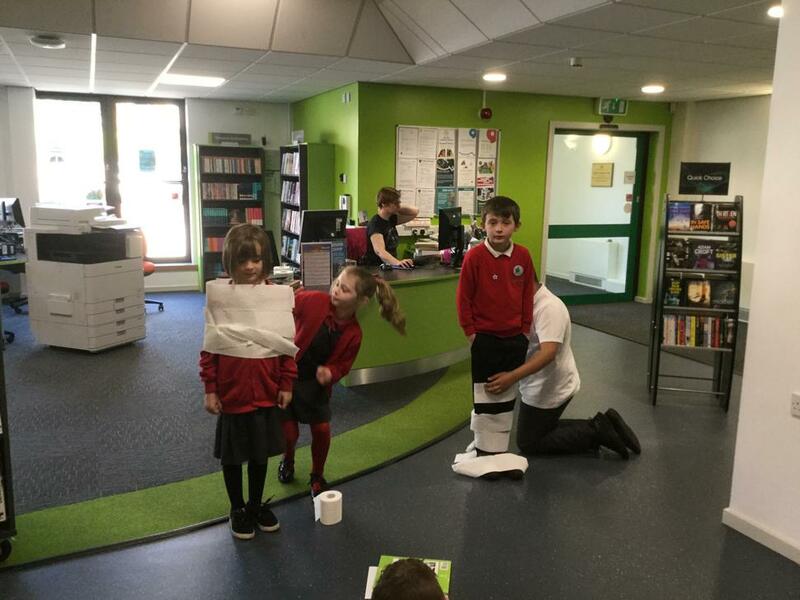 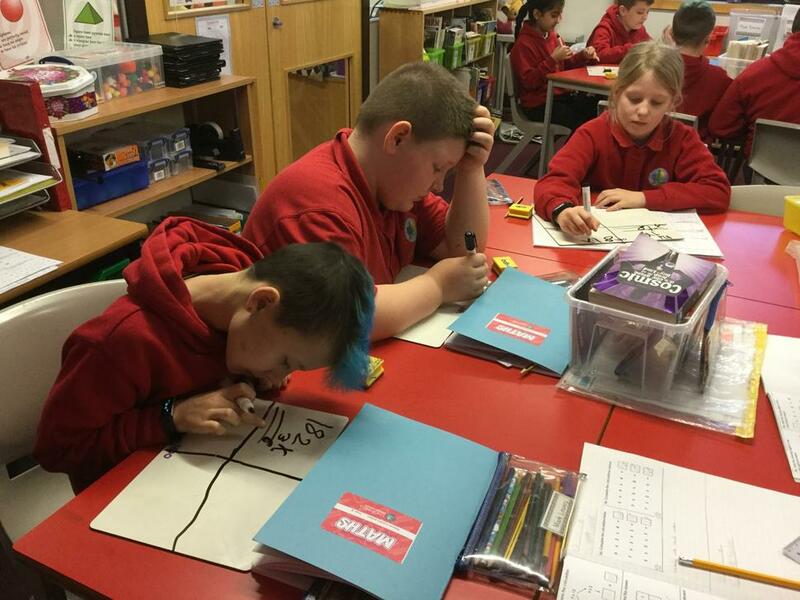 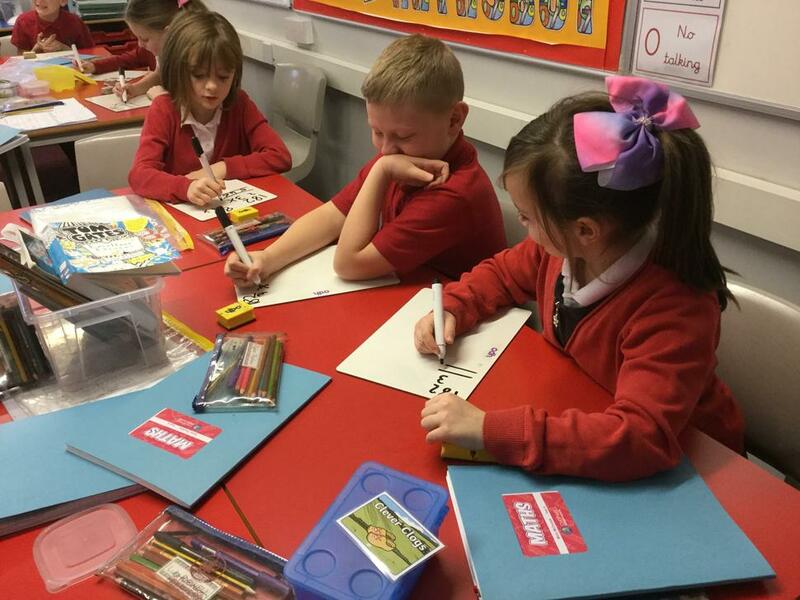 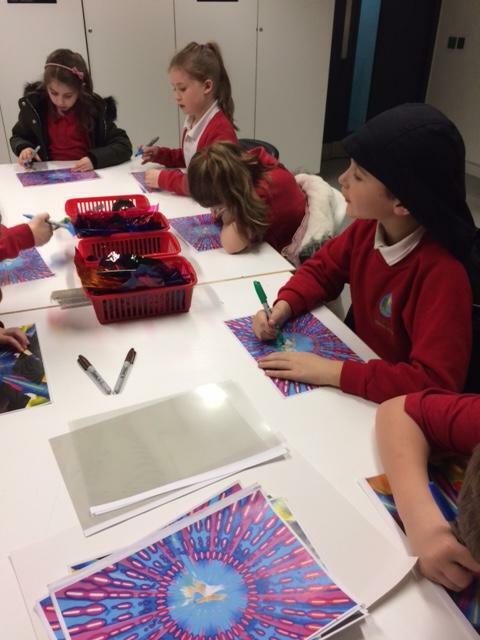 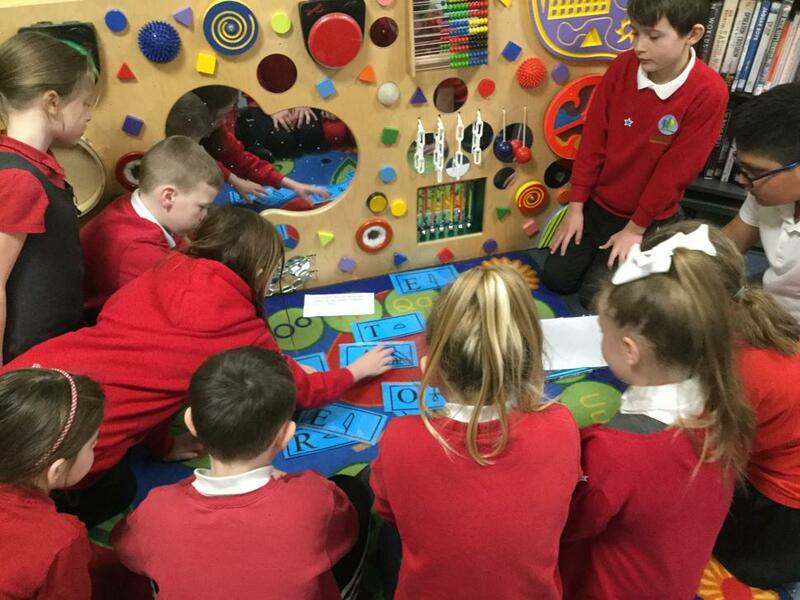 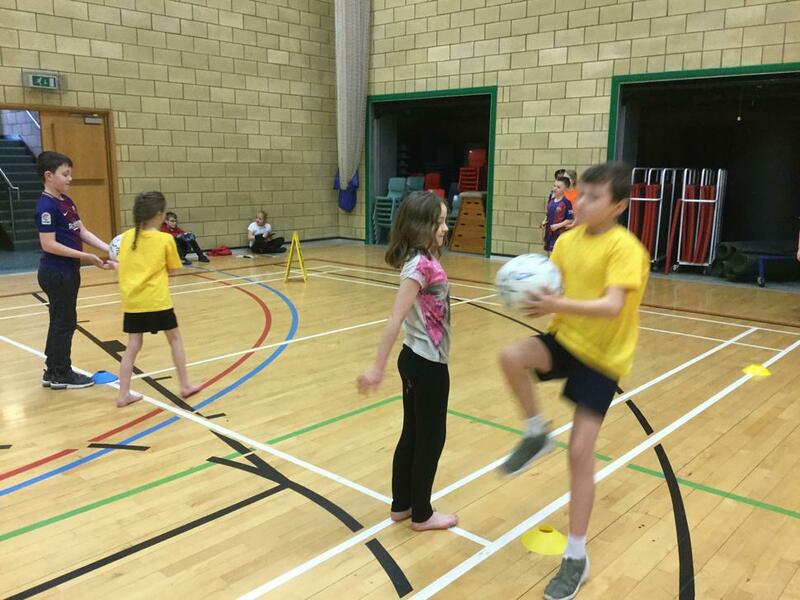 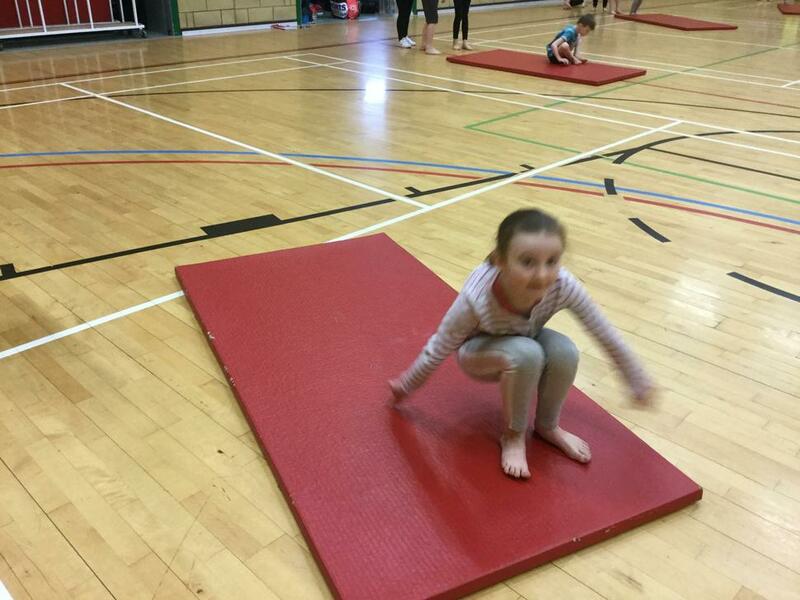 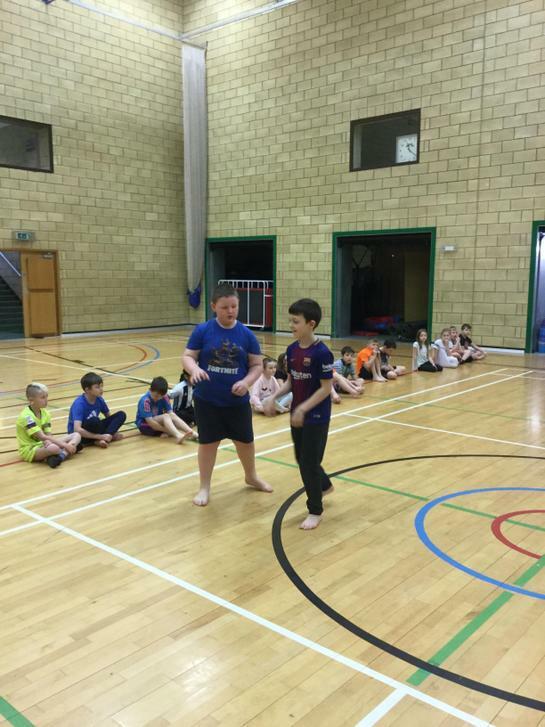 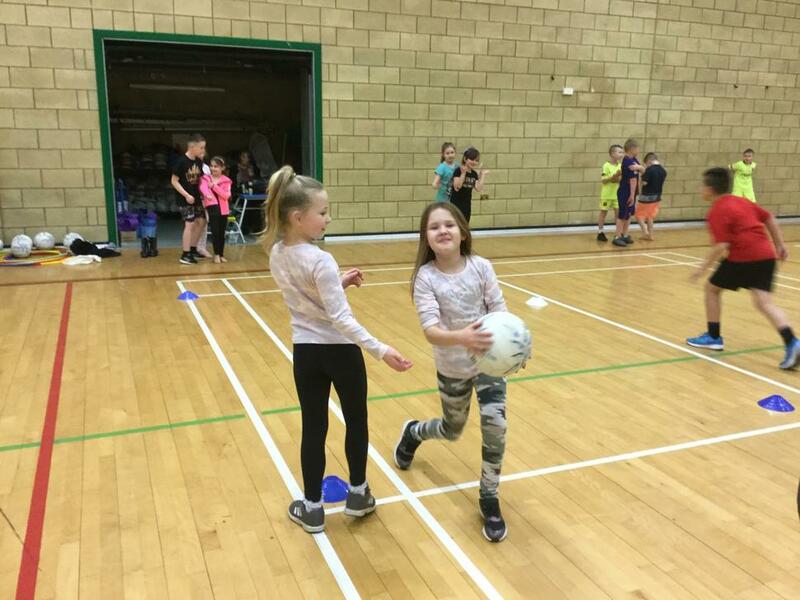 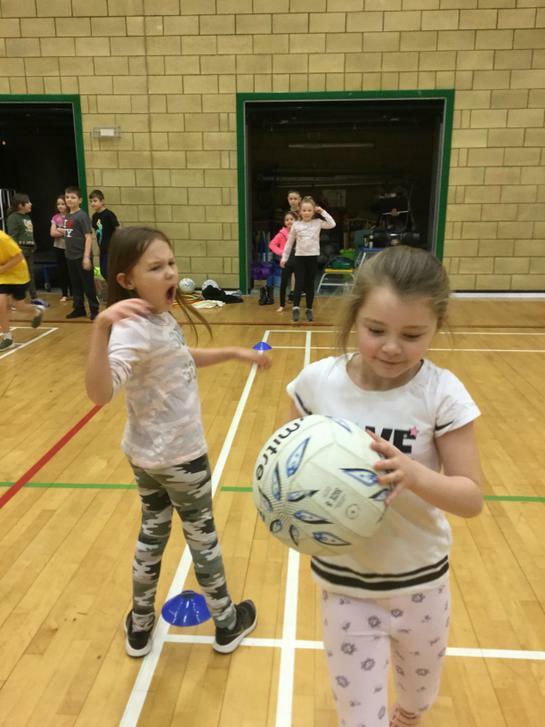 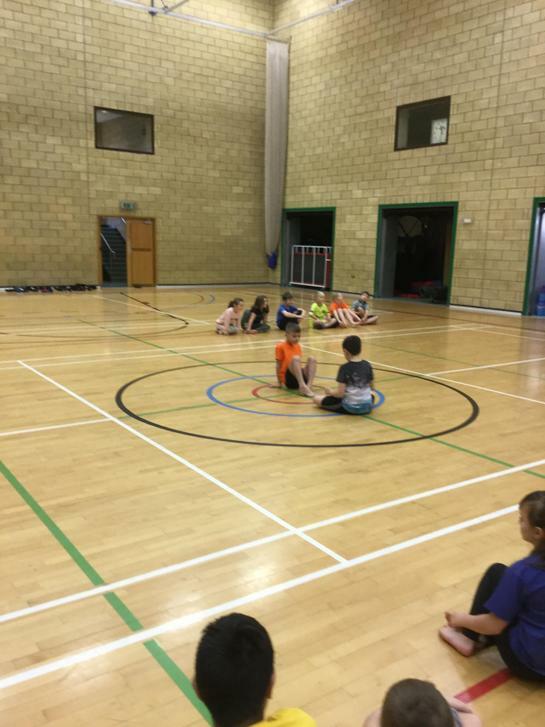 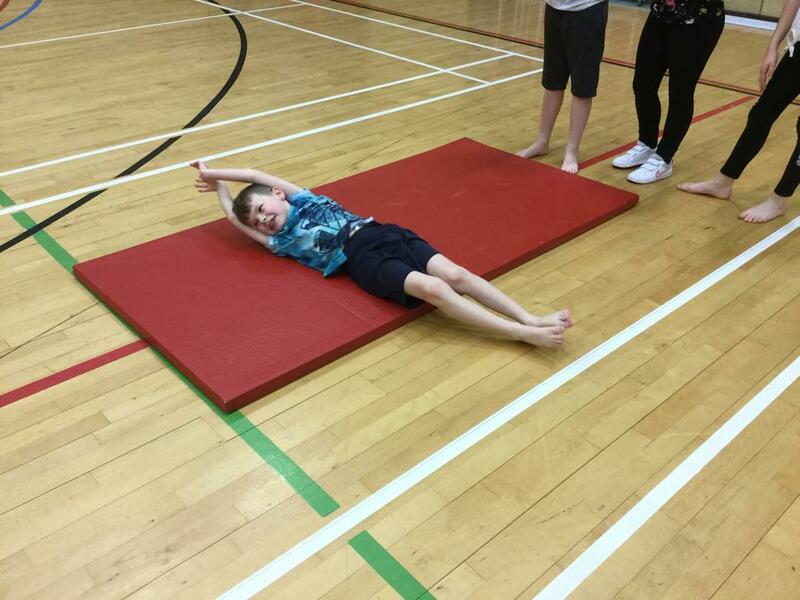 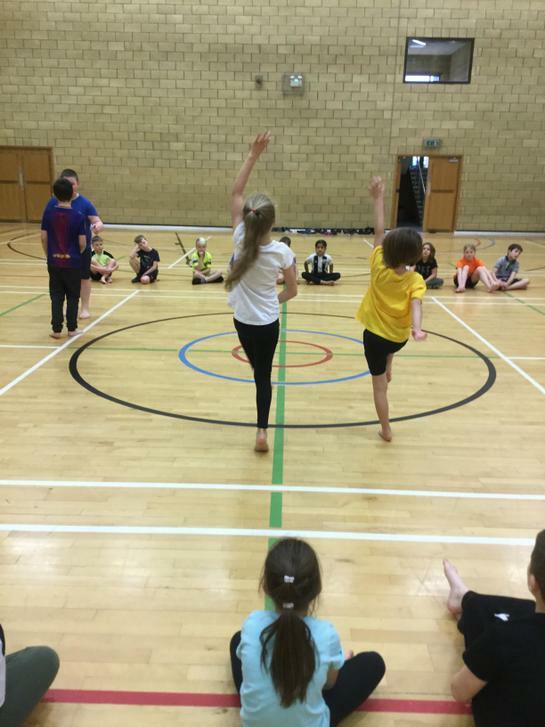 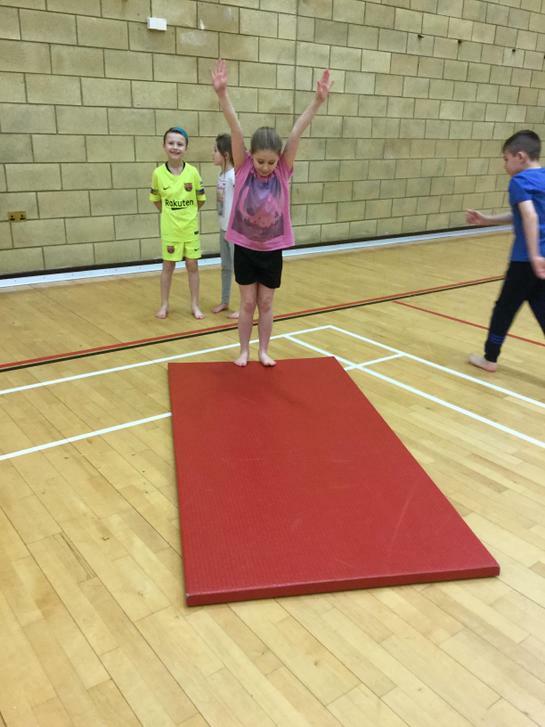 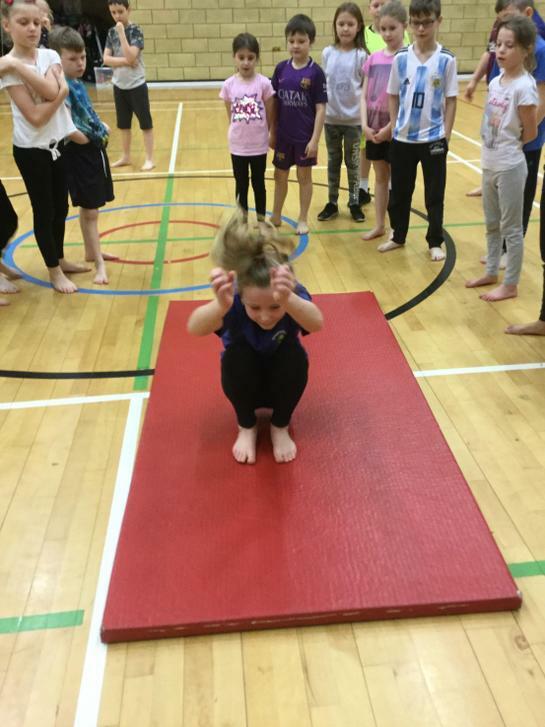 Other fun things for this term will be swimming (happening every Thursday afternoon) and having the opportunity to work with people from the Newcastle United Football (NUFC) Team to work on writing tasks, as well as personal, social, health and education activities (PSHE). 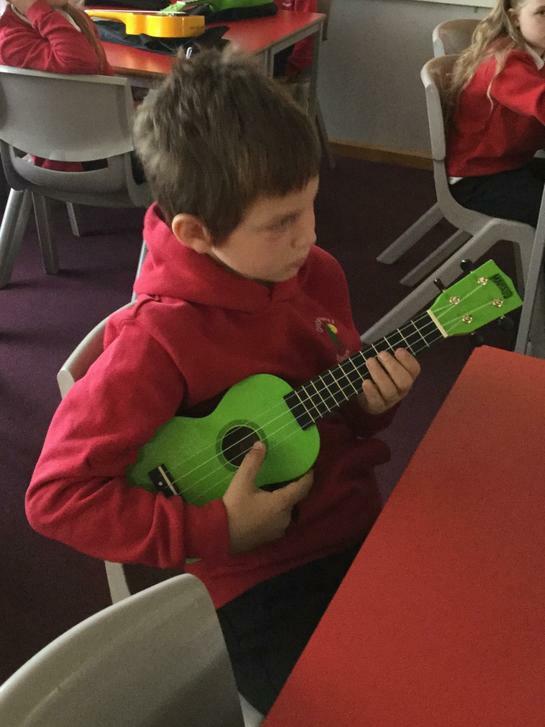 Every Tuesday morning you will also have the opportunity to learn how to play a musical instrument, the ukulele. 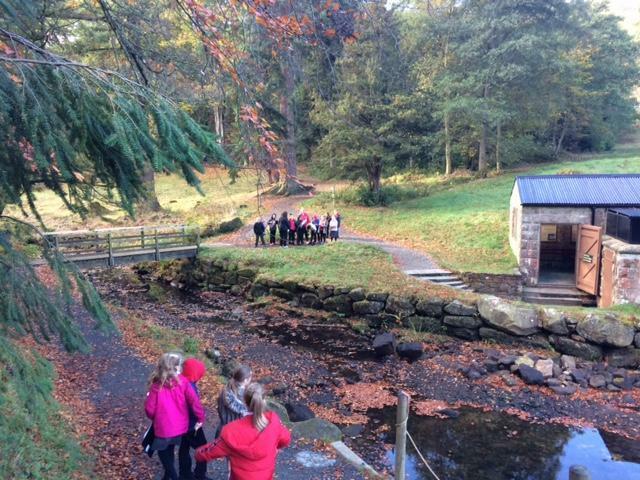 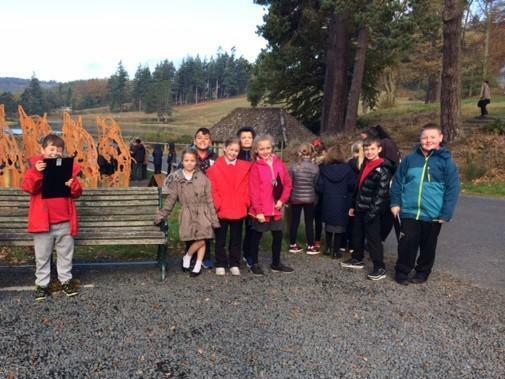 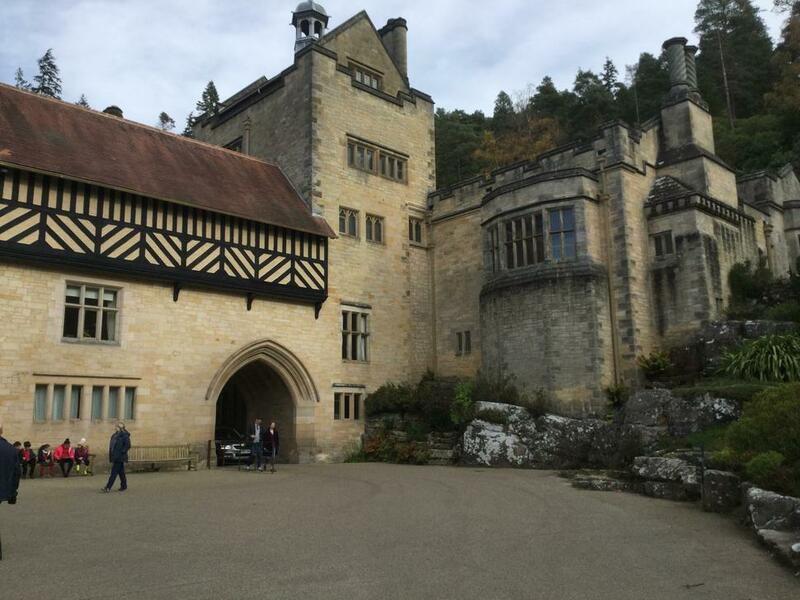 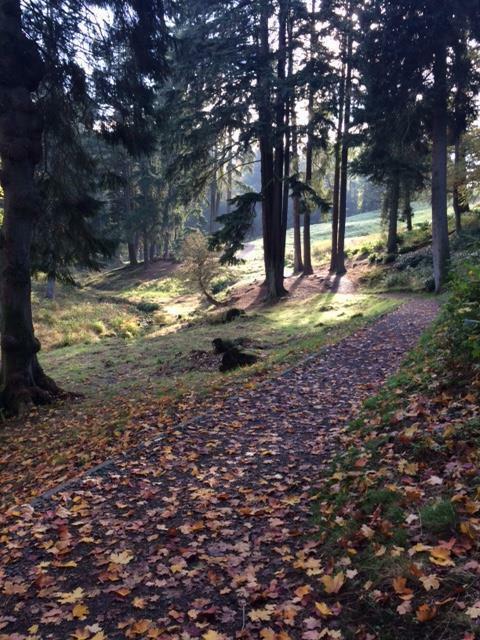 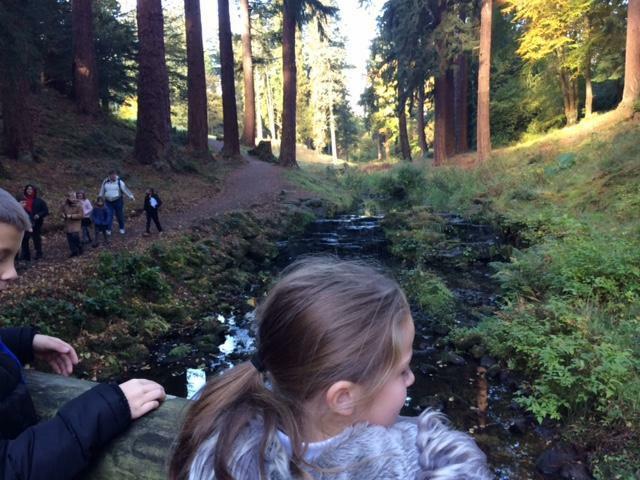 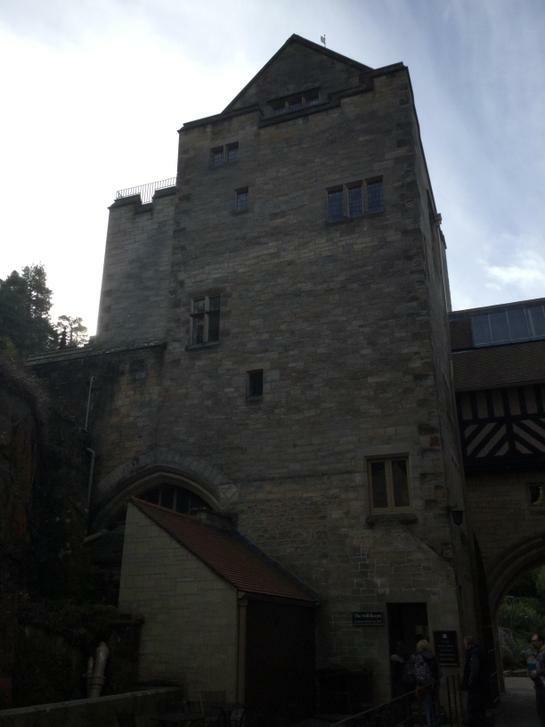 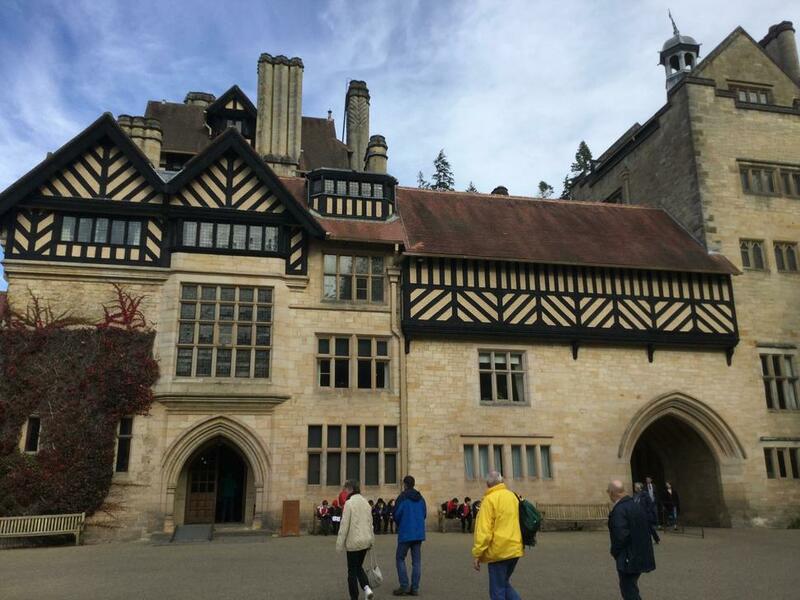 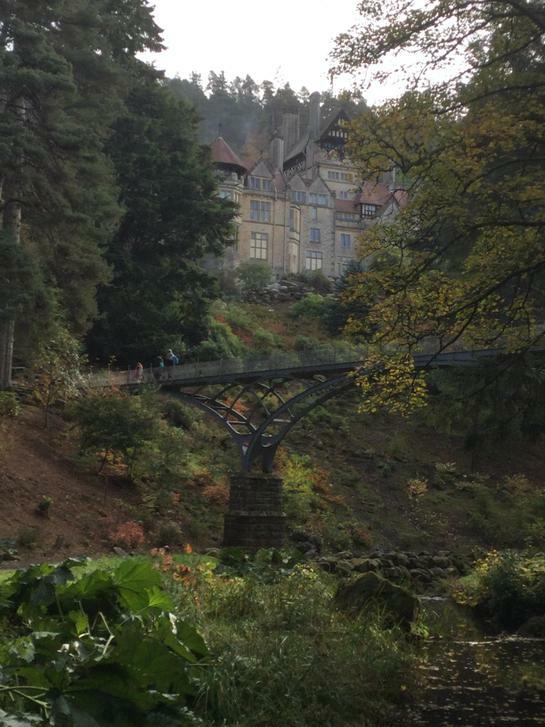 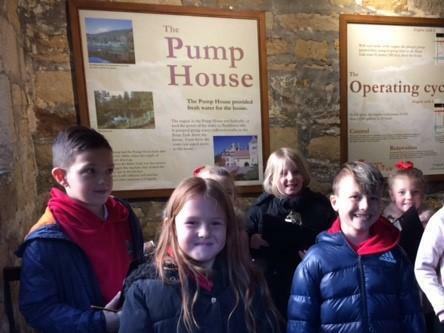 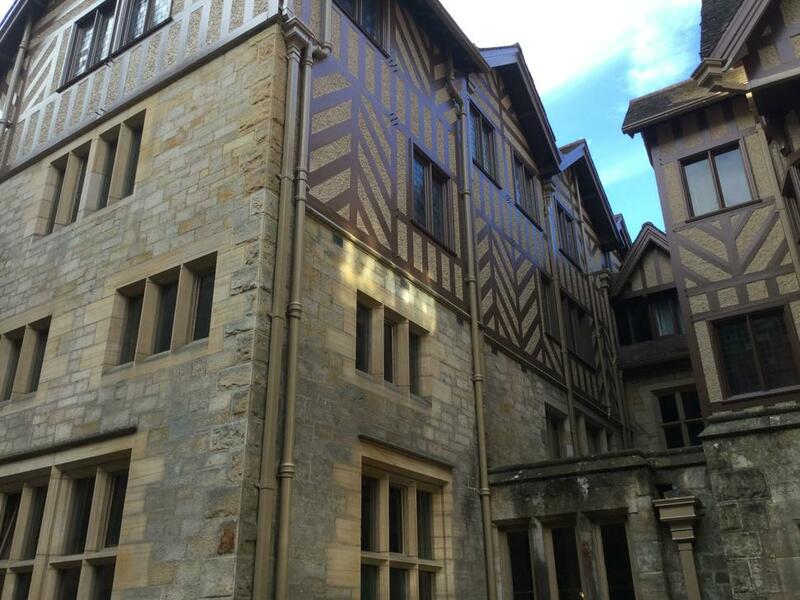 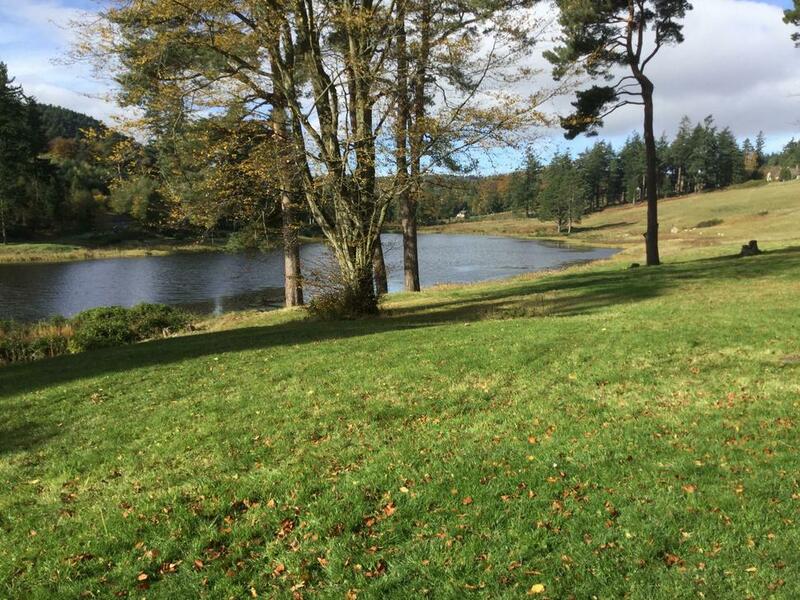 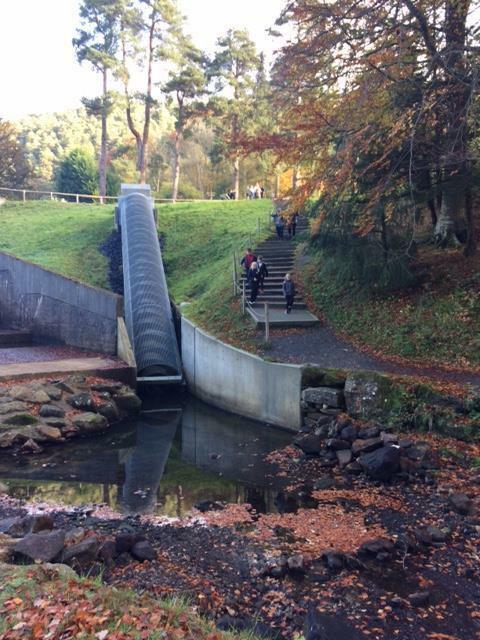 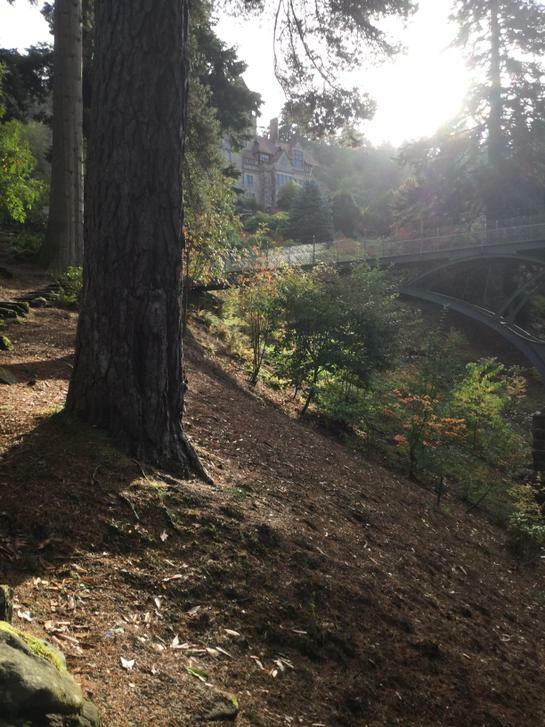 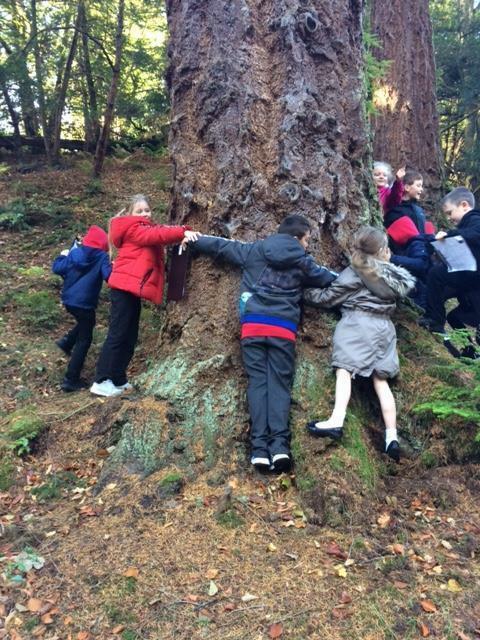 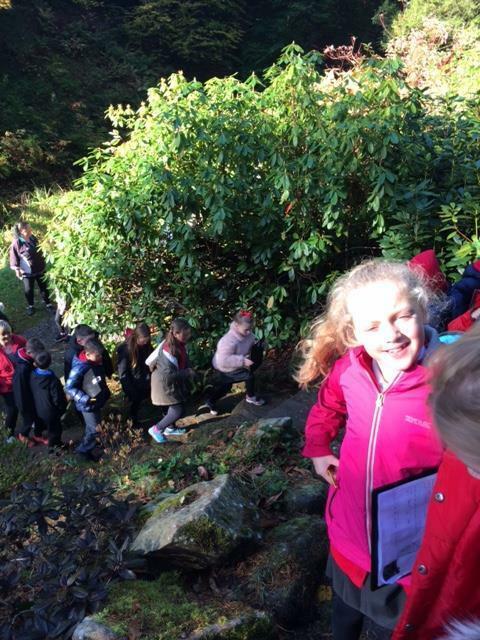 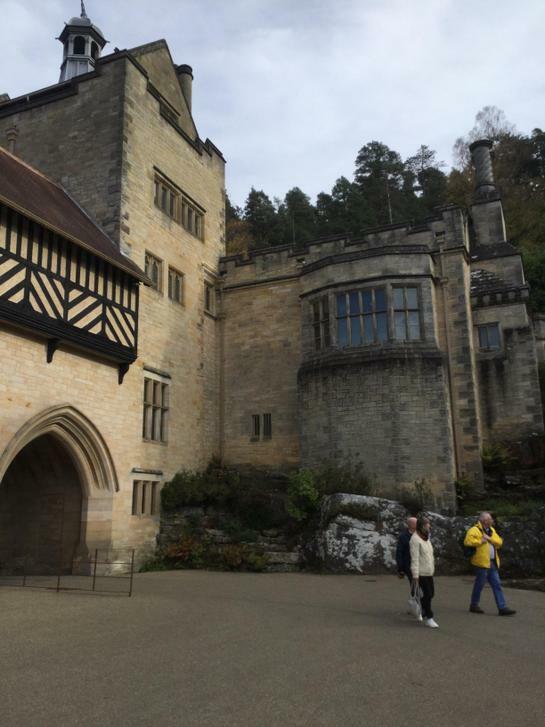 Towards the end of the term you will also be taking a trip to Cragside, the first house in the North East to be powered by electricity.